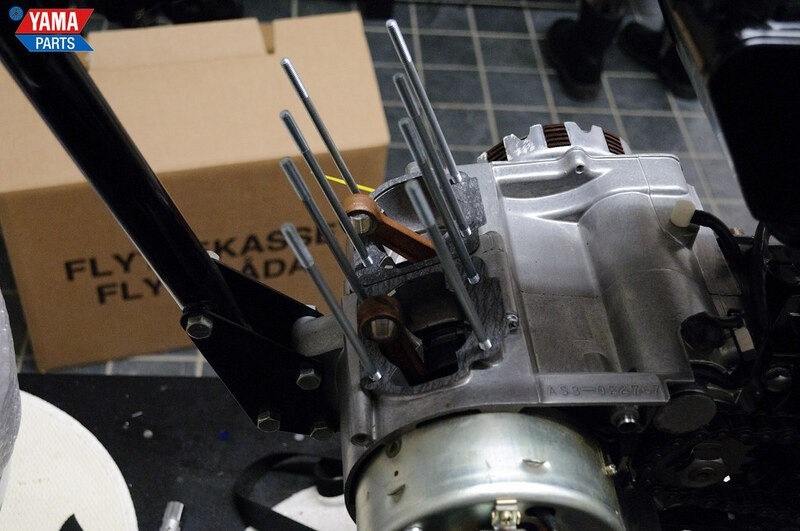 Now we’re there: the final part of the AS3 Europa walkthrough. 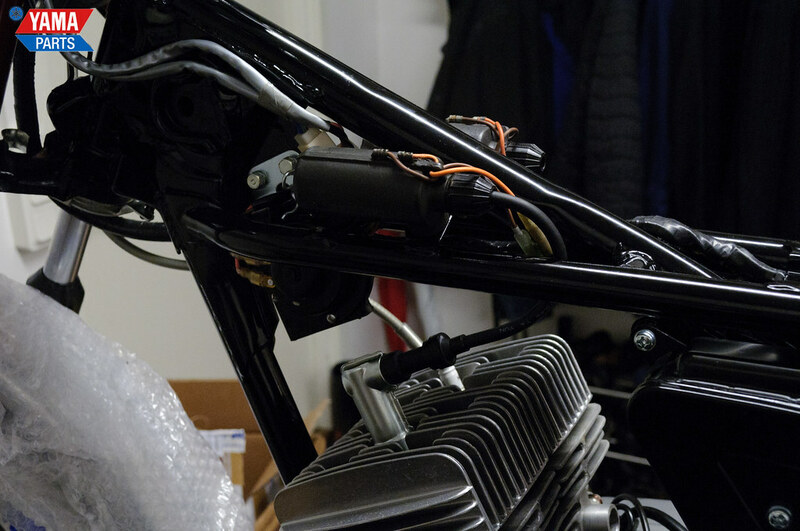 This time we’re covering the exhaust, the side covers for the engine and frame, the wires and finishing touches all around. 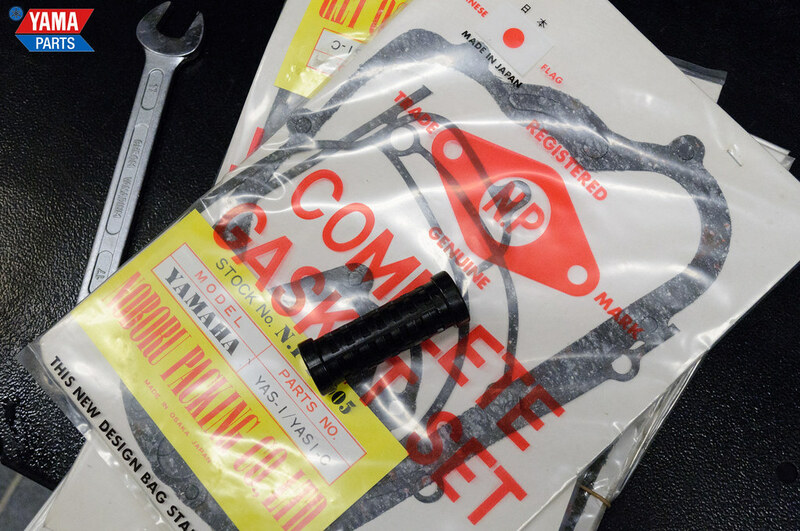 Hopefully the whole series have been of help. 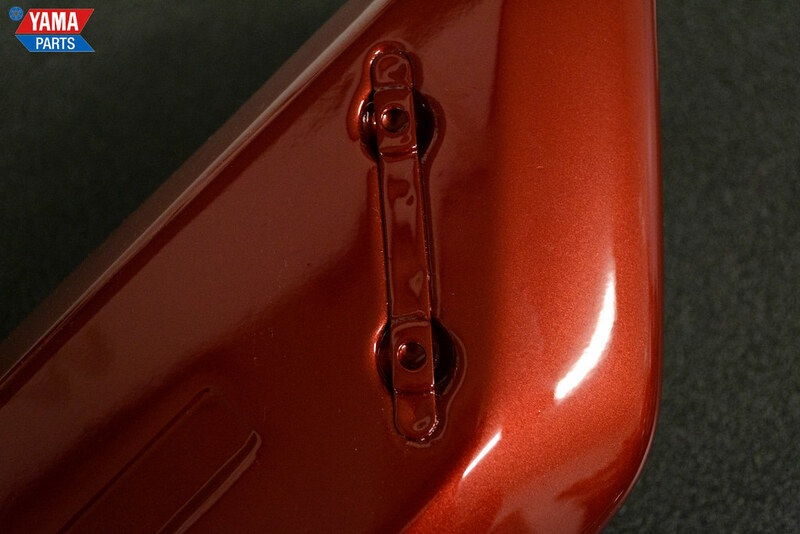 We haven’t gone into all of the details everywhere, they will follow as separate walkthroughs. 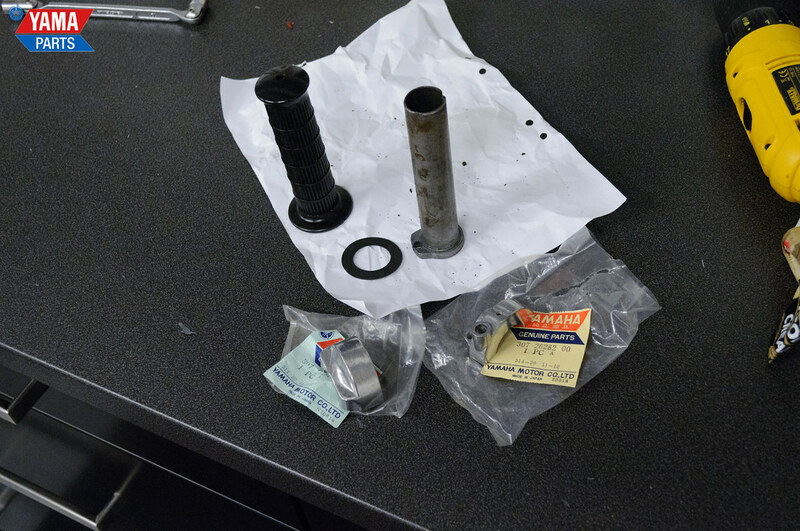 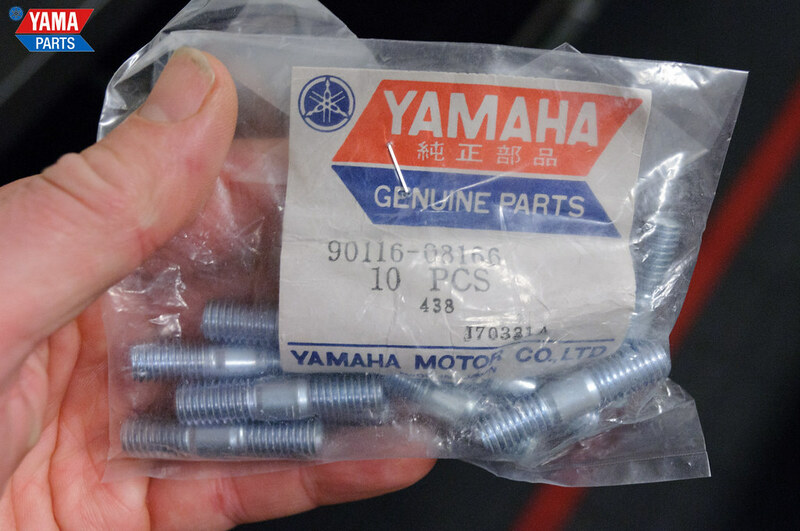 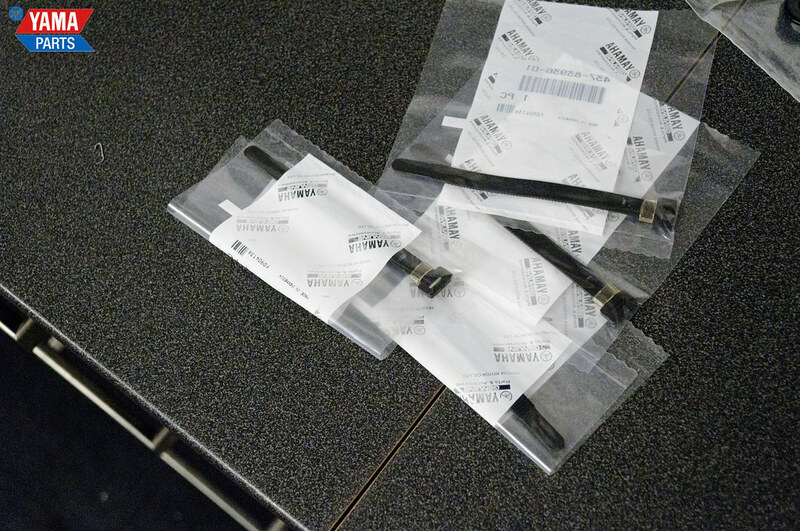 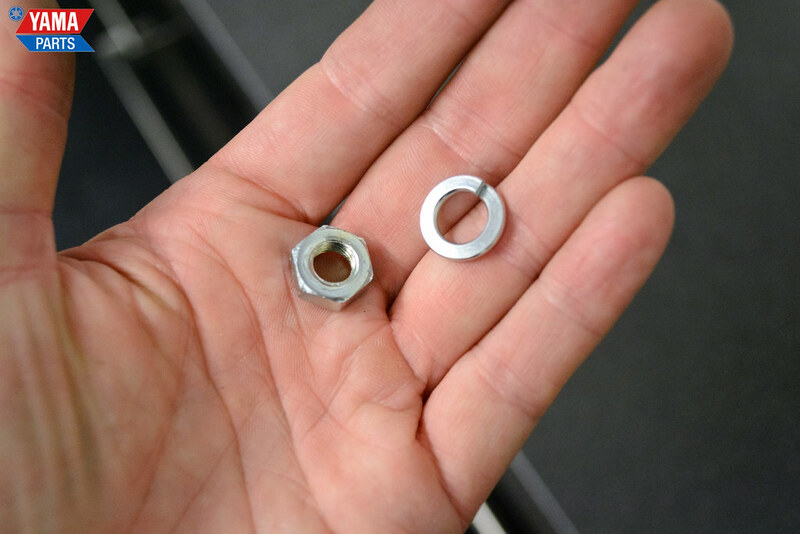 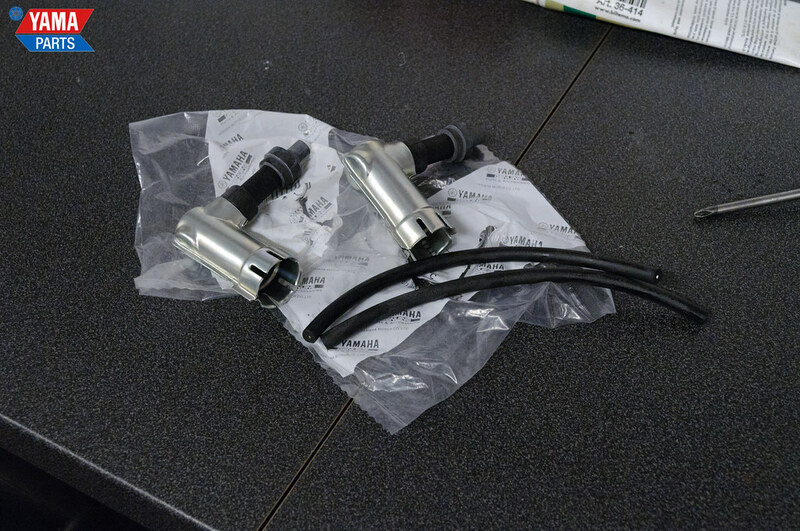 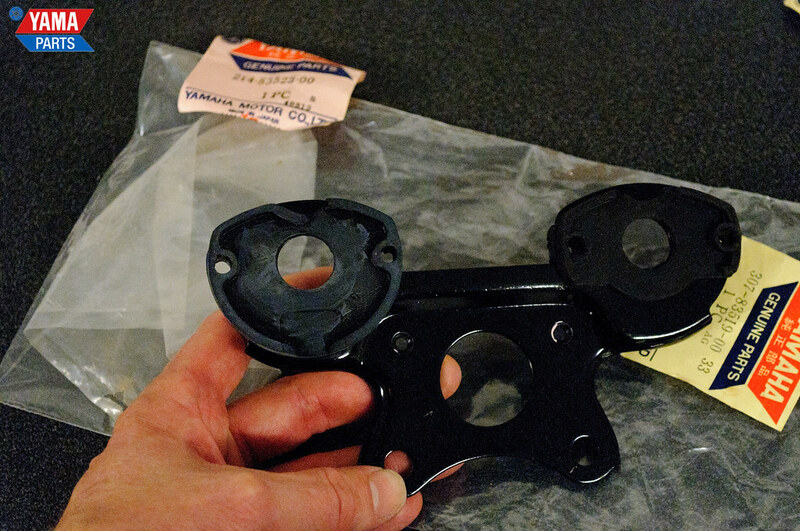 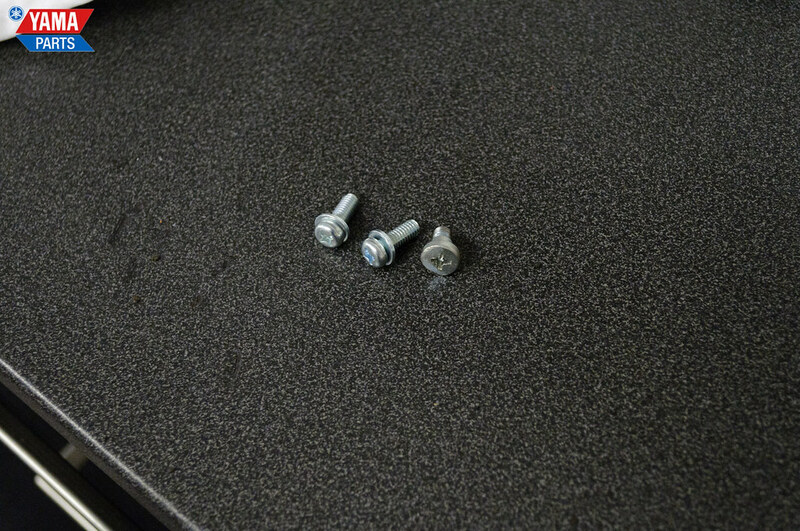 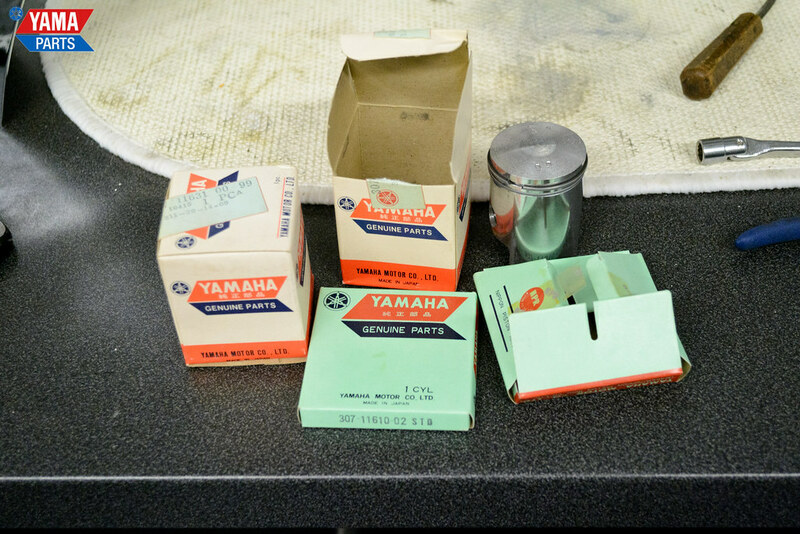 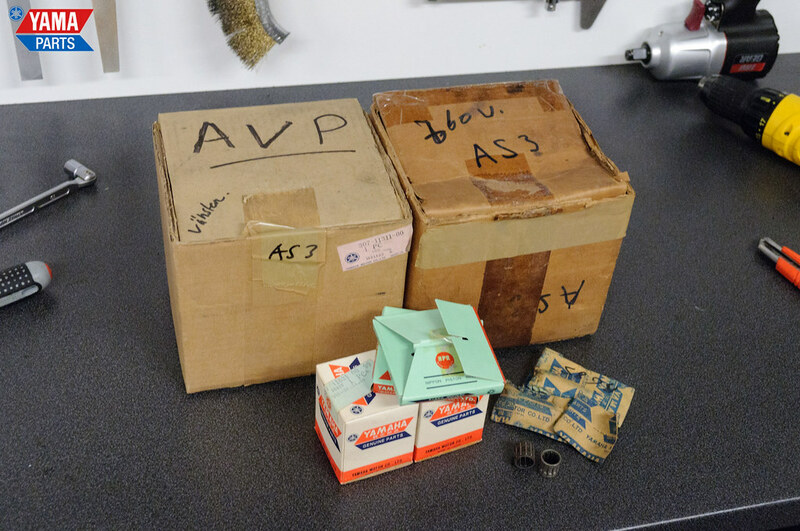 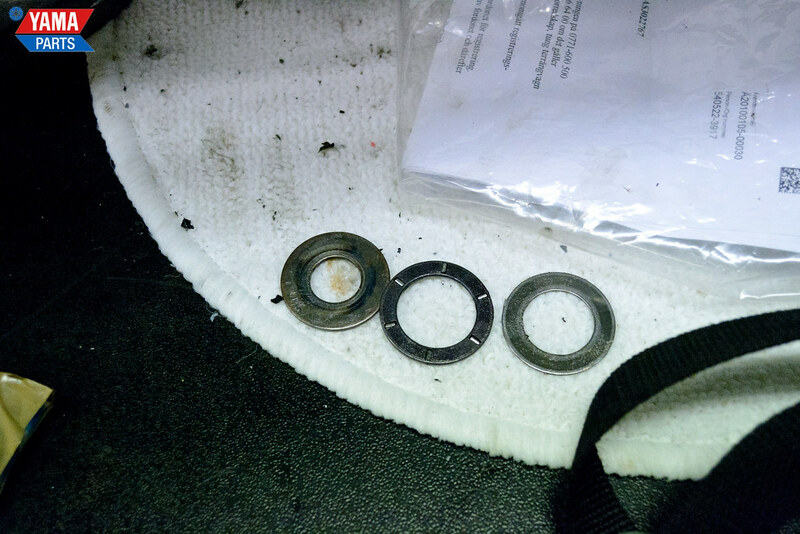 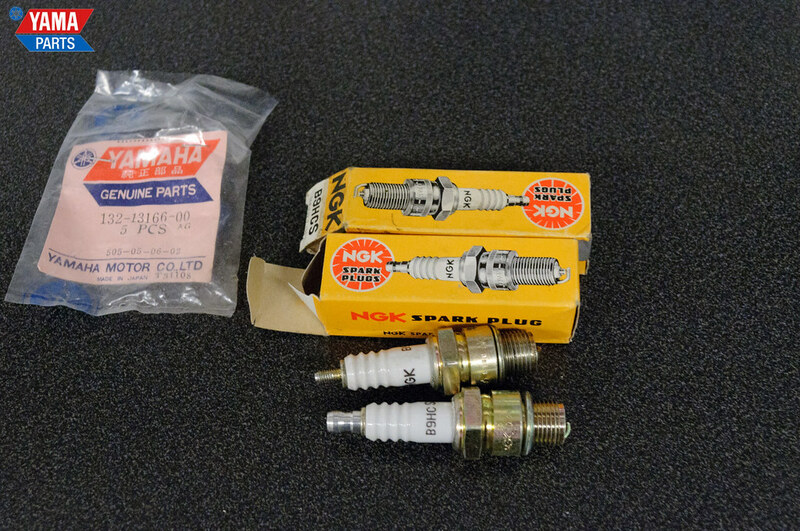 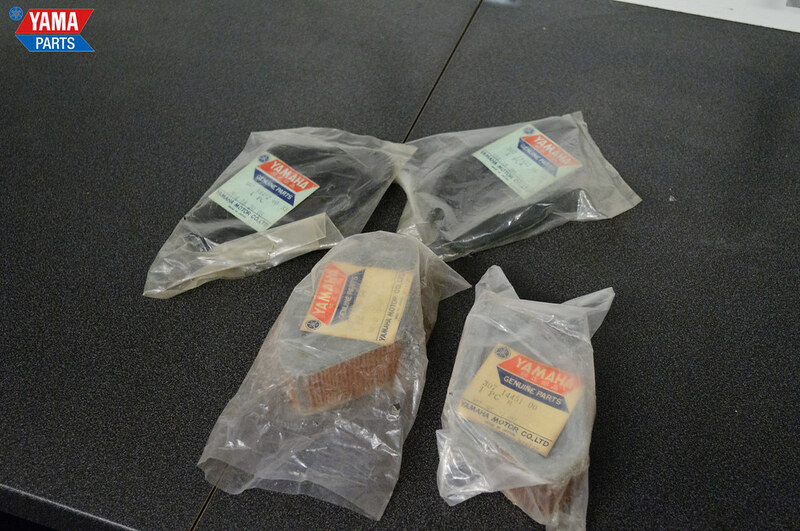 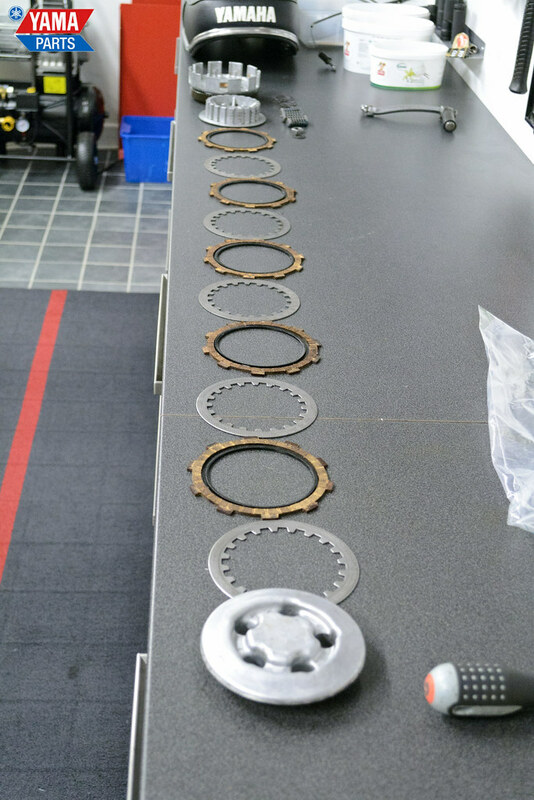 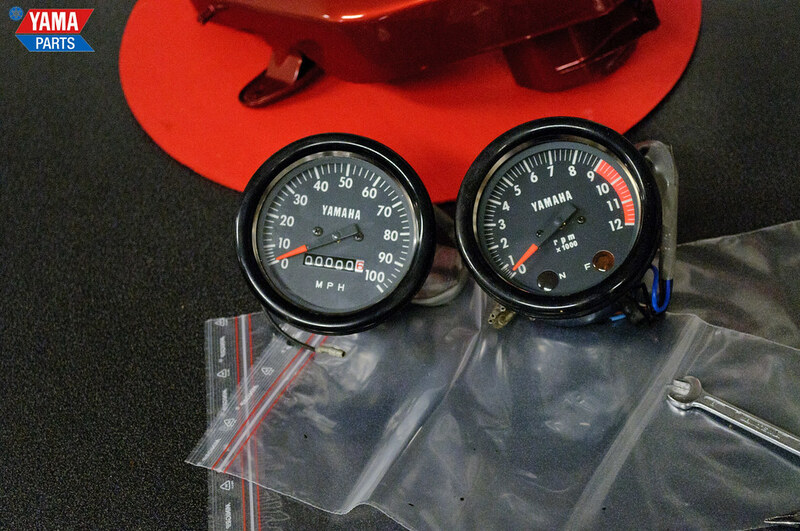 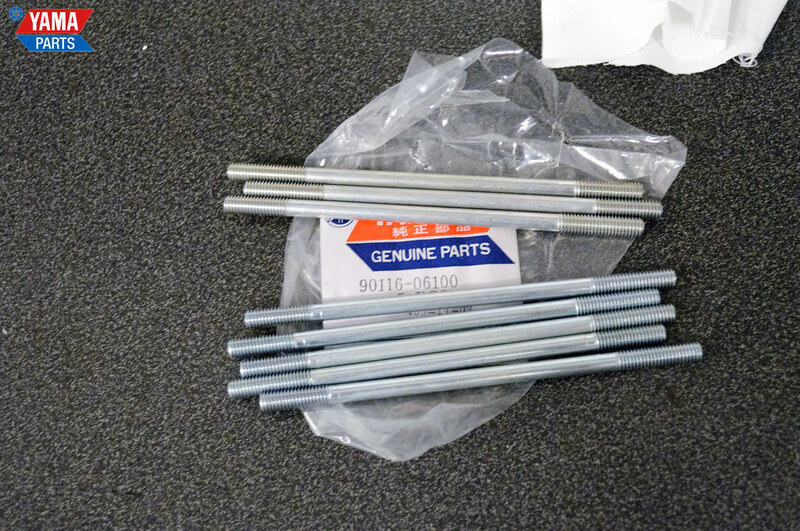 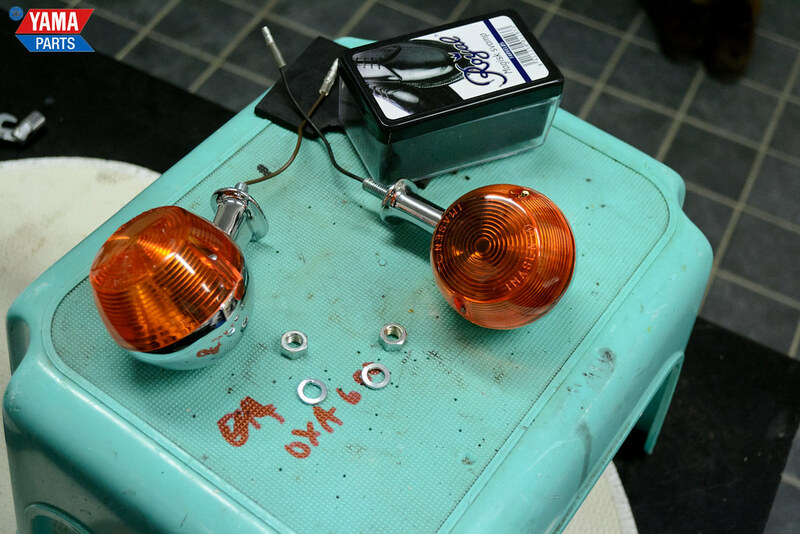 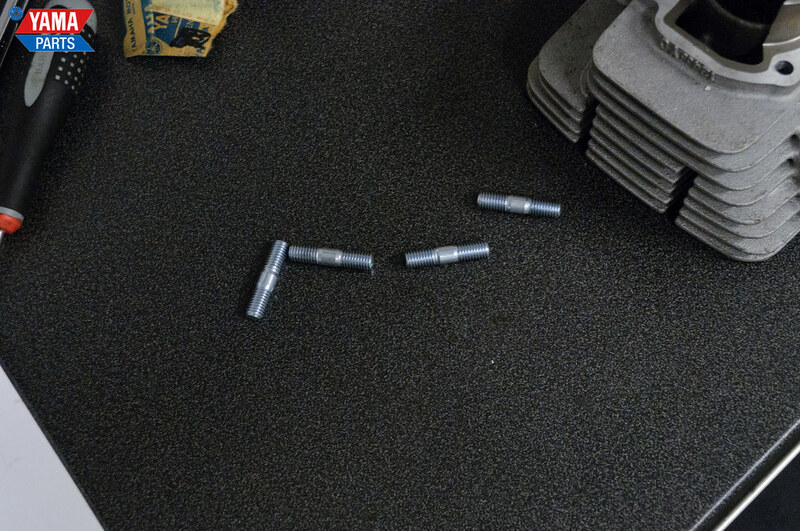 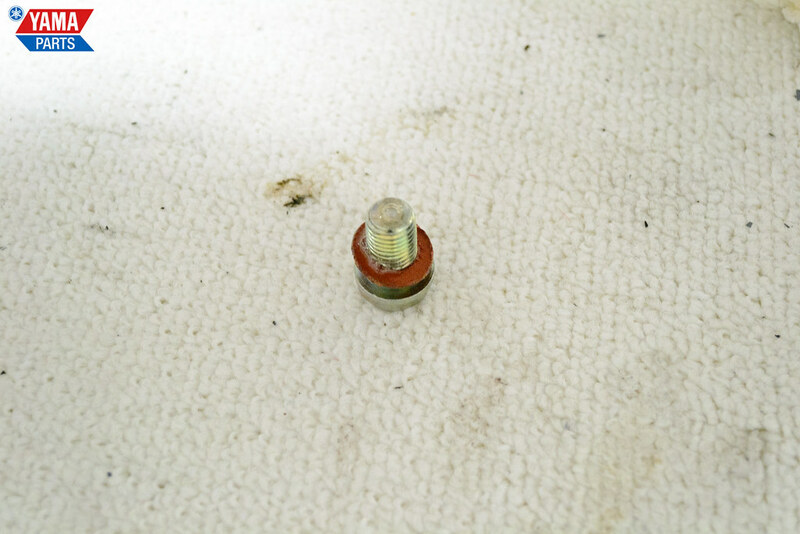 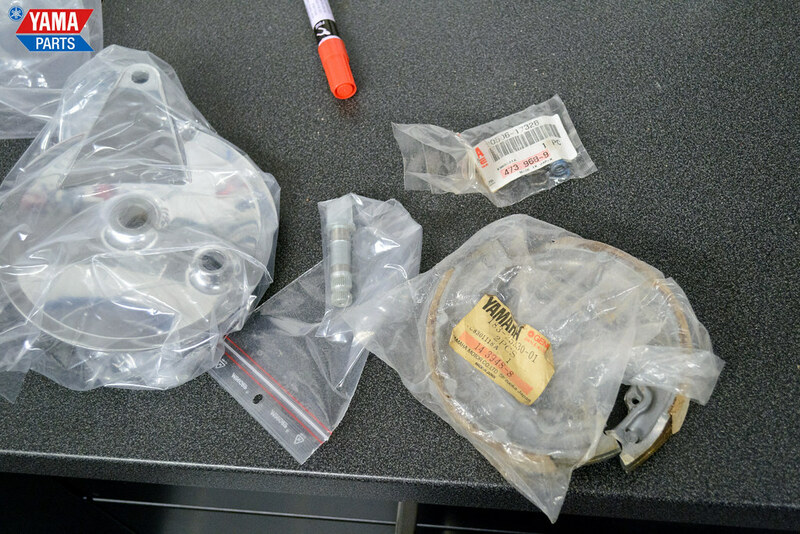 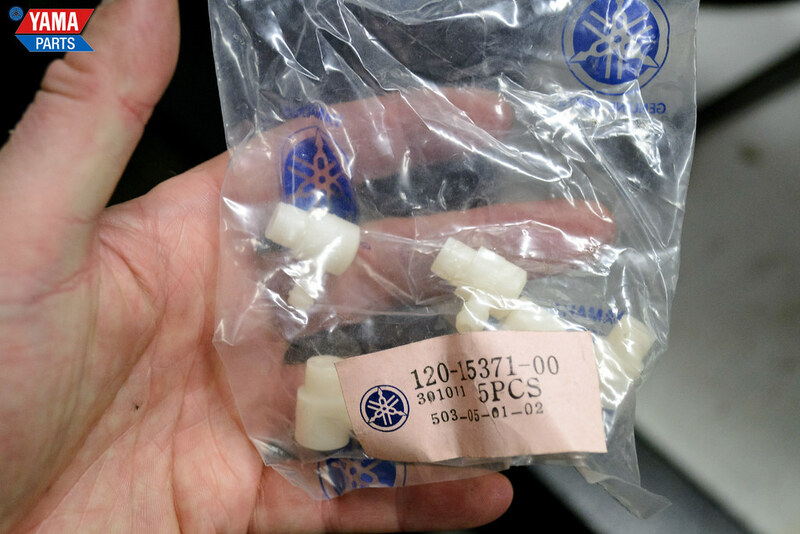 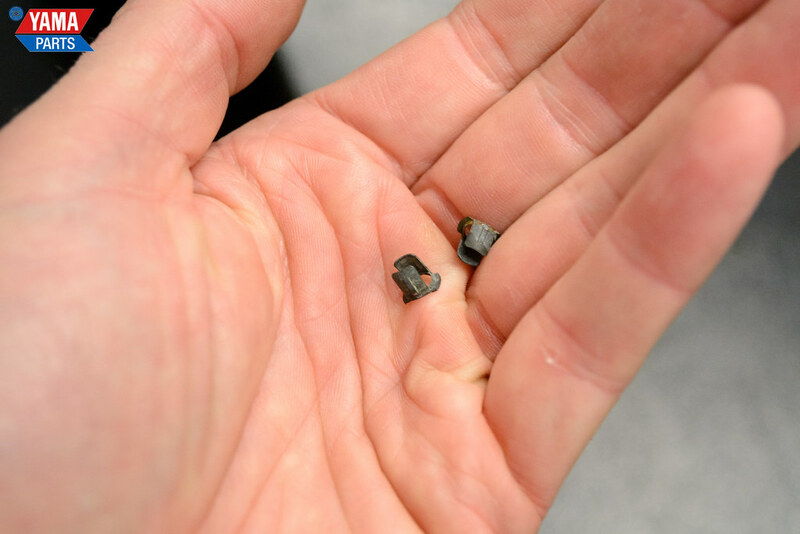 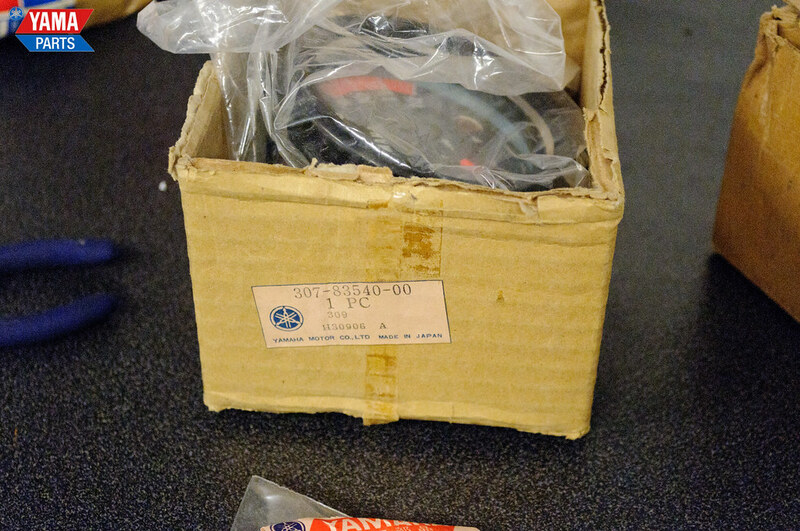 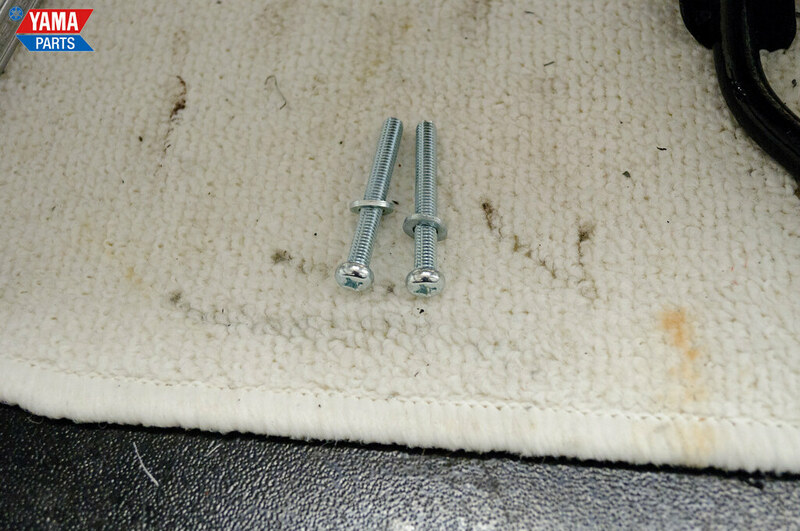 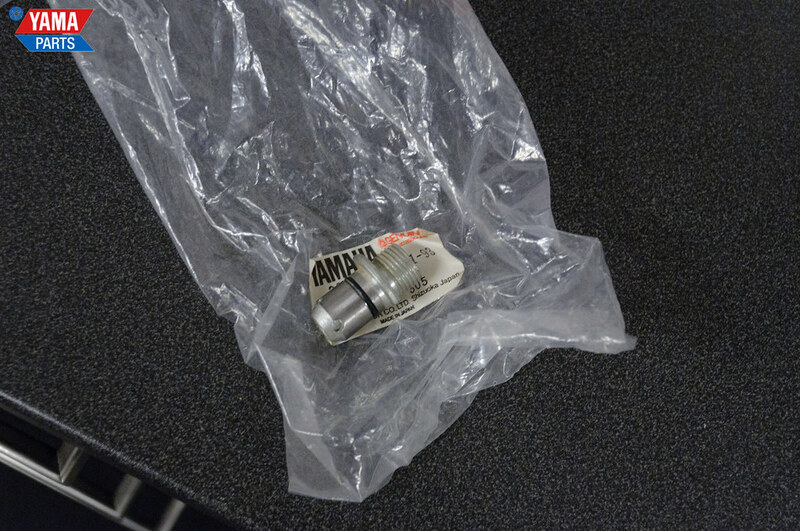 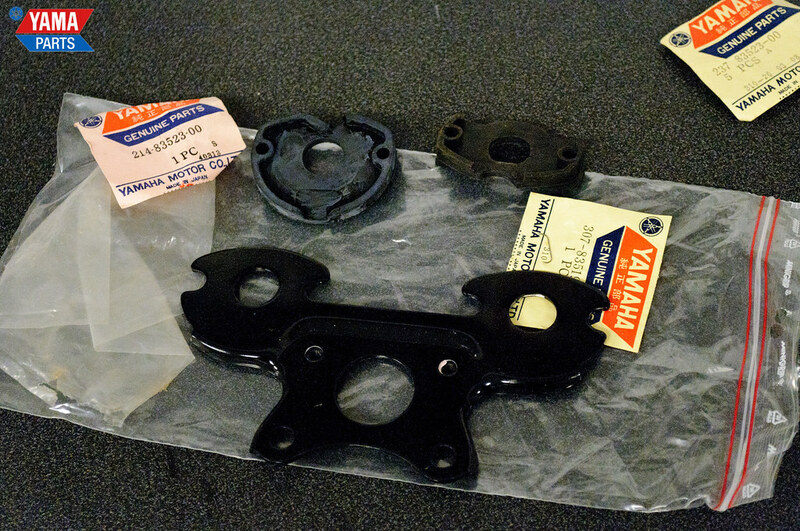 The most important of these will be assembling the engine block and the carburetors. 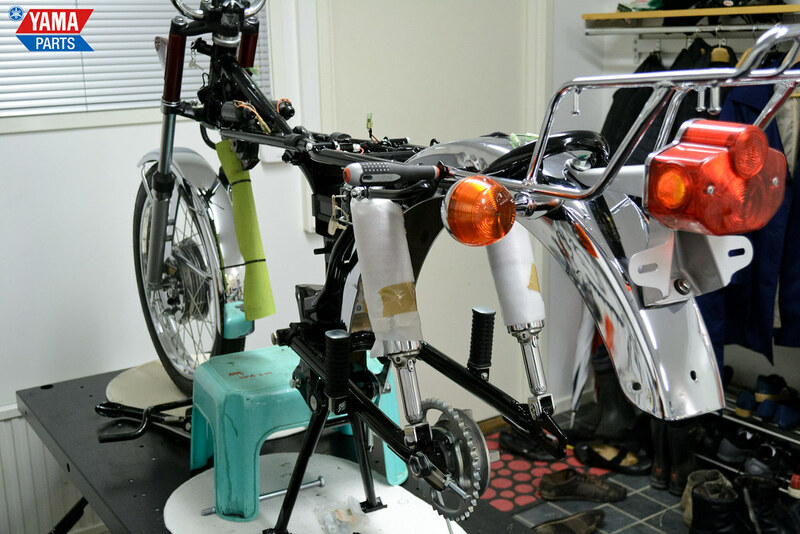 If you’re disassembling one of these bikes, just follow the order in reverse and you should be able to do it relatively easily. 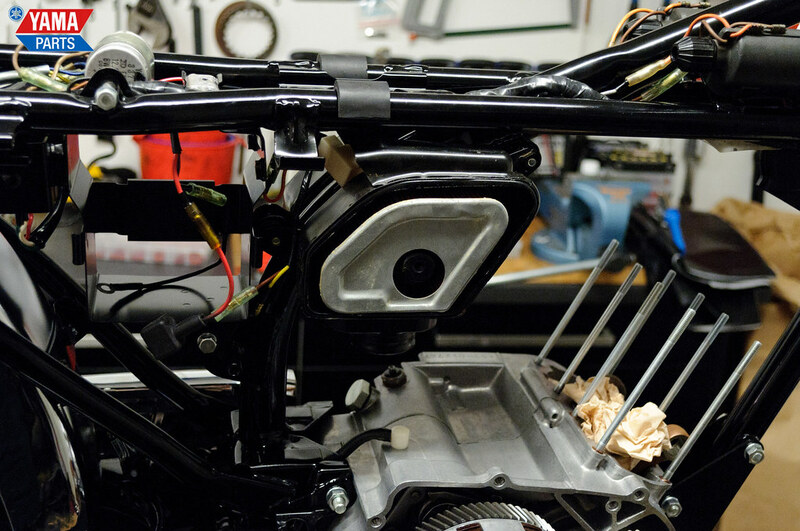 We’re approaching the final installment in our AS3 walkthrough. 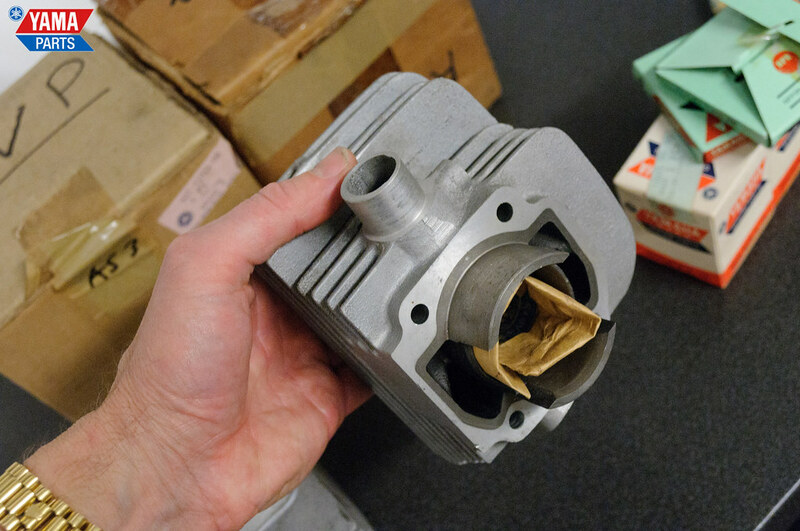 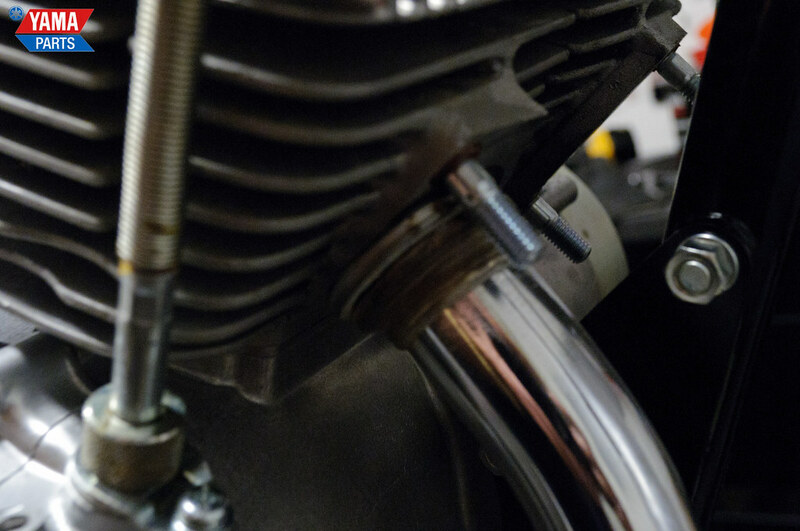 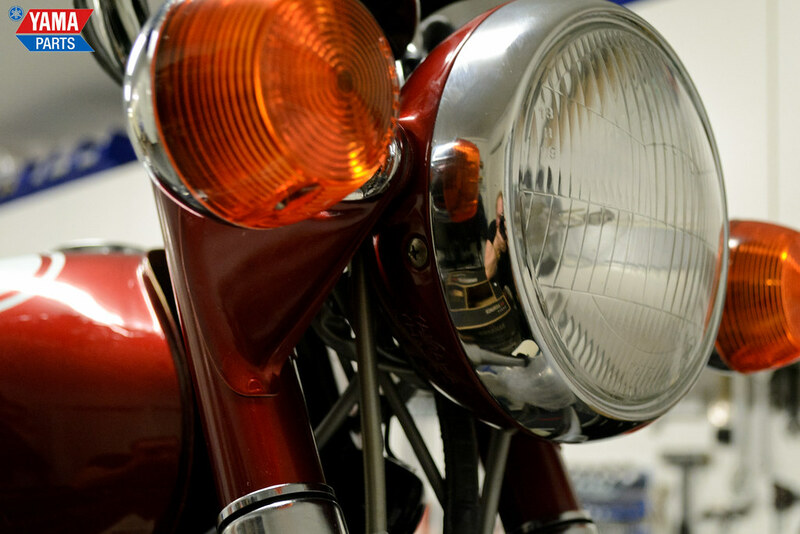 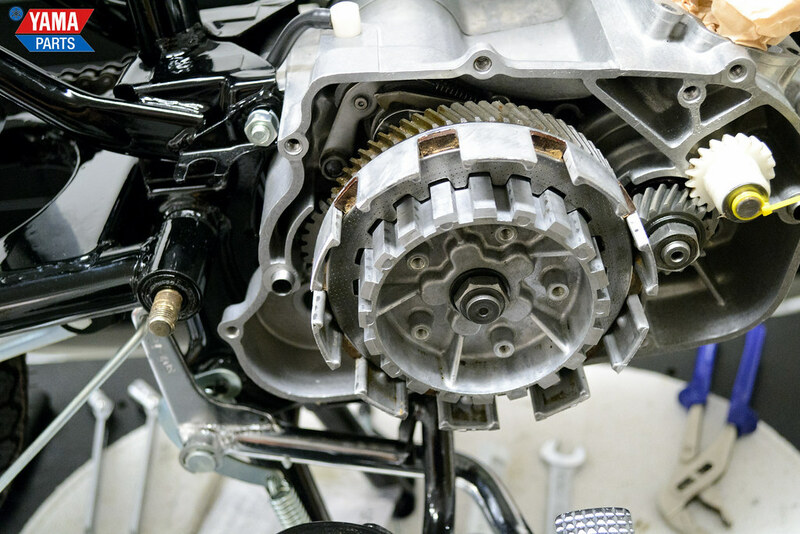 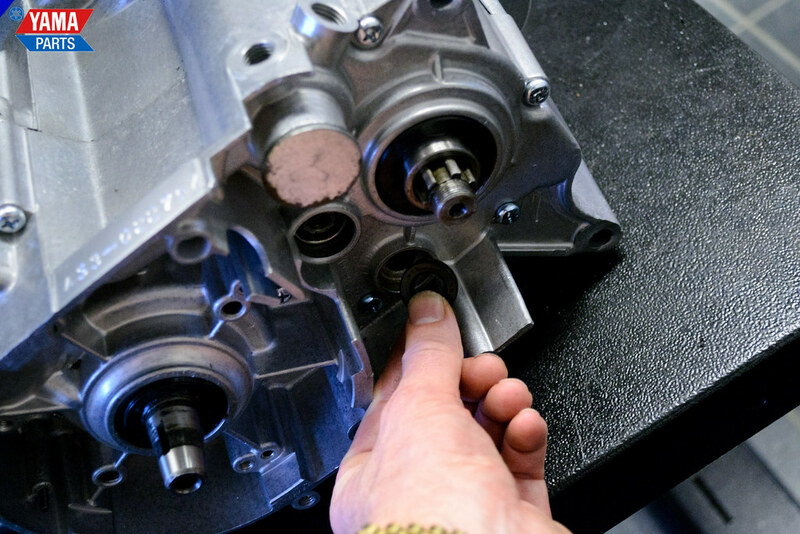 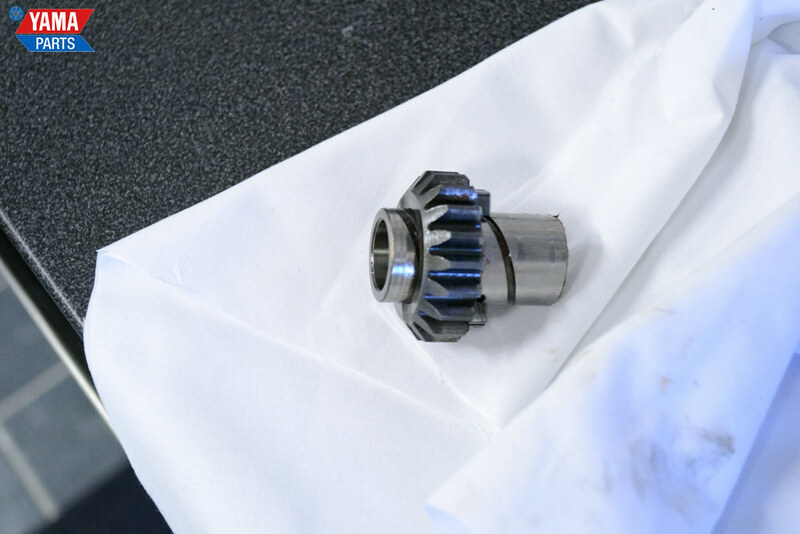 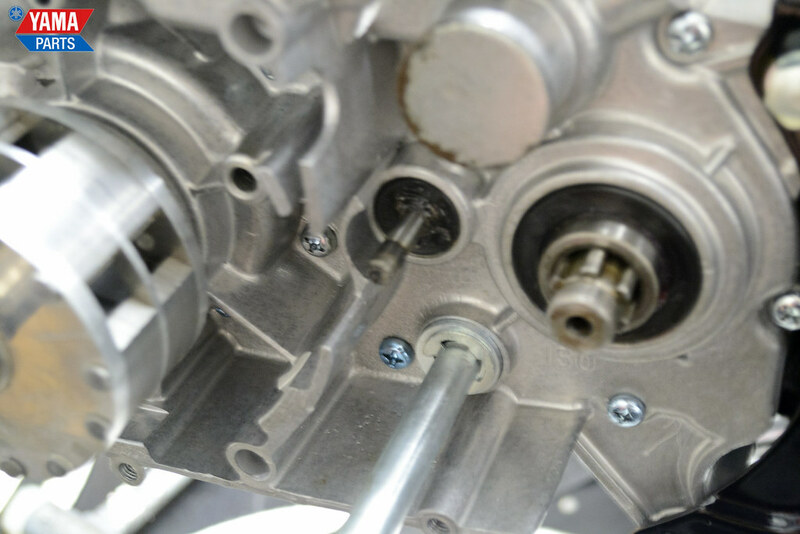 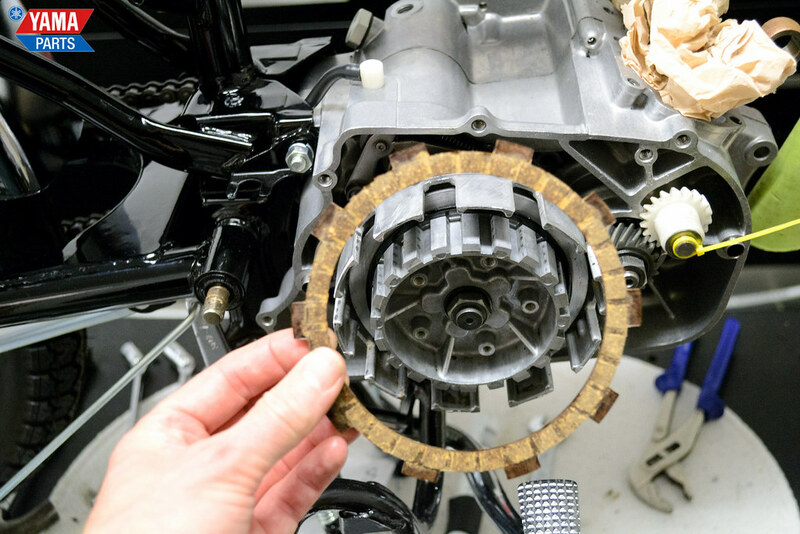 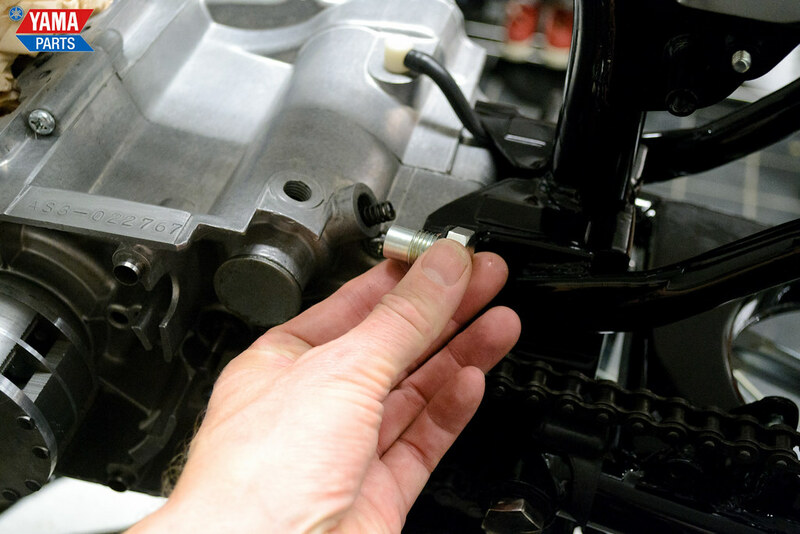 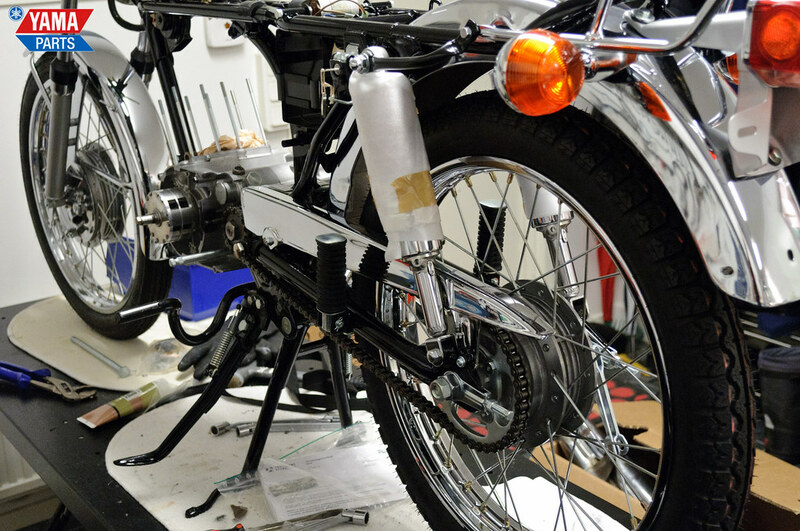 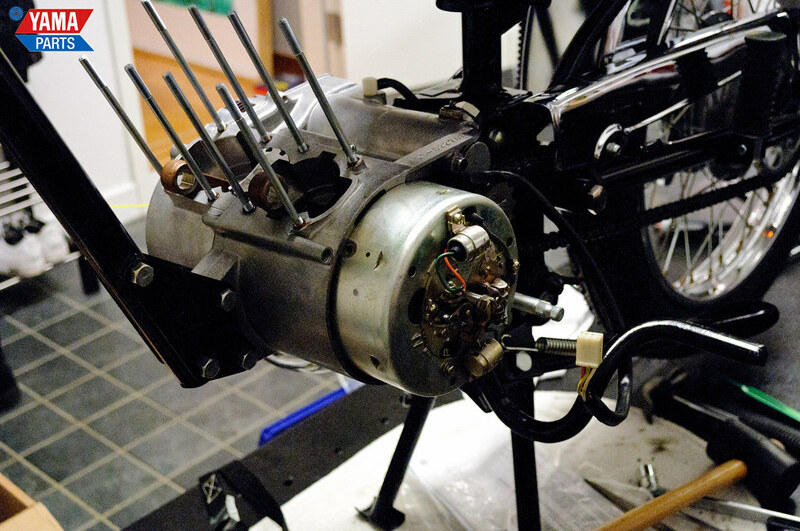 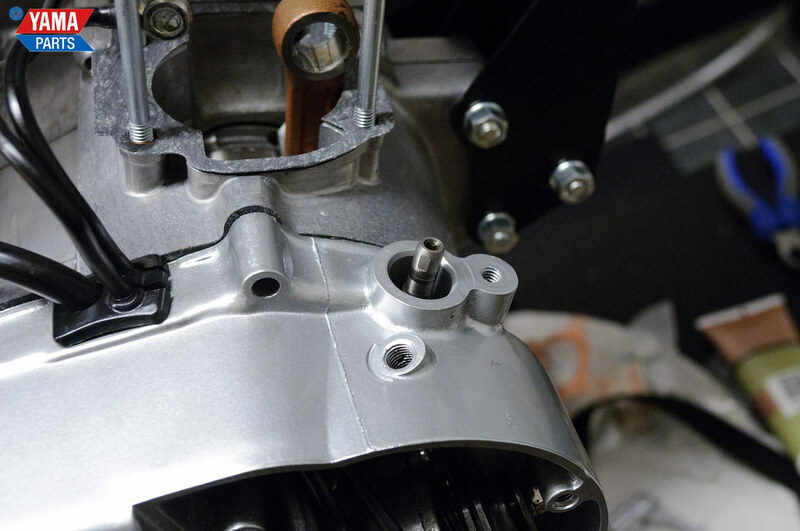 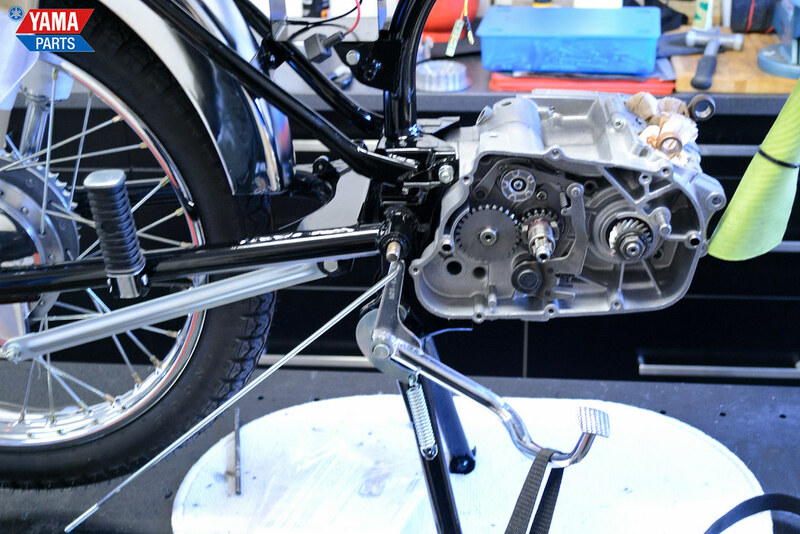 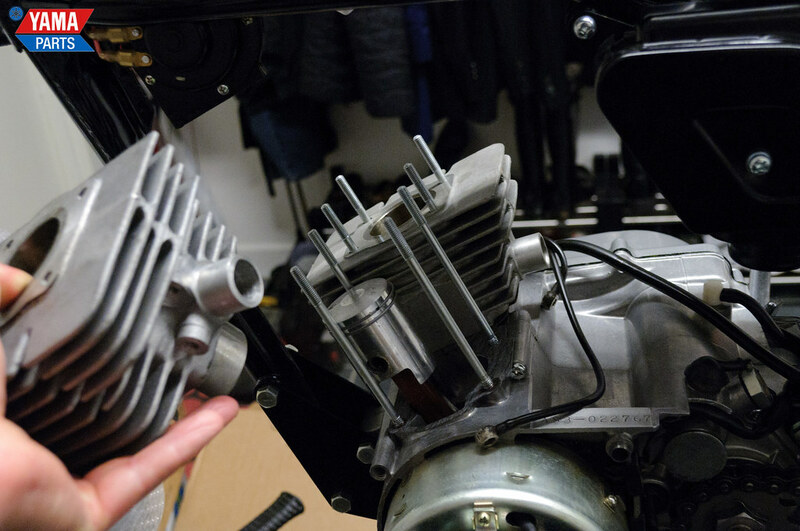 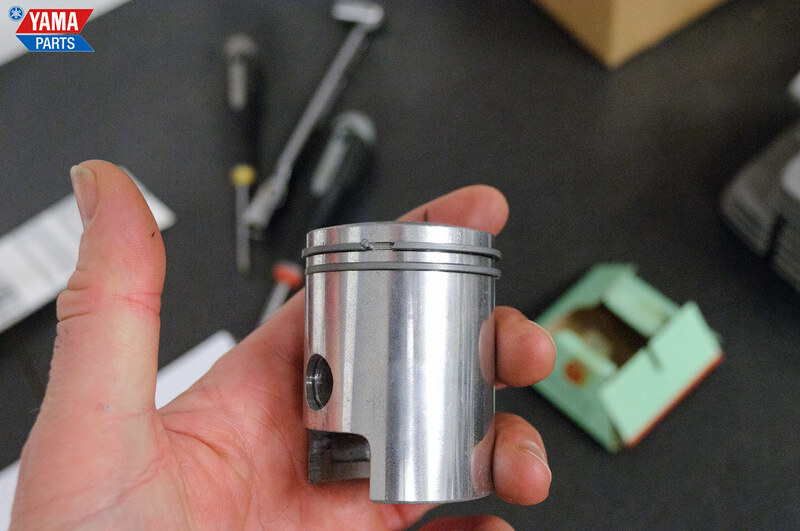 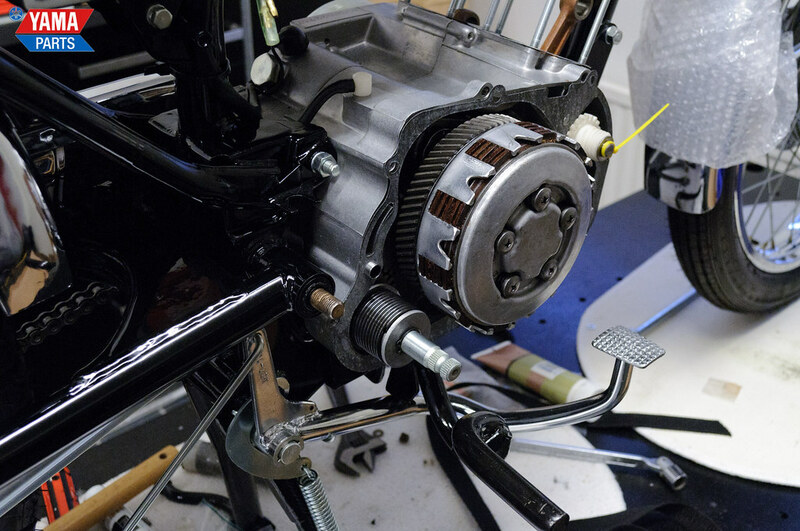 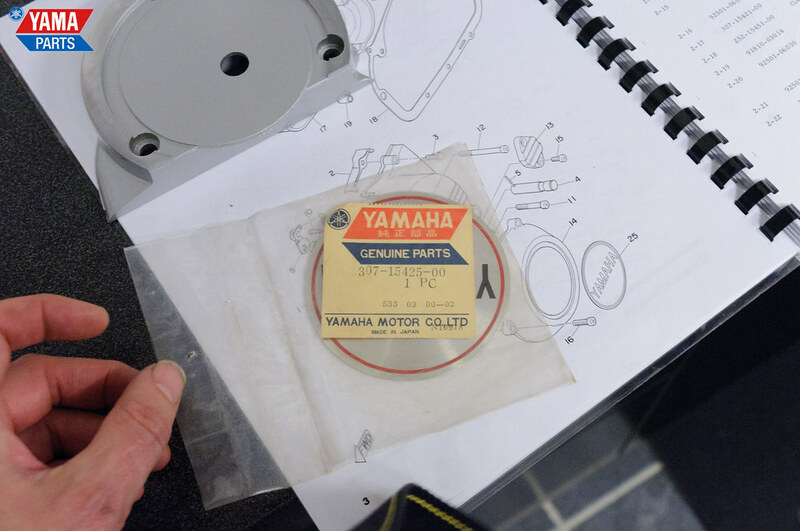 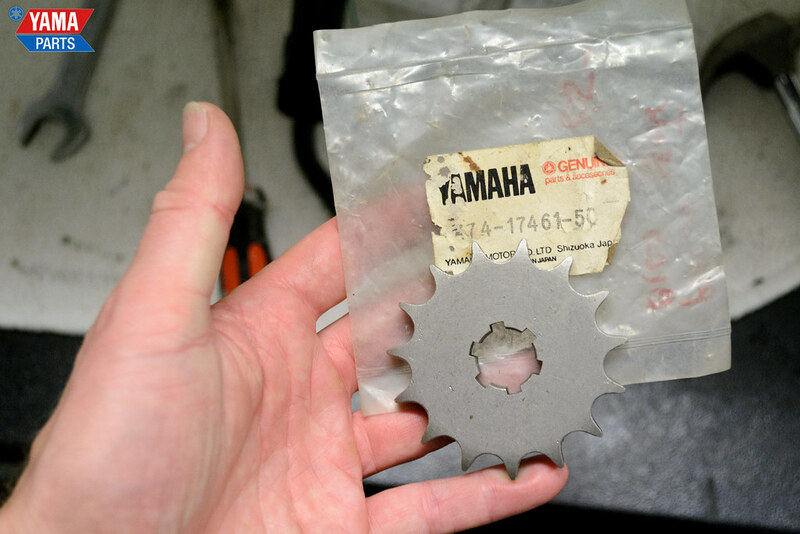 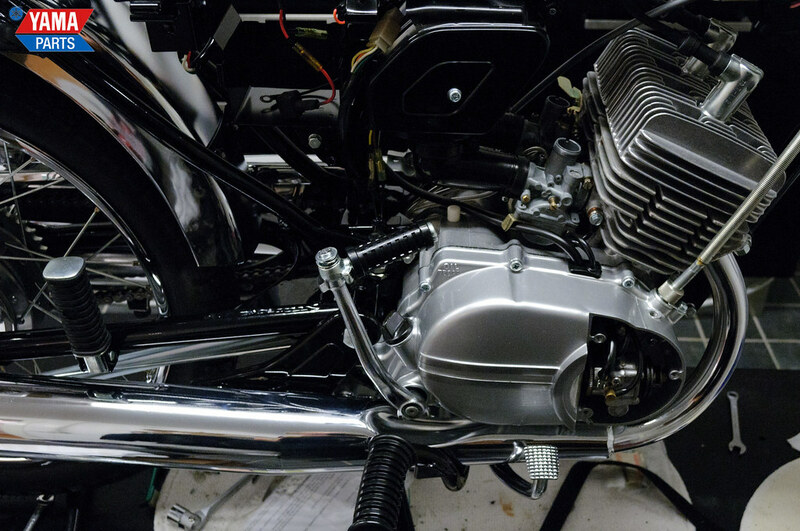 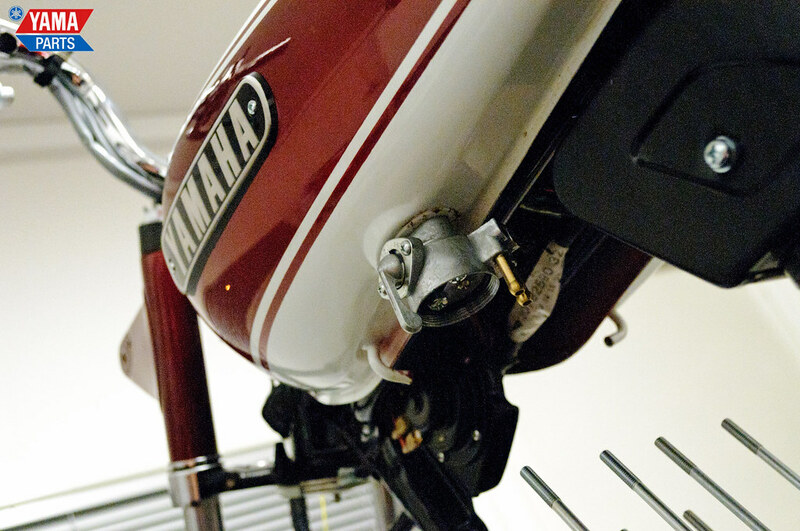 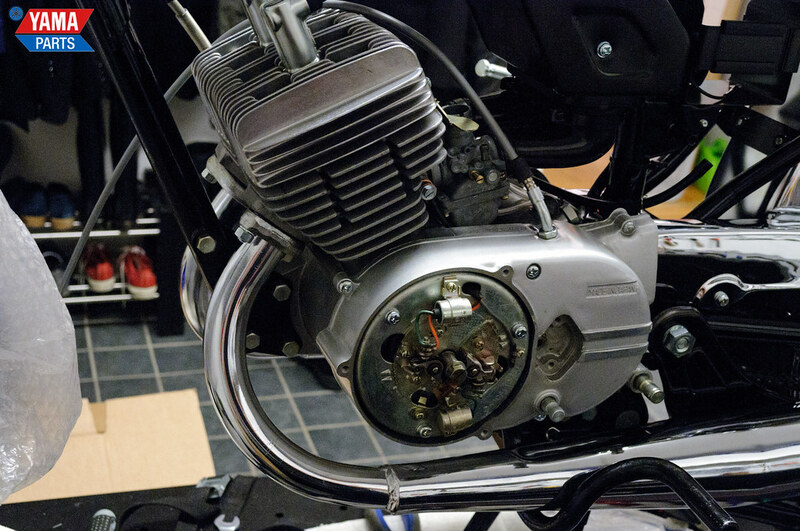 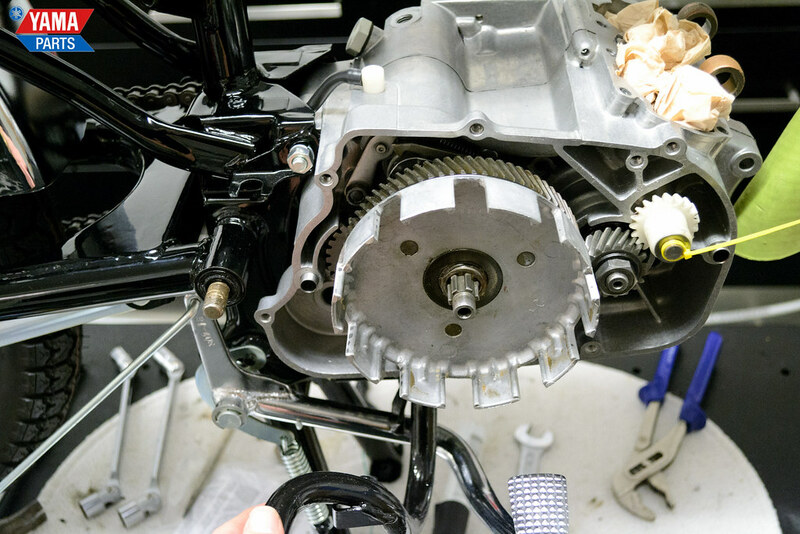 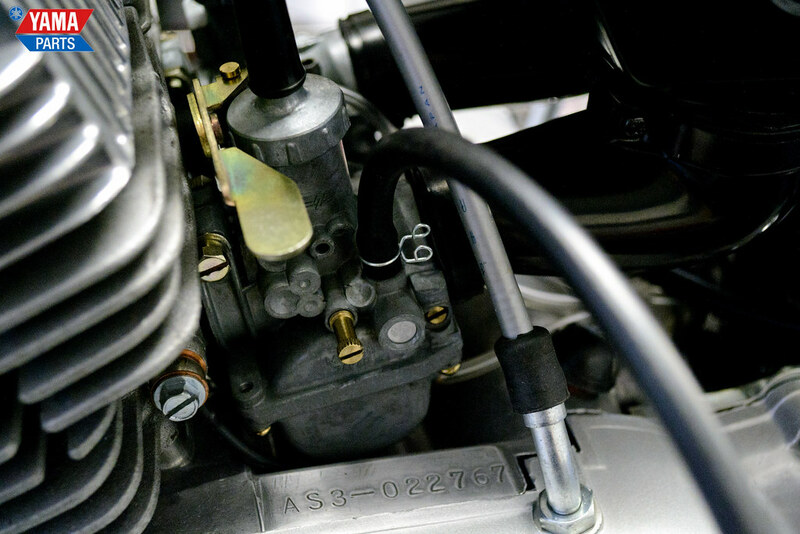 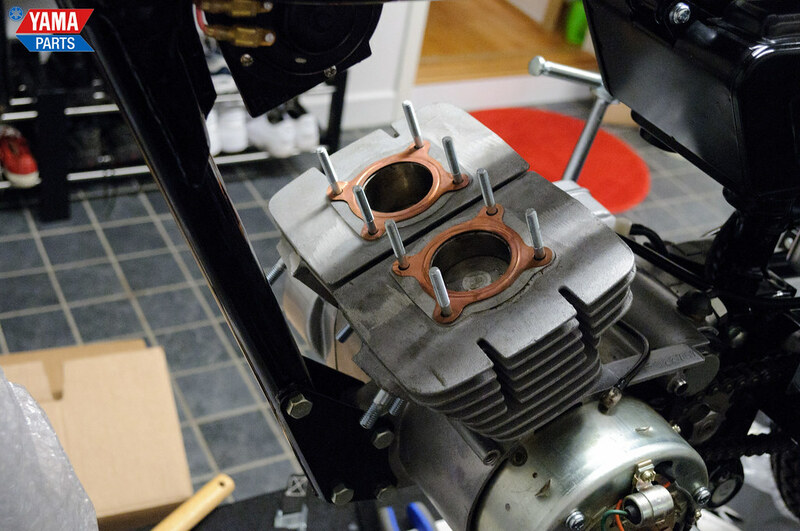 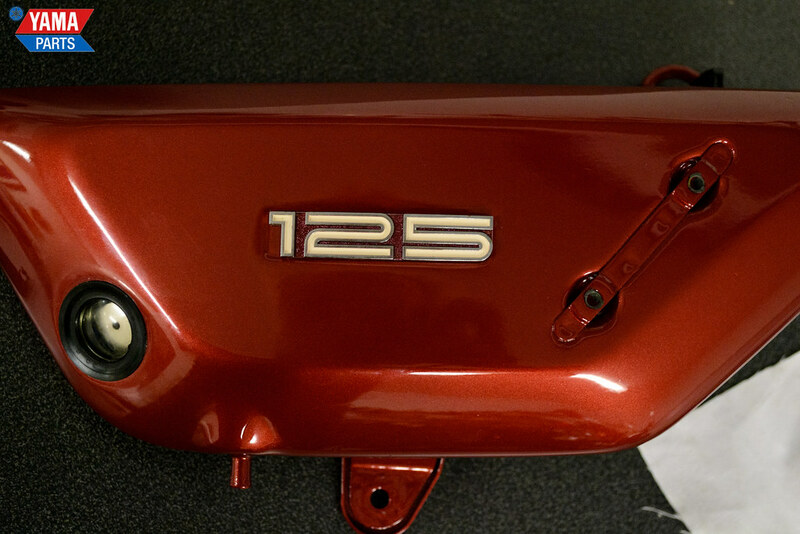 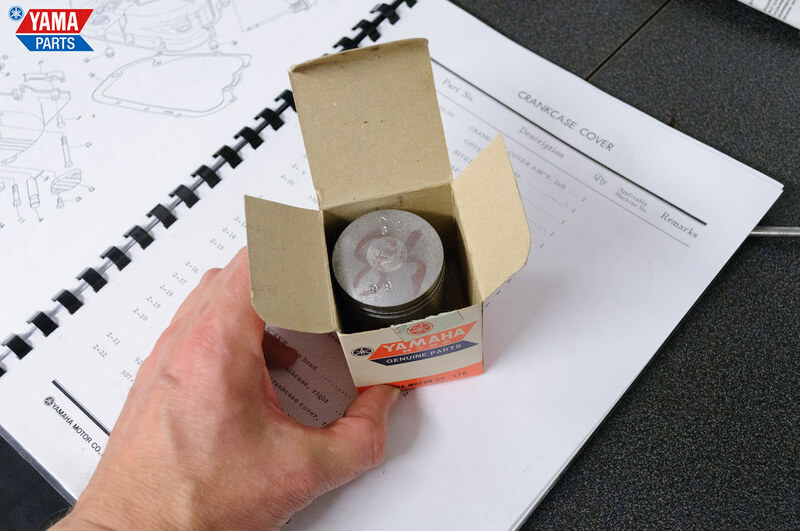 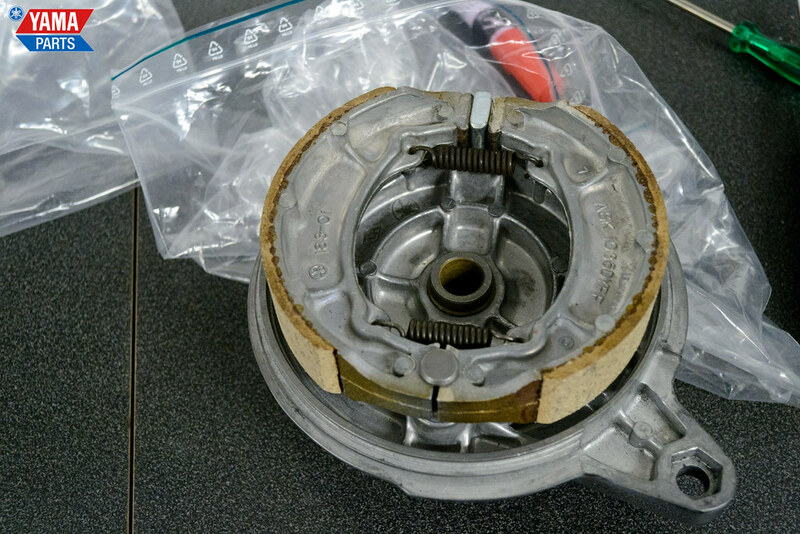 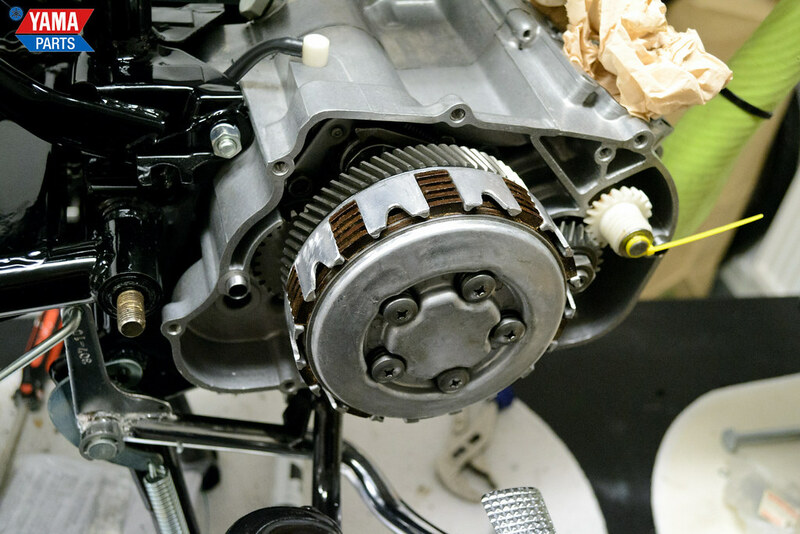 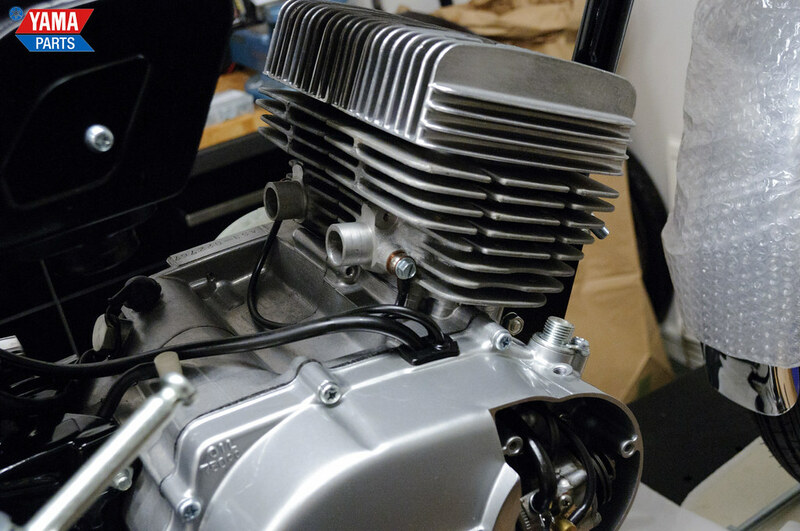 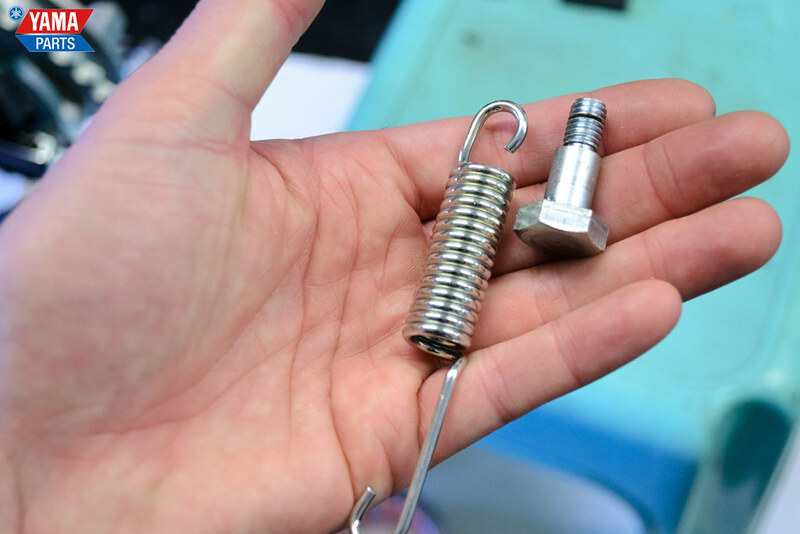 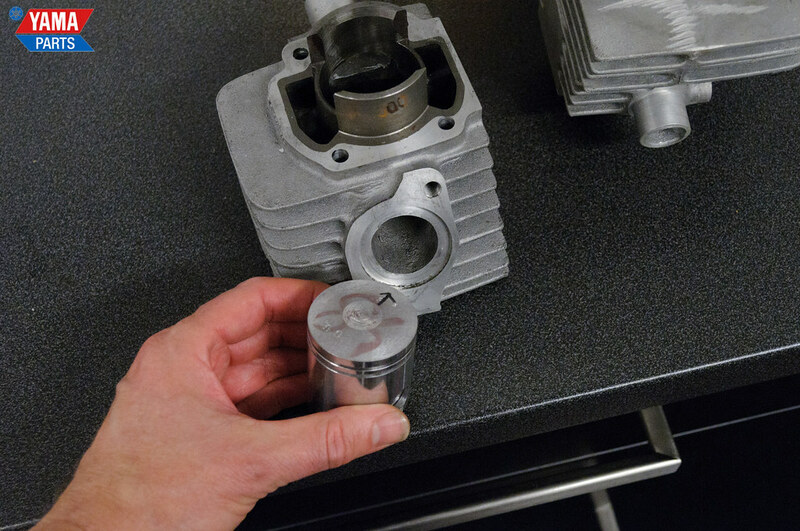 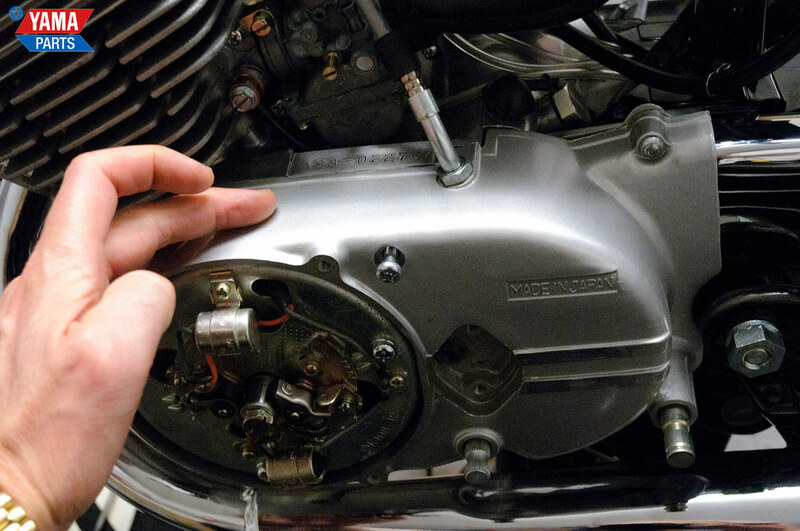 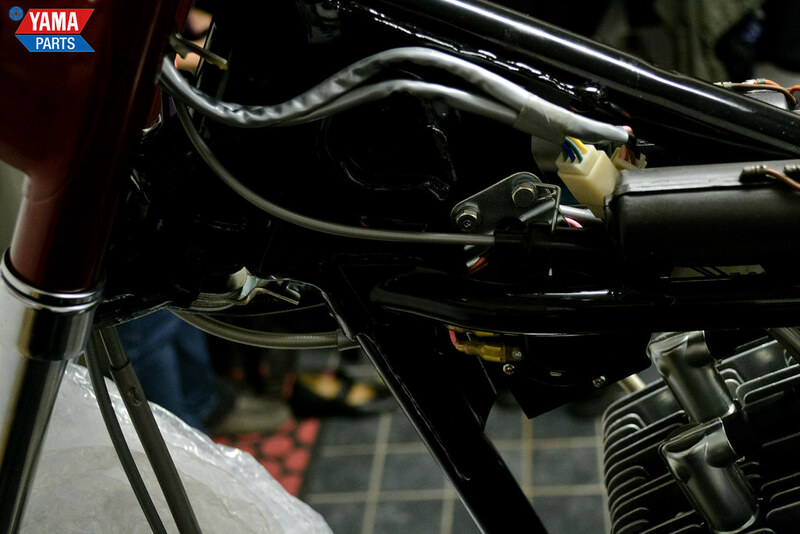 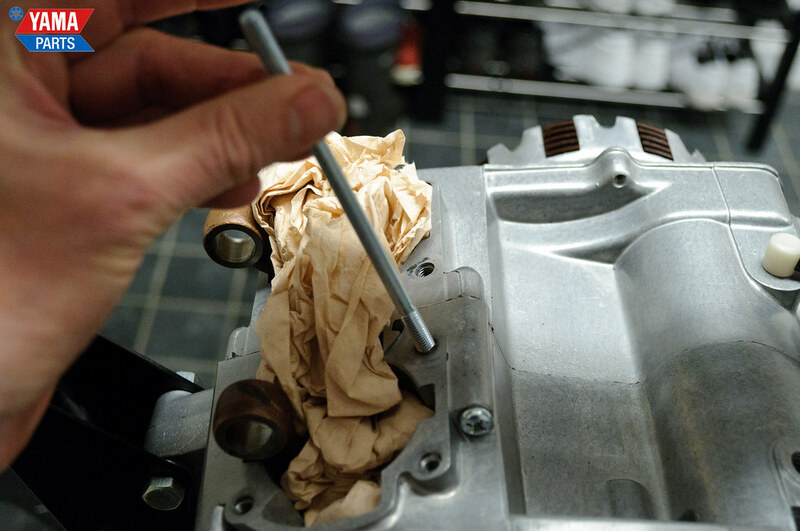 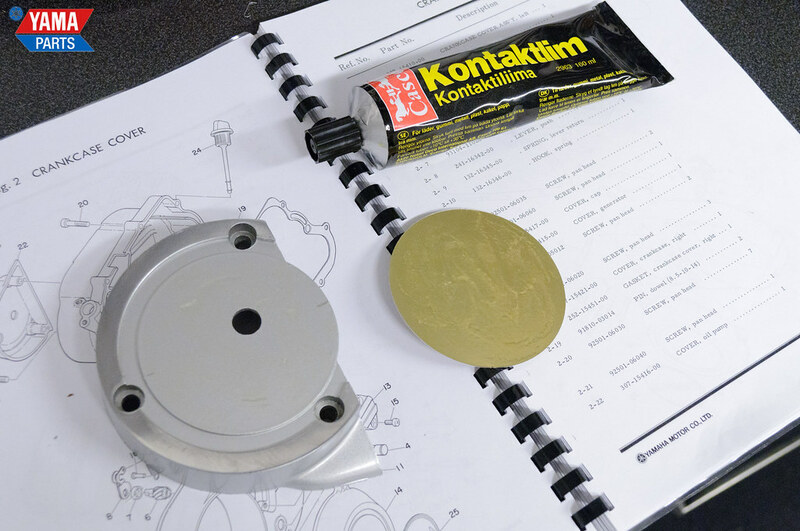 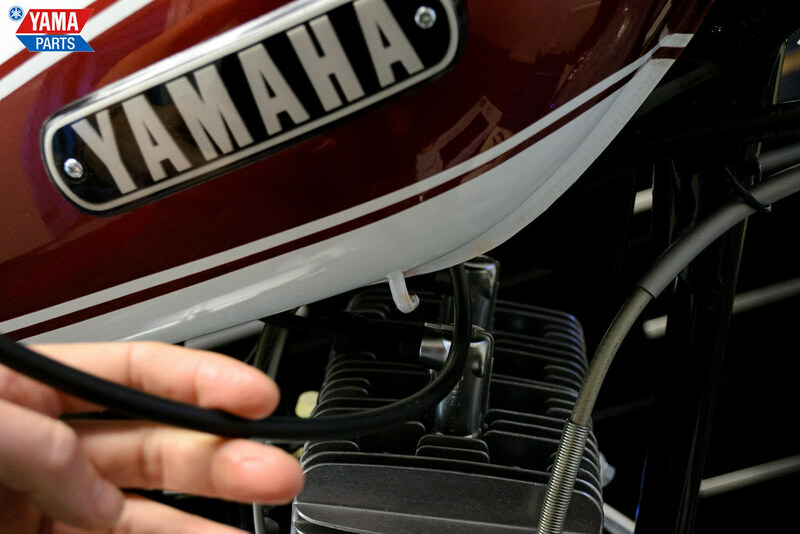 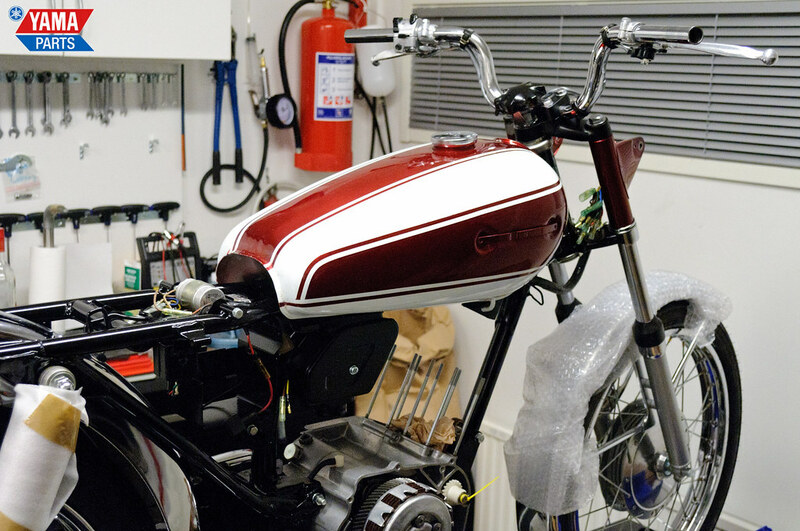 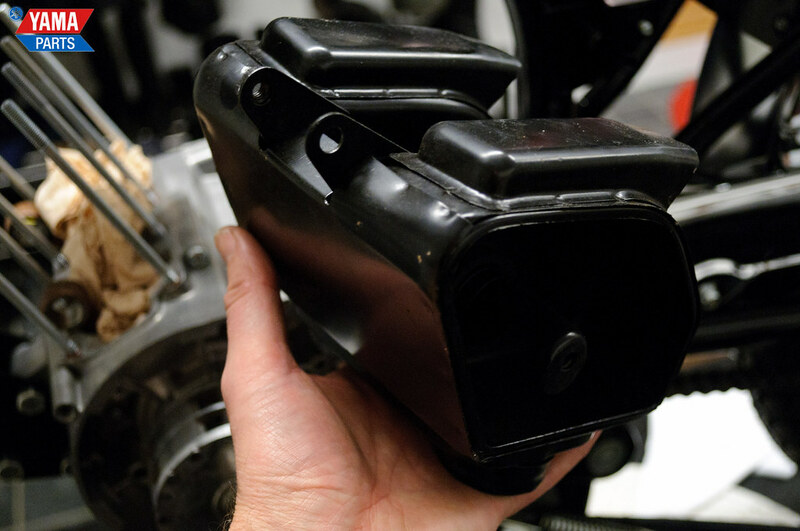 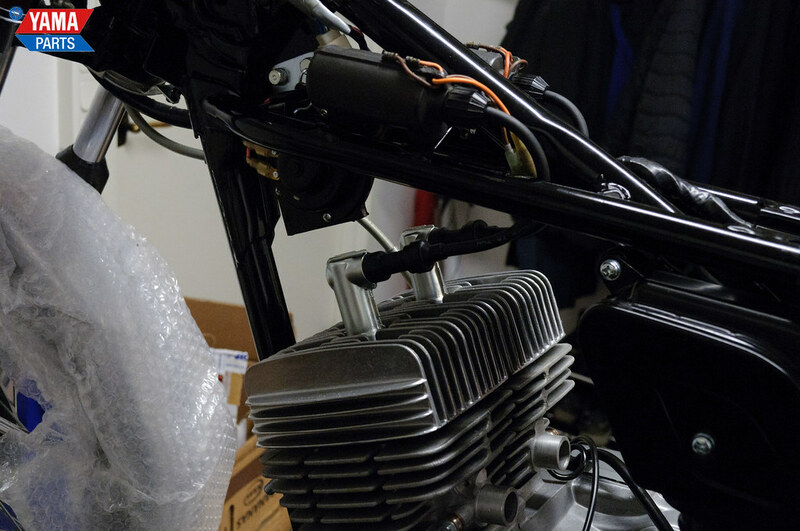 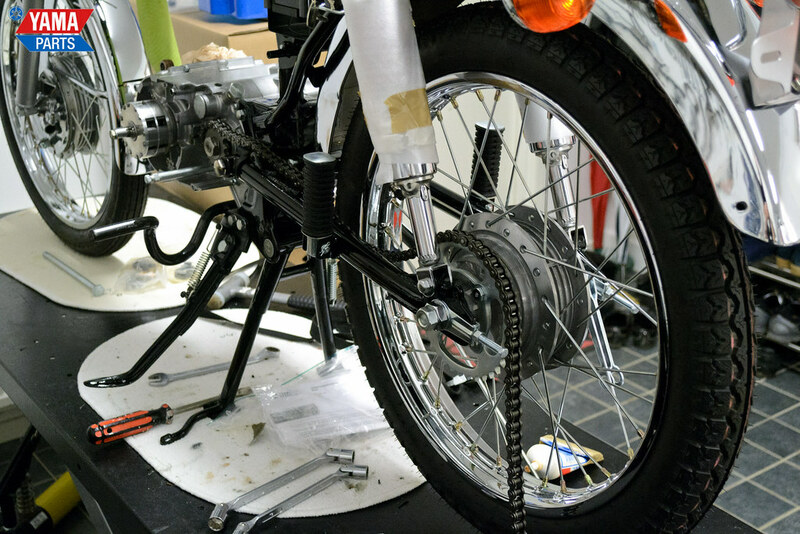 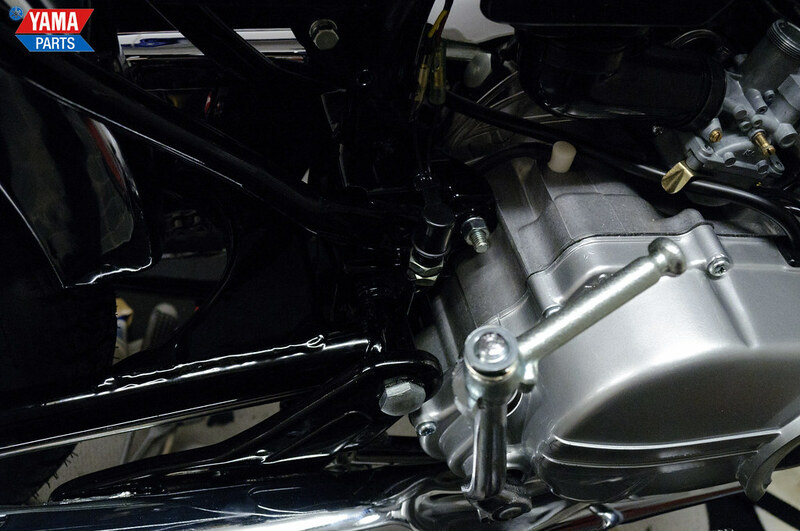 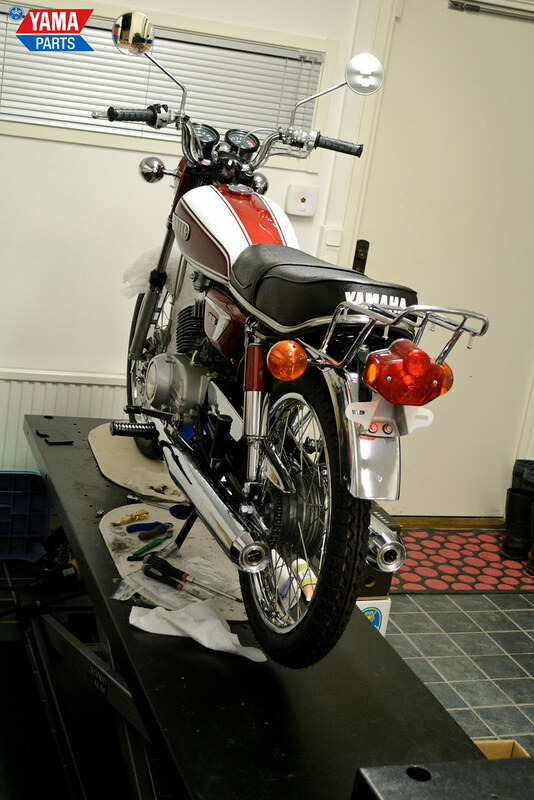 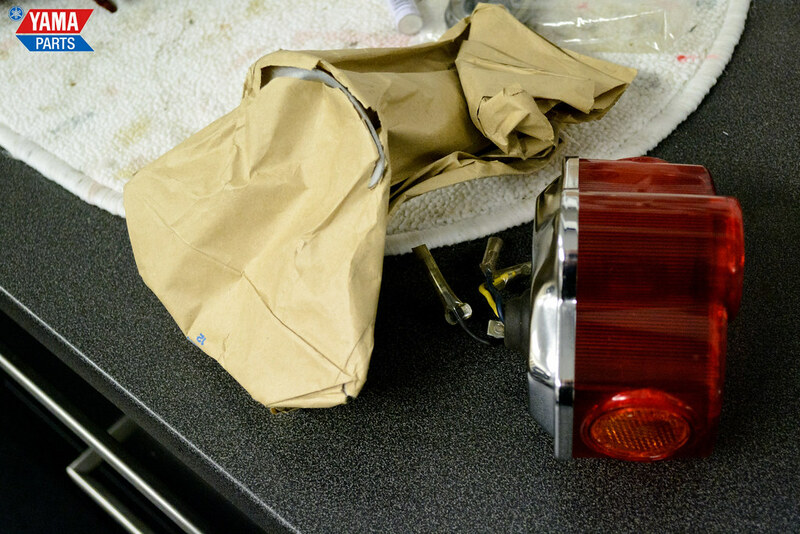 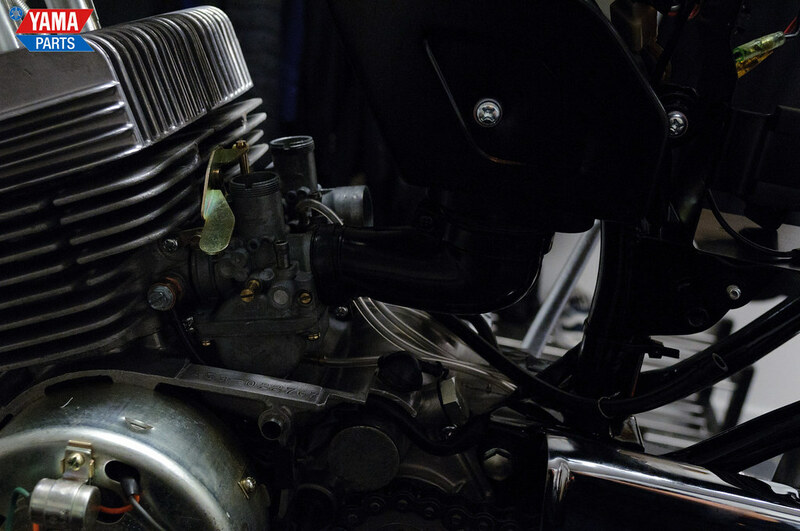 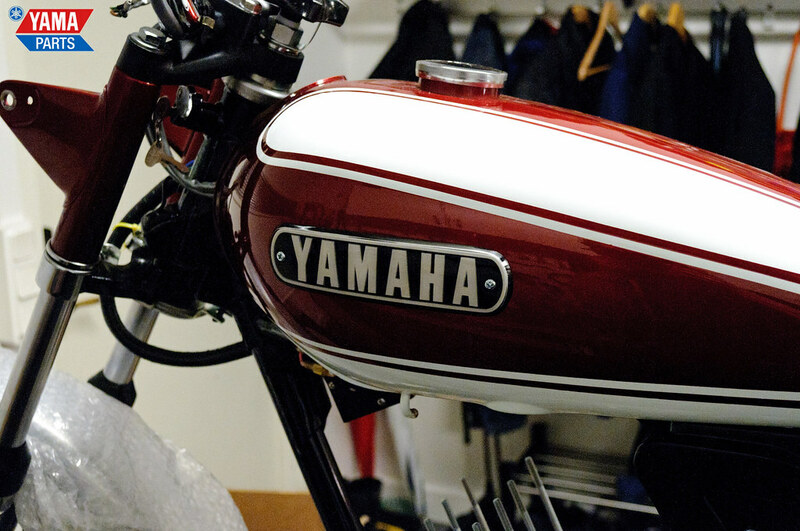 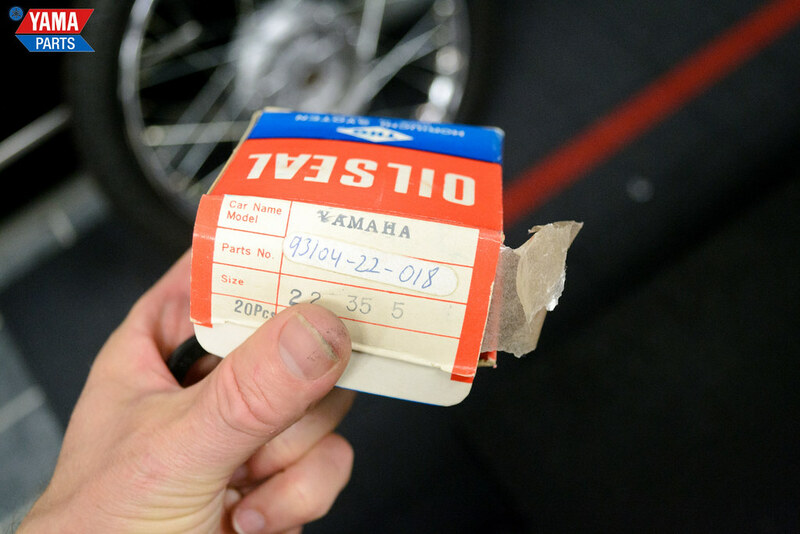 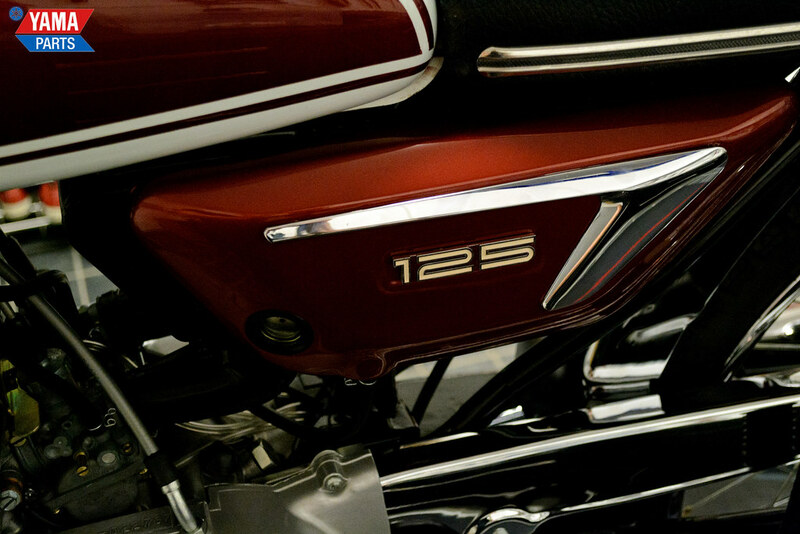 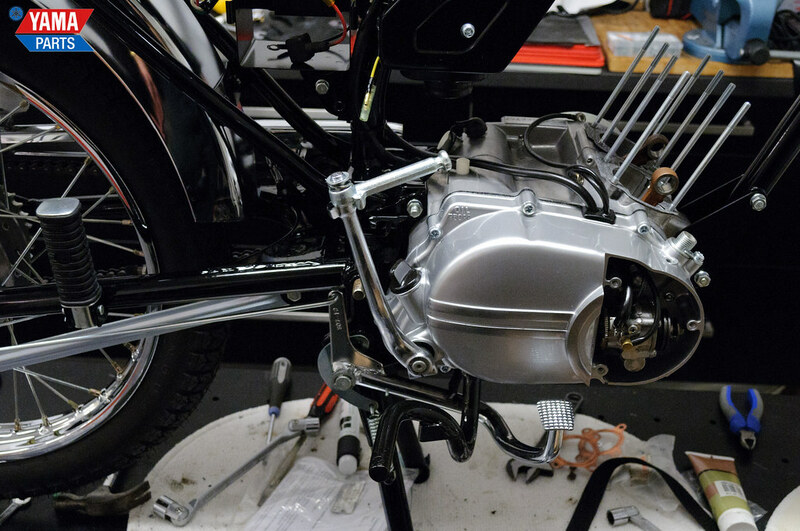 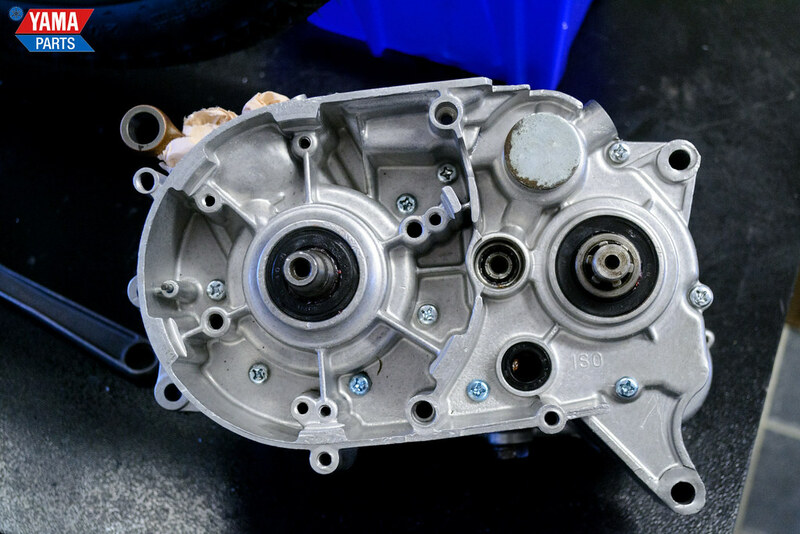 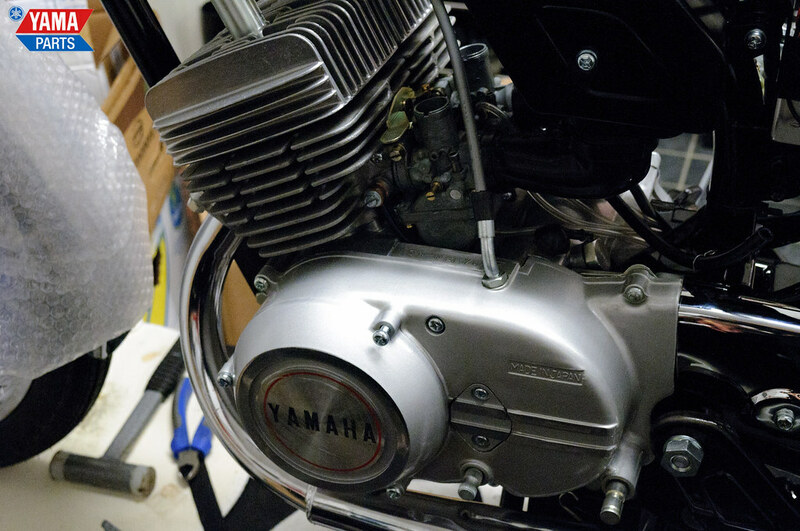 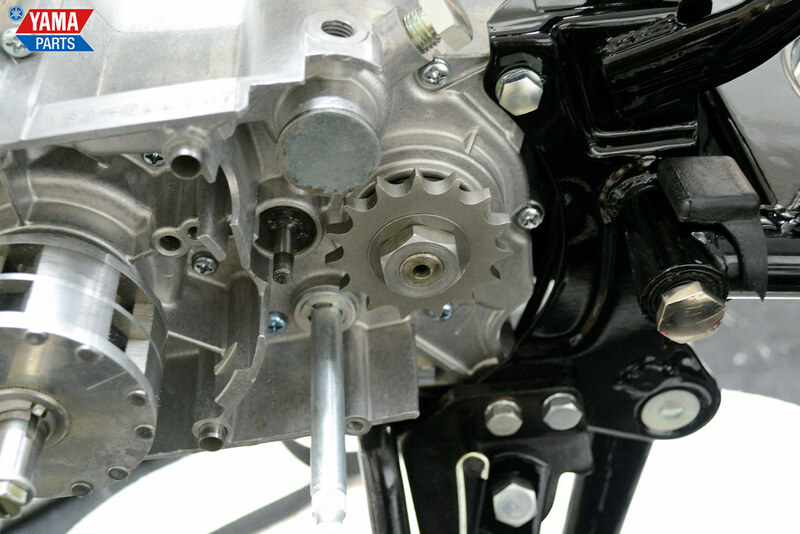 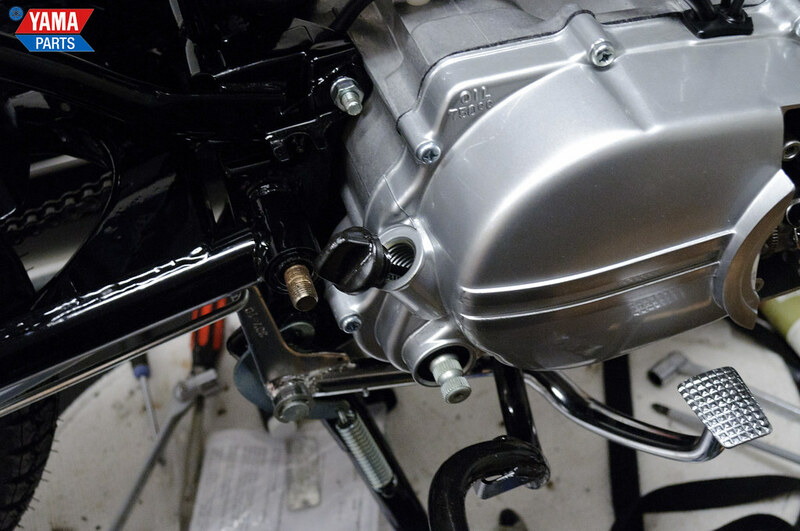 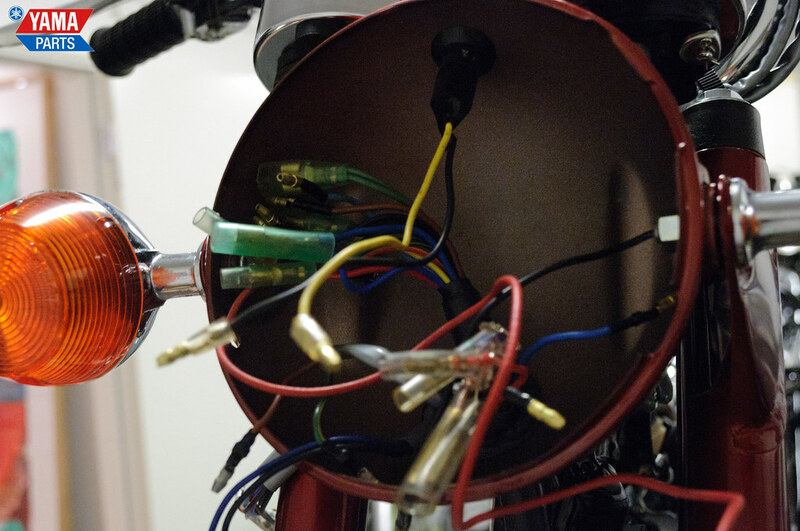 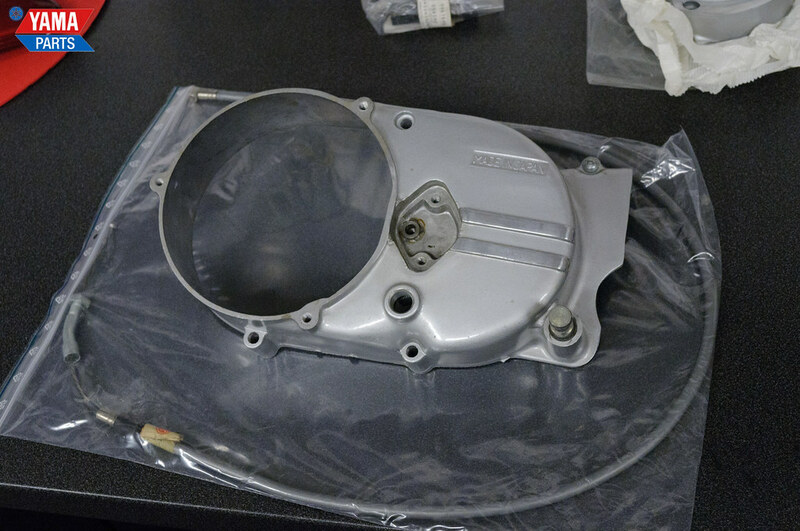 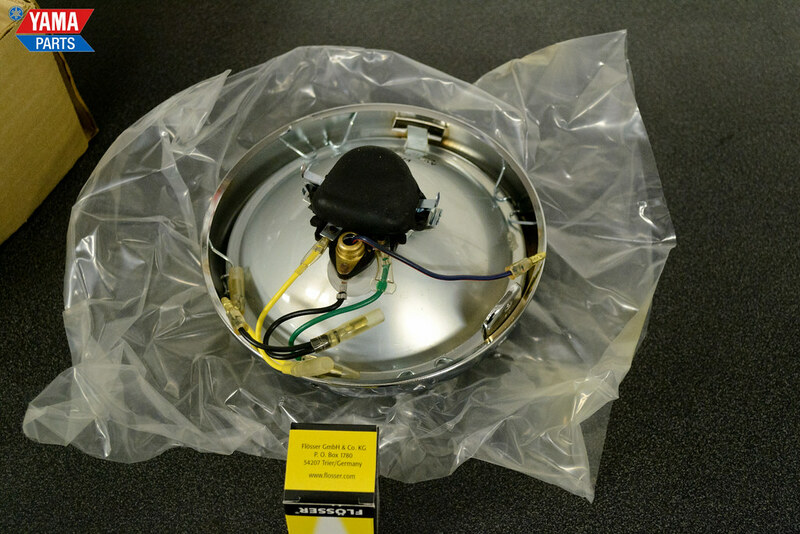 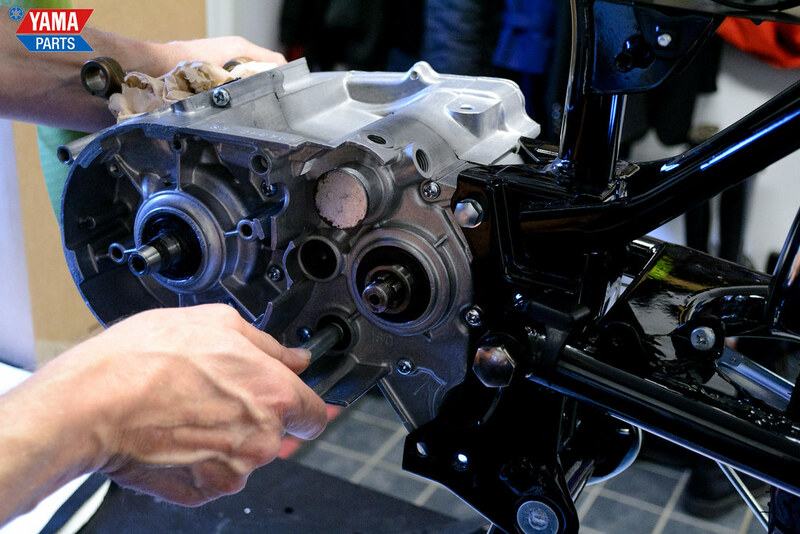 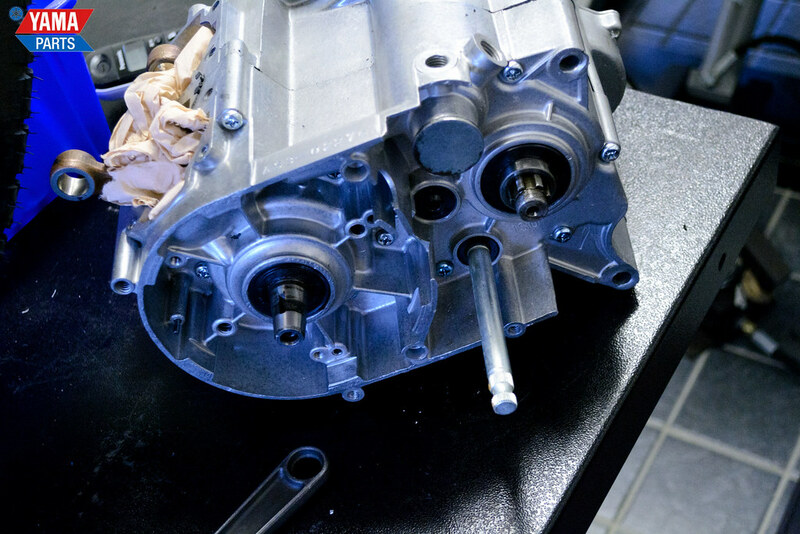 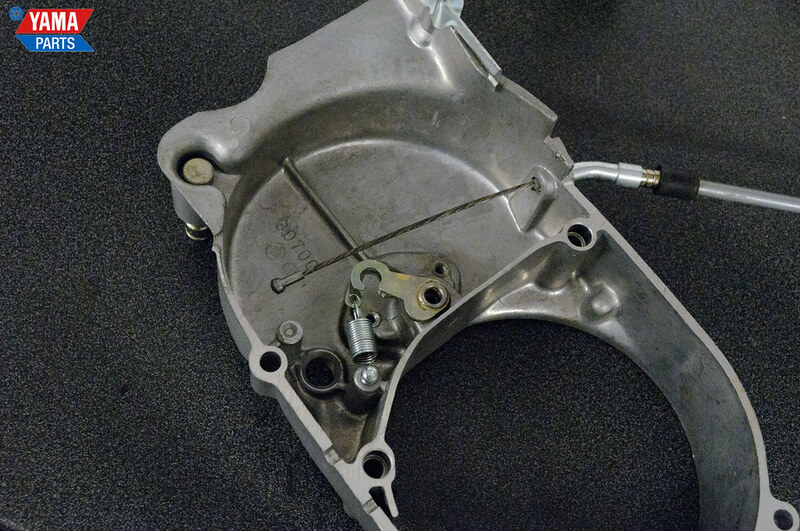 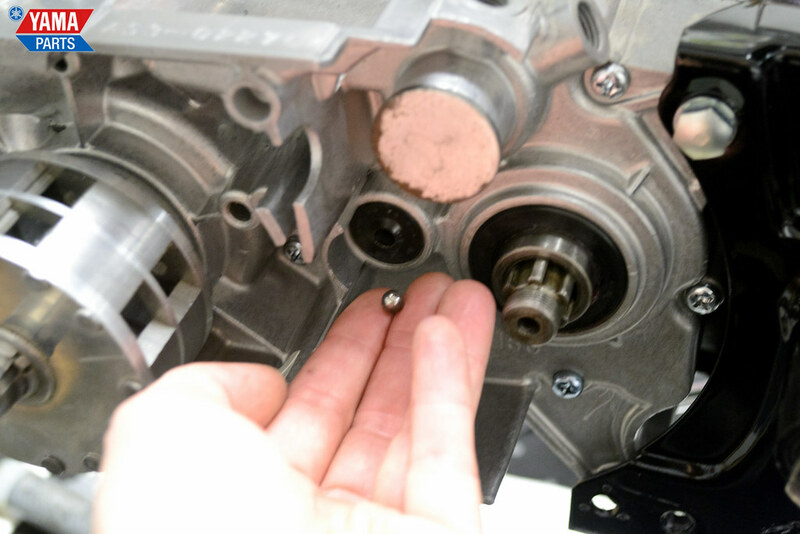 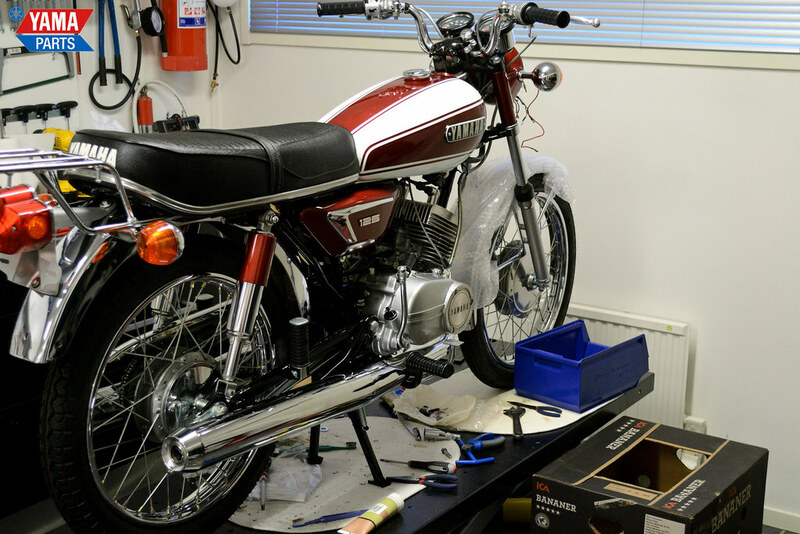 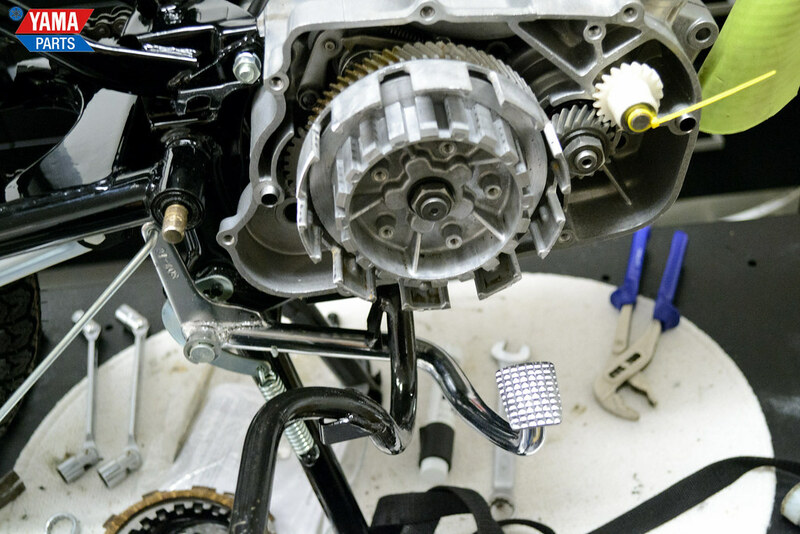 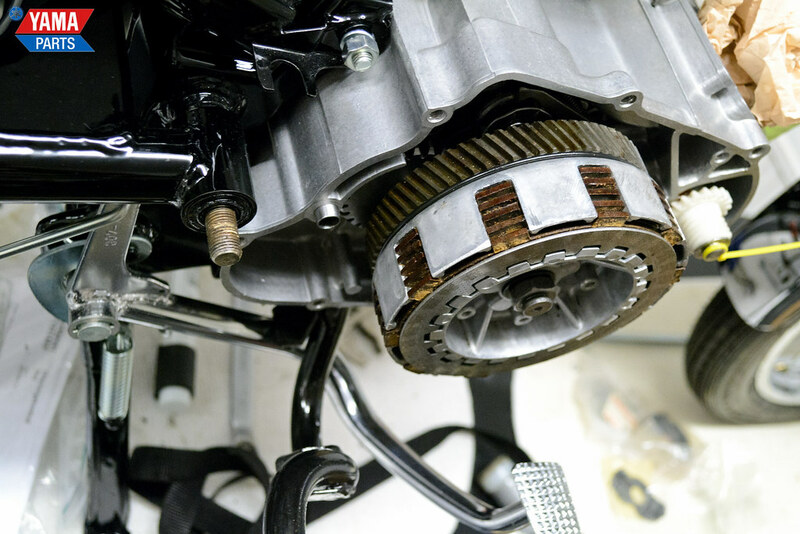 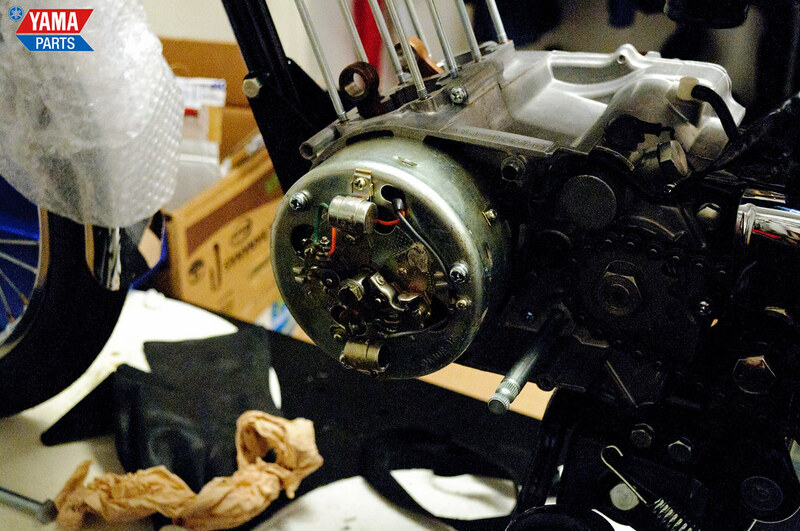 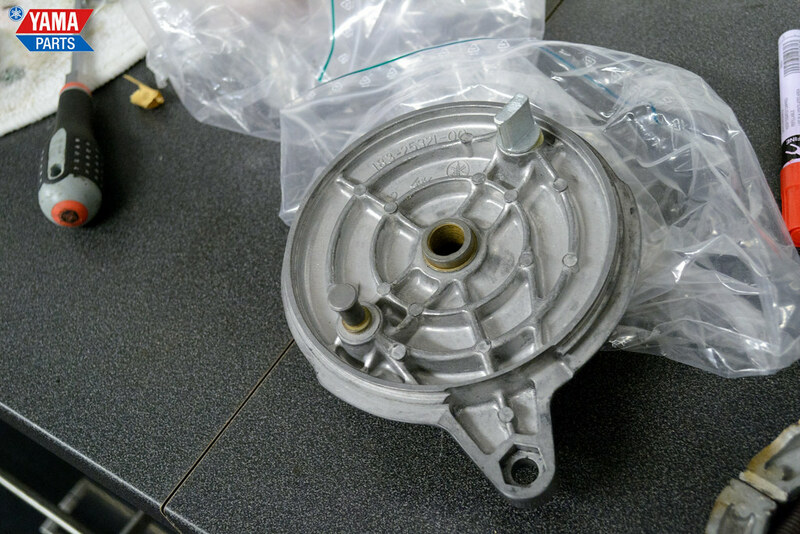 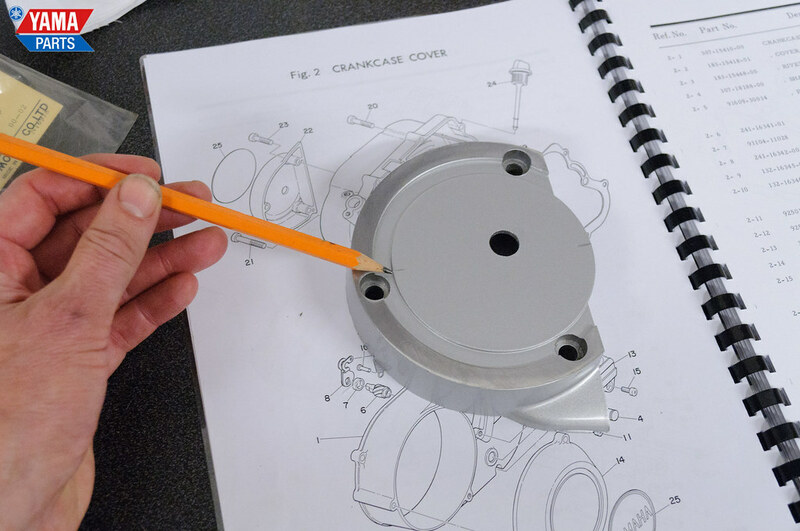 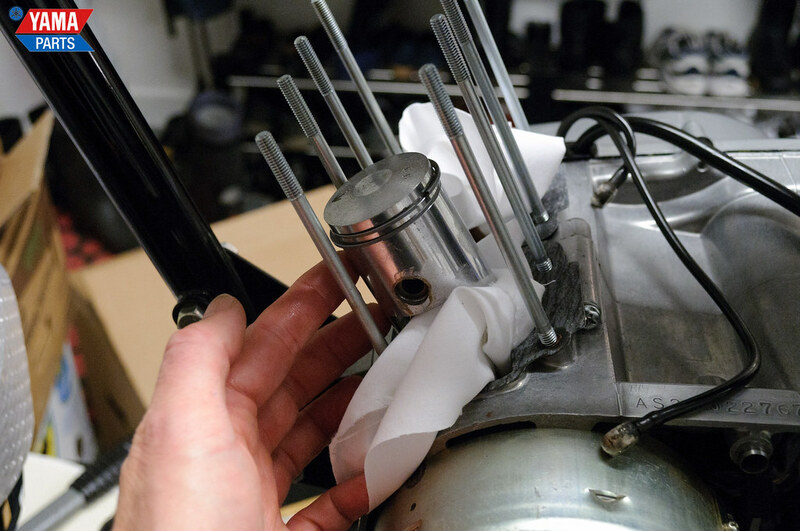 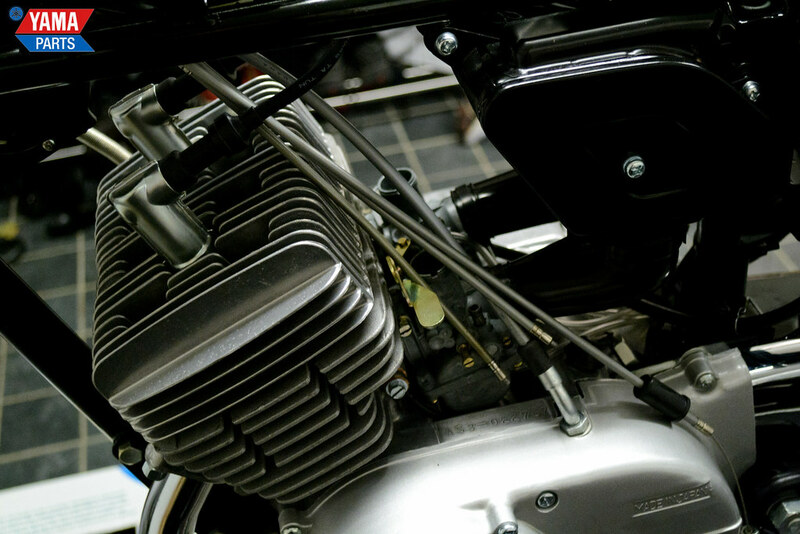 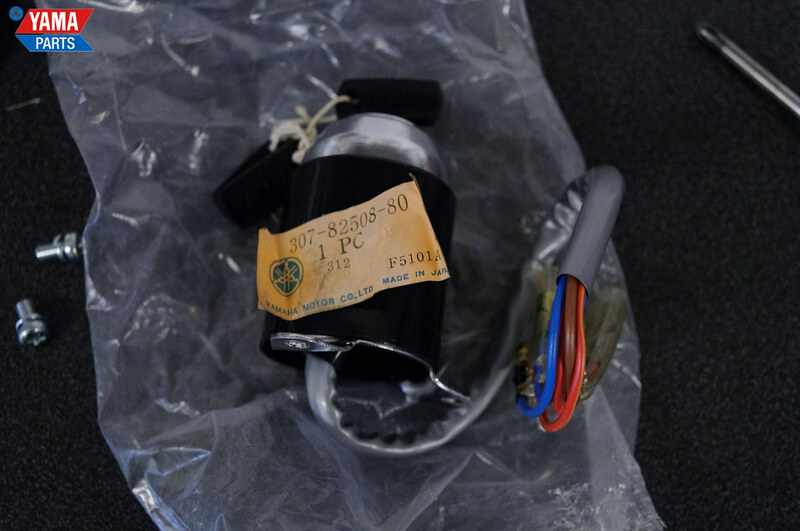 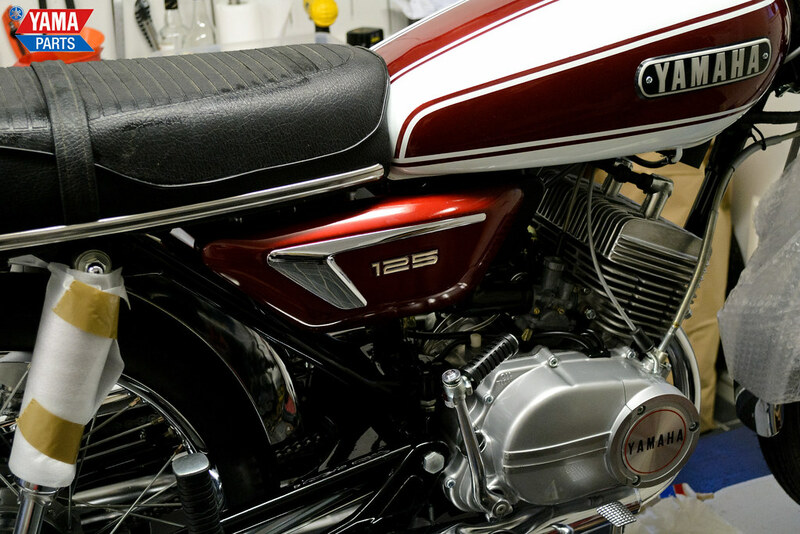 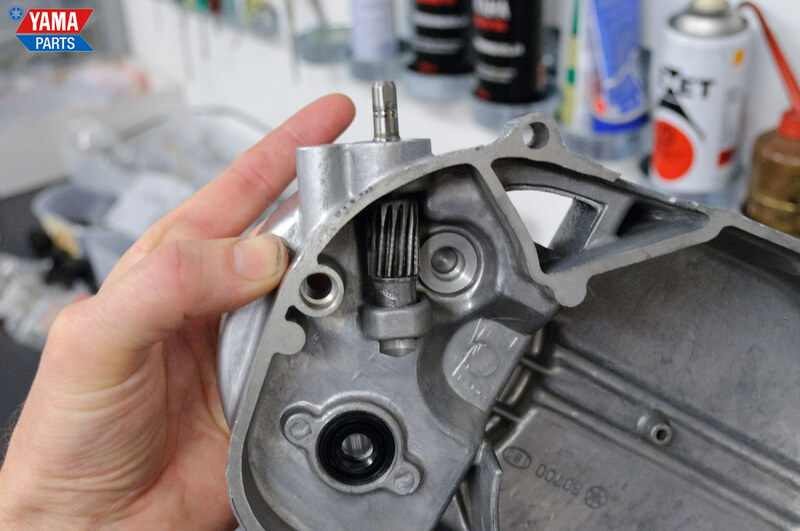 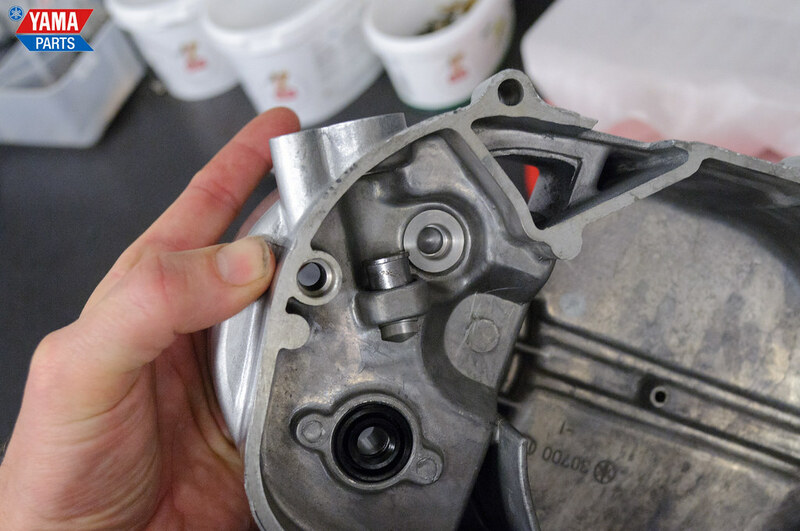 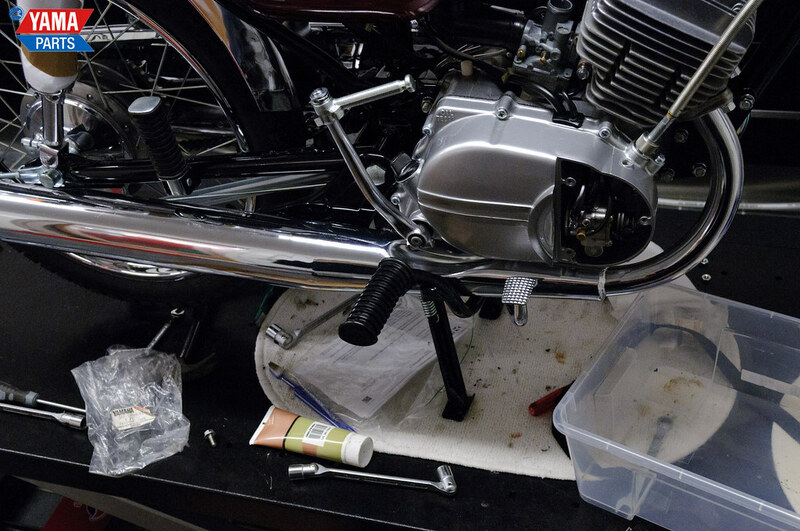 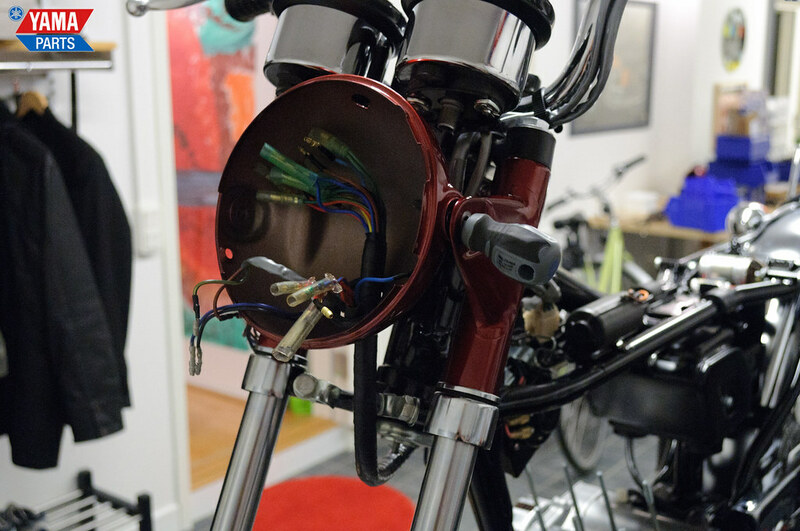 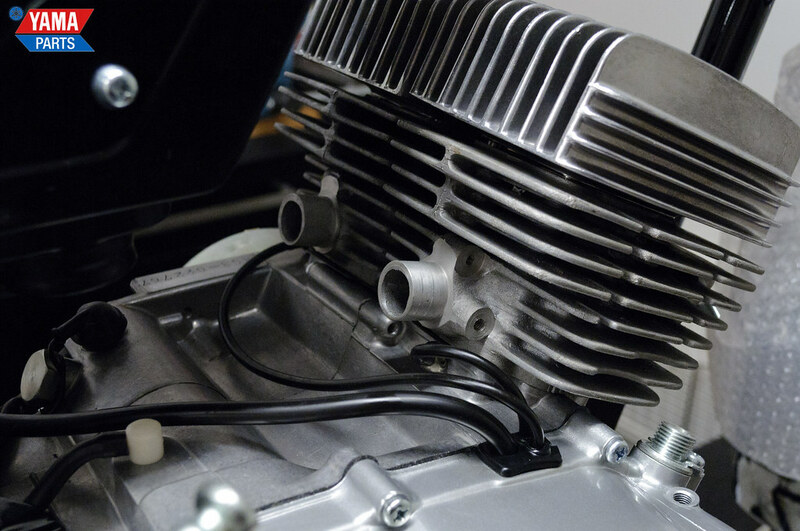 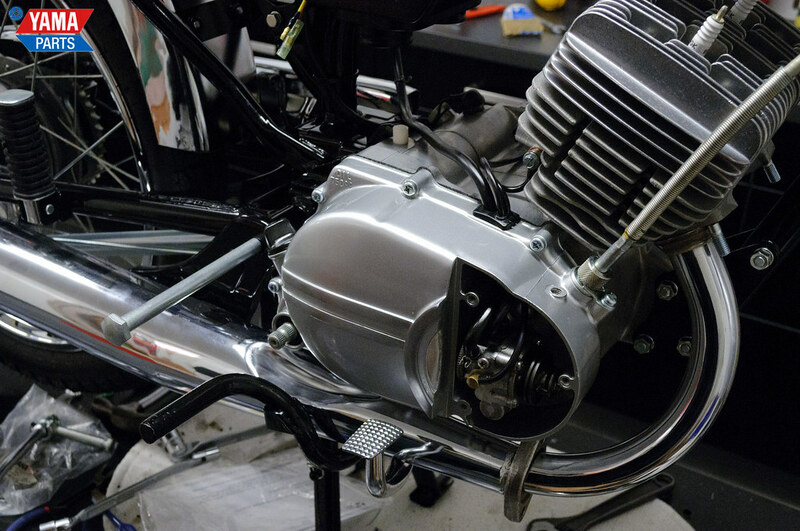 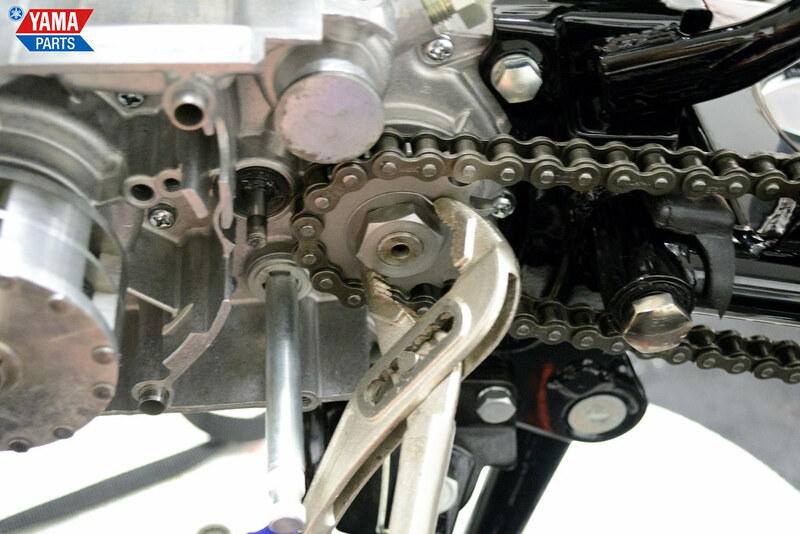 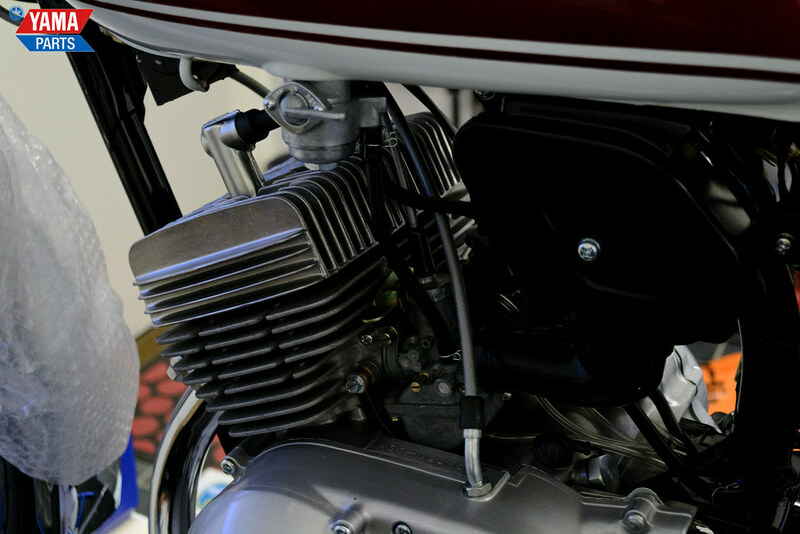 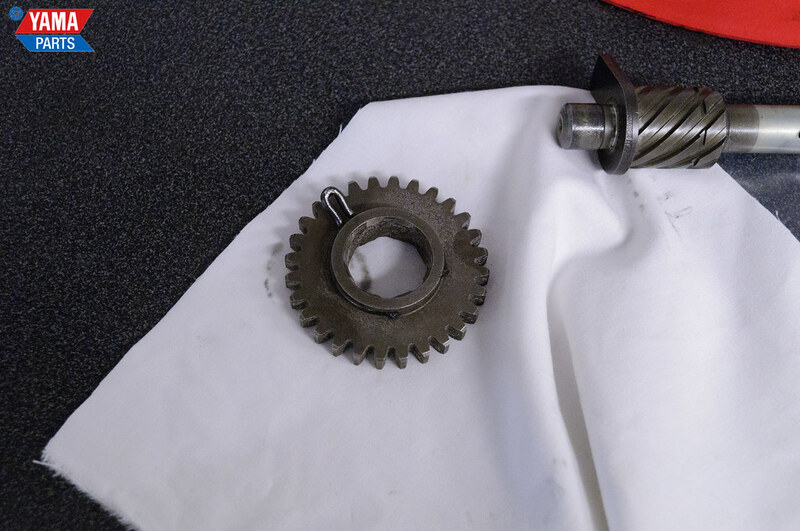 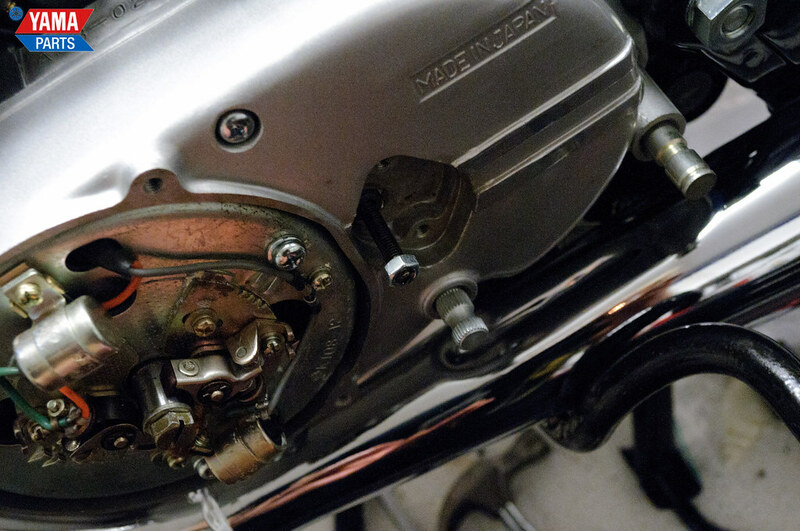 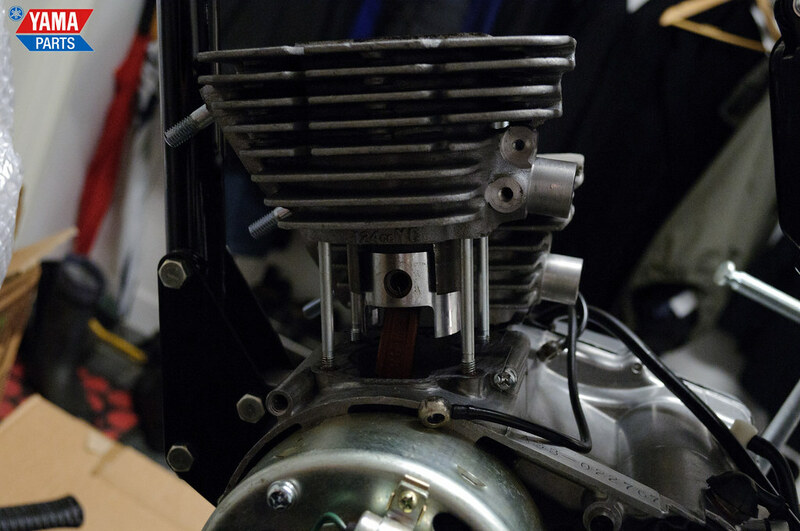 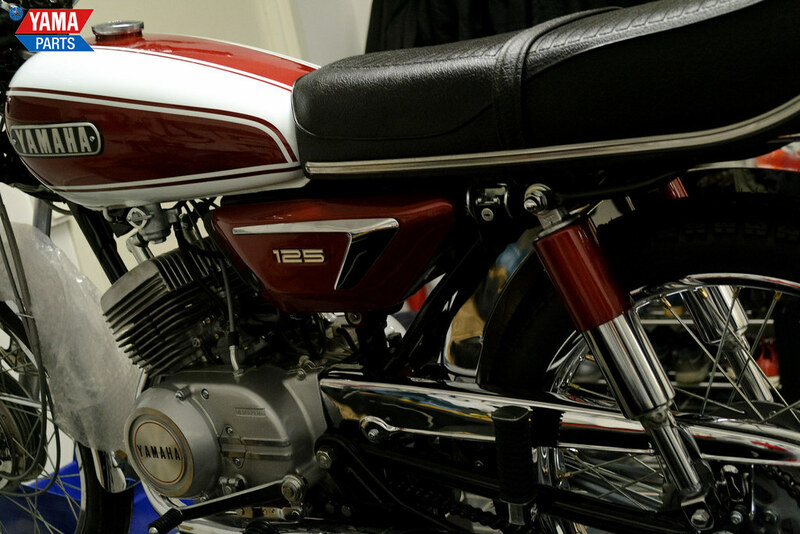 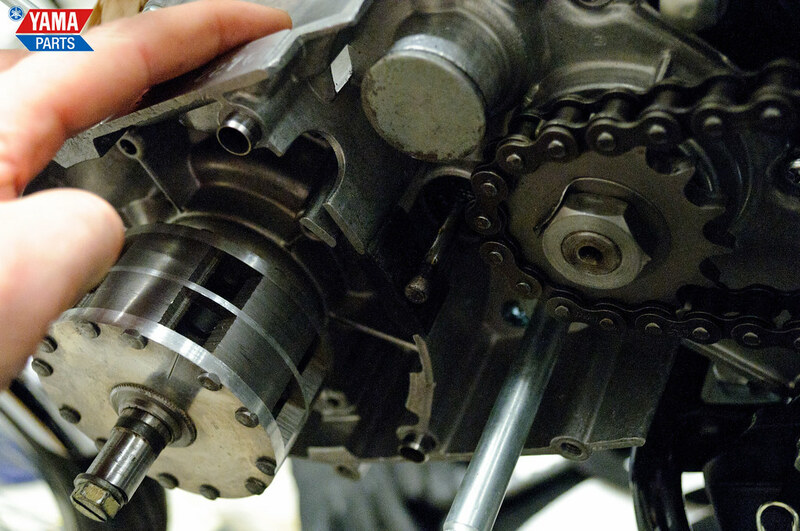 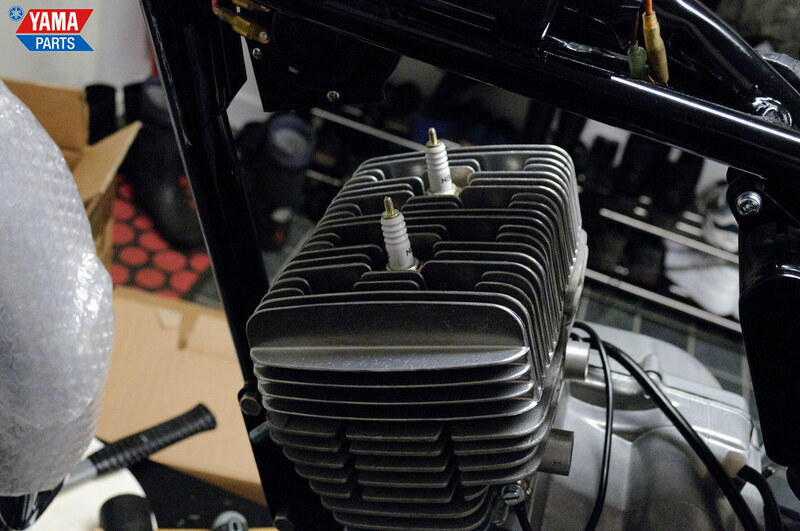 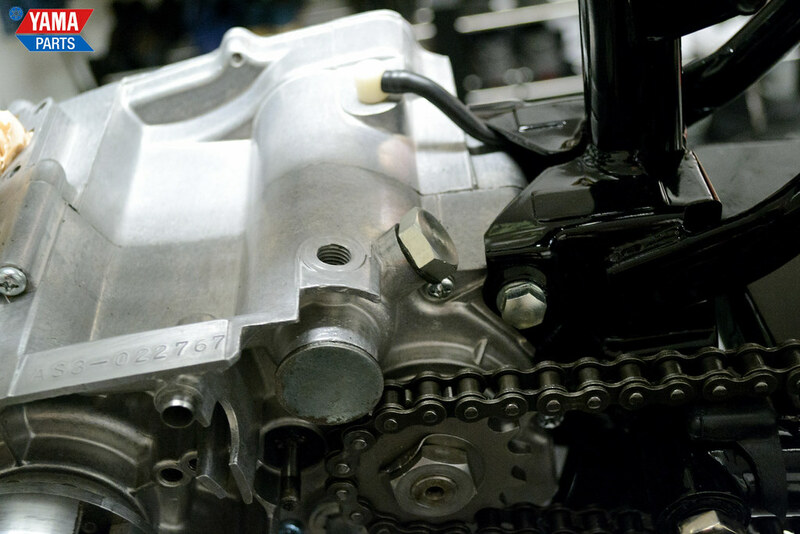 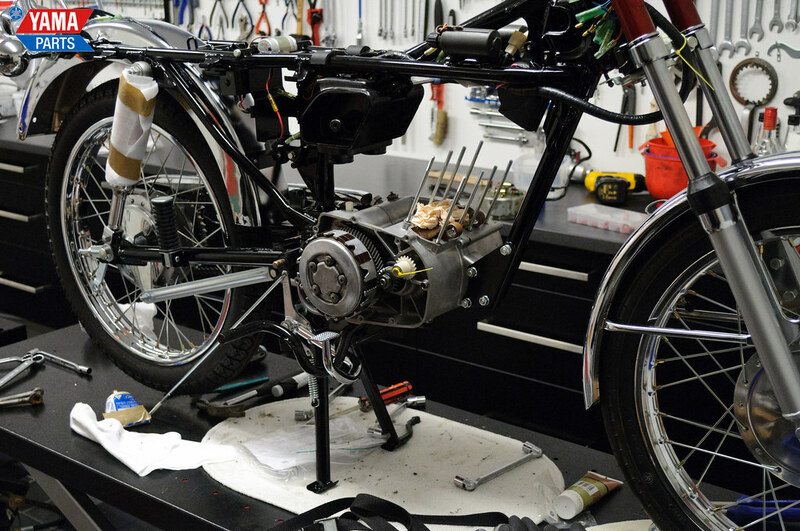 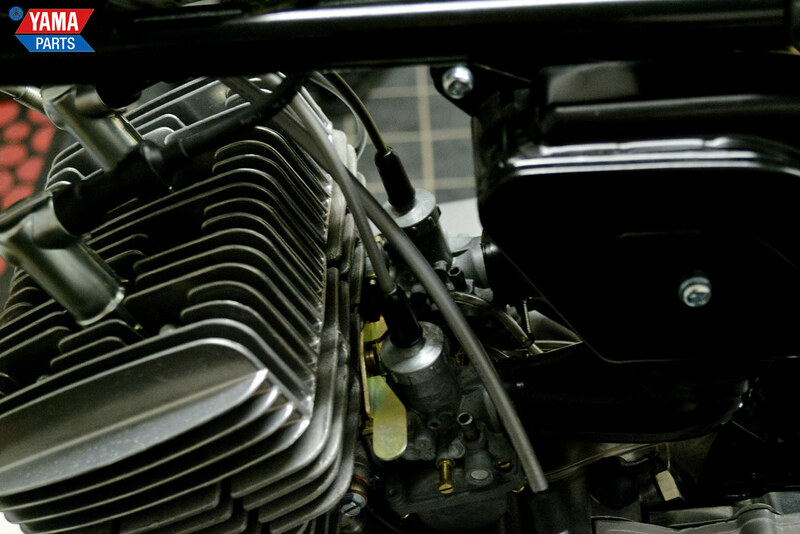 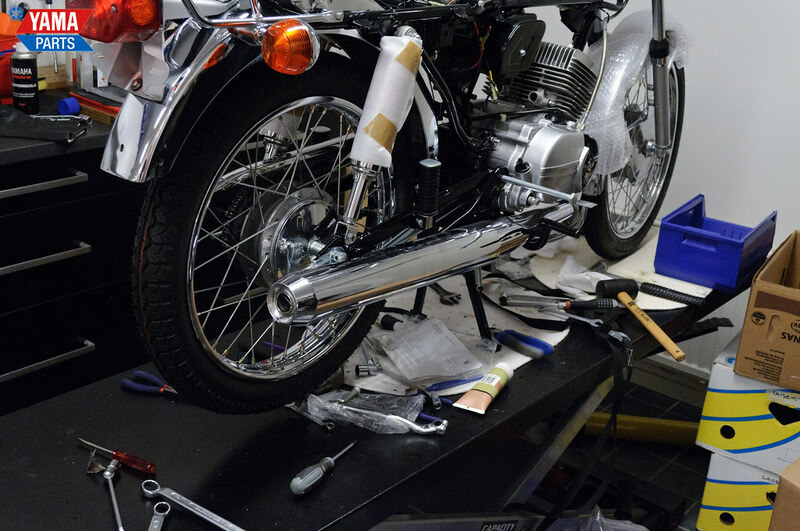 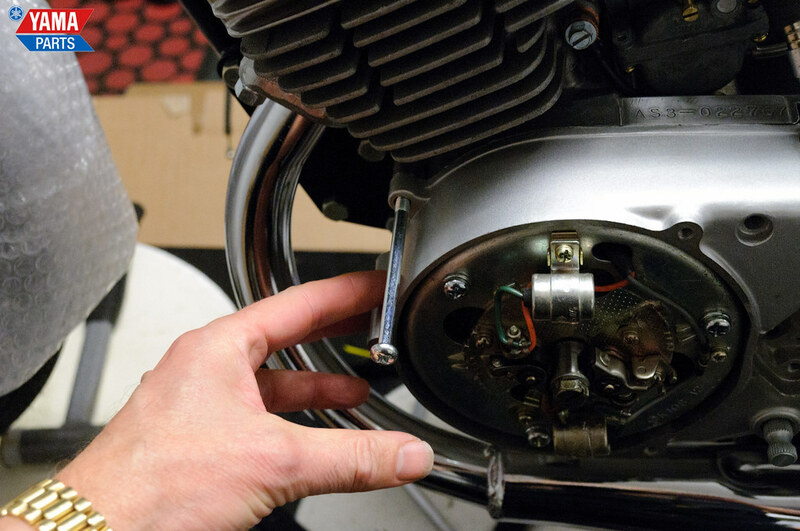 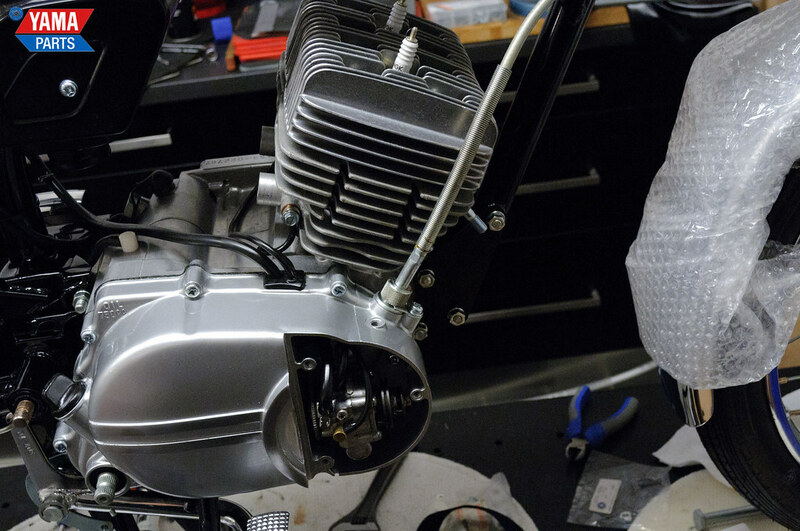 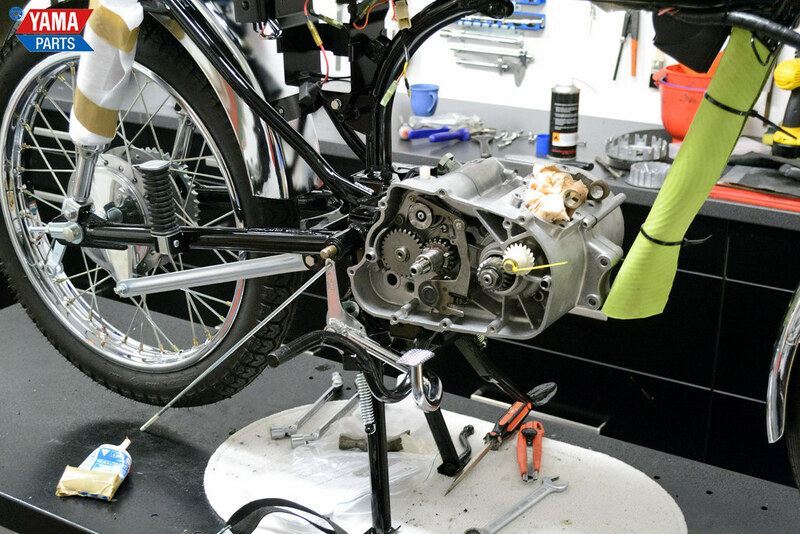 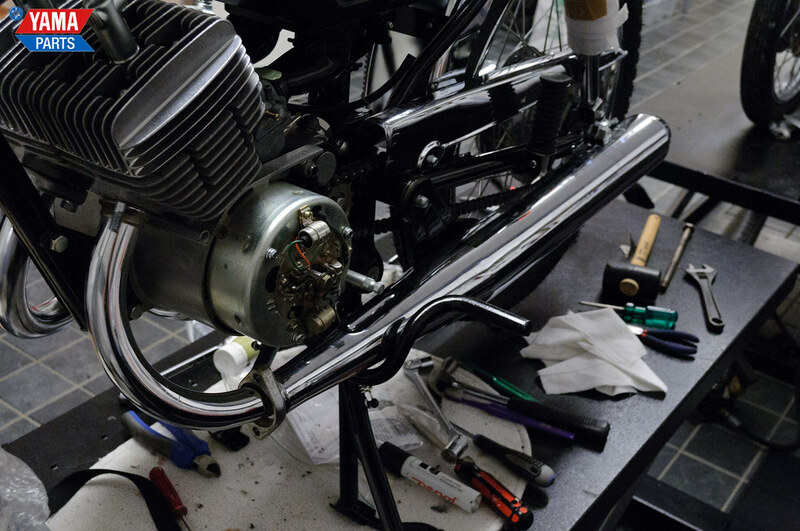 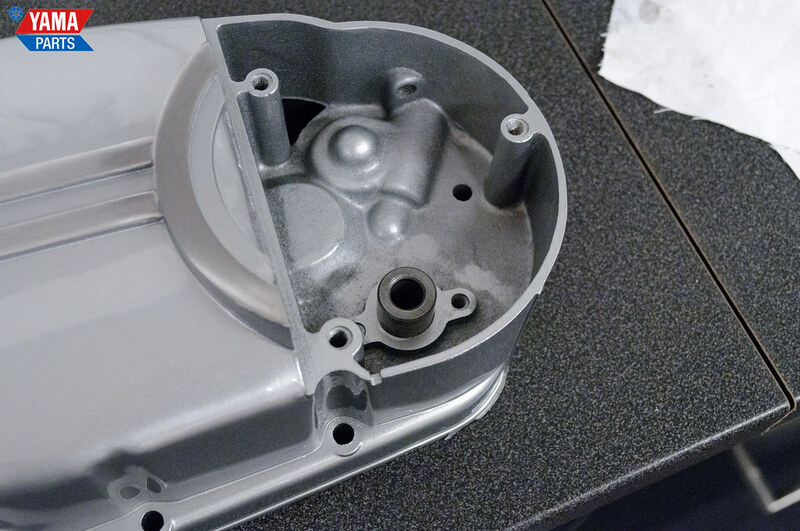 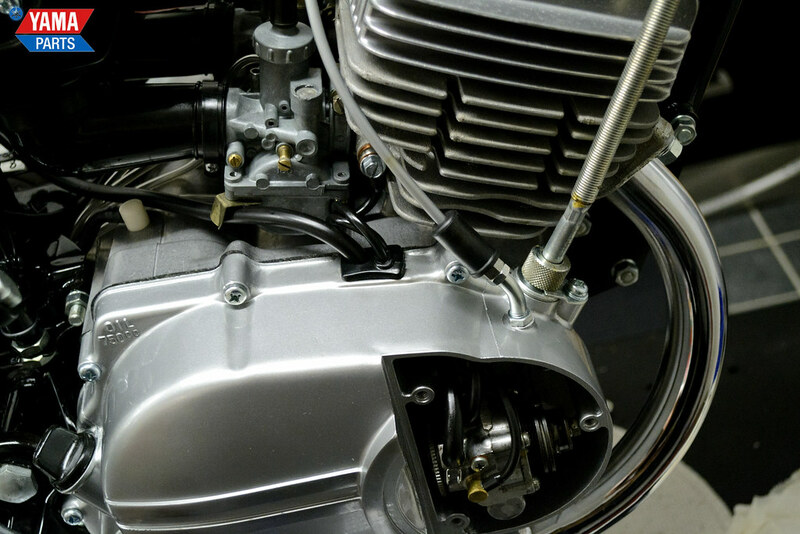 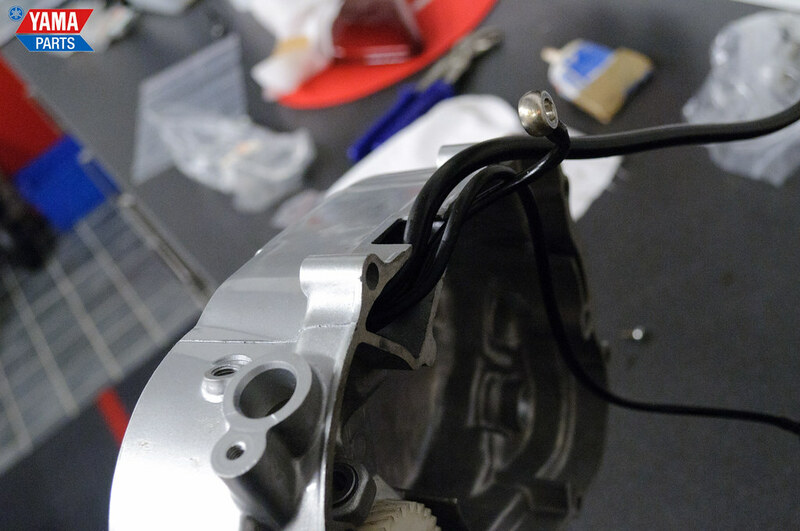 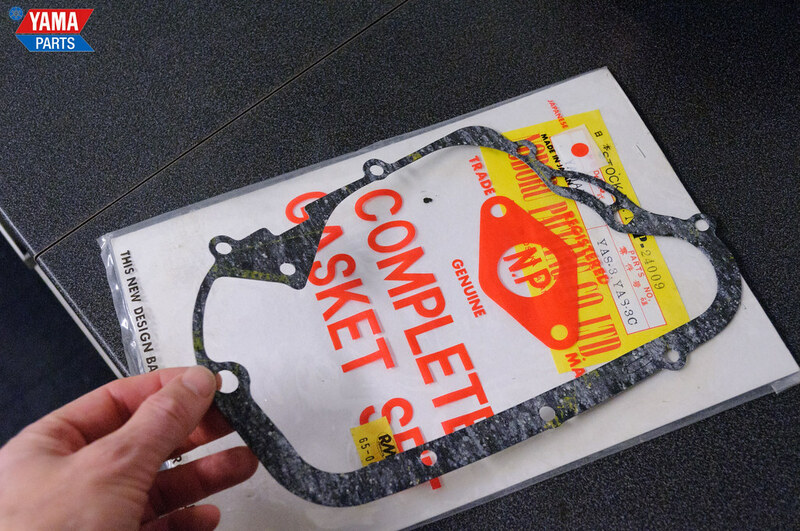 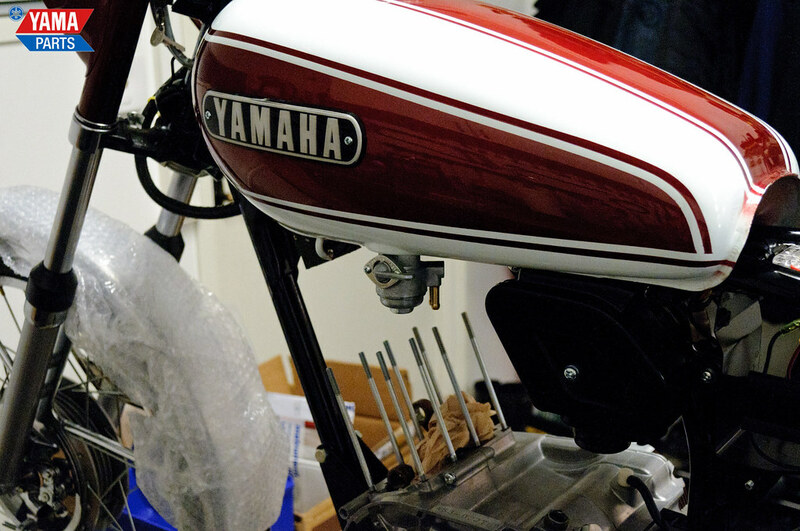 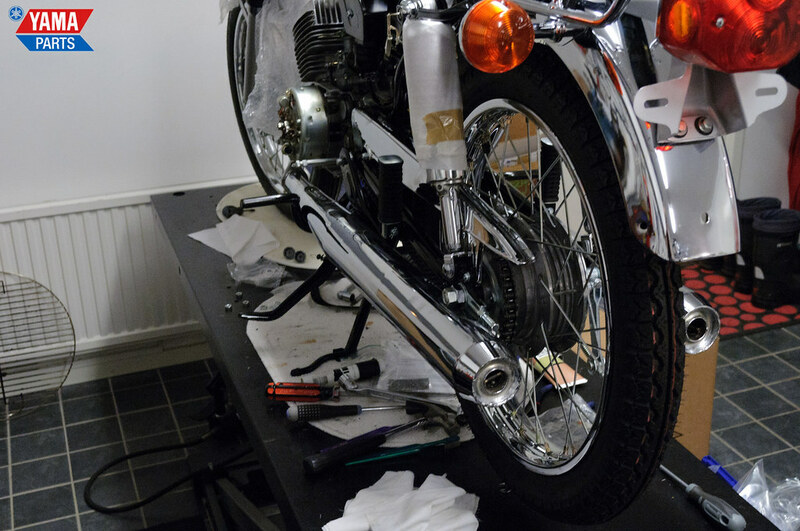 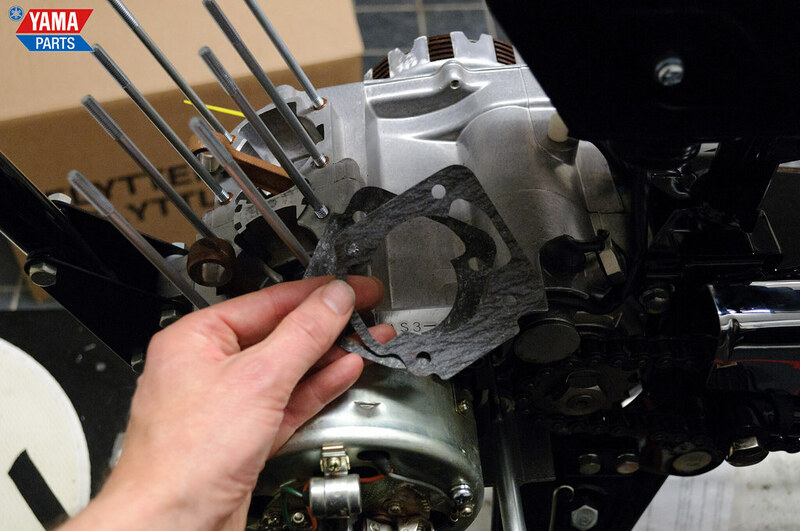 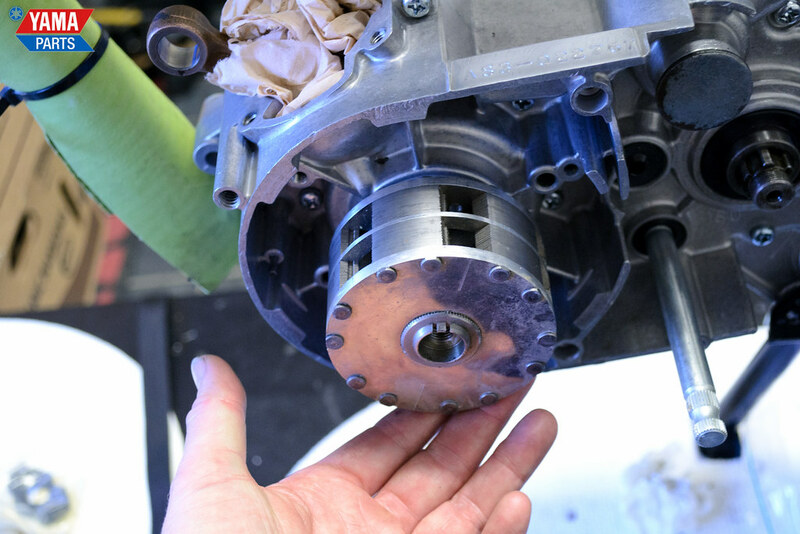 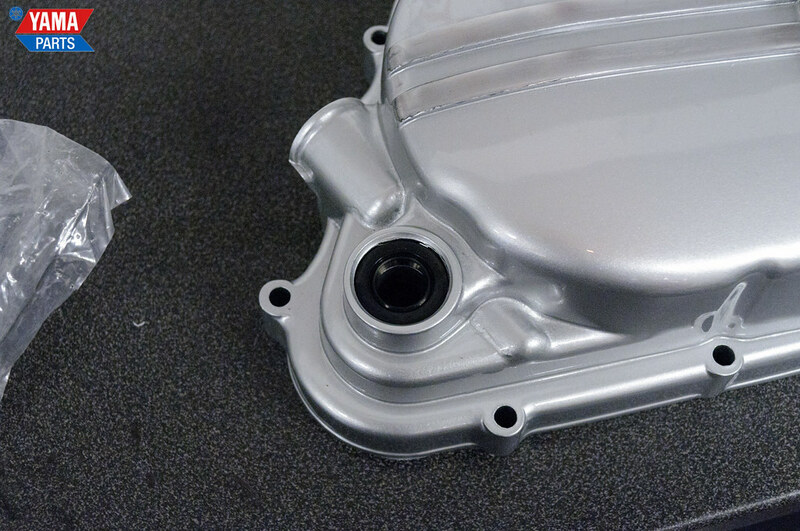 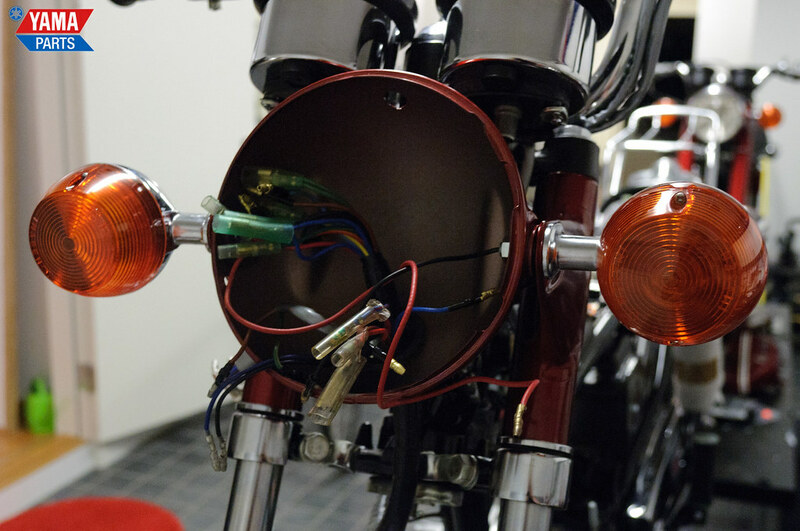 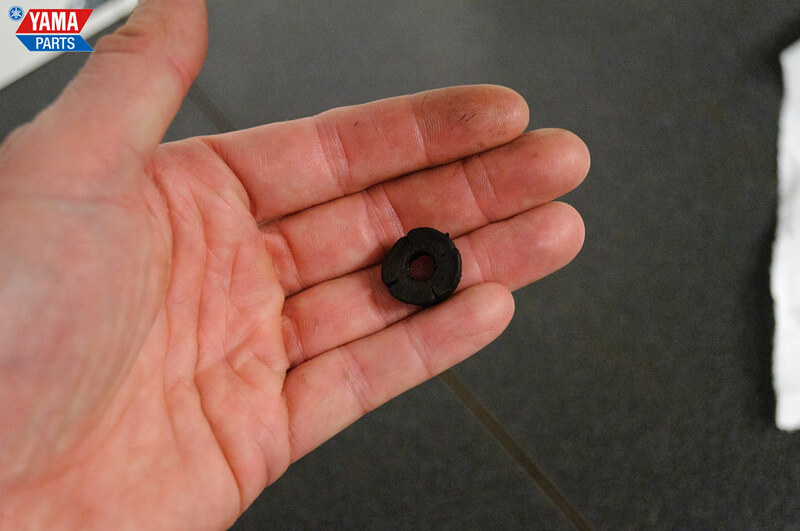 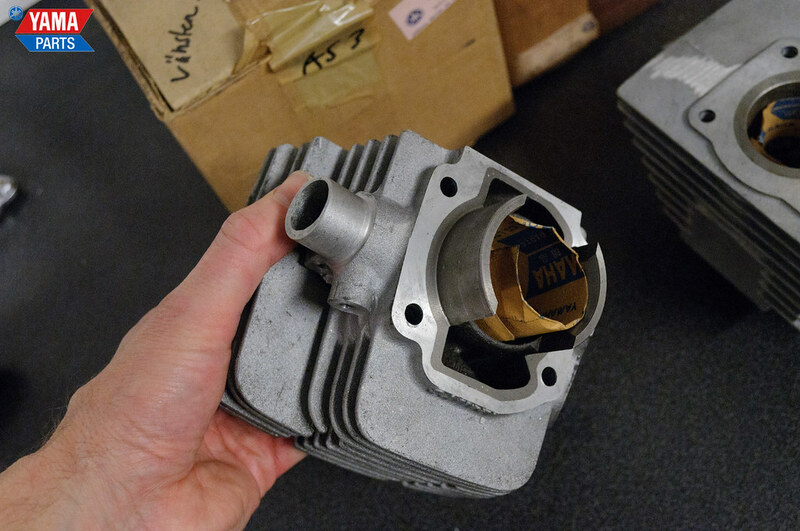 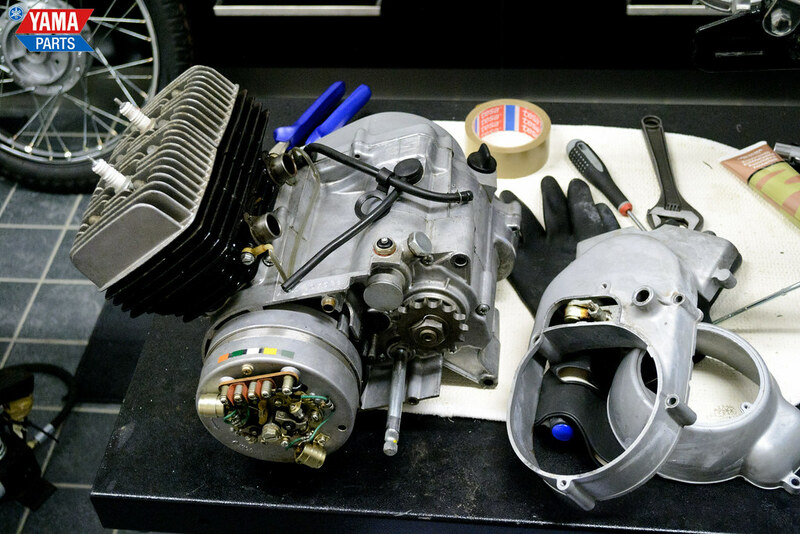 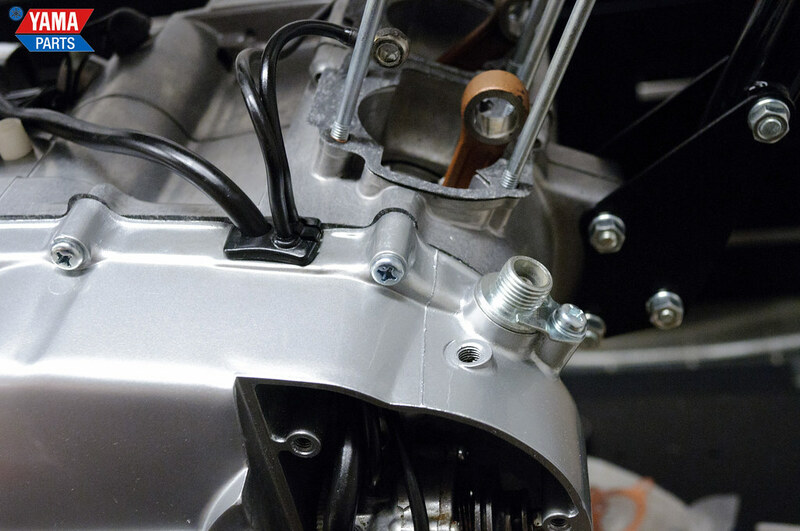 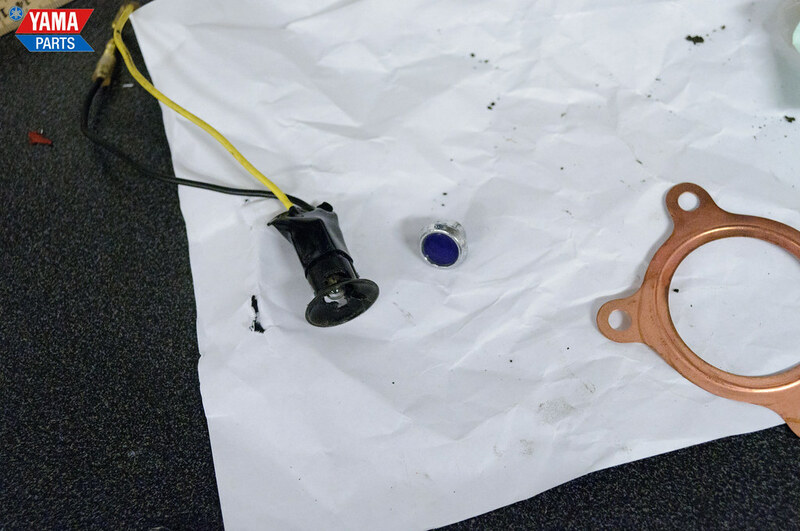 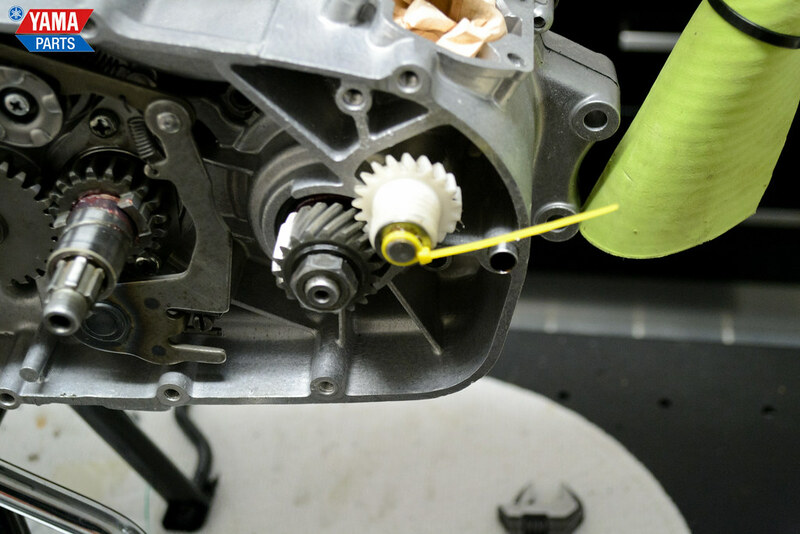 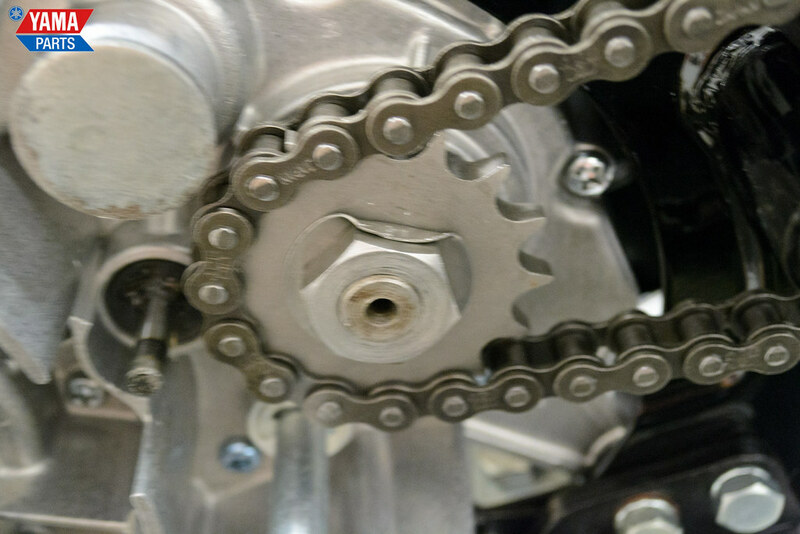 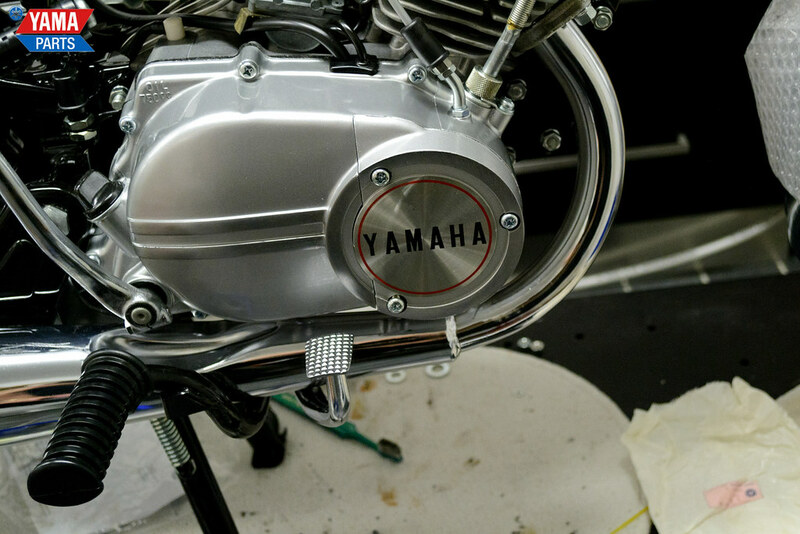 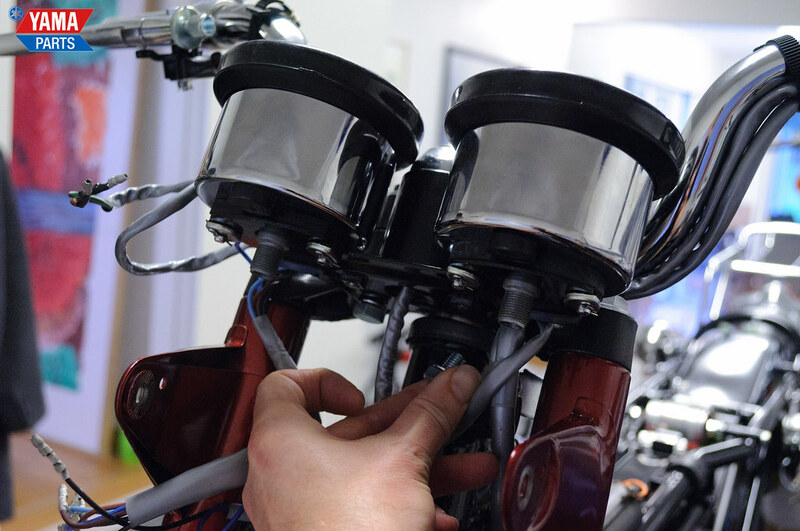 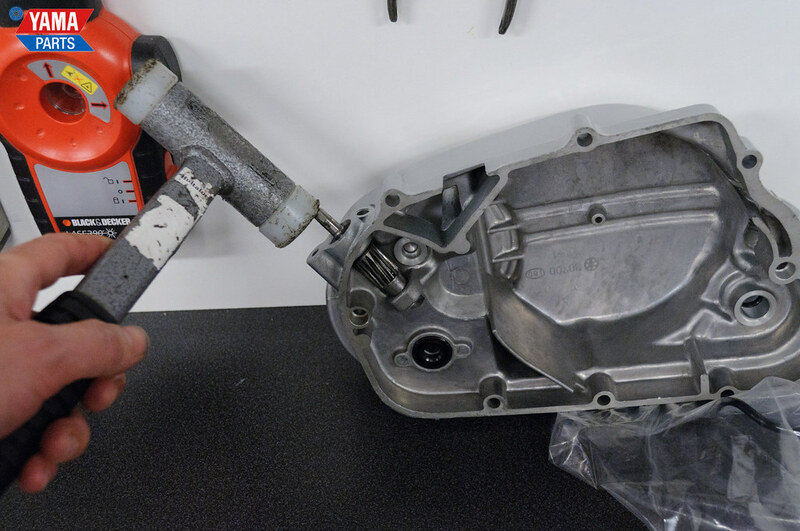 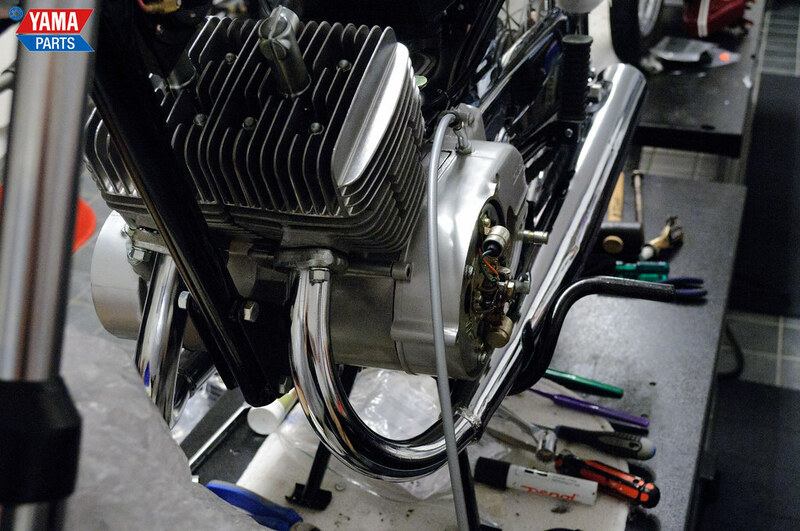 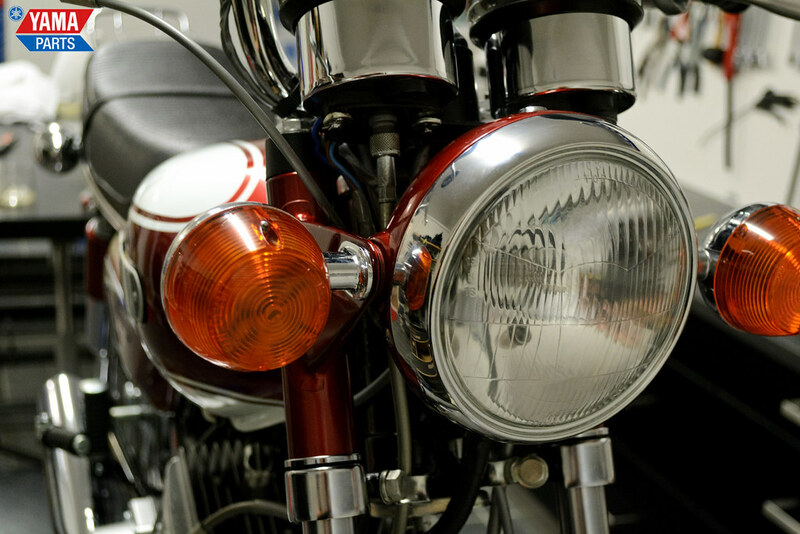 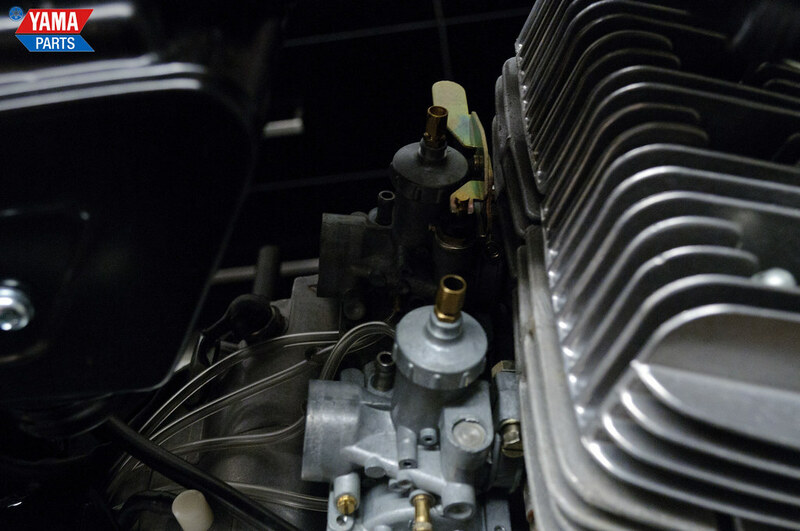 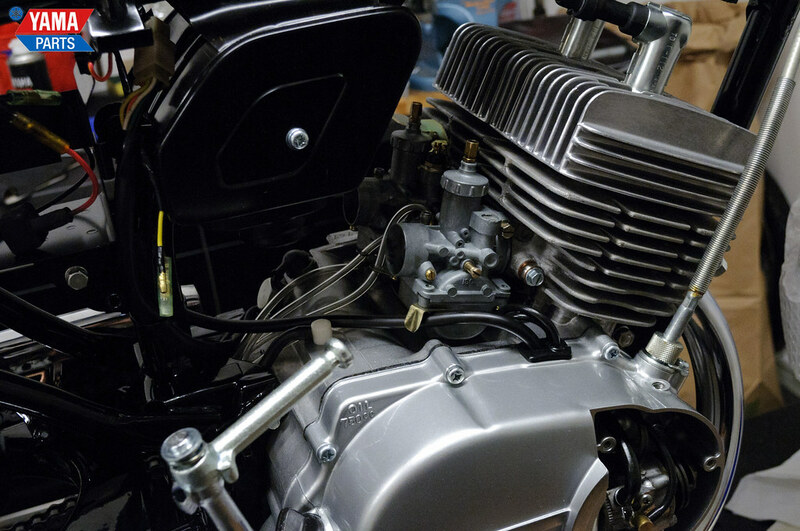 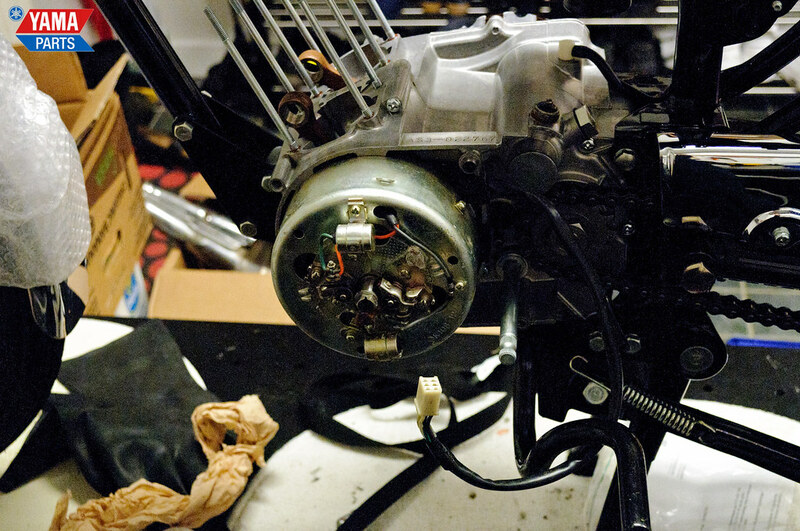 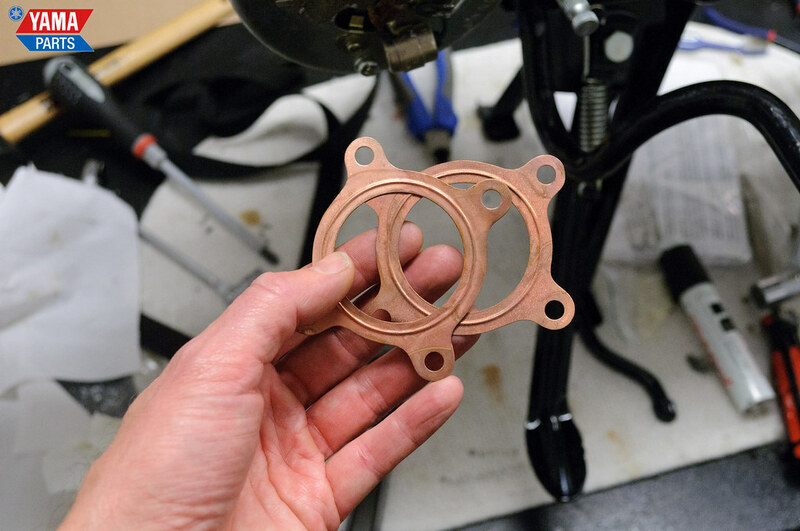 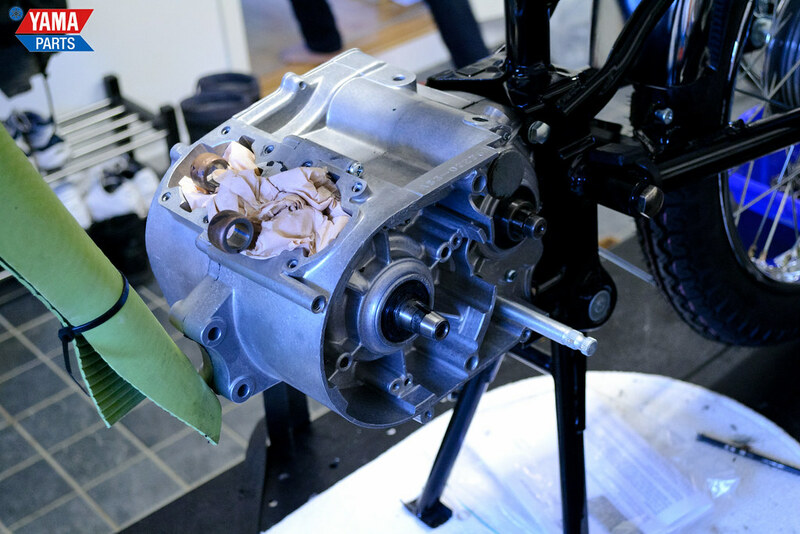 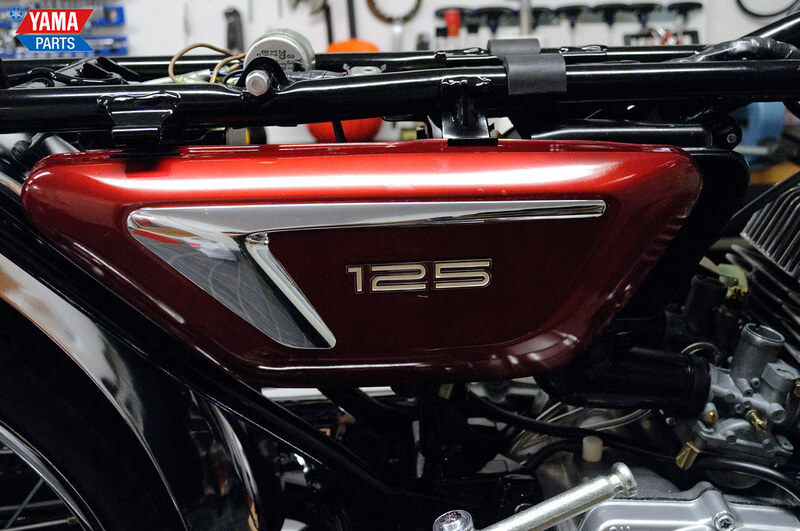 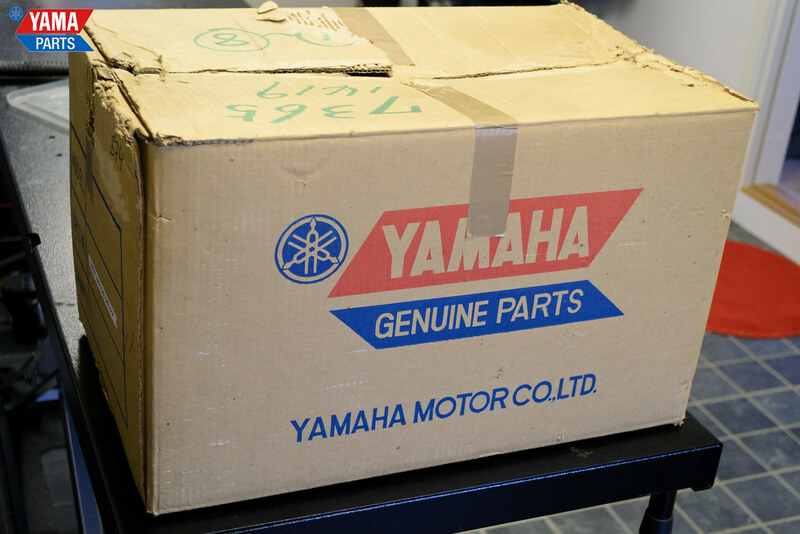 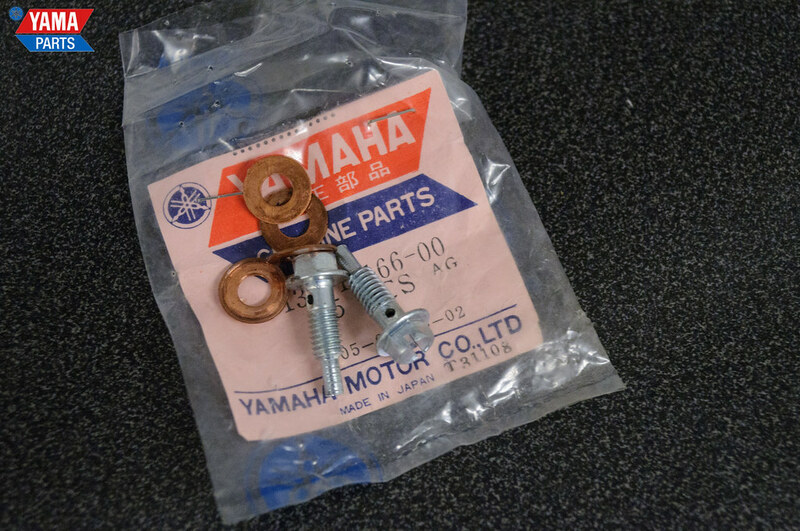 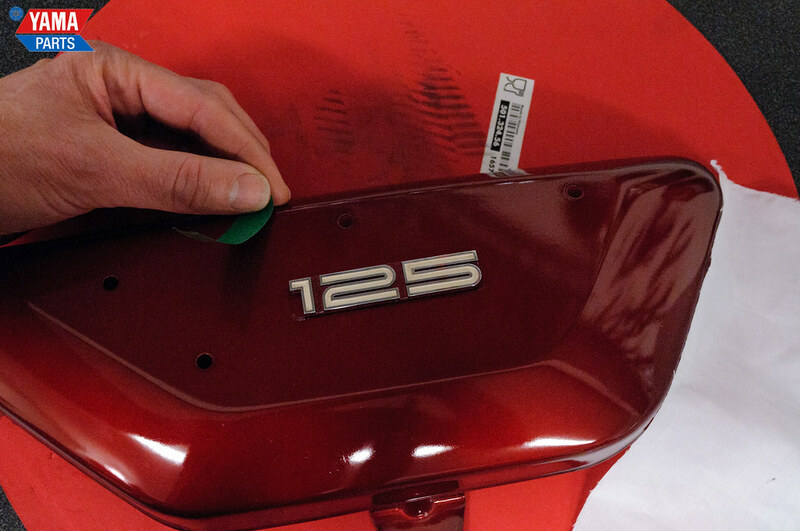 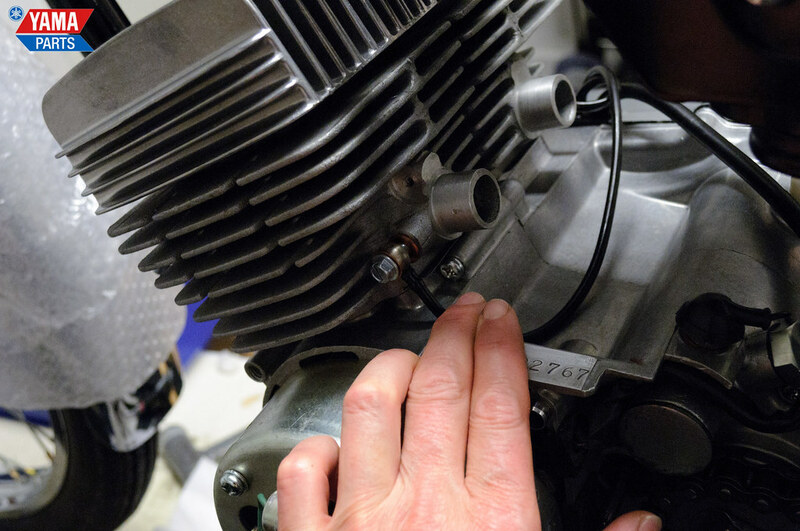 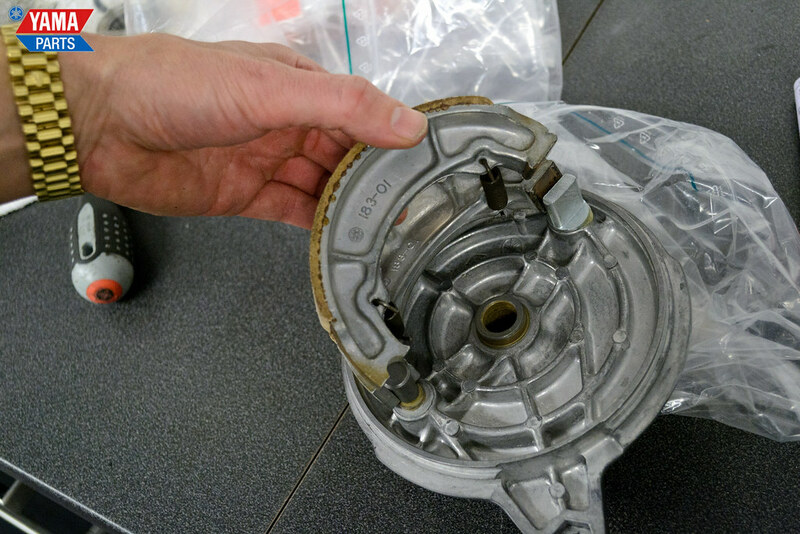 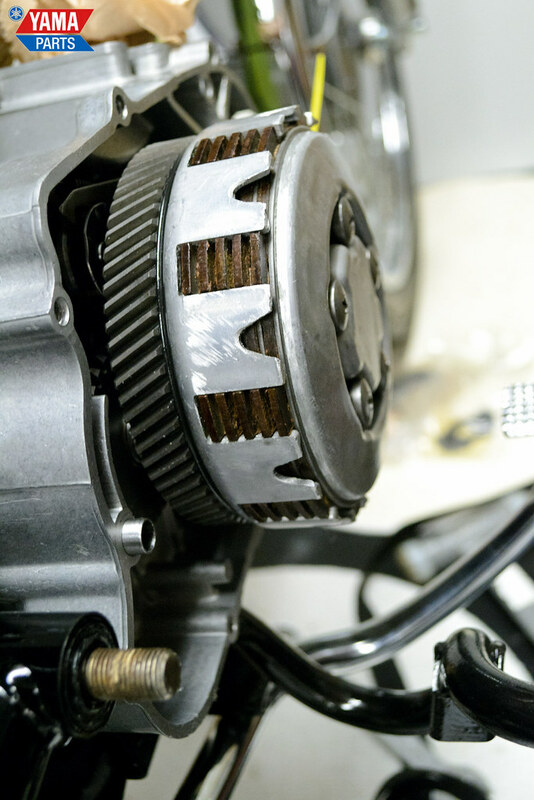 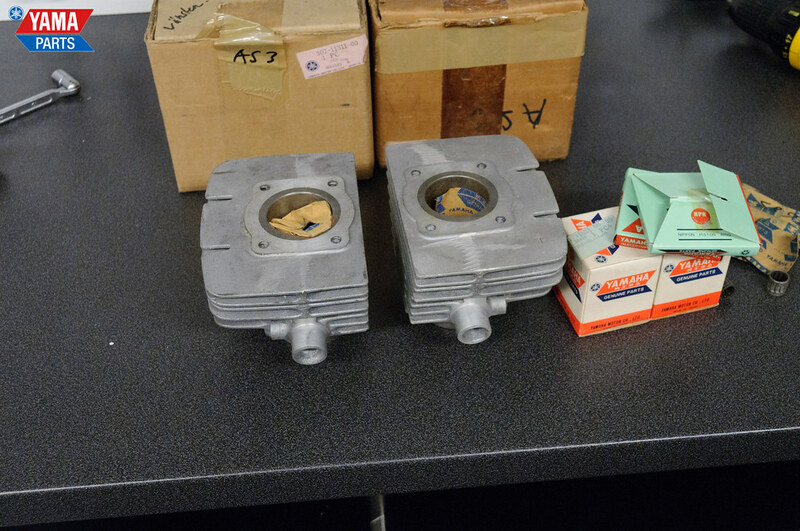 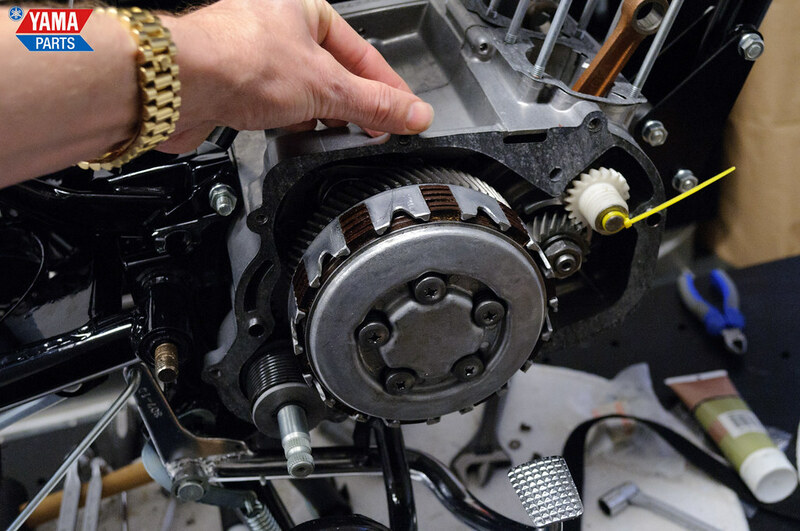 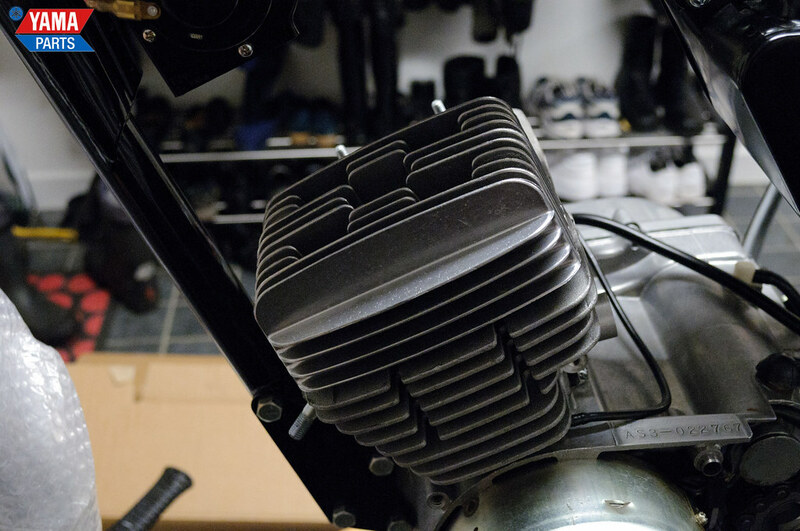 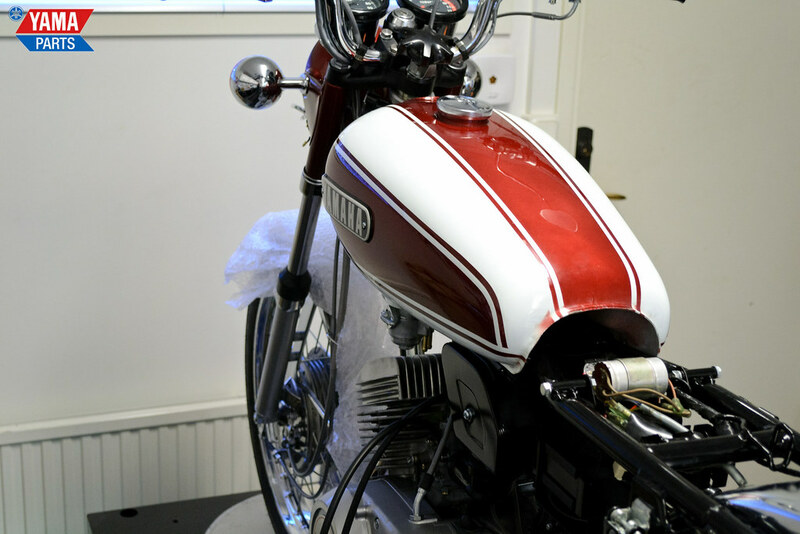 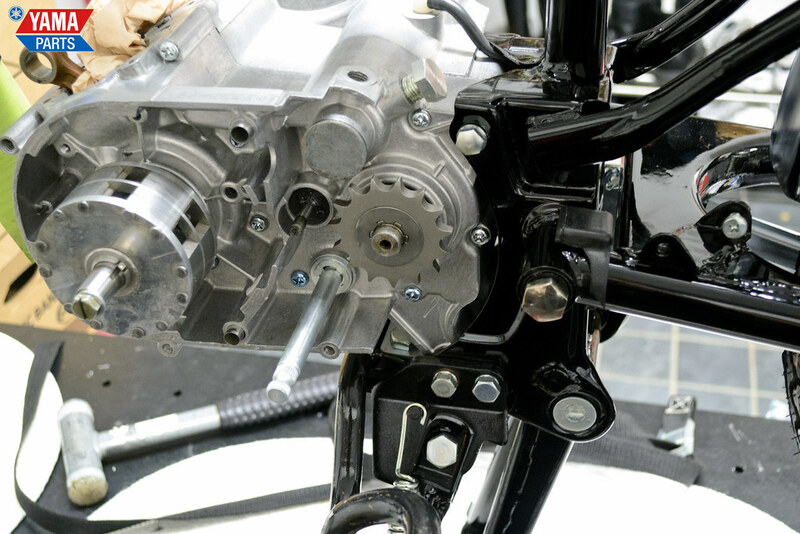 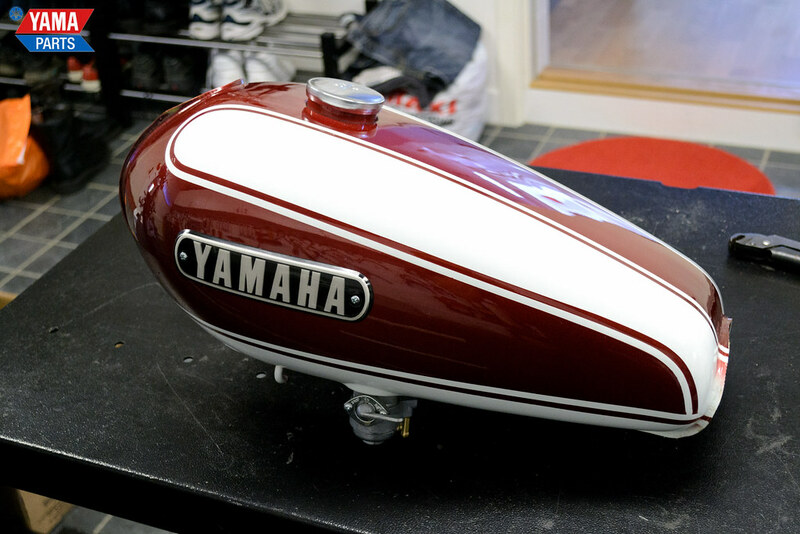 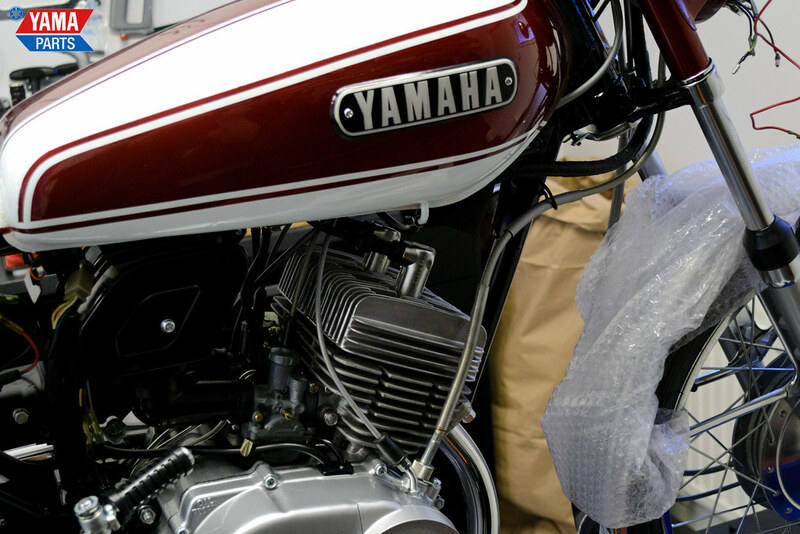 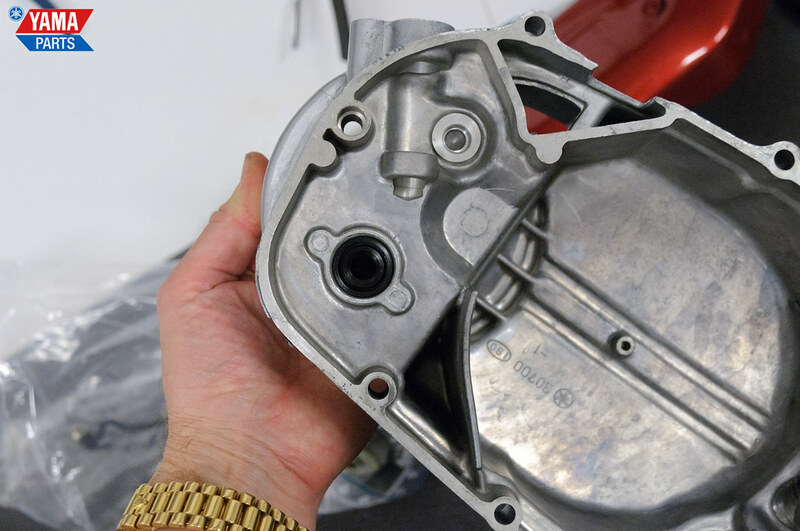 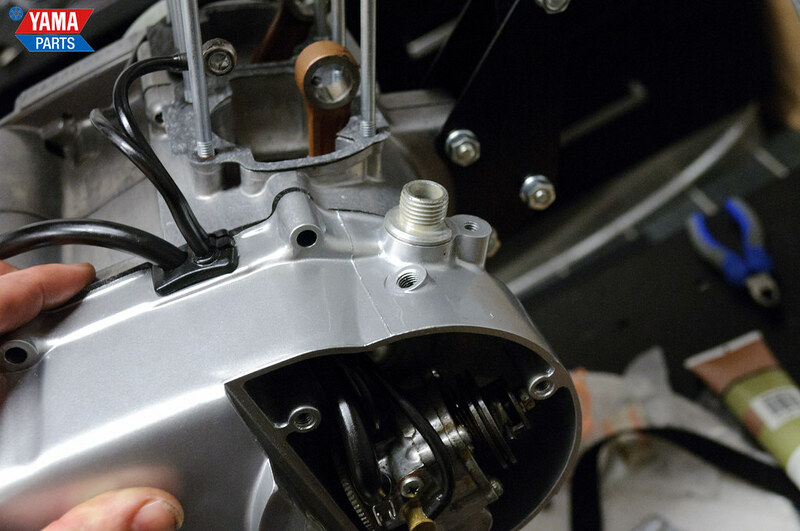 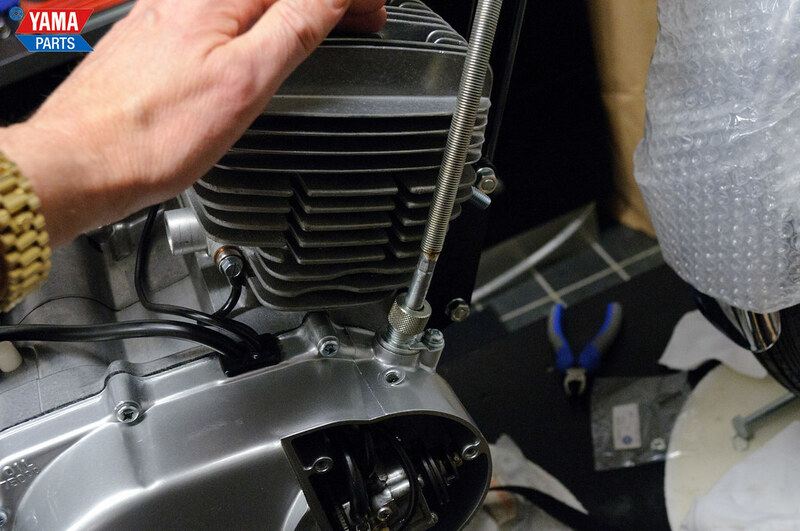 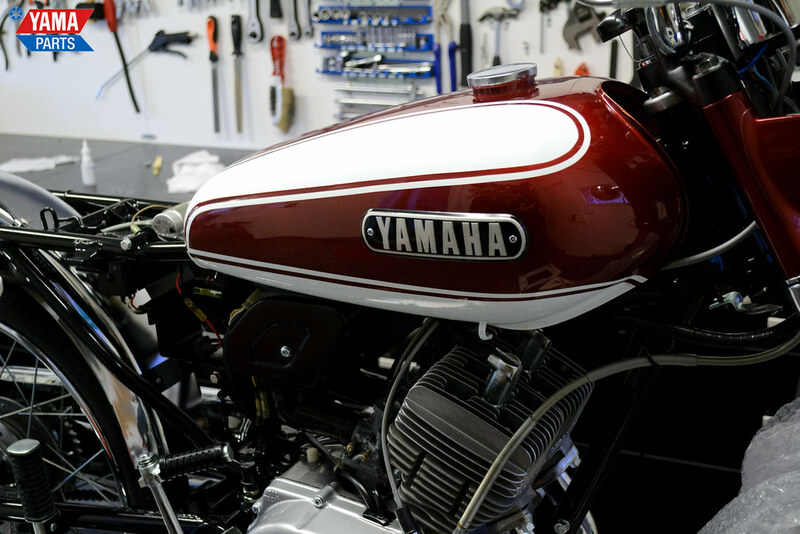 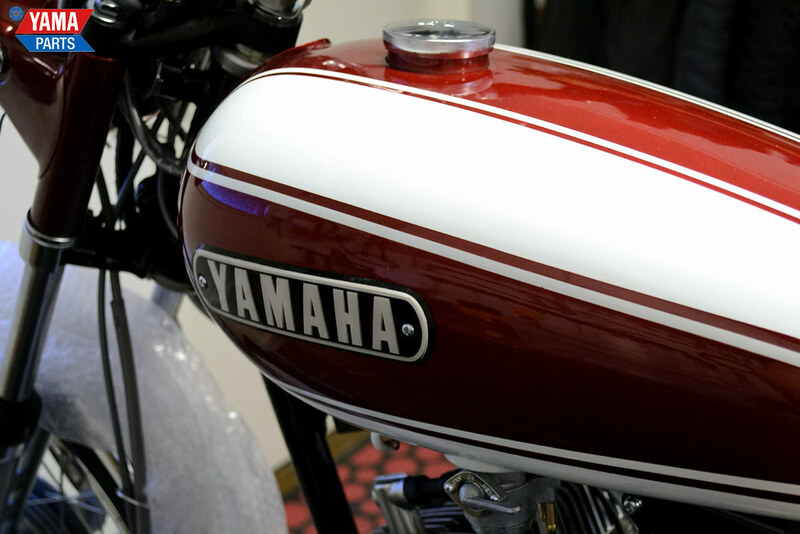 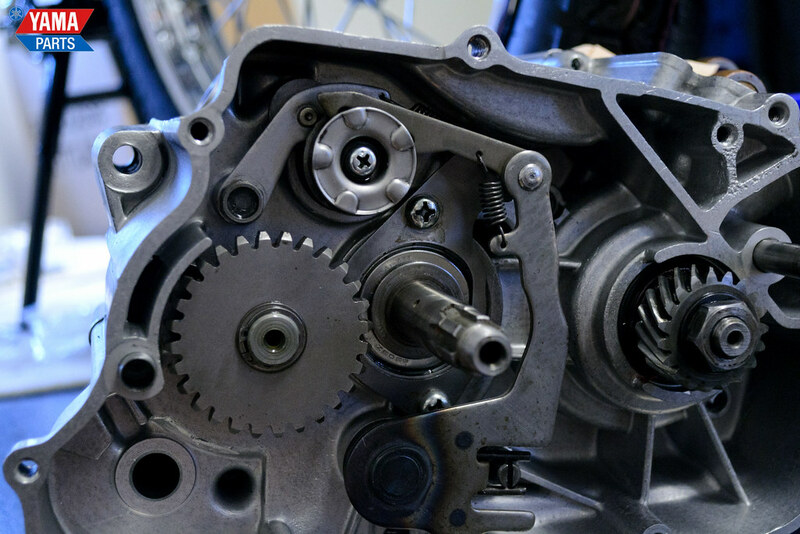 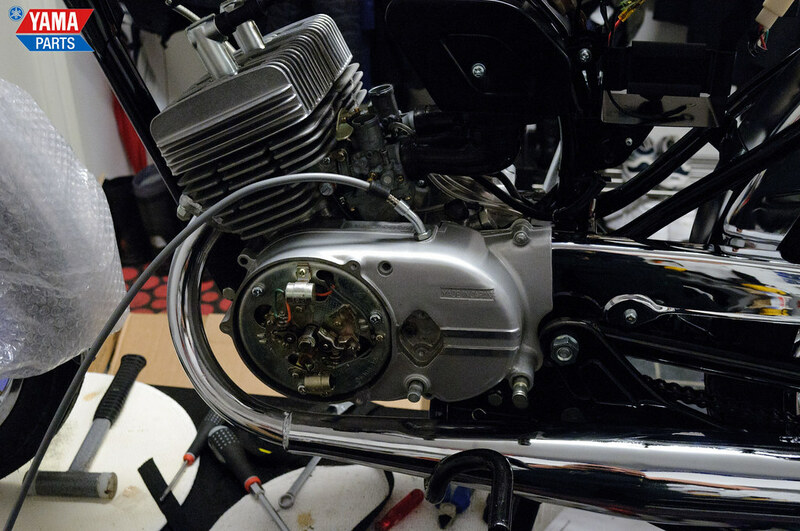 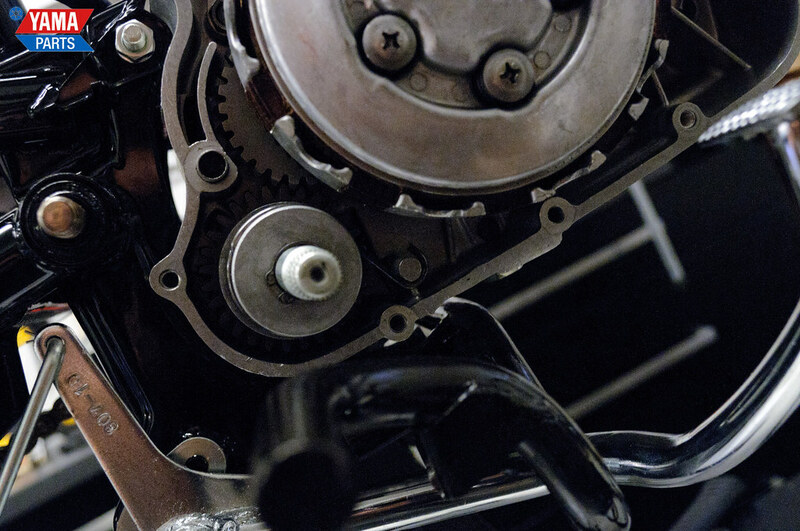 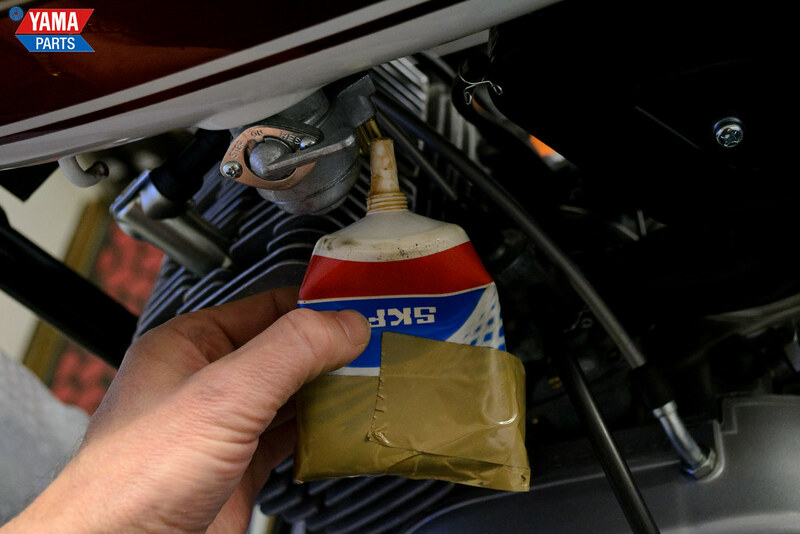 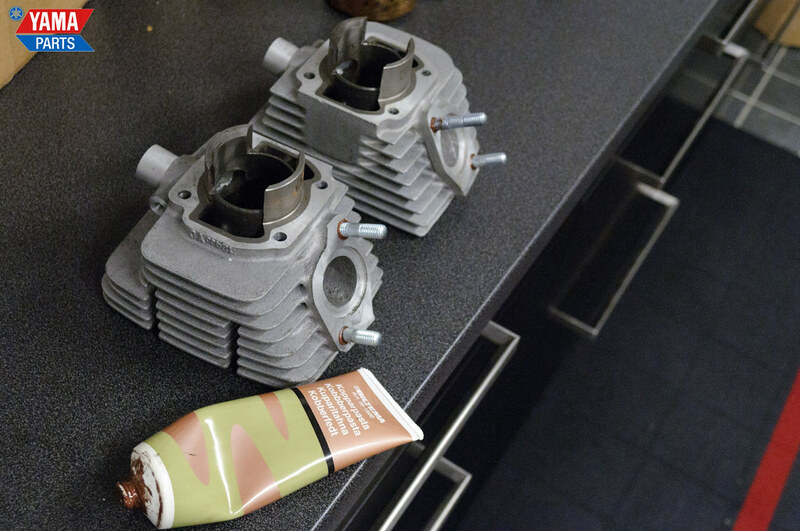 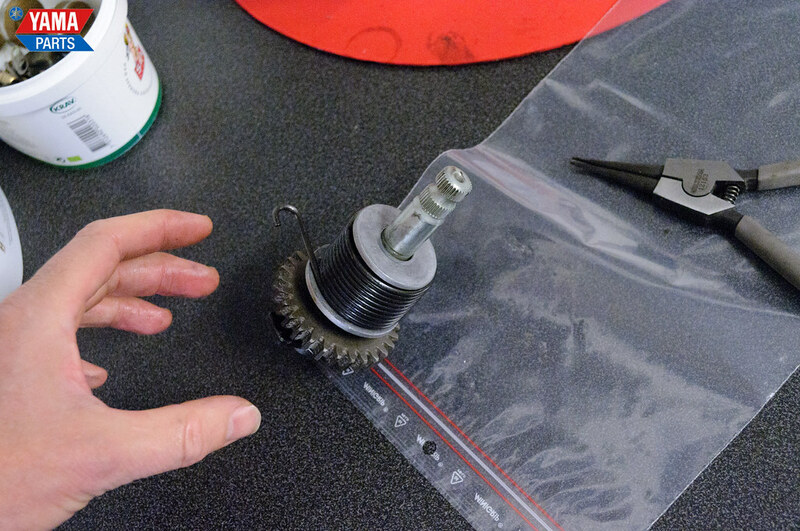 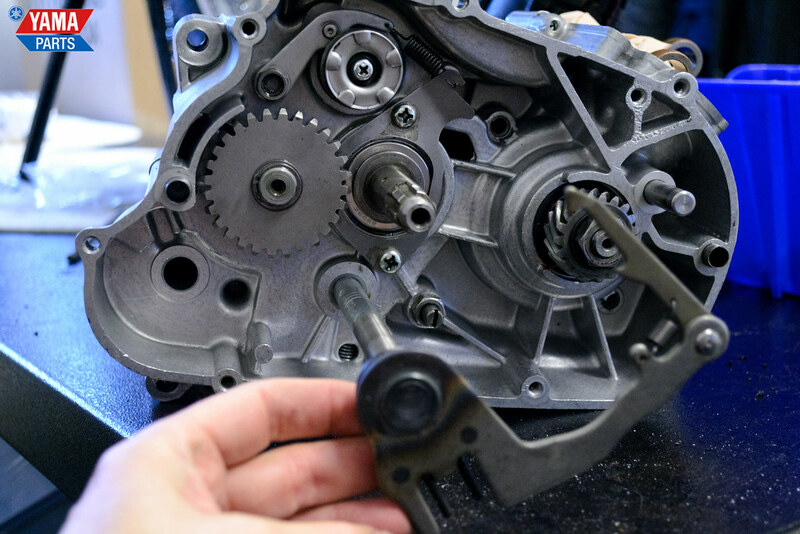 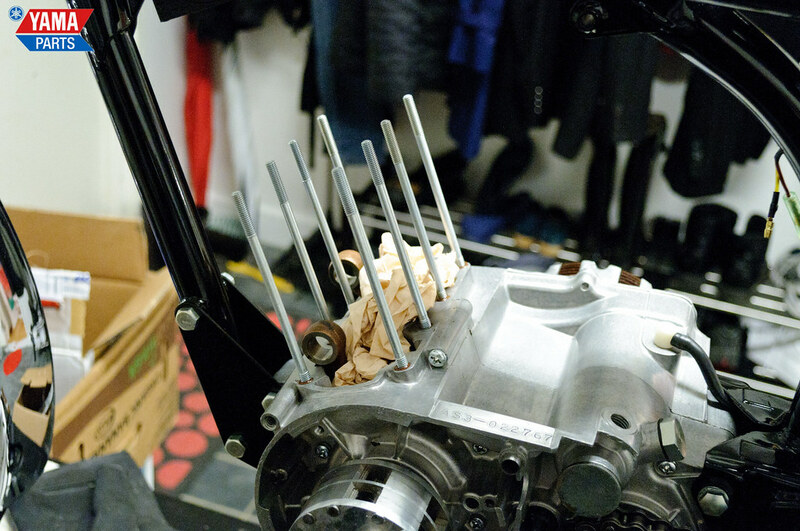 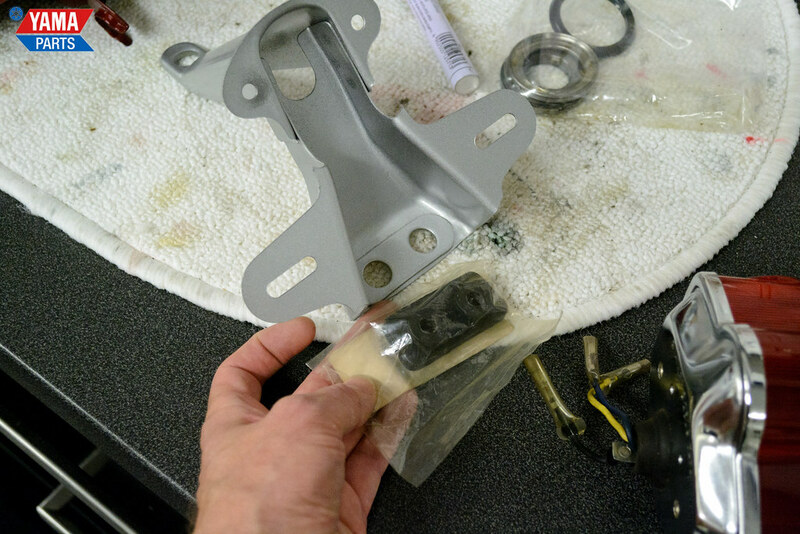 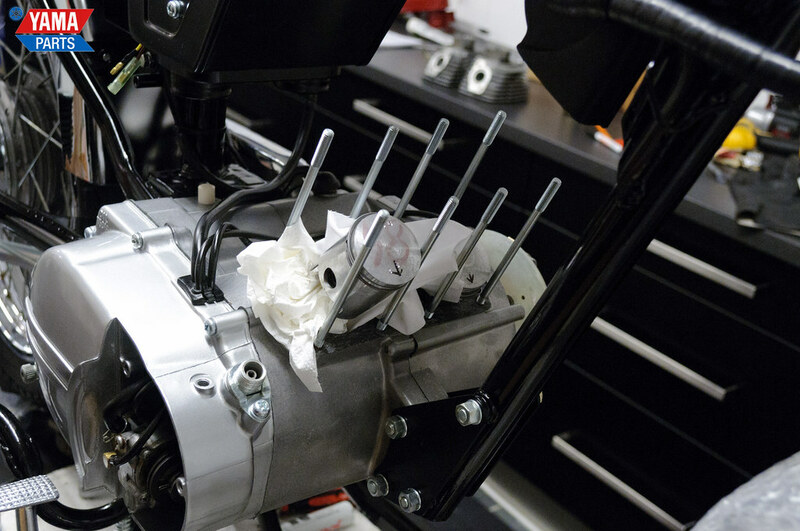 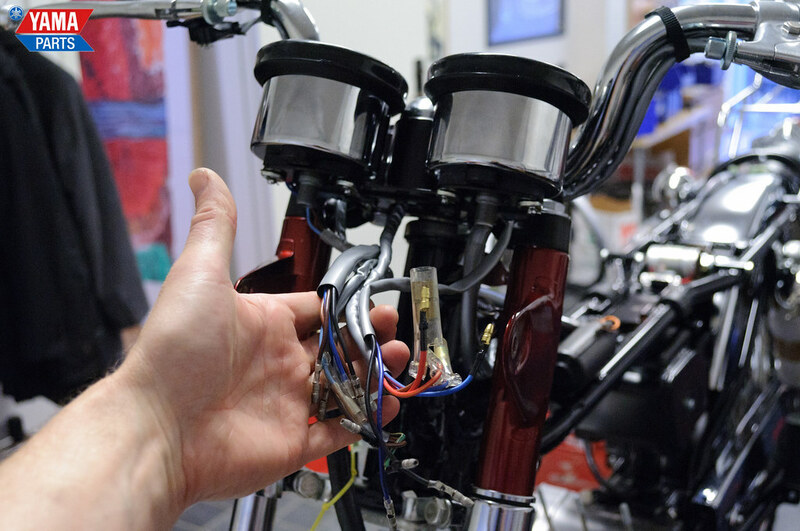 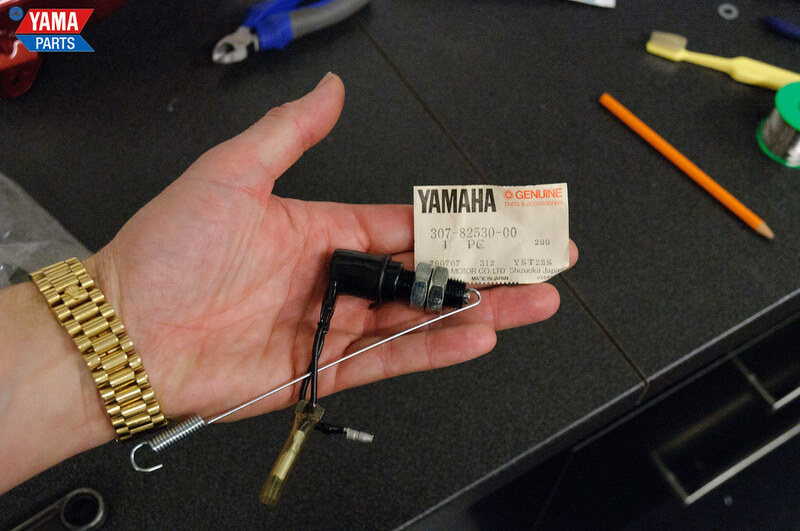 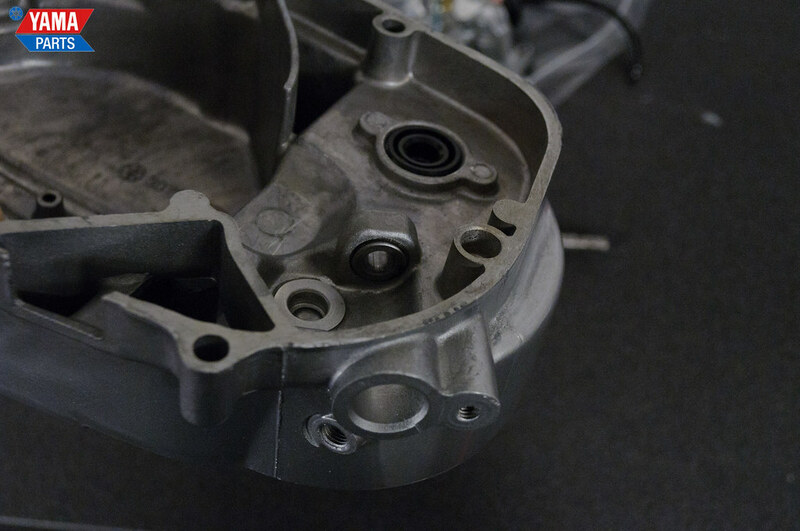 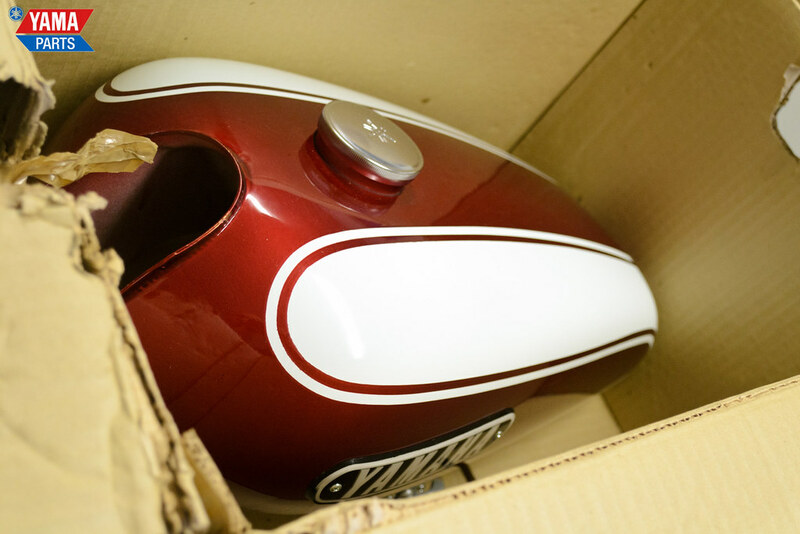 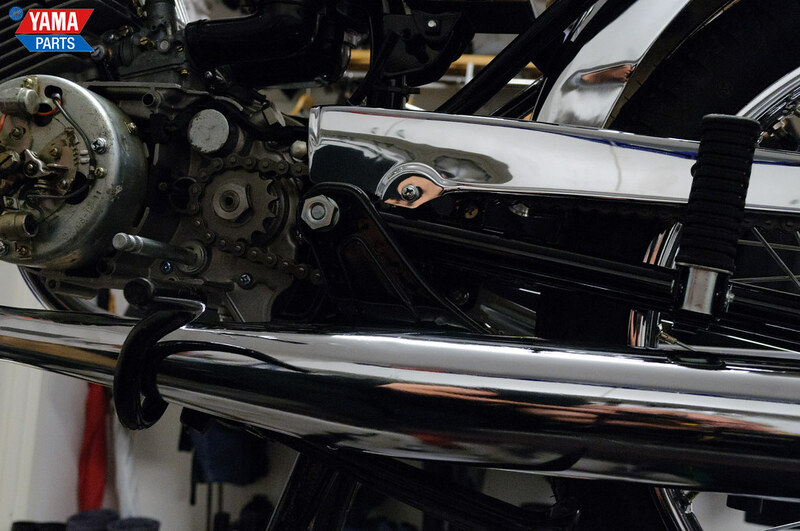 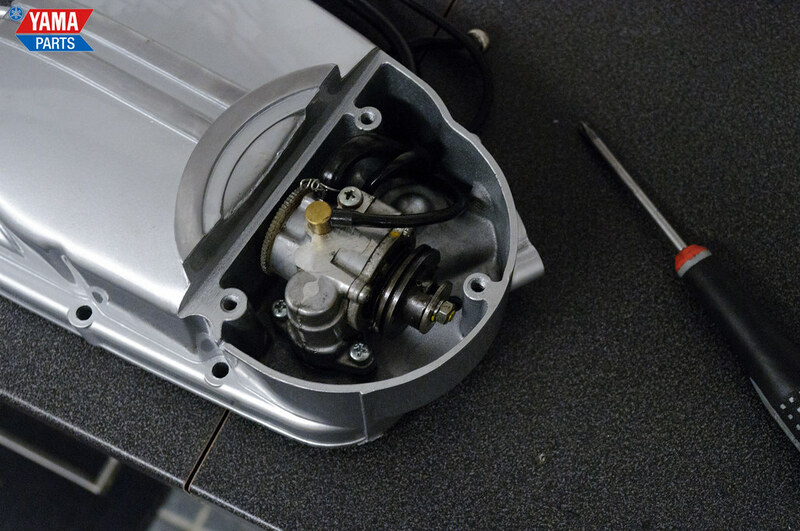 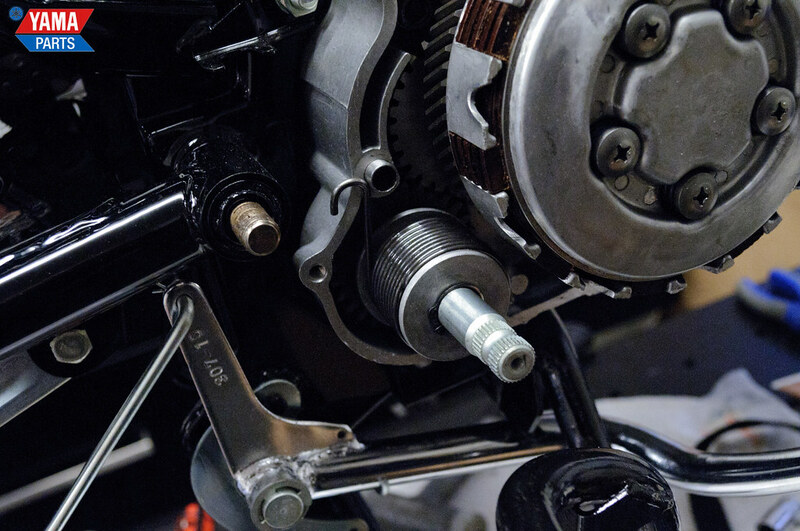 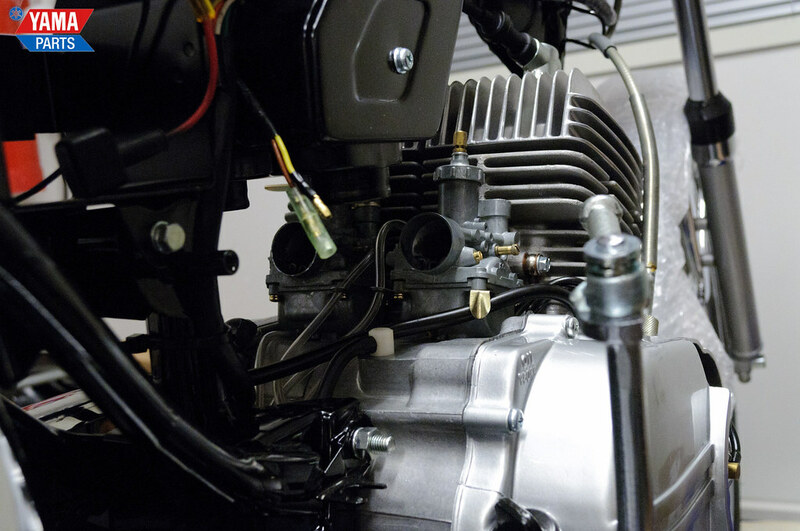 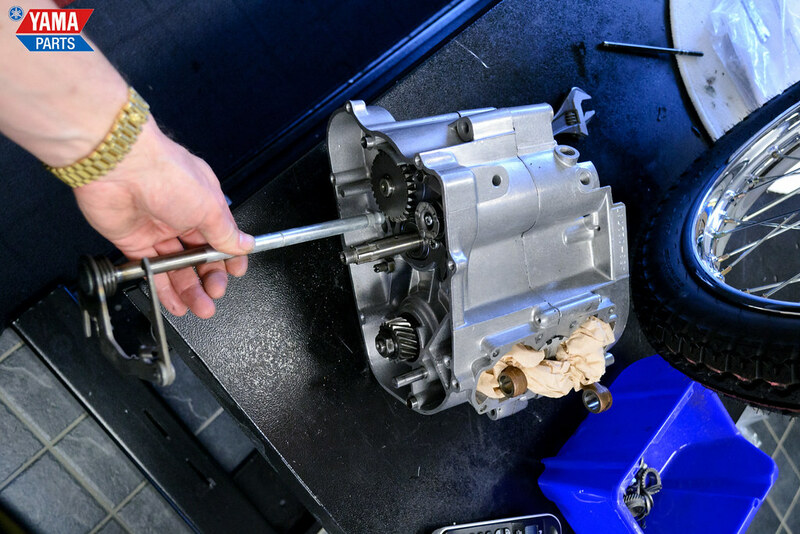 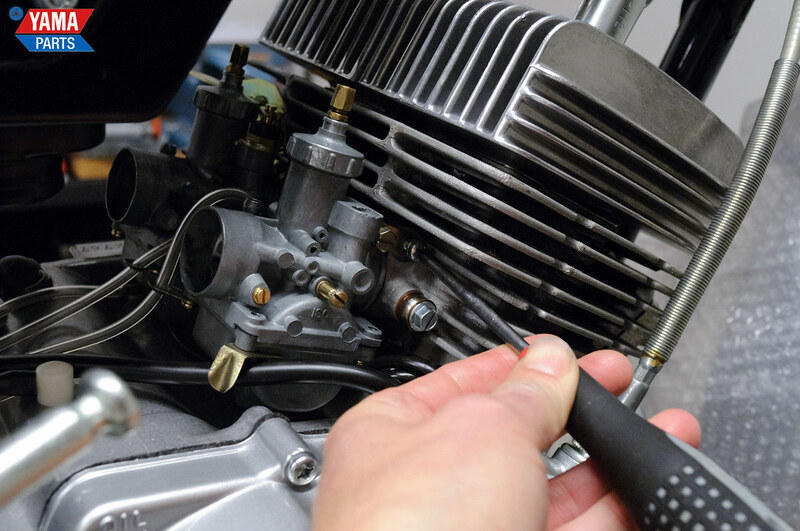 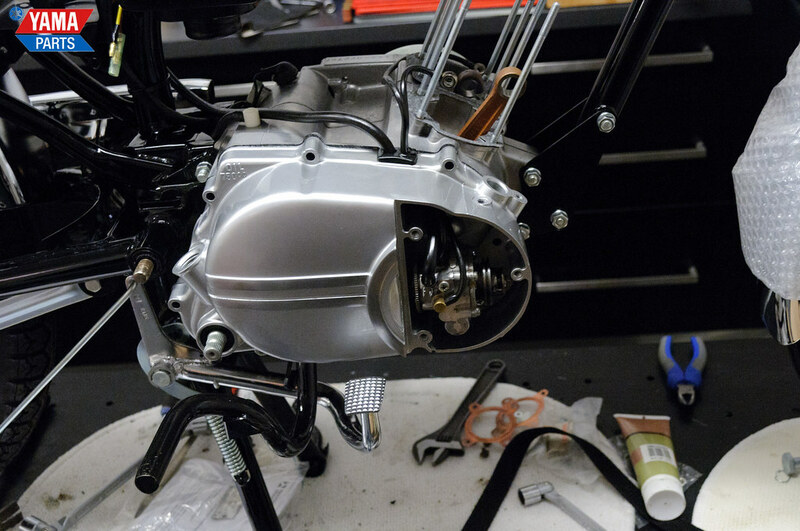 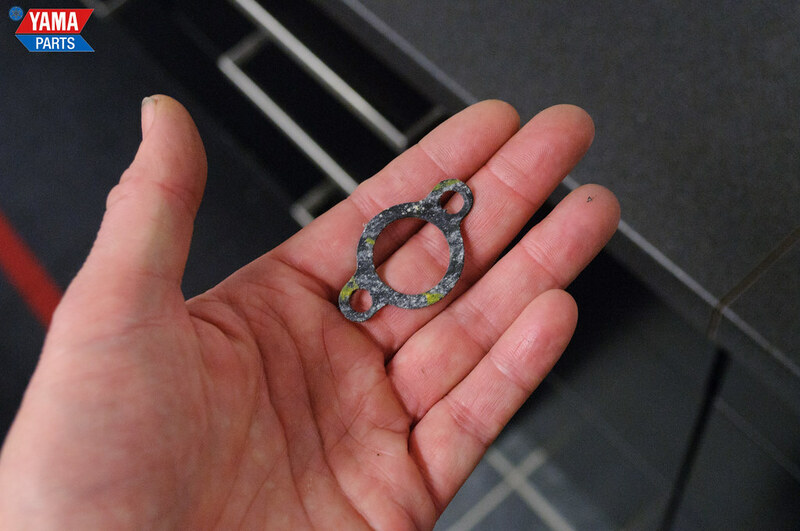 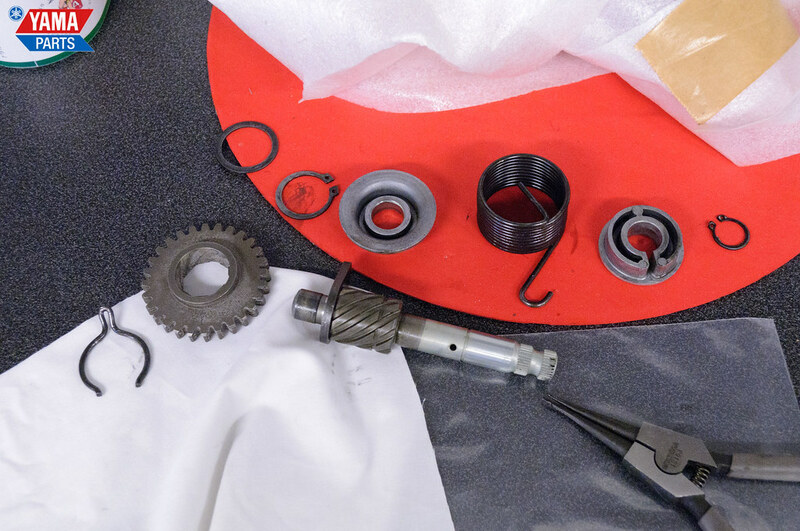 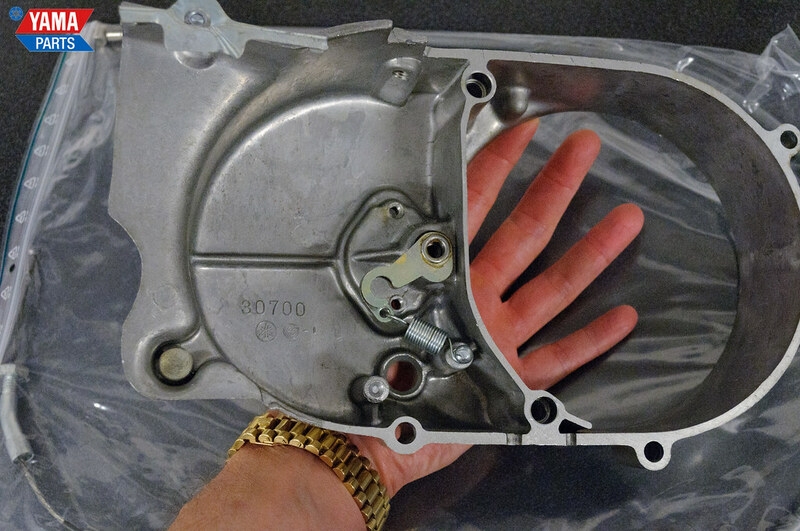 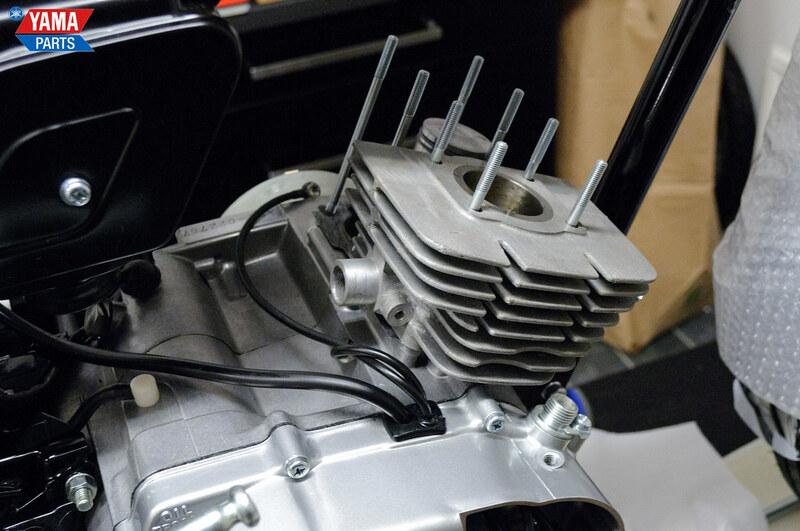 In this update we cover some of the additional bits of the engine assembly, up until the carburetors are set to go on the bike. 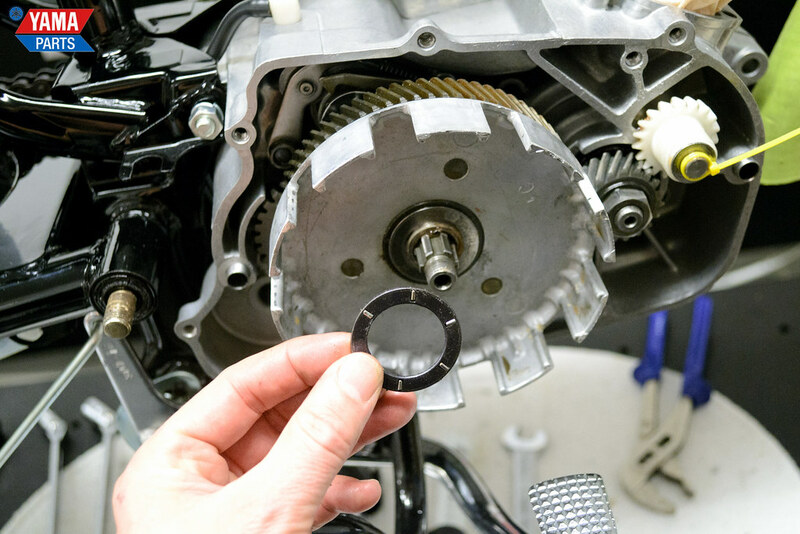 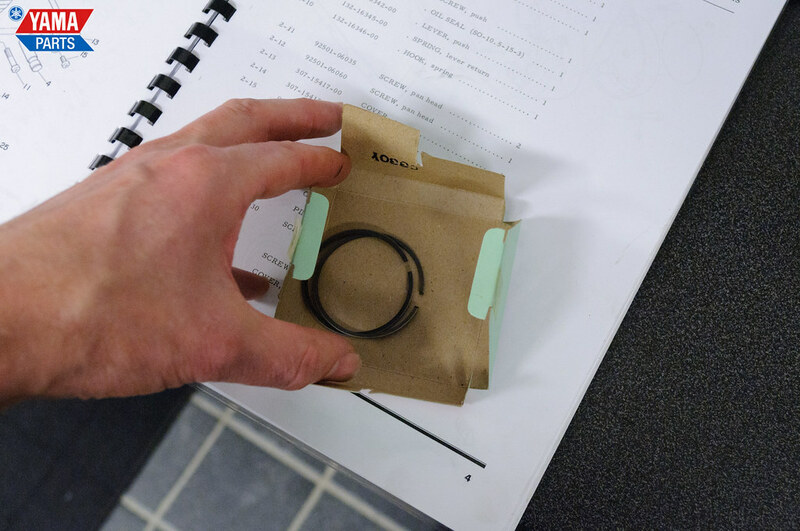 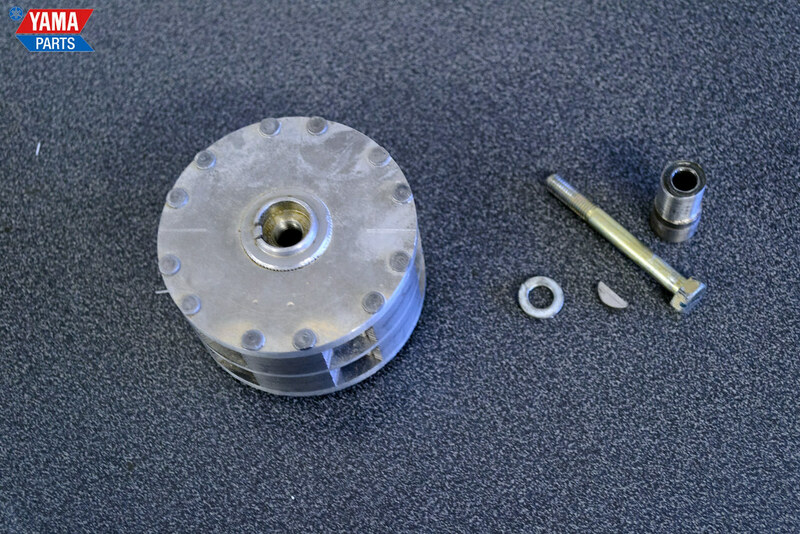 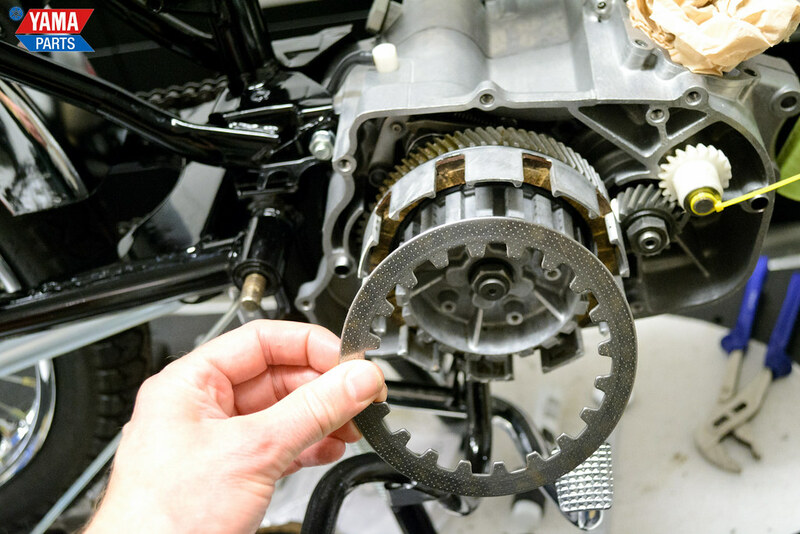 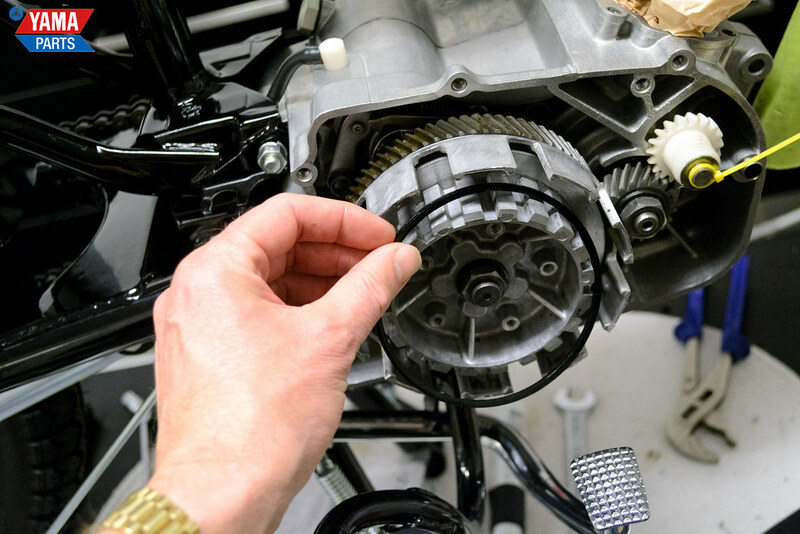 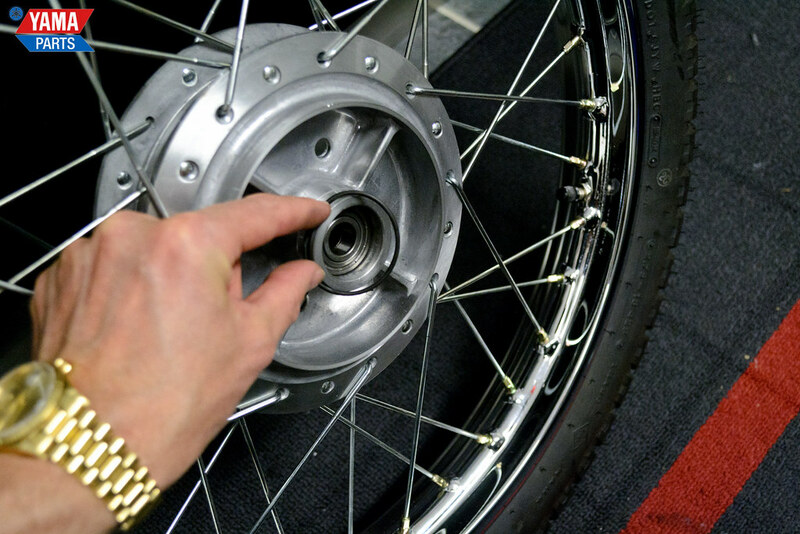 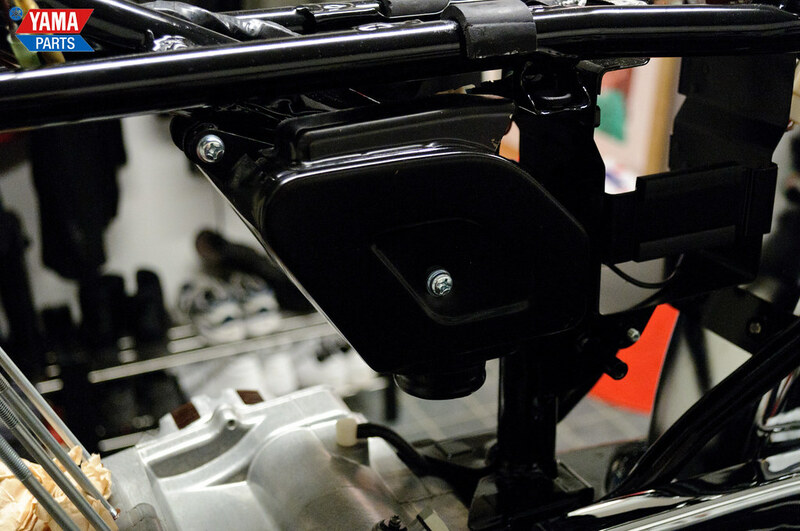 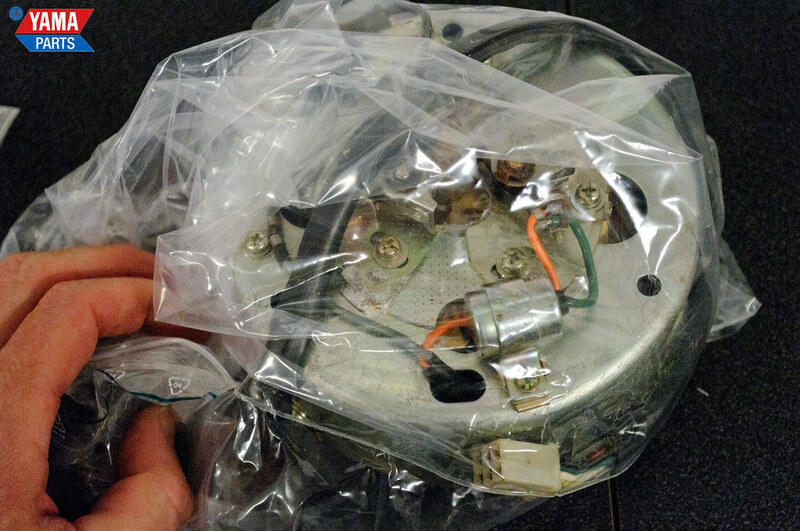 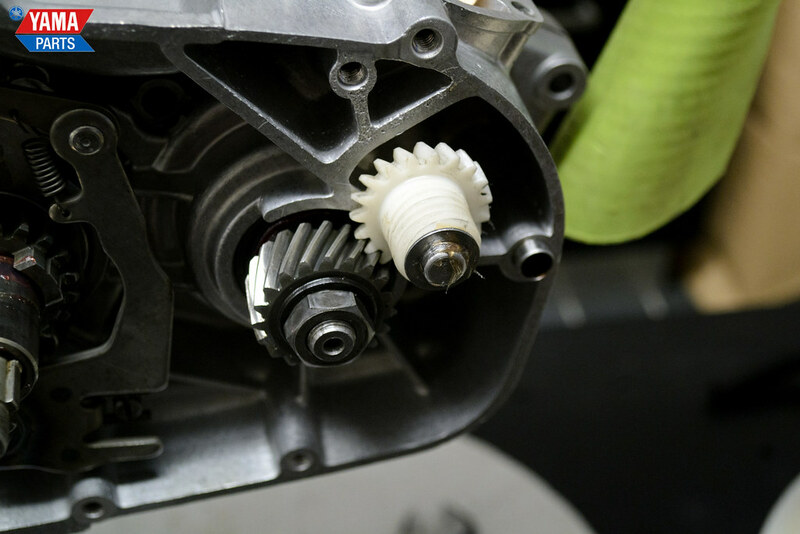 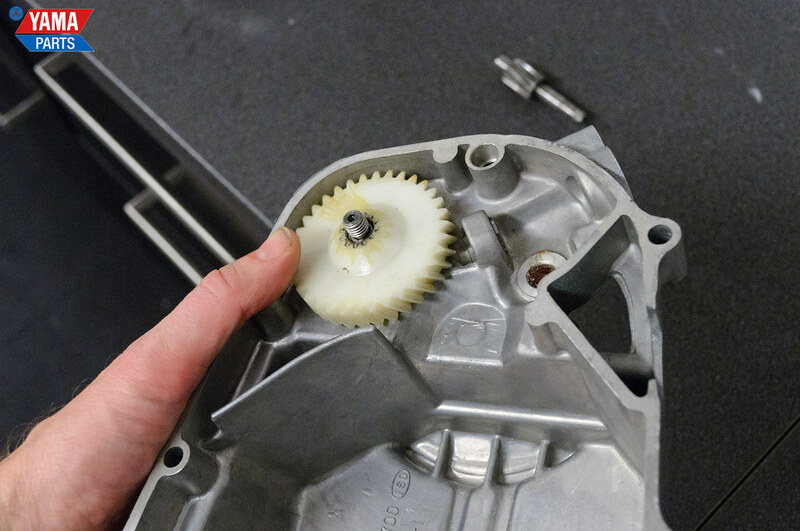 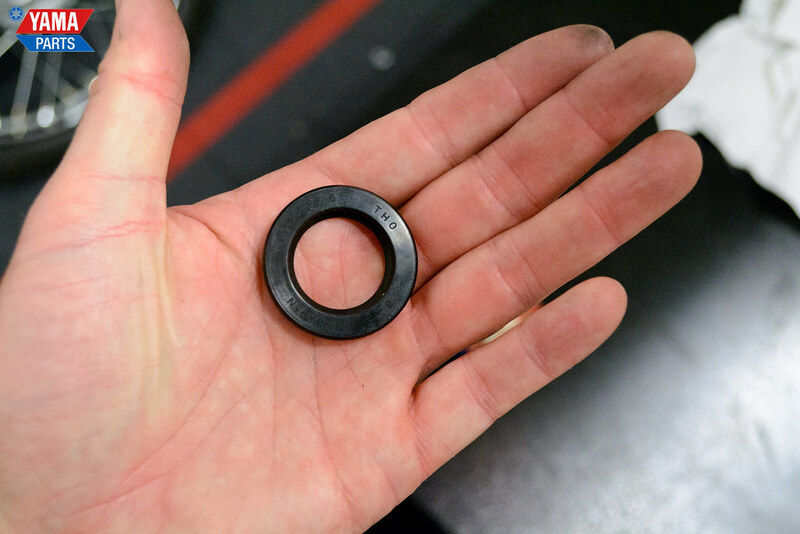 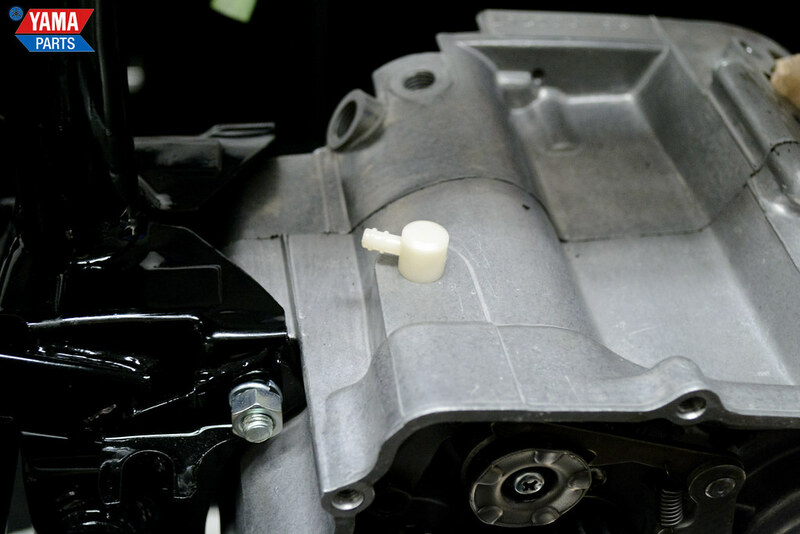 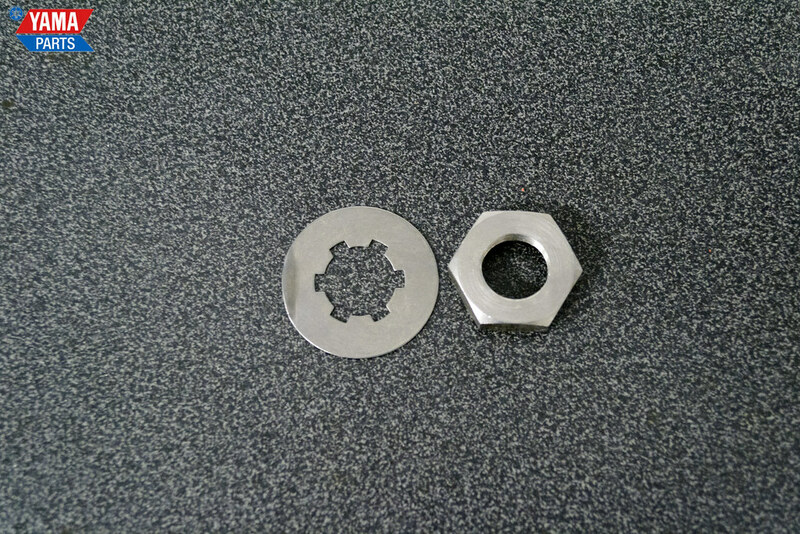 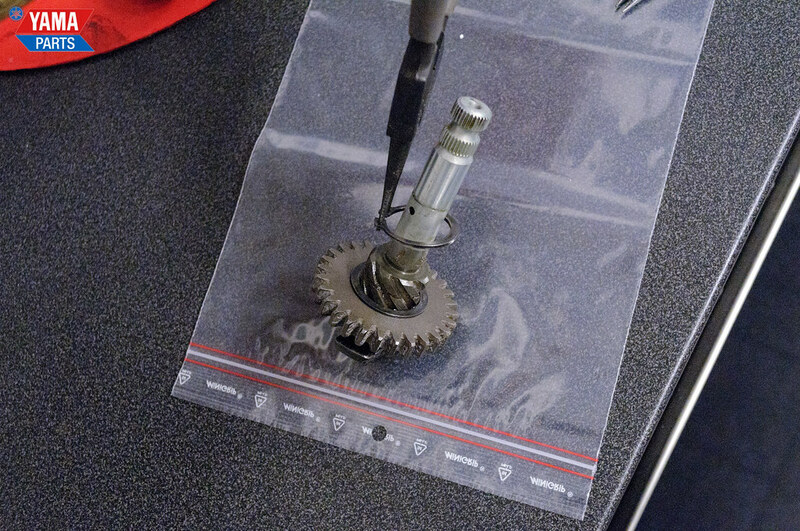 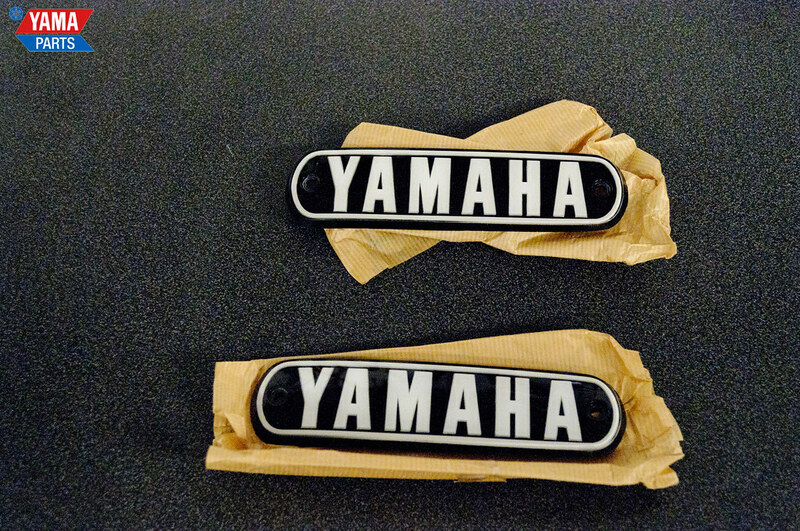 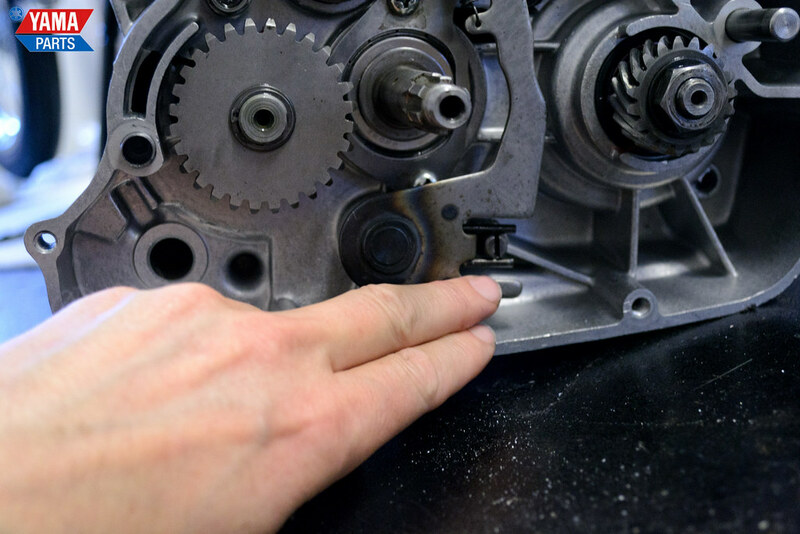 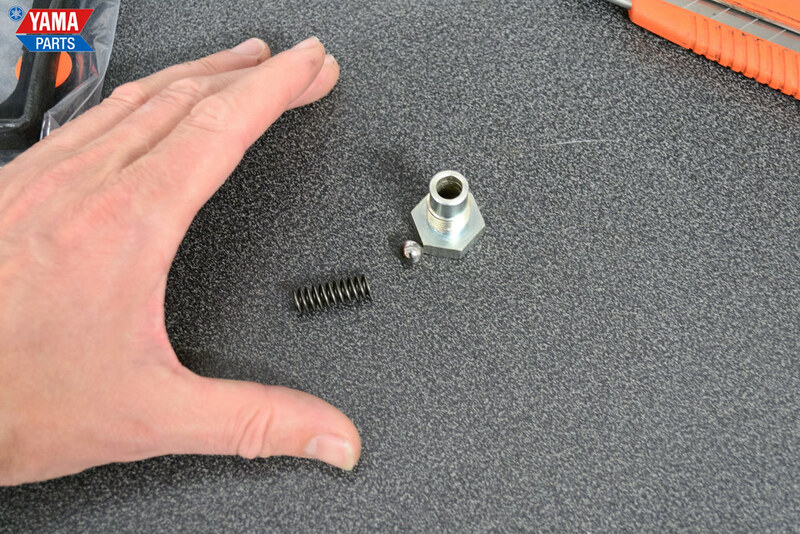 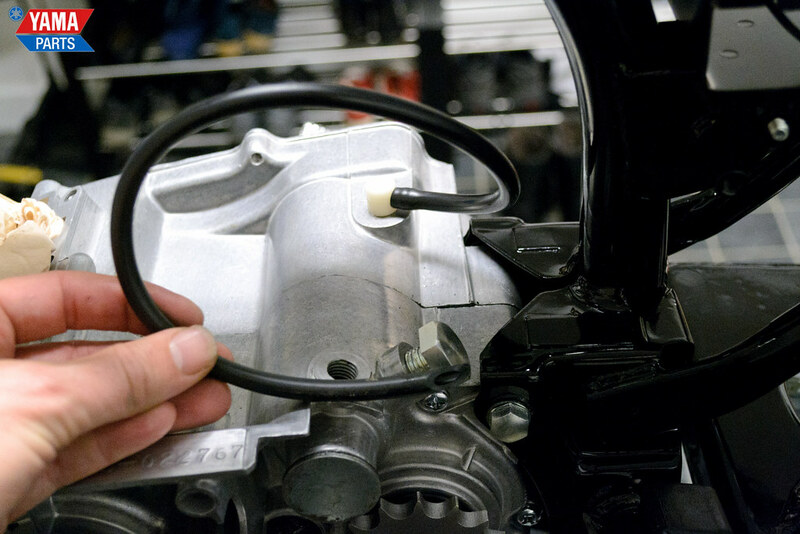 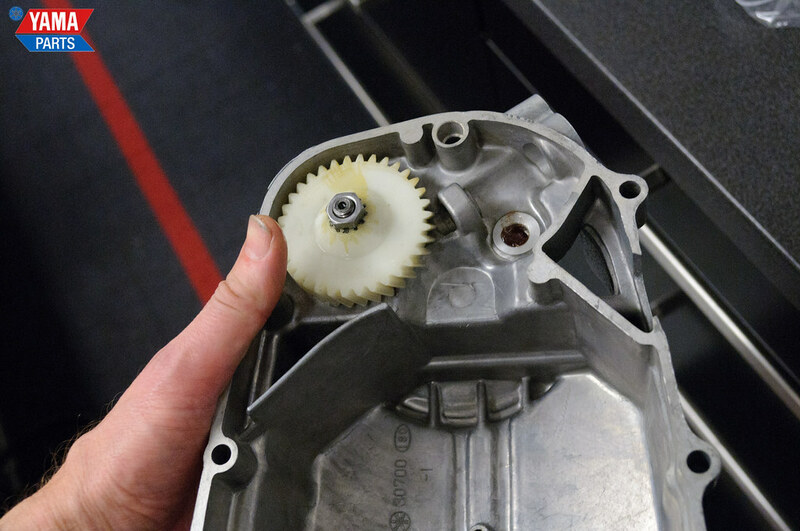 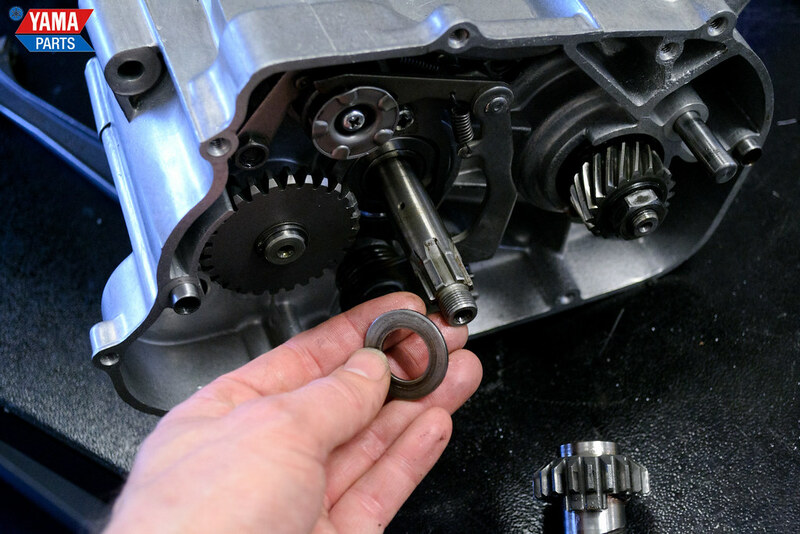 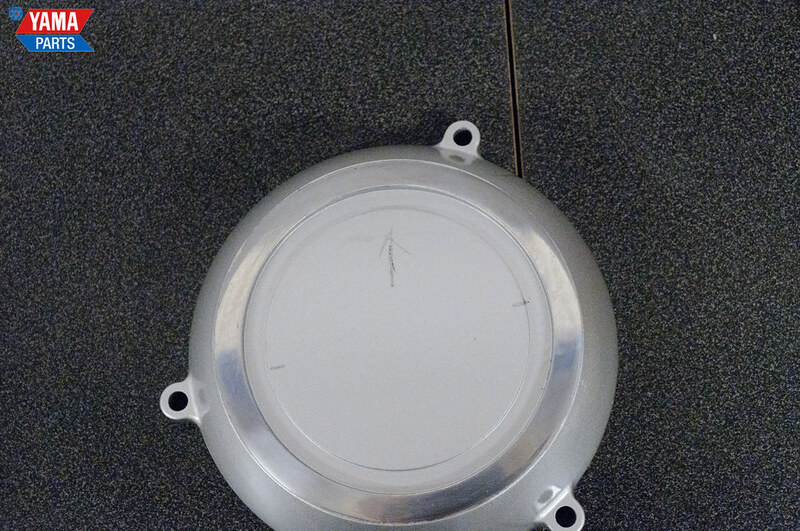 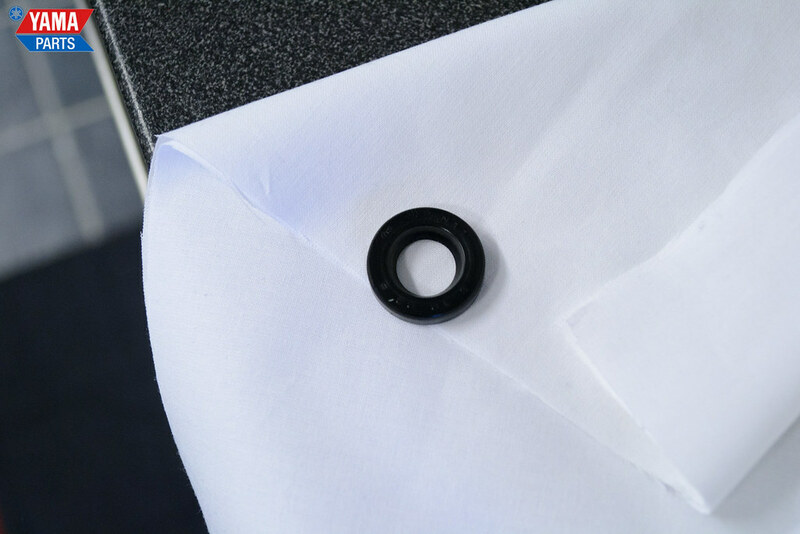 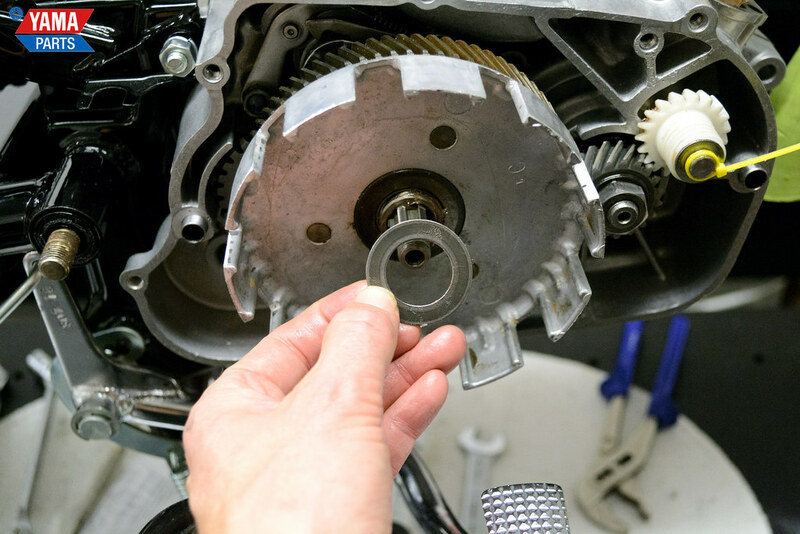 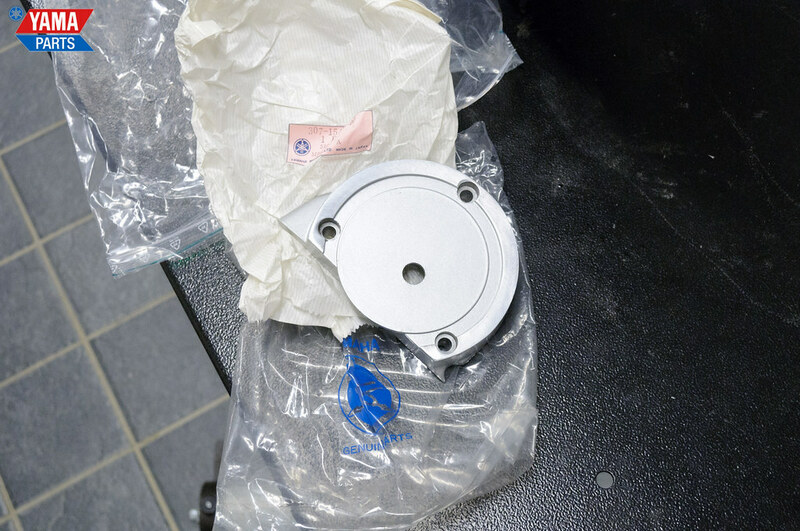 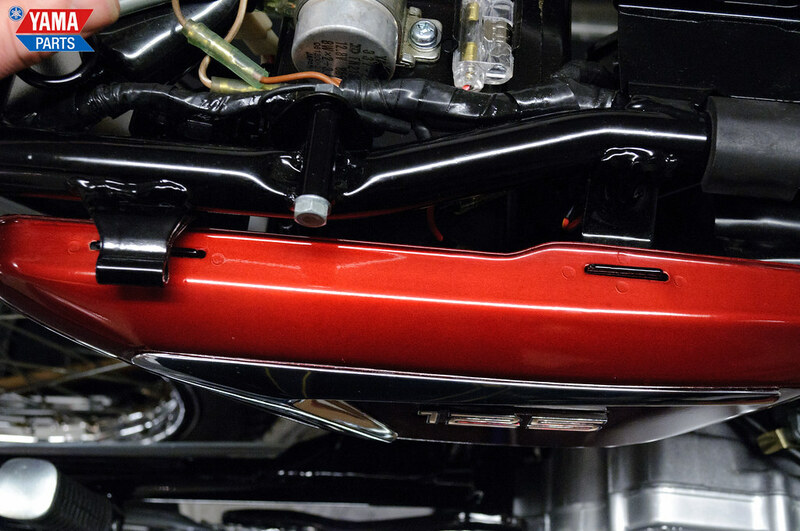 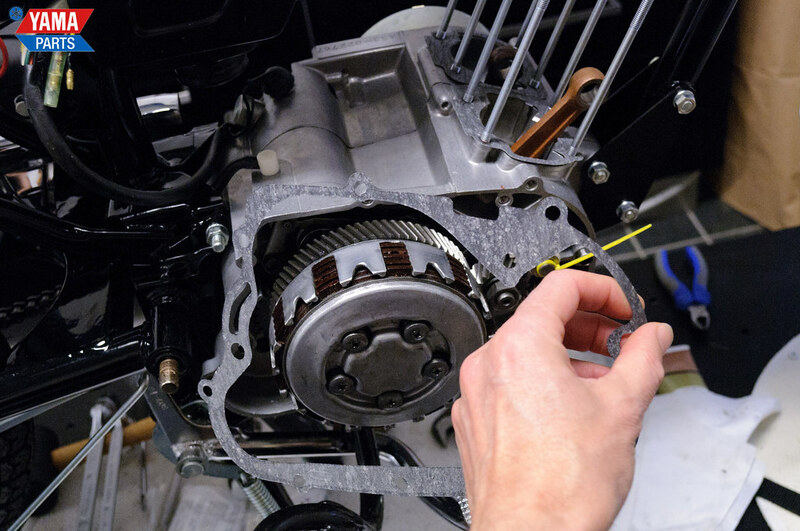 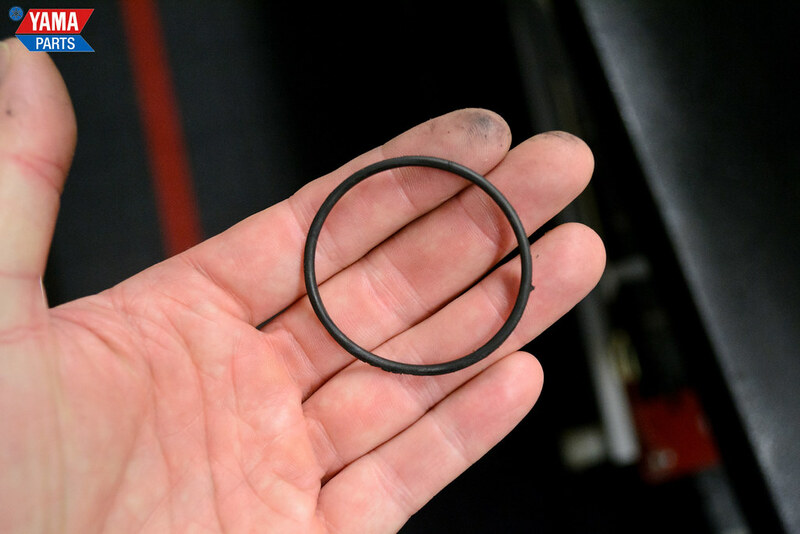 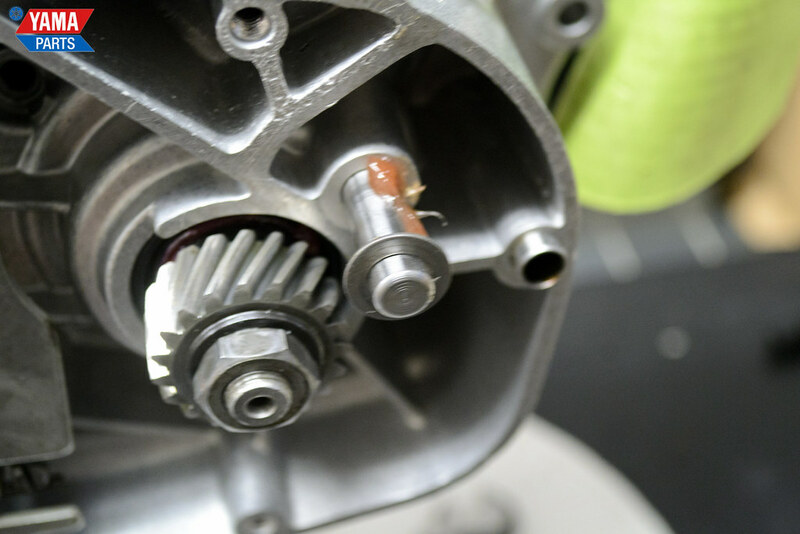 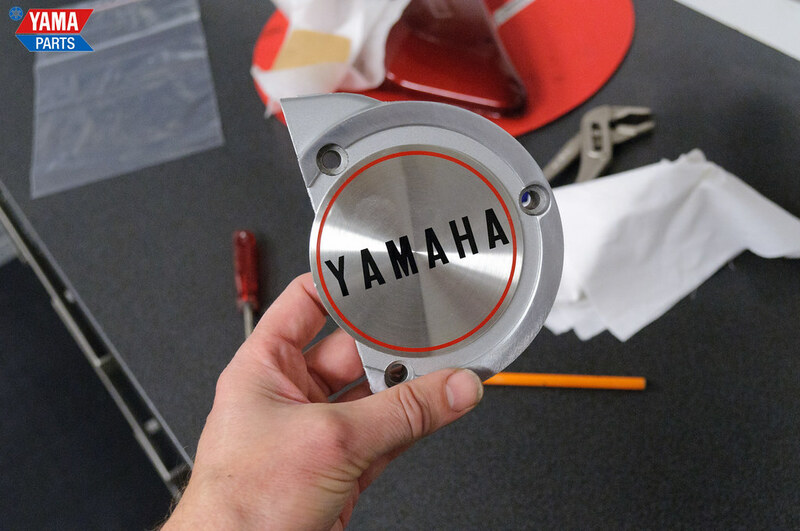 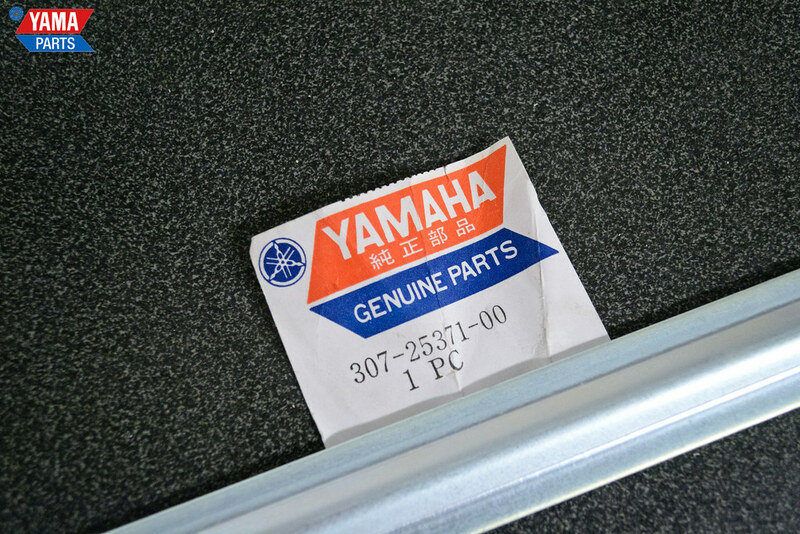 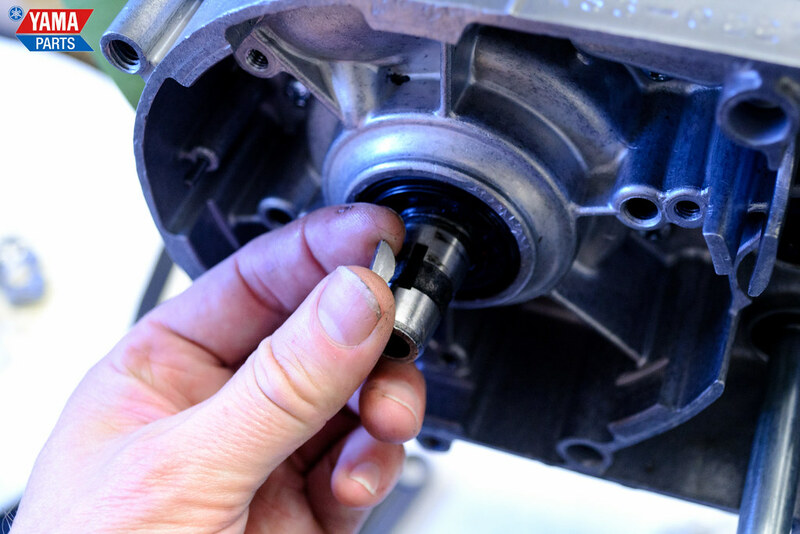 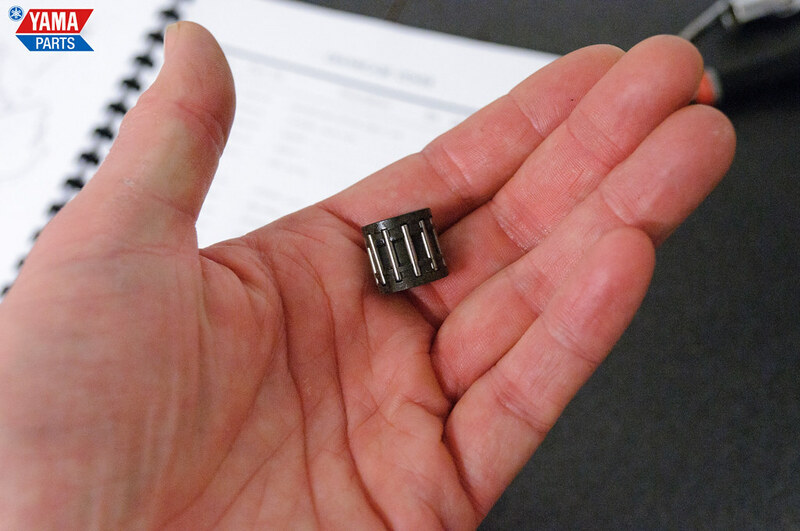 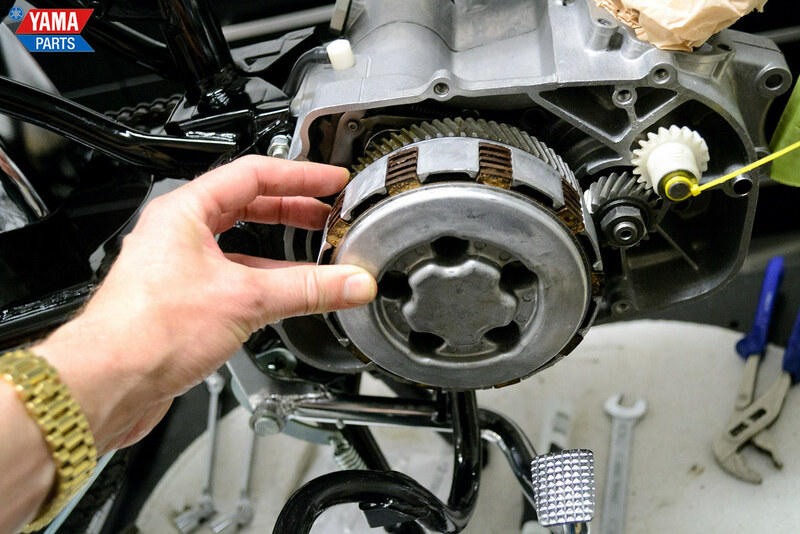 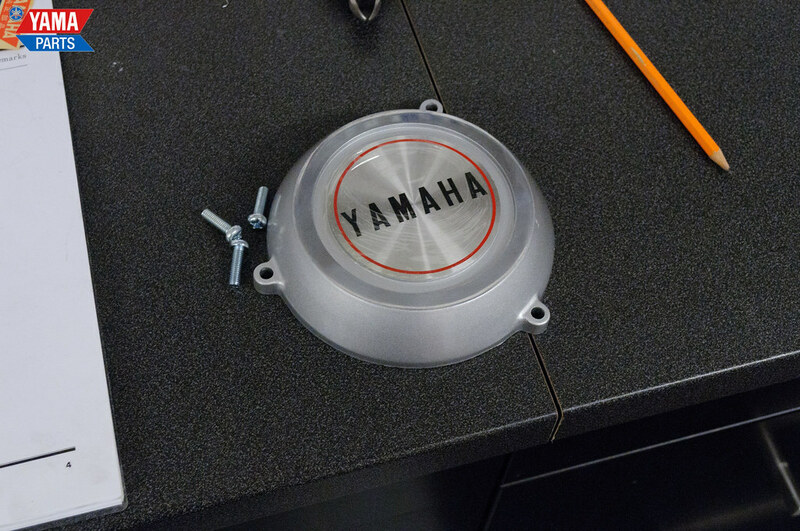 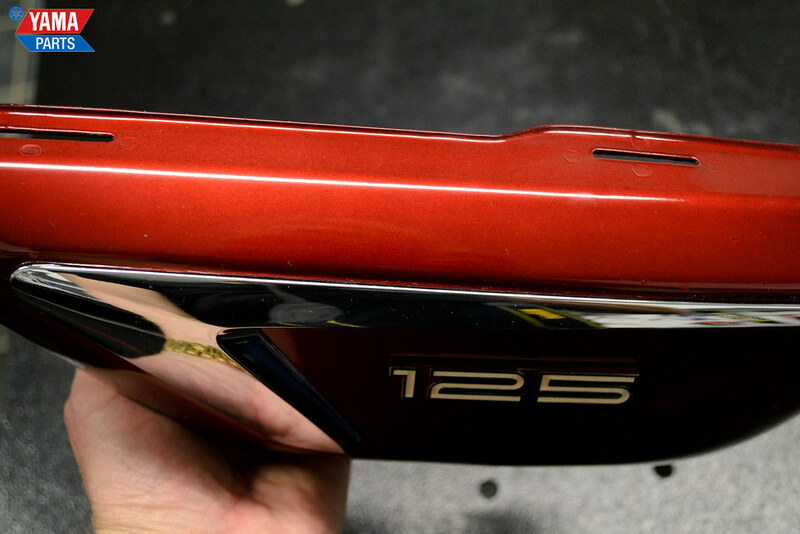 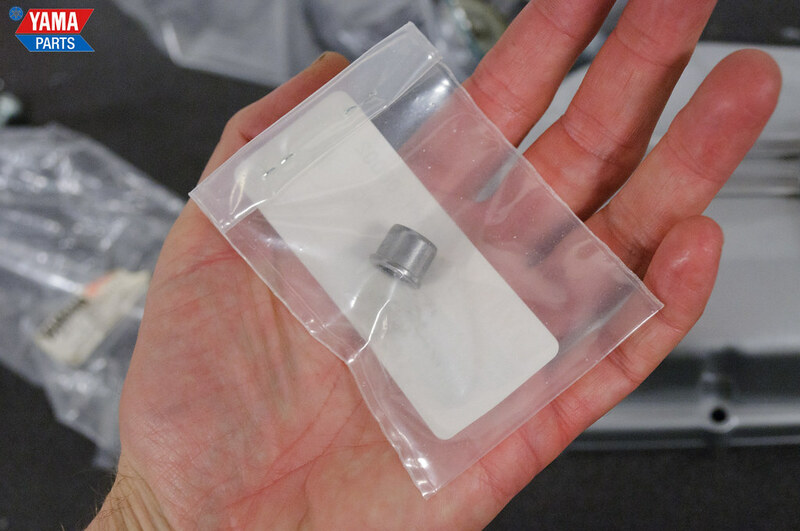 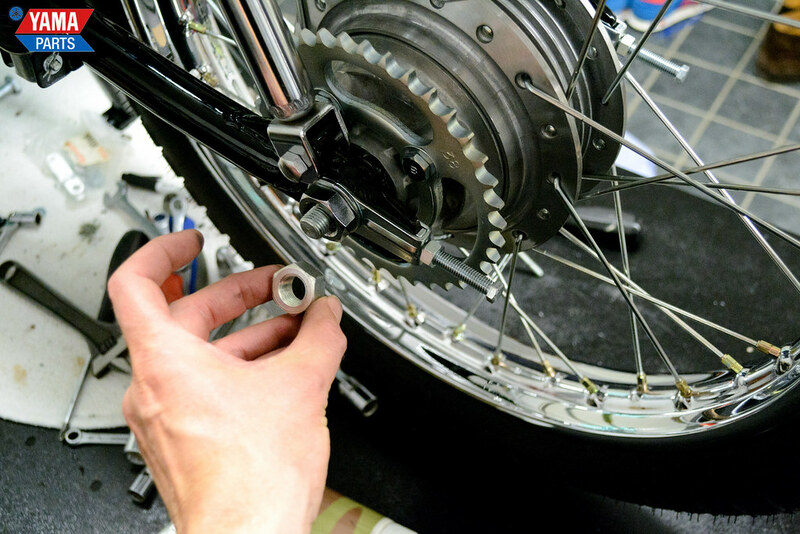 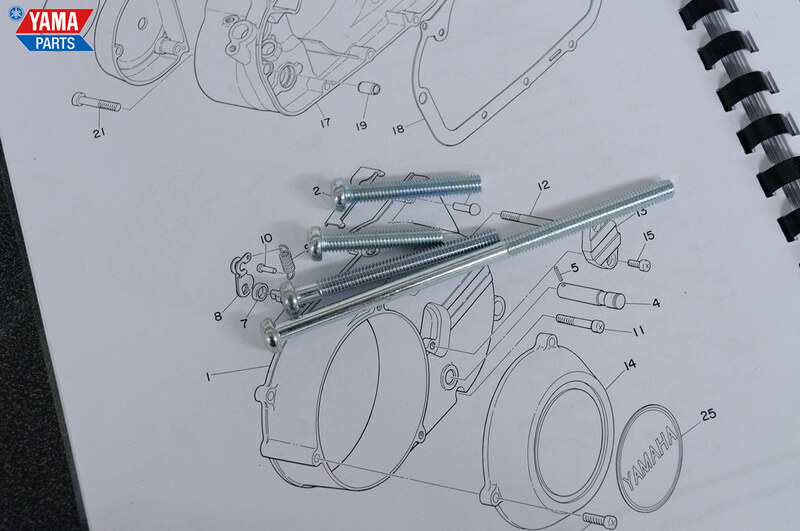 Parts to pay extra attention to this time is the kick spring assembly and the side logo cover assembly (we have covered it before but it is still important to get it right for the overall look). 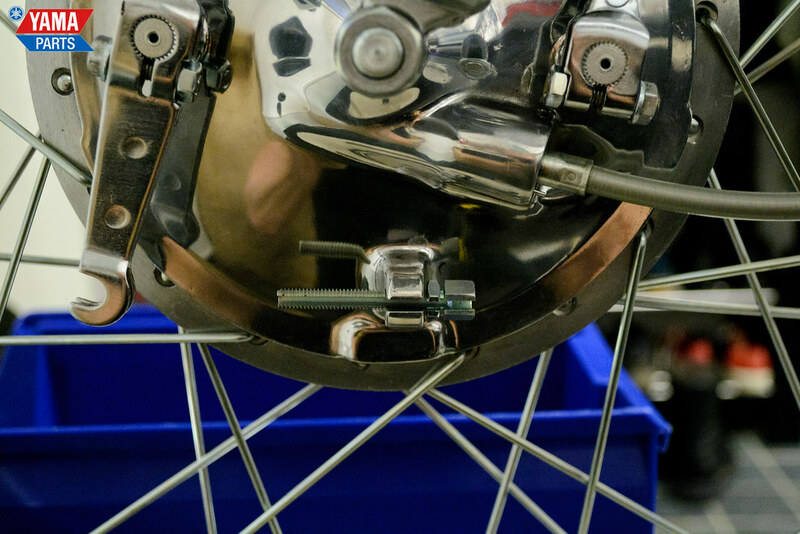 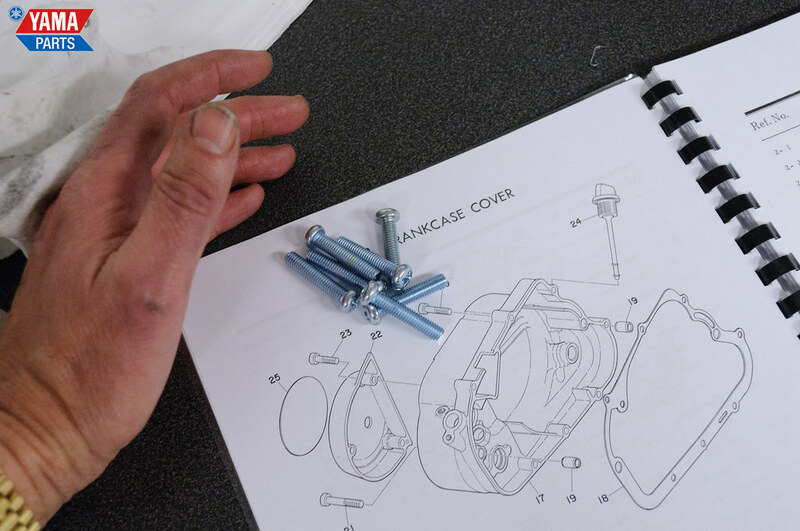 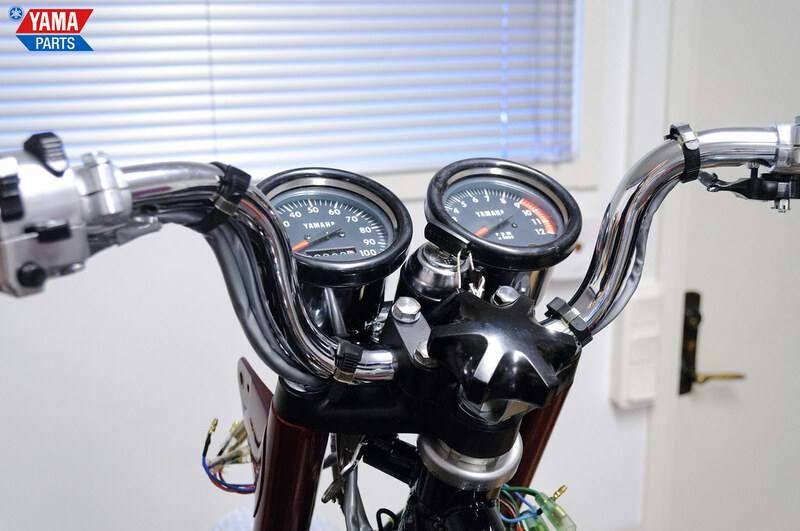 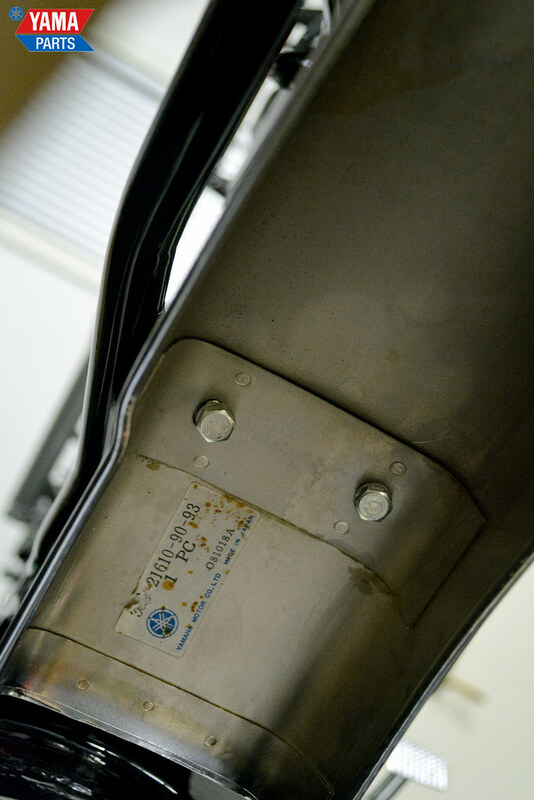 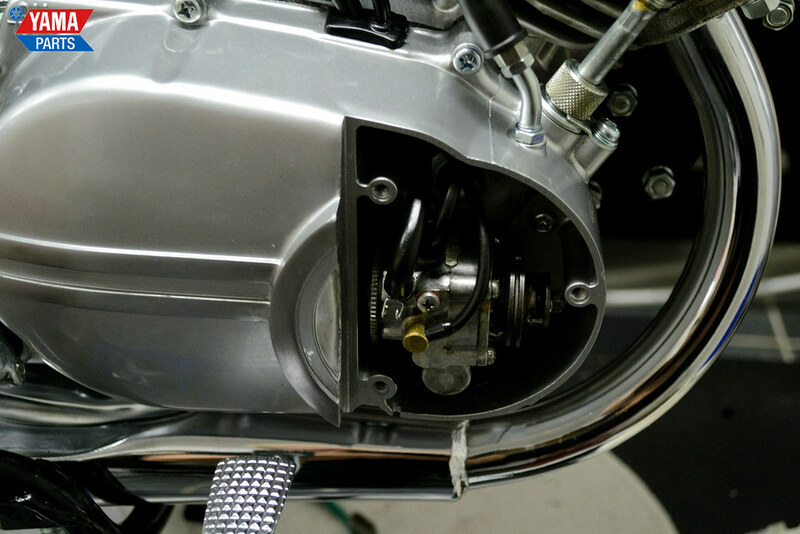 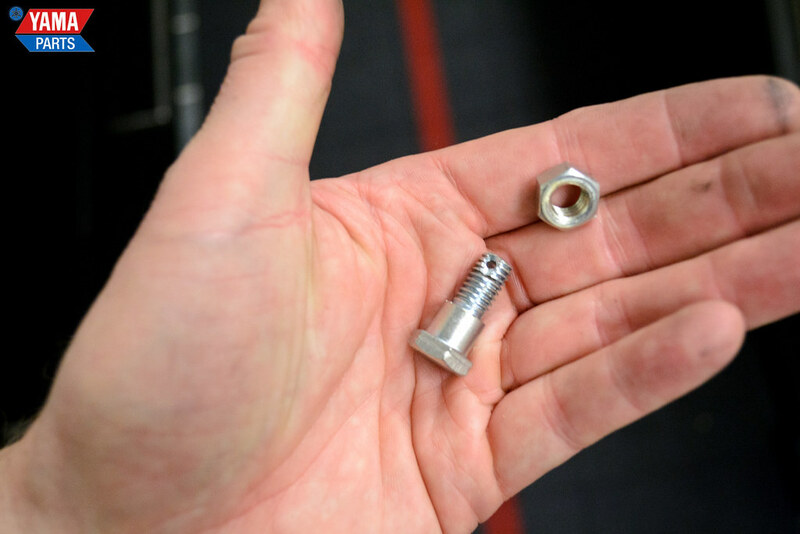 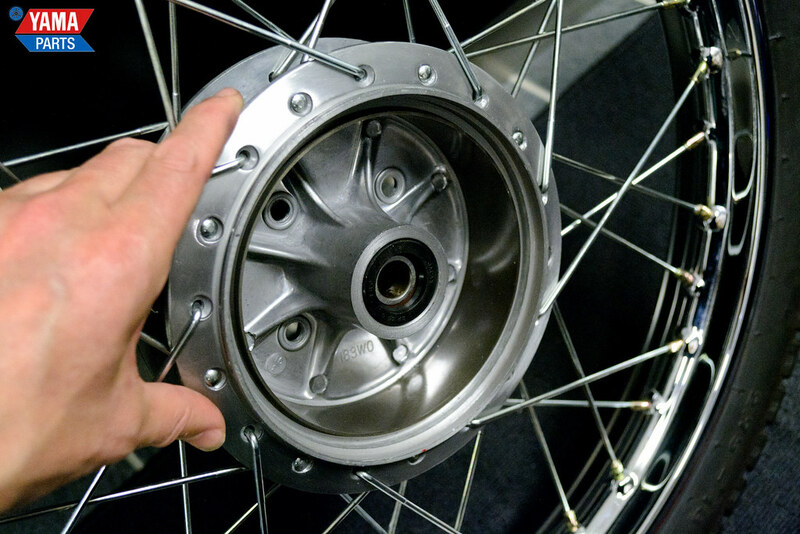 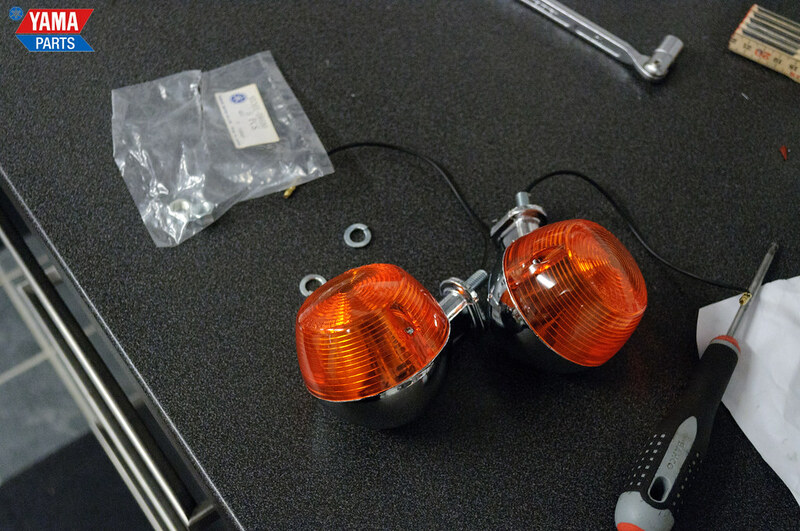 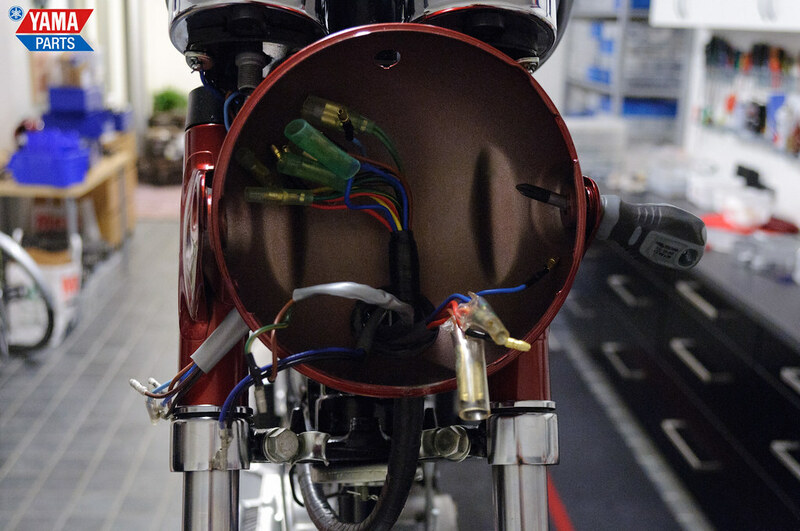 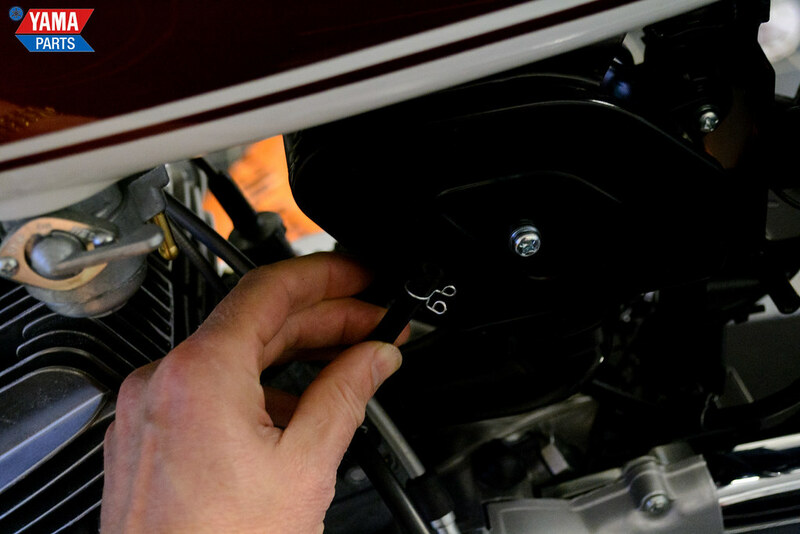 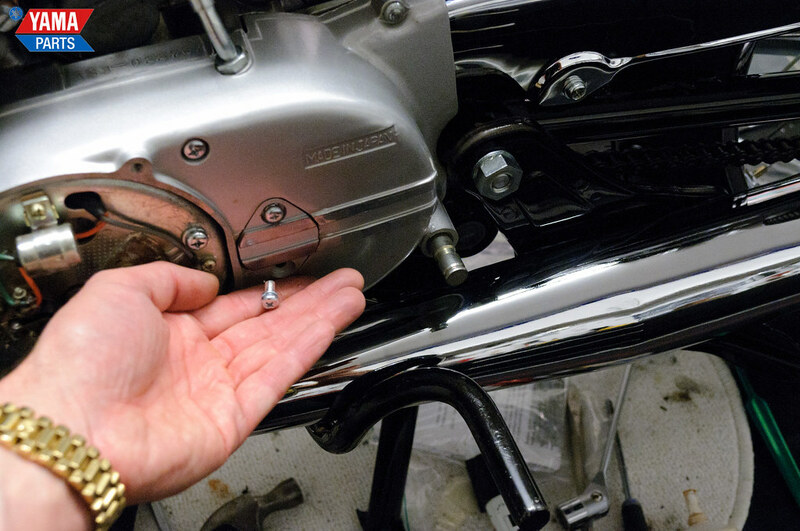 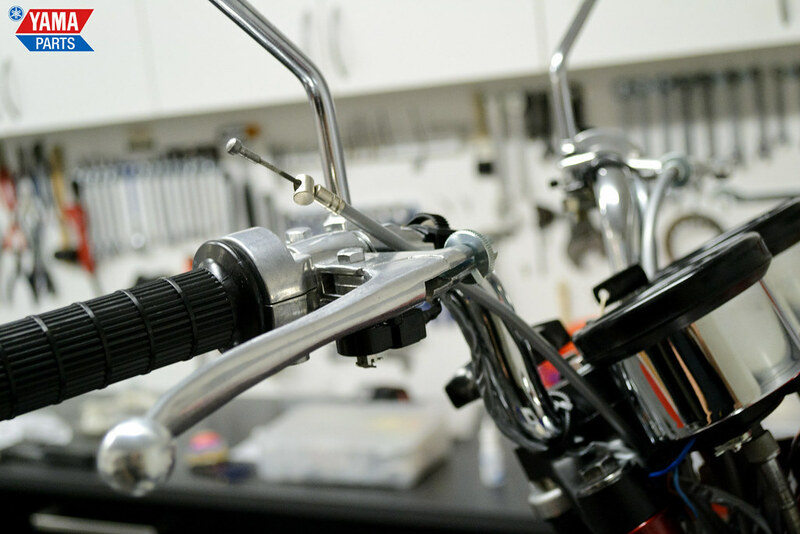 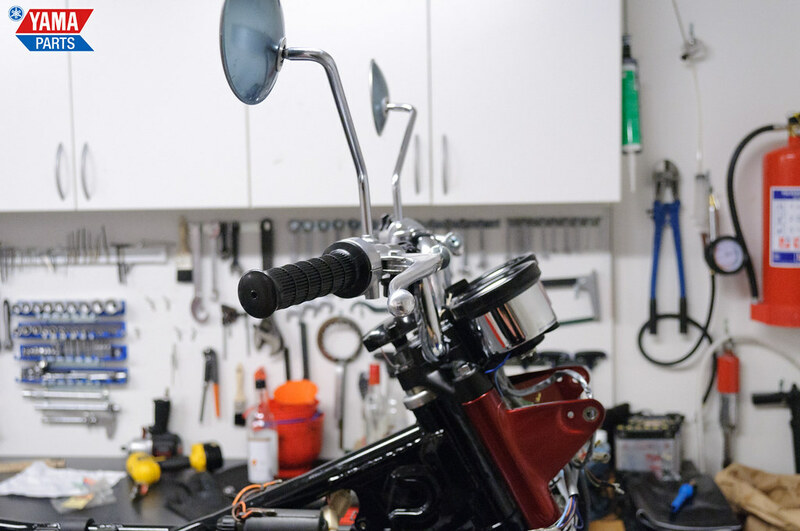 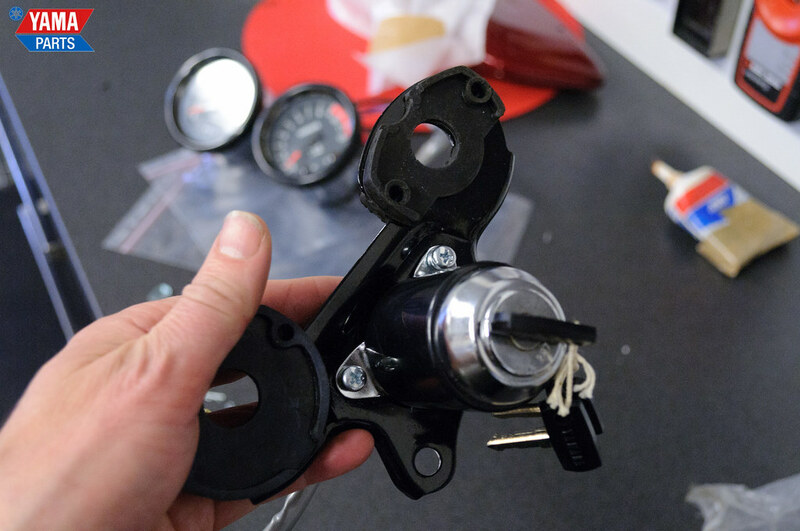 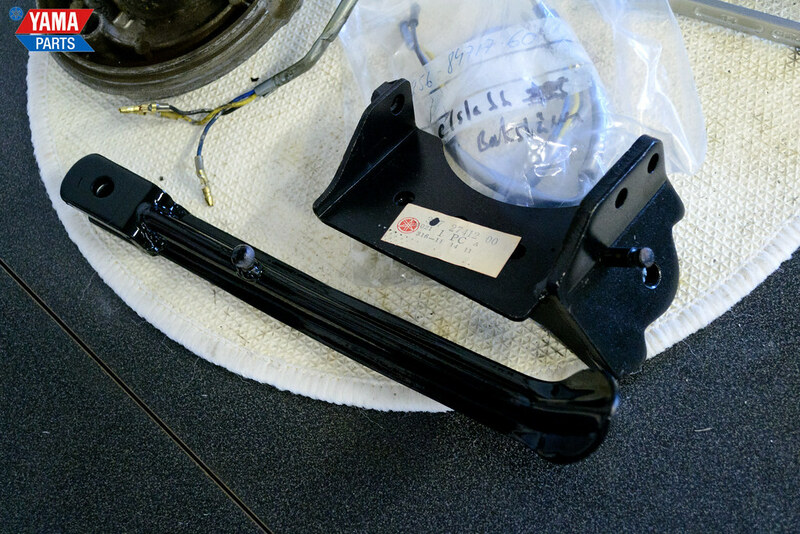 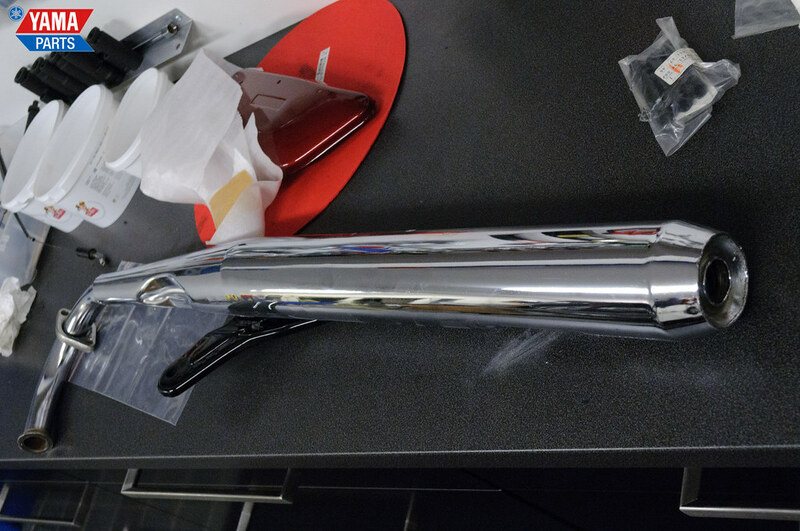 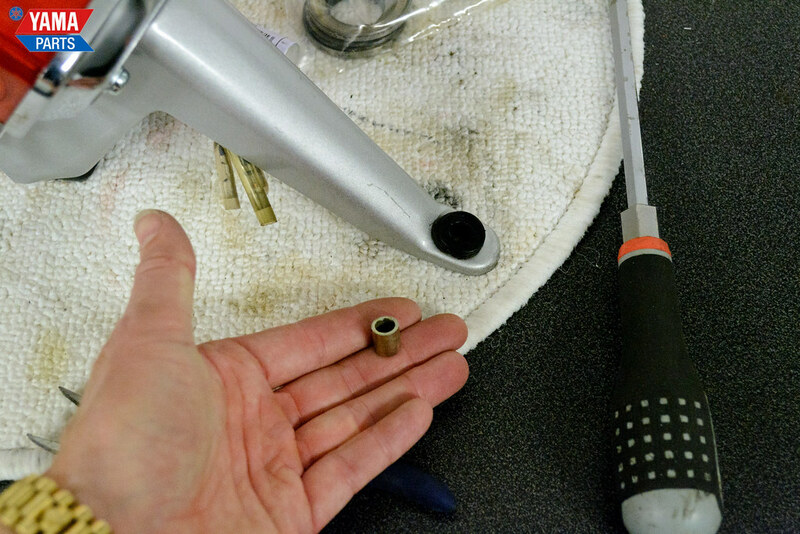 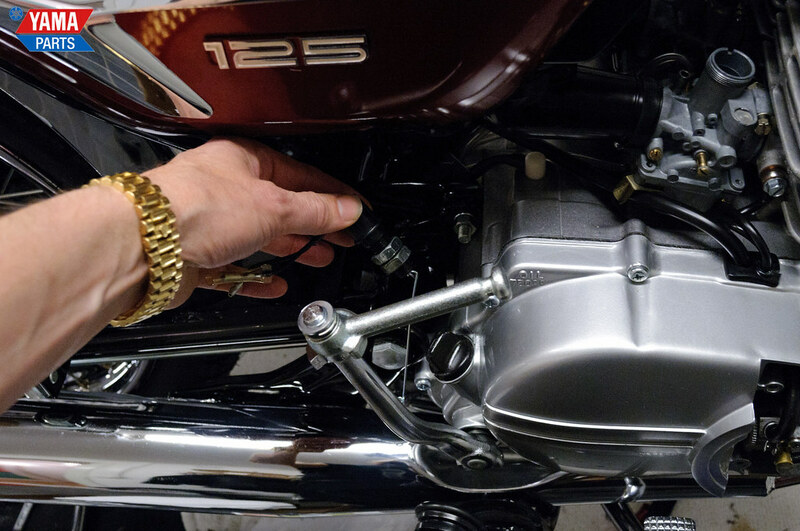 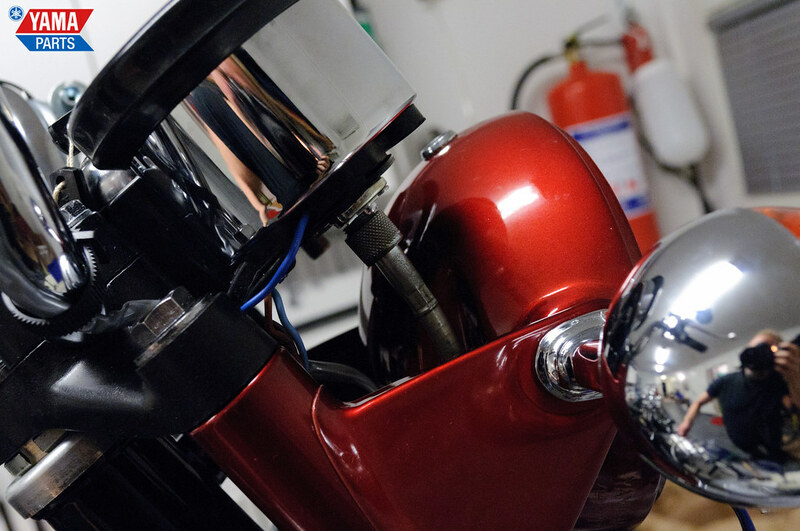 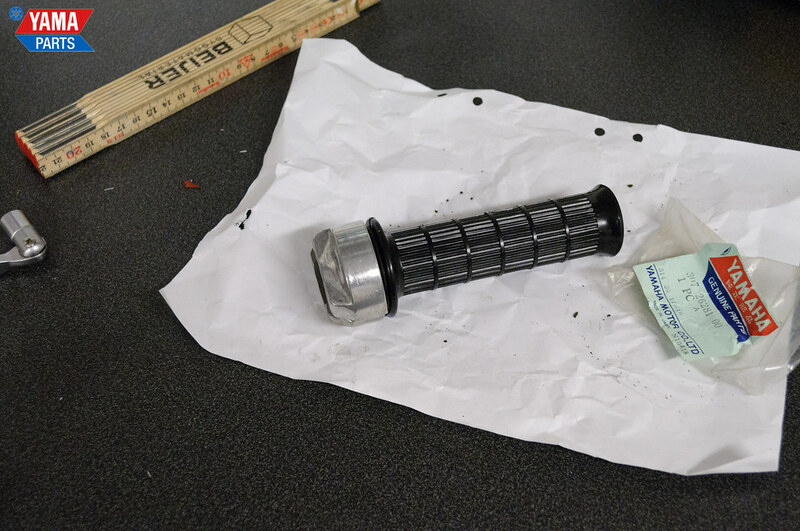 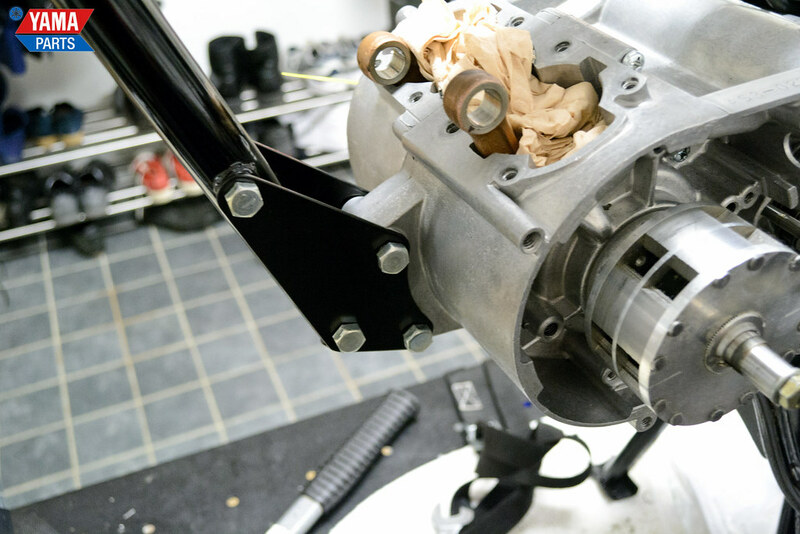 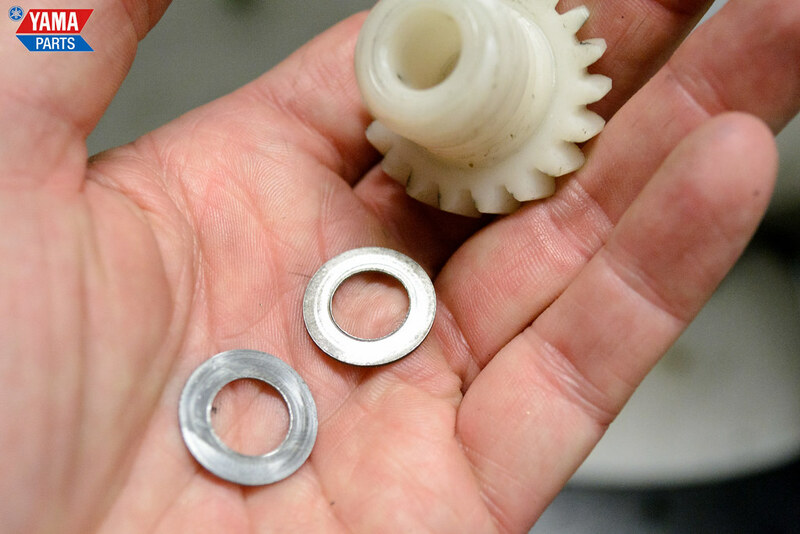 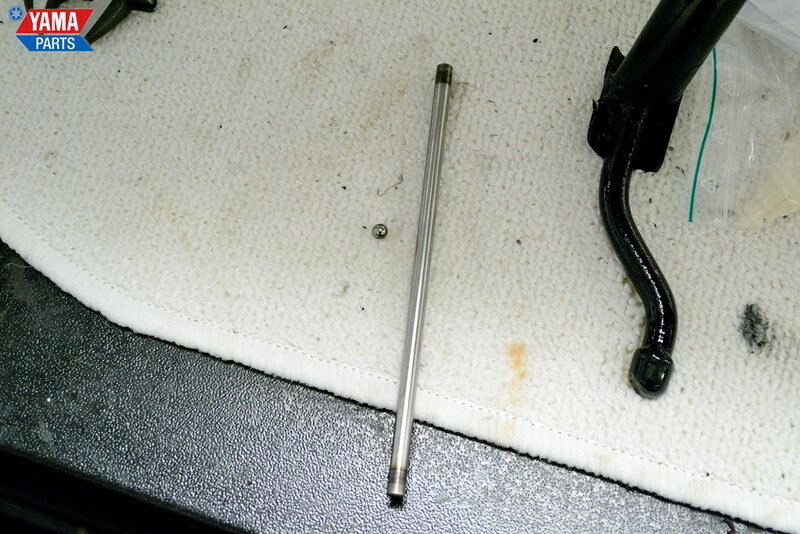 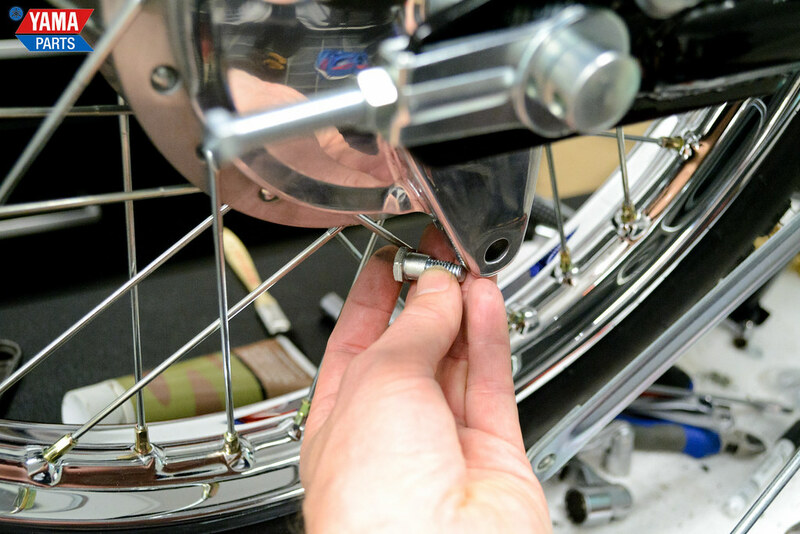 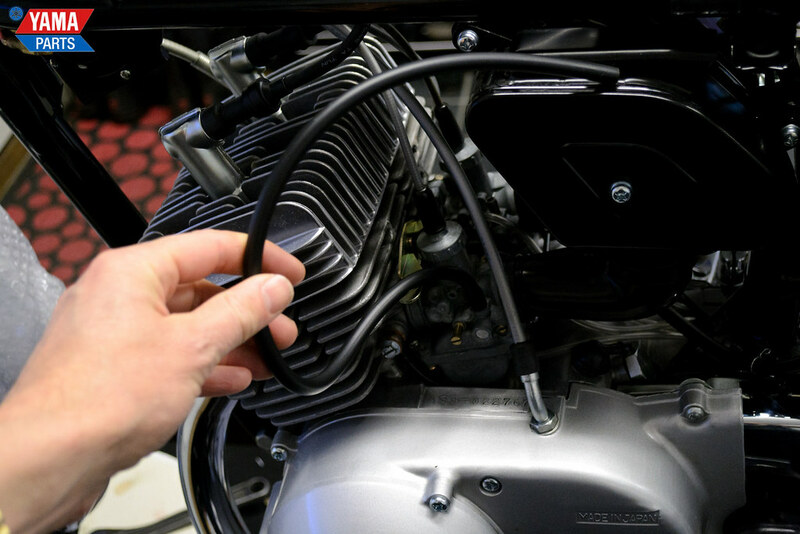 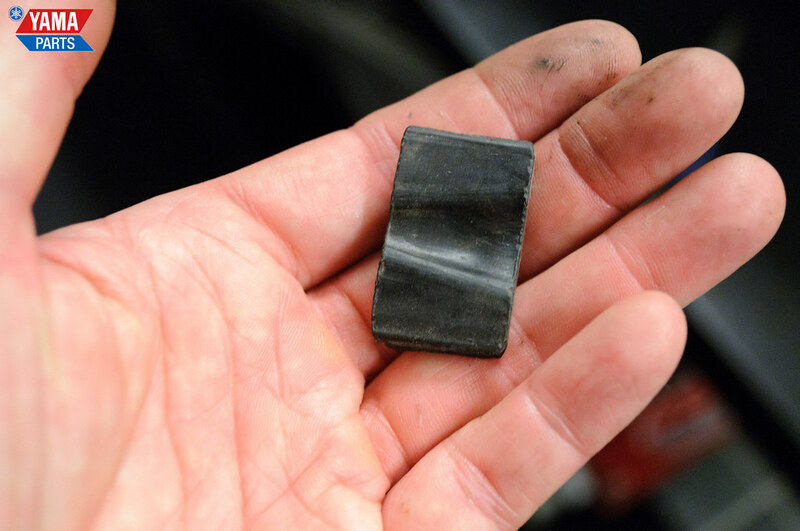 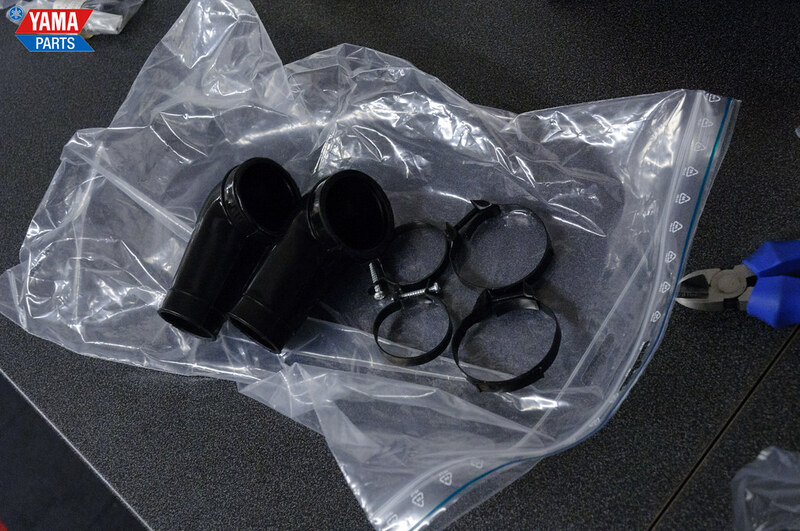 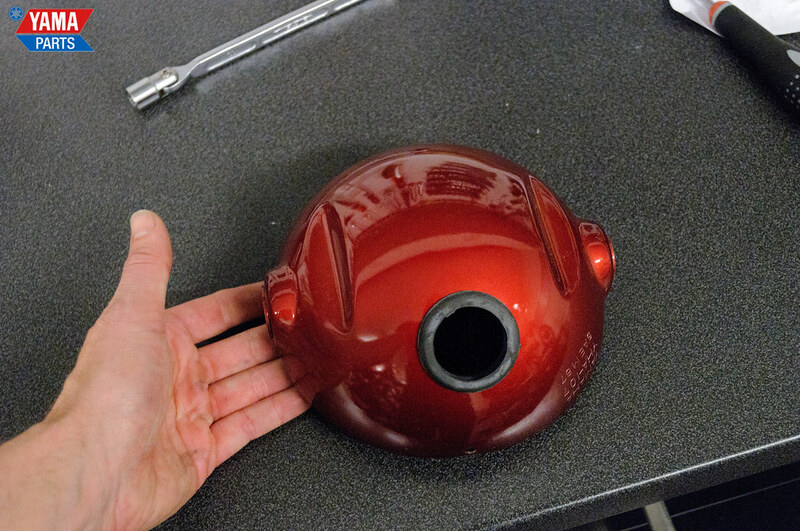 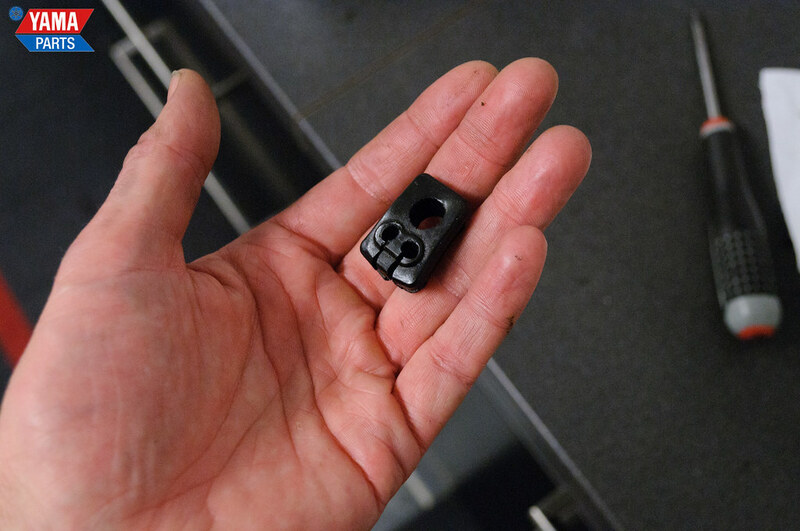 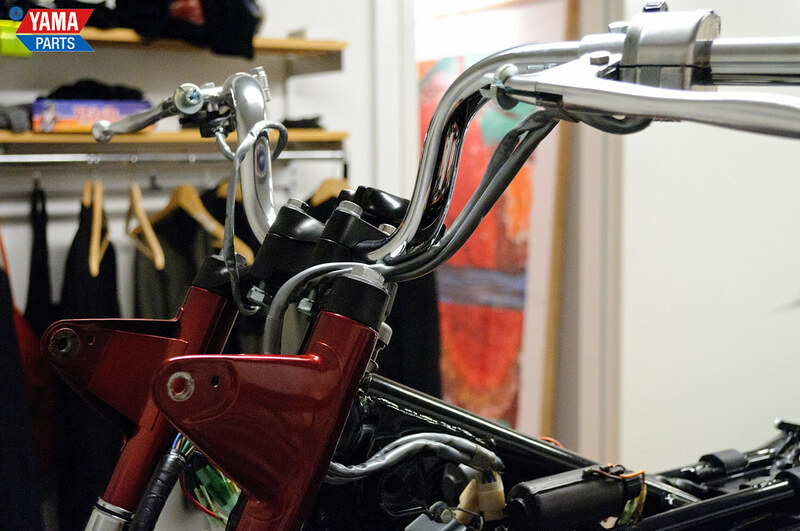 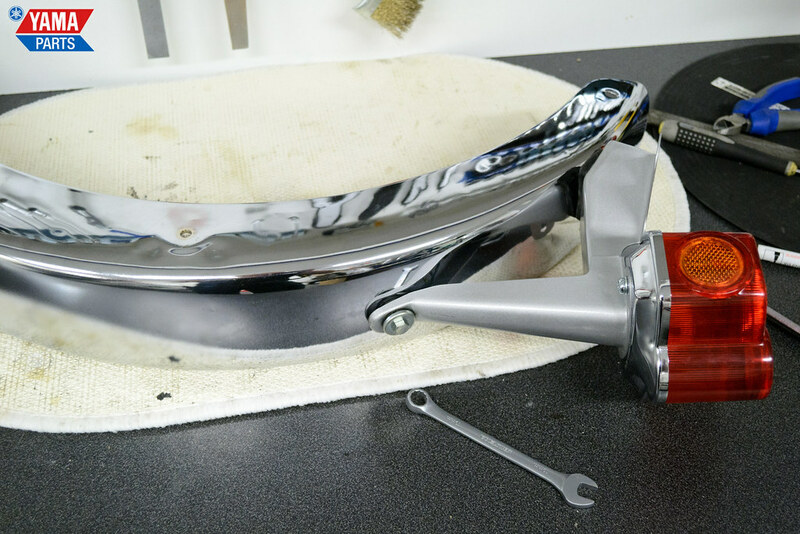 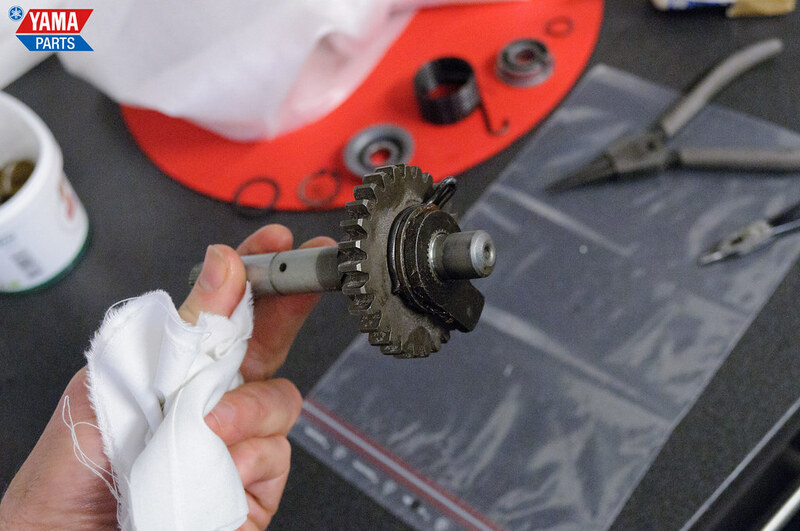 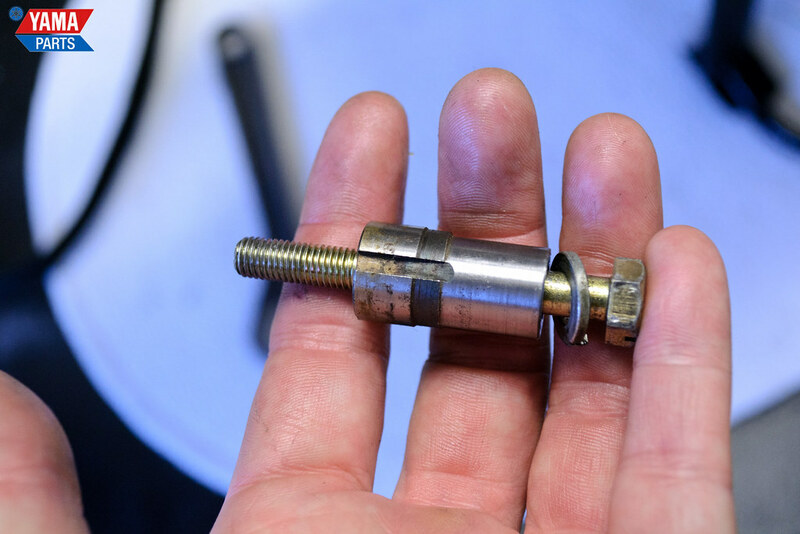 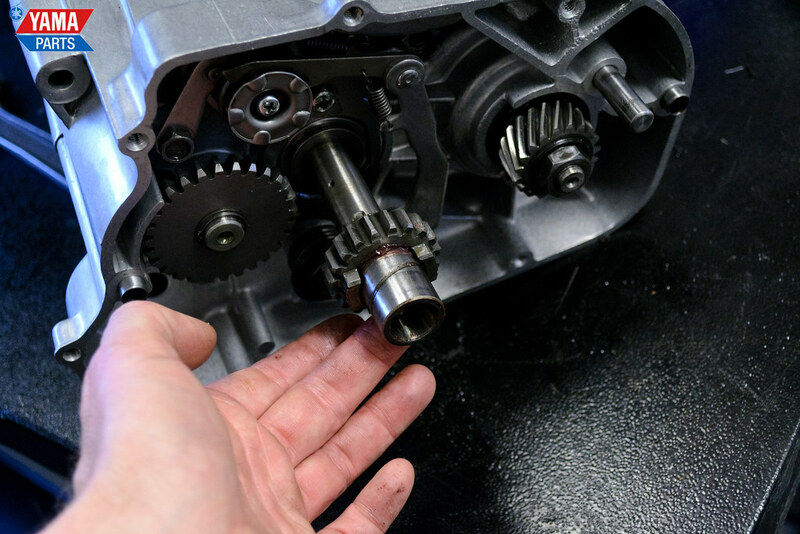 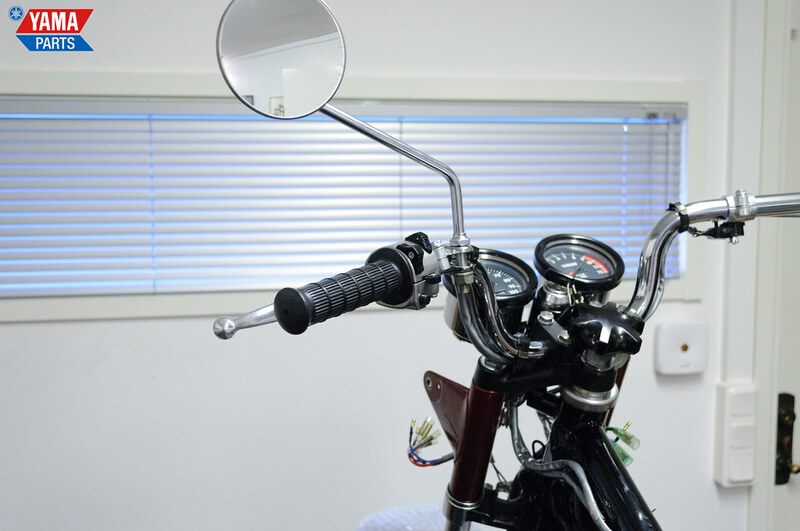 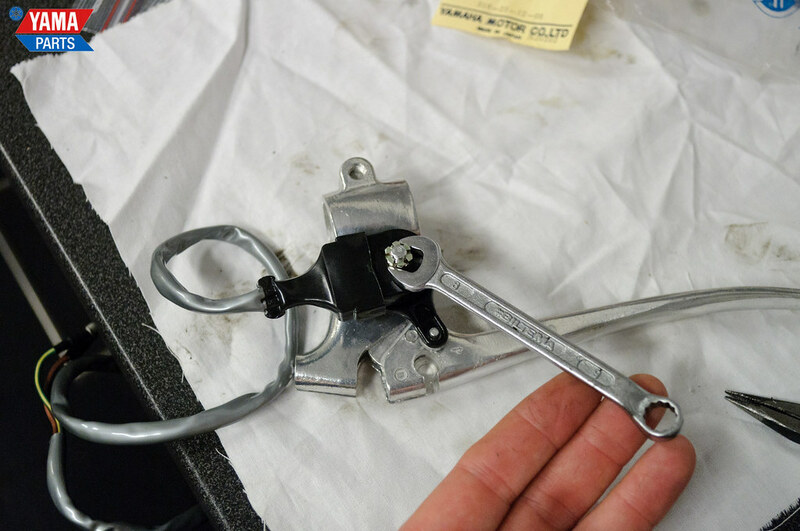 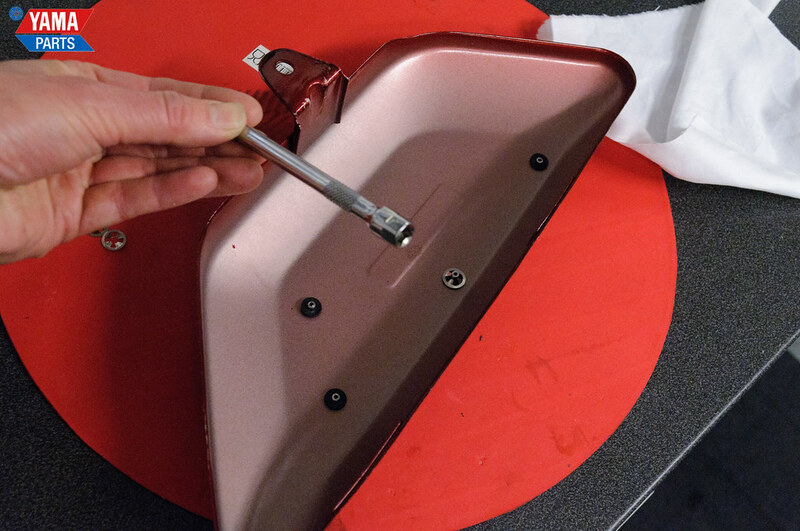 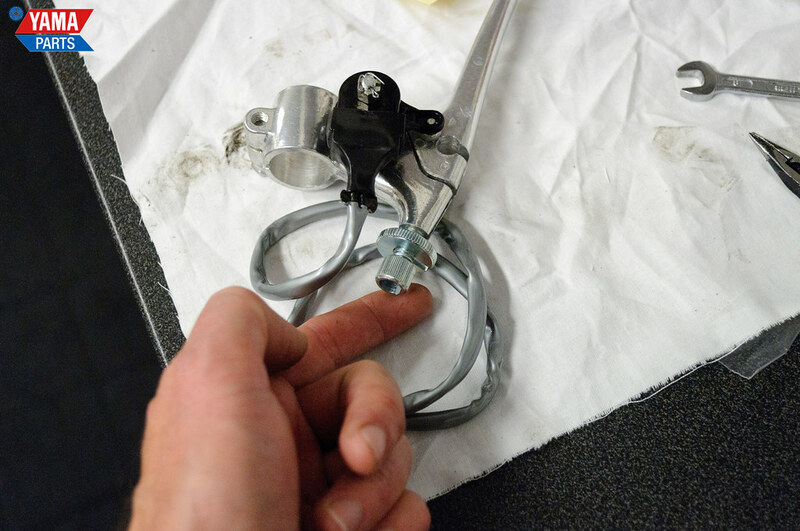 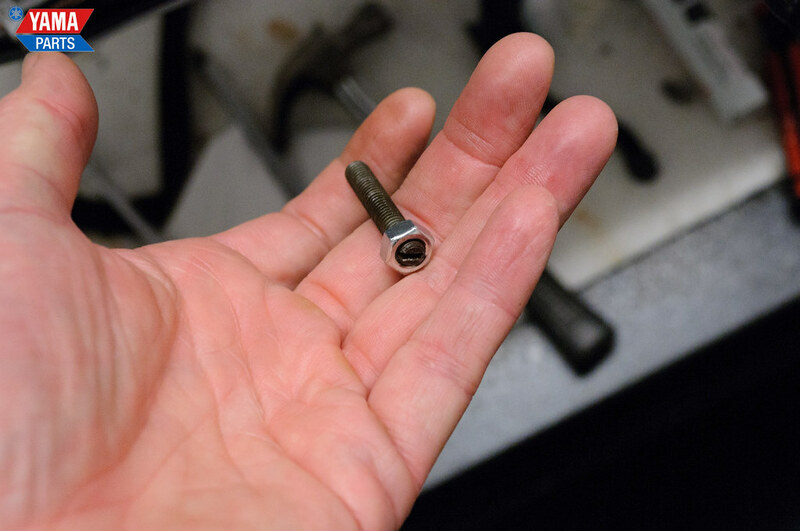 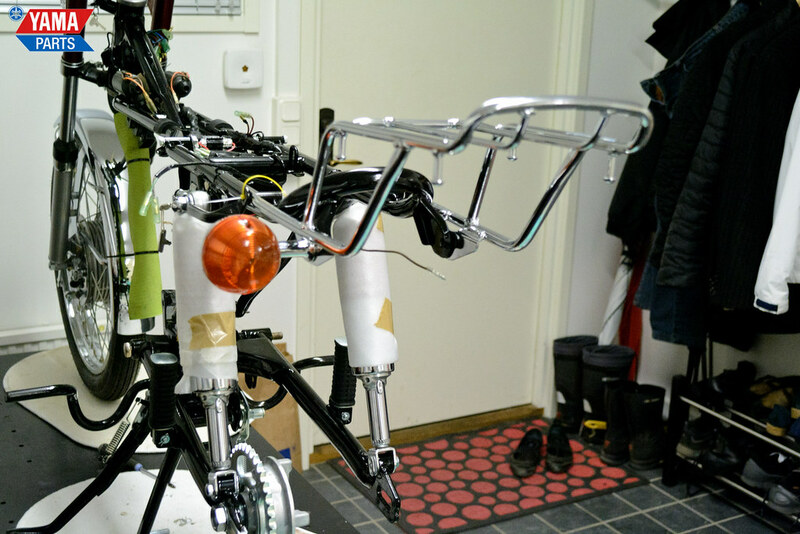 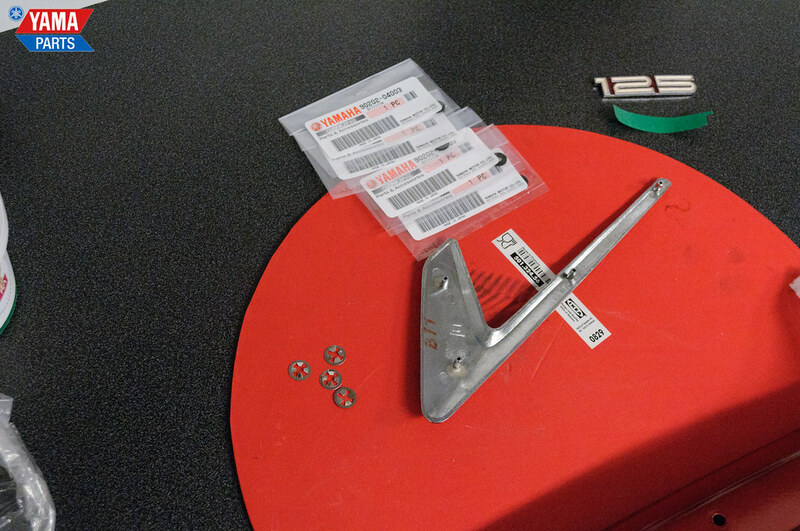 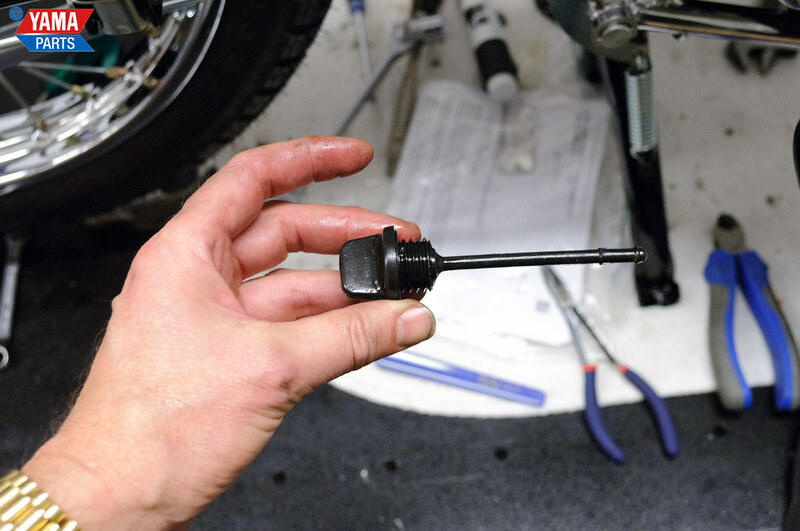 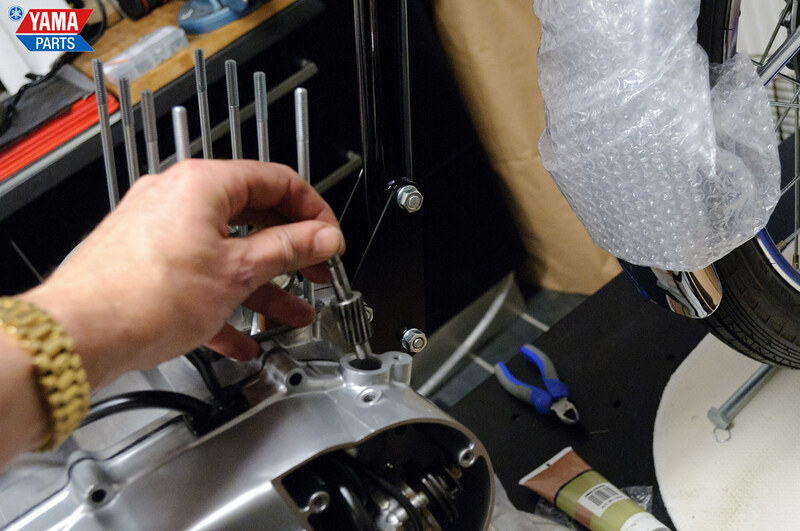 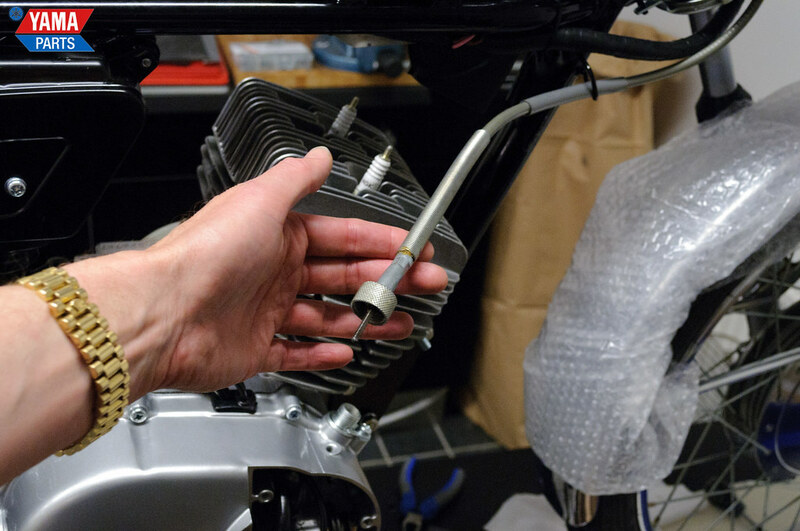 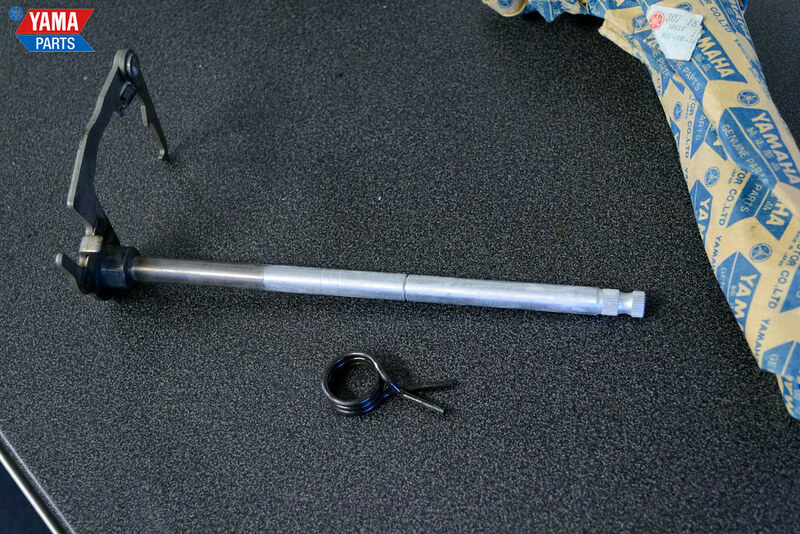 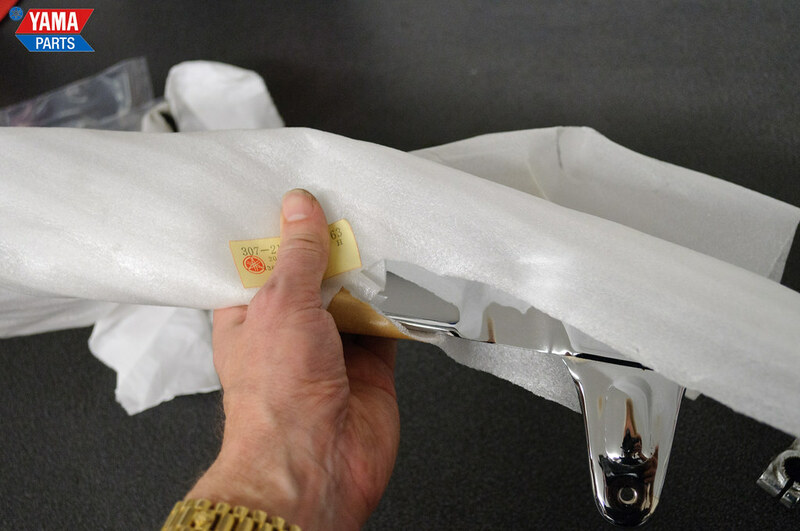 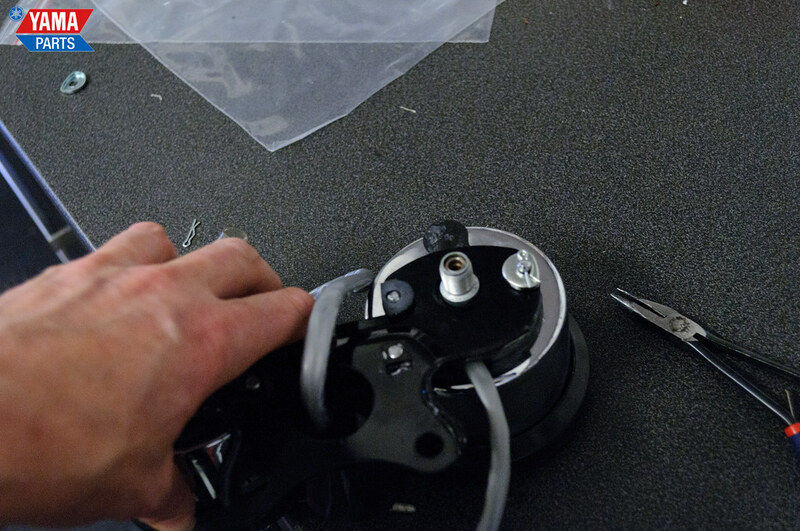 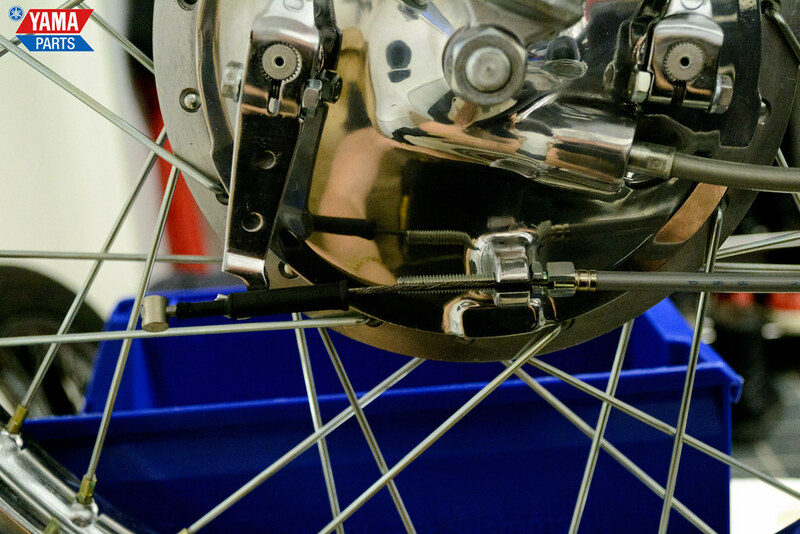 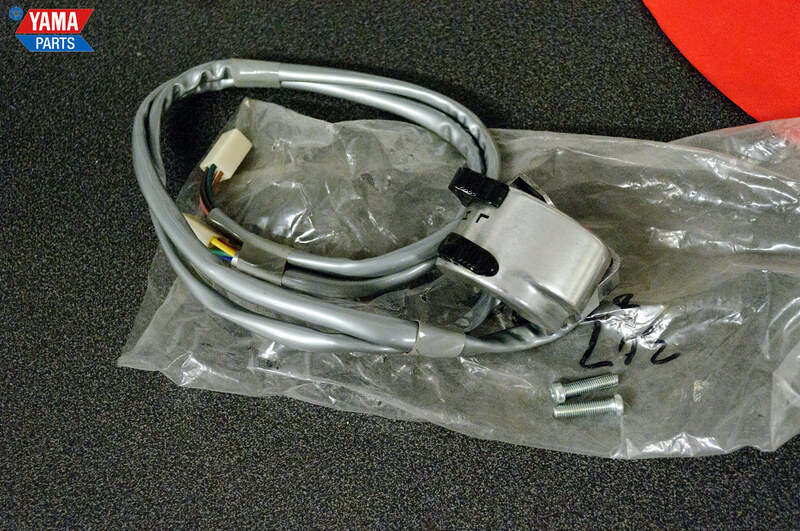 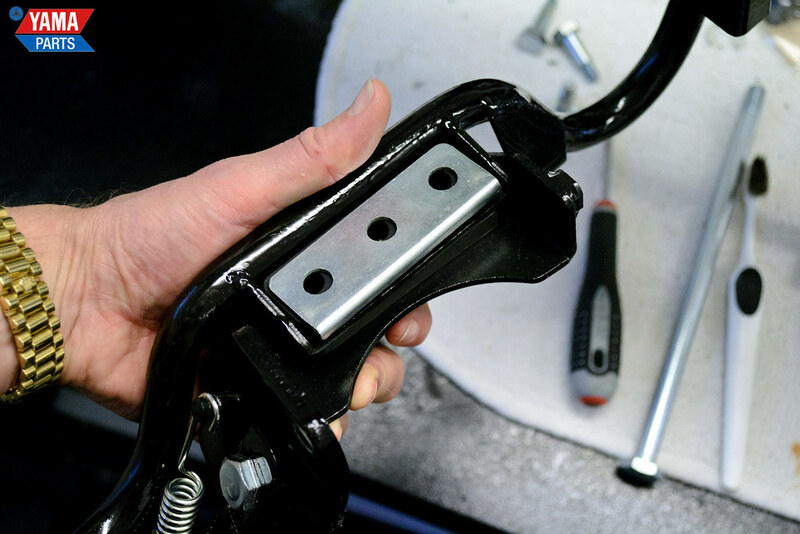 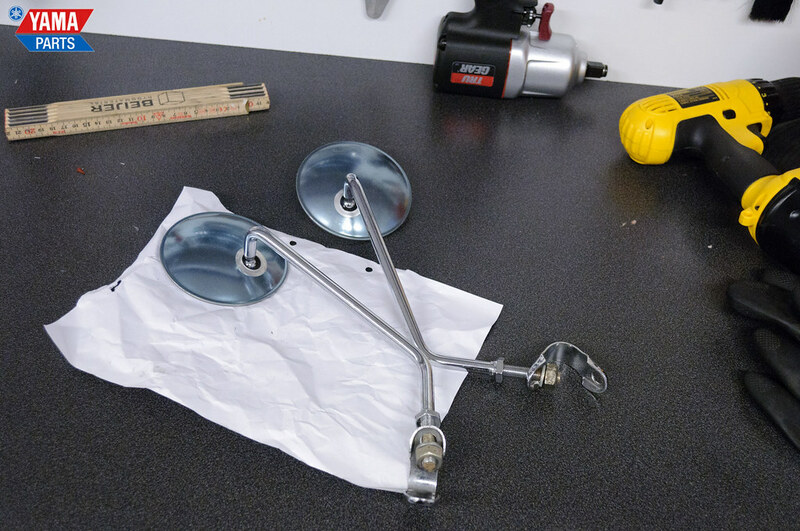 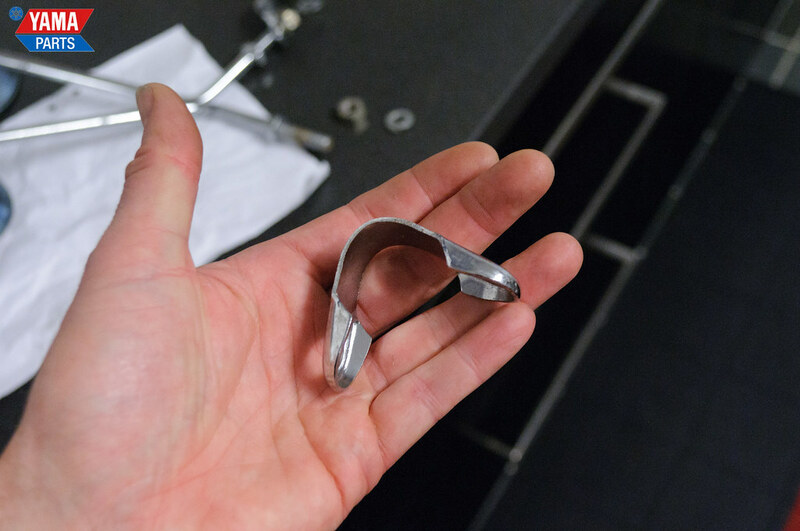 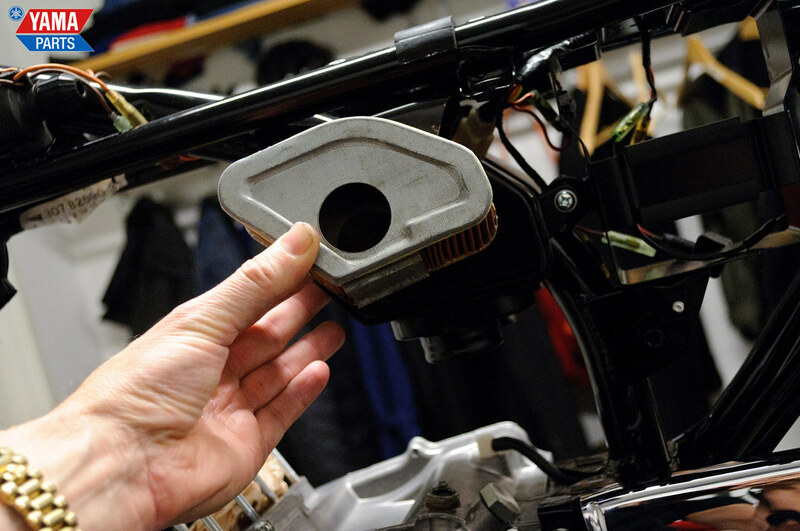 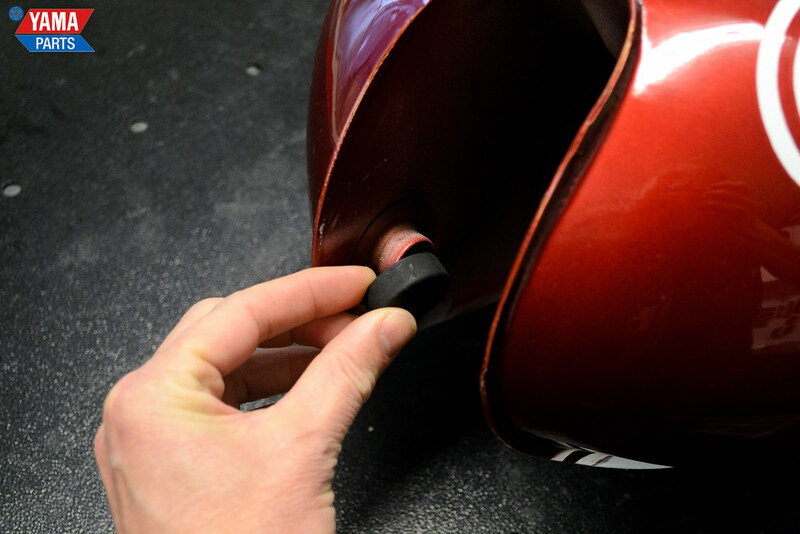 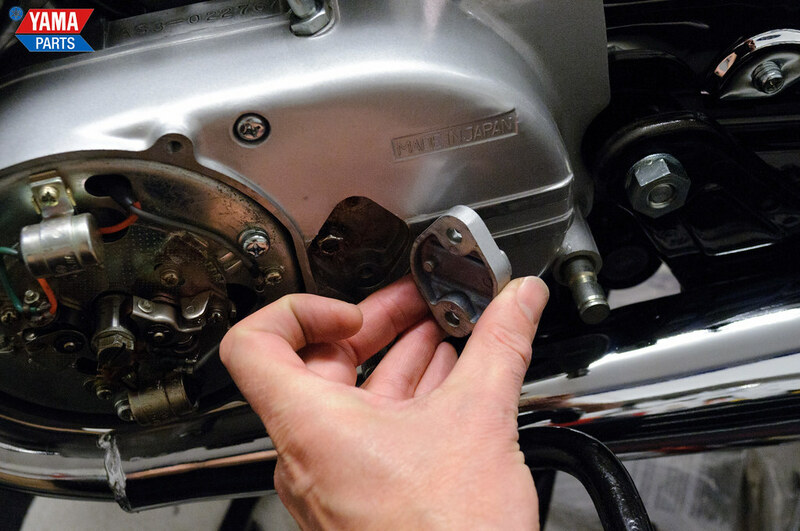 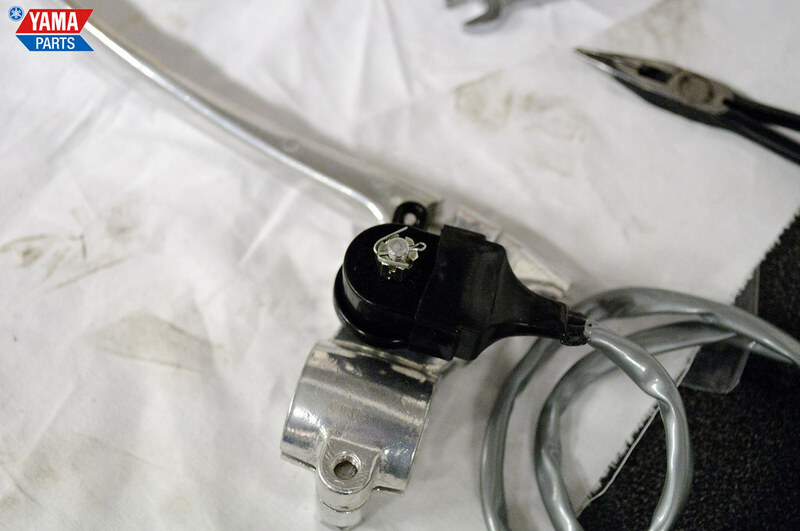 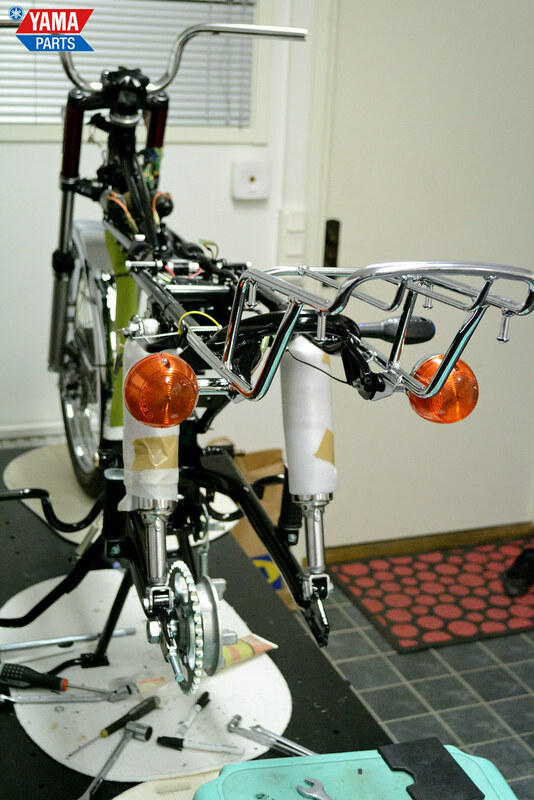 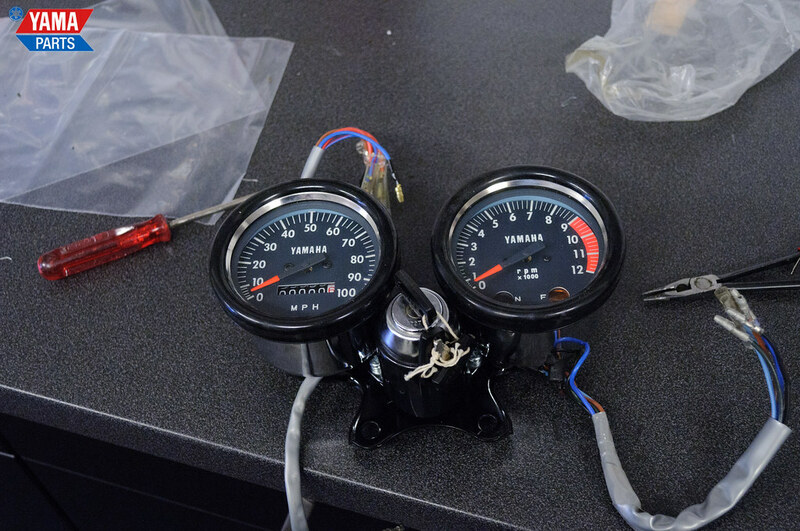 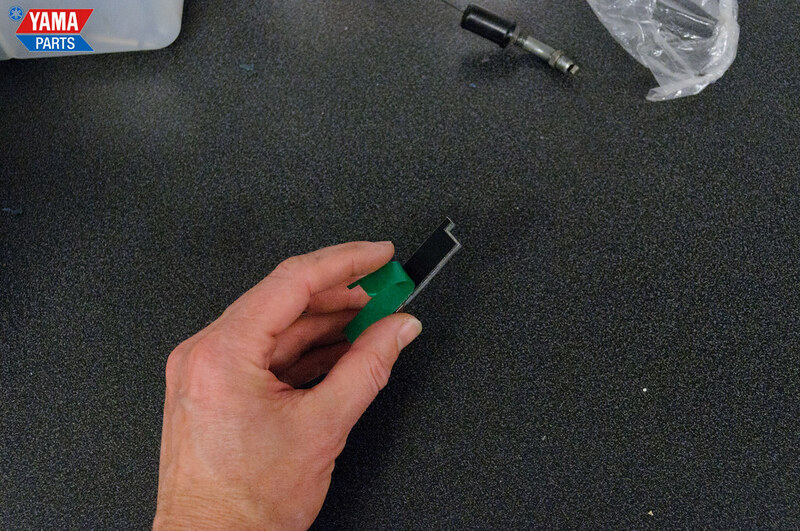 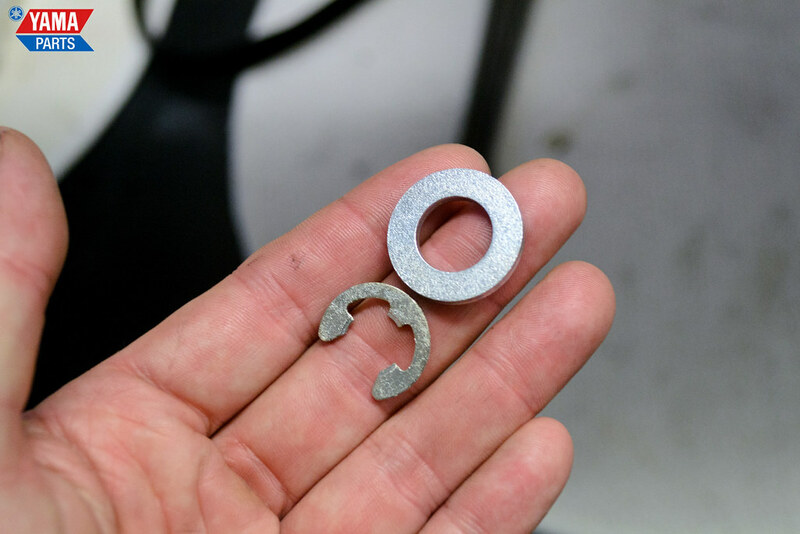 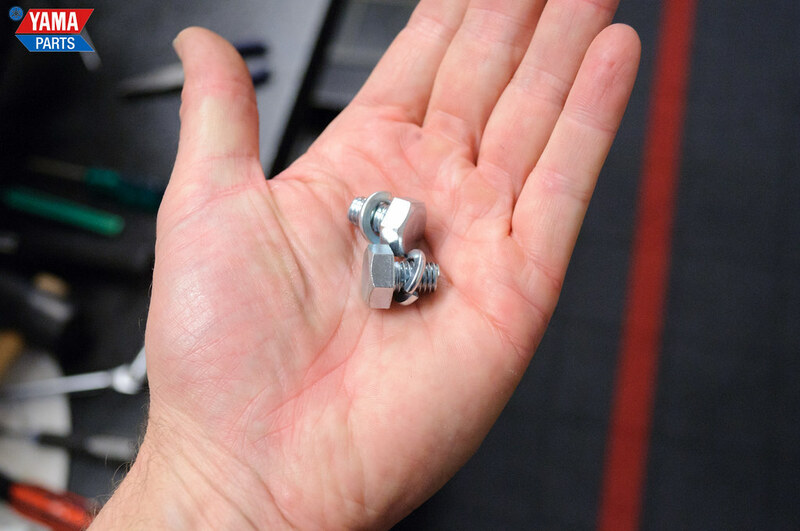 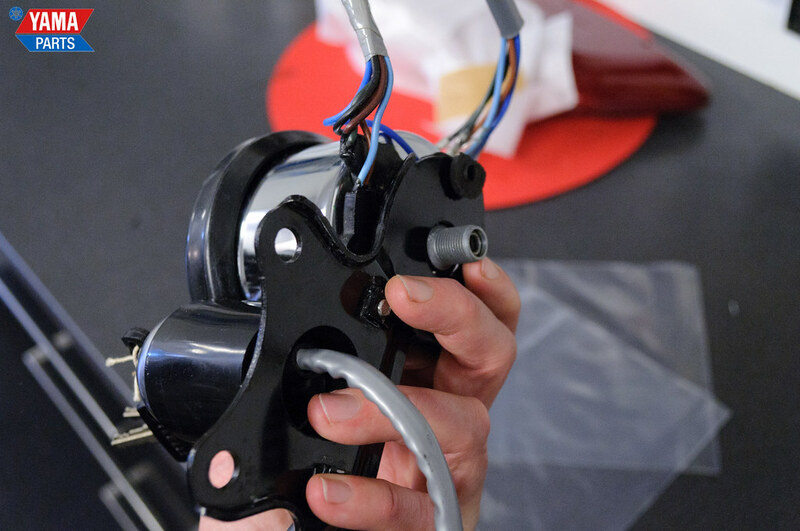 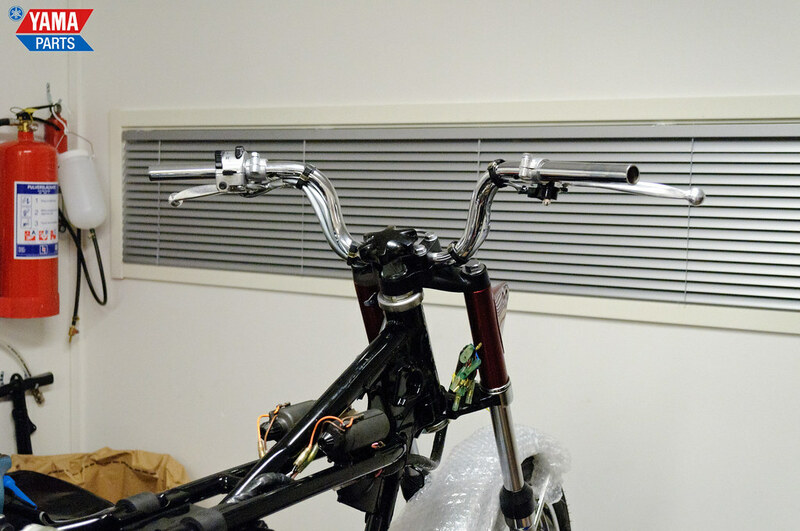 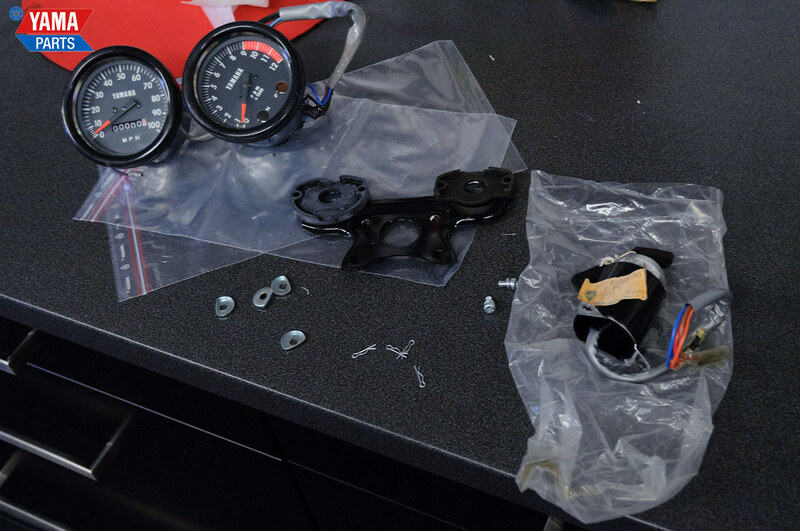 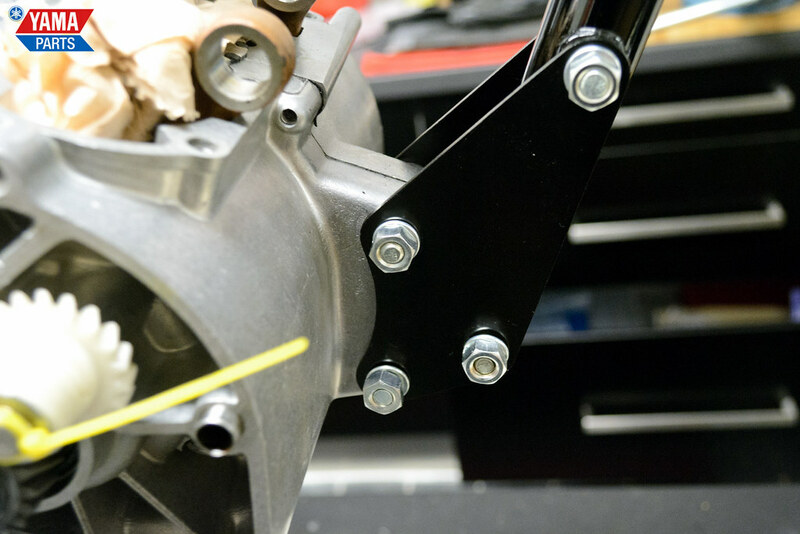 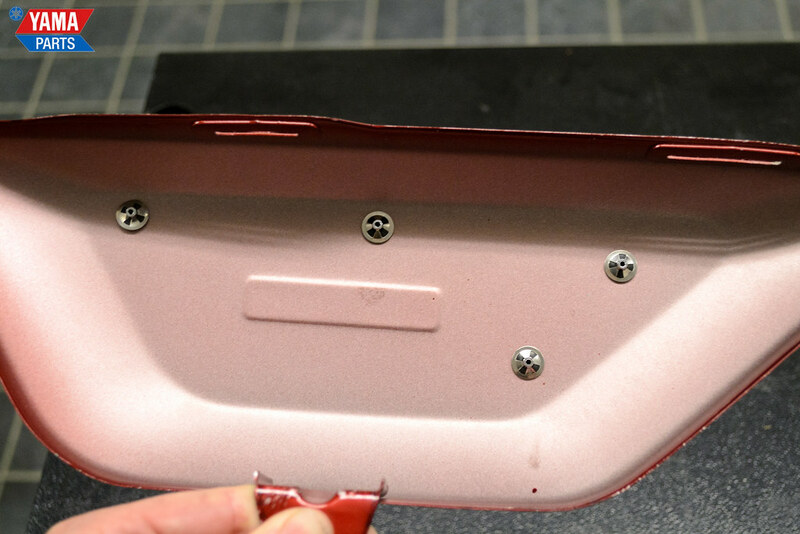 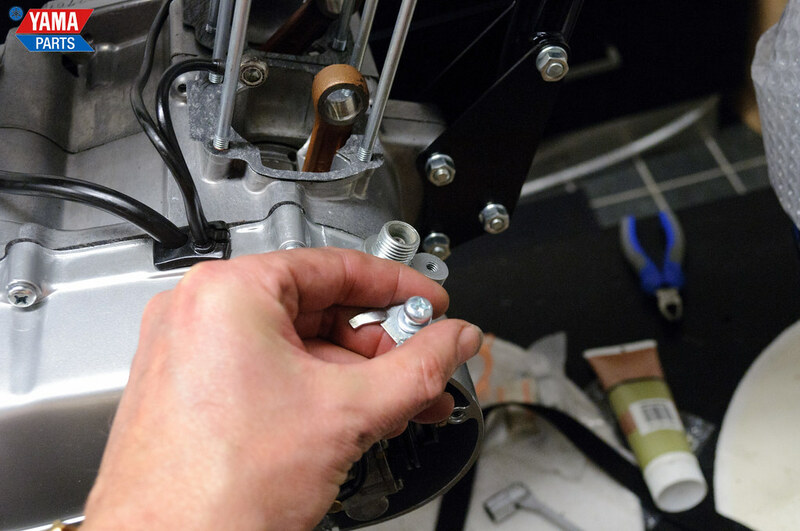 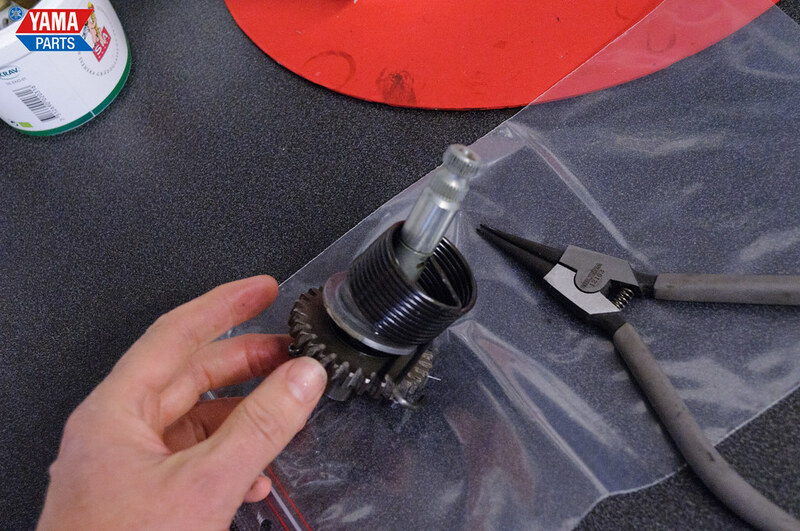 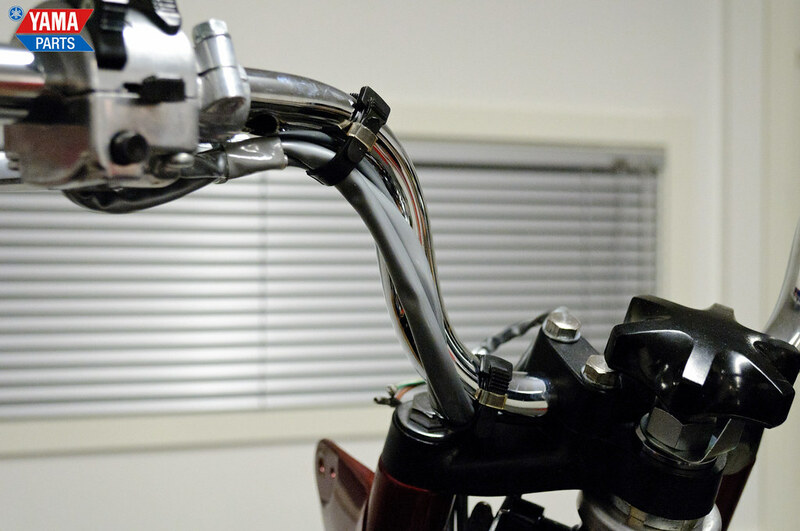 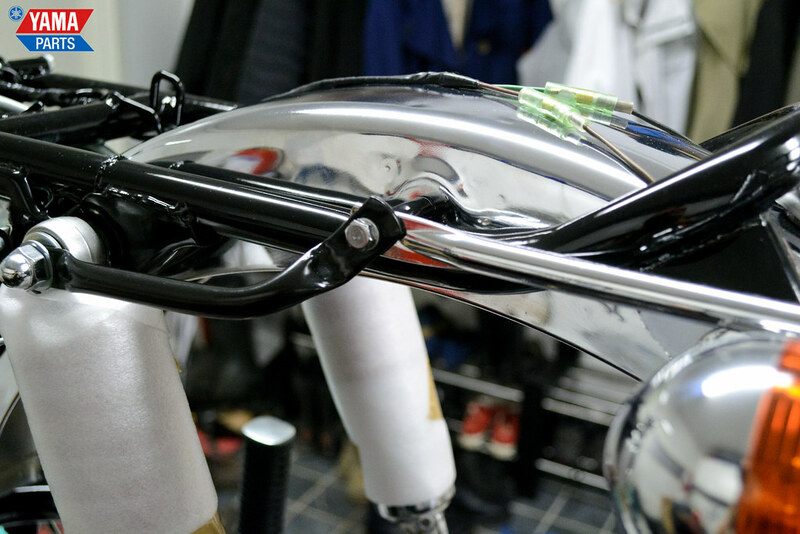 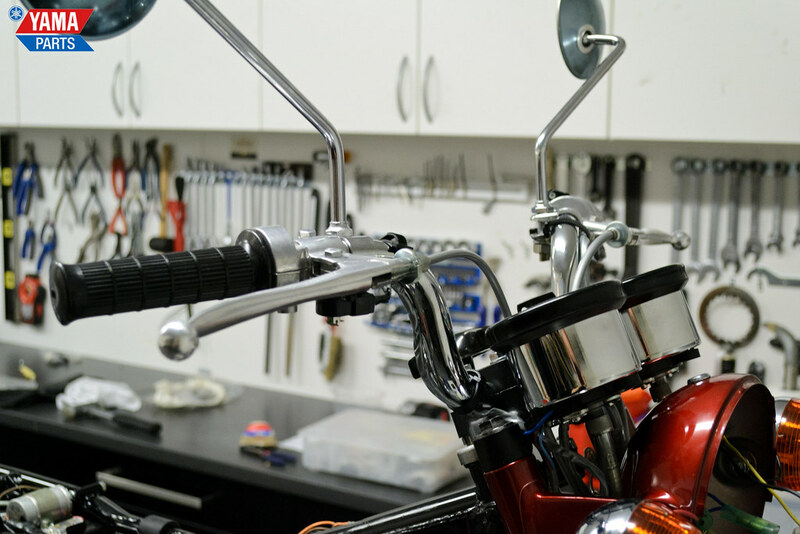 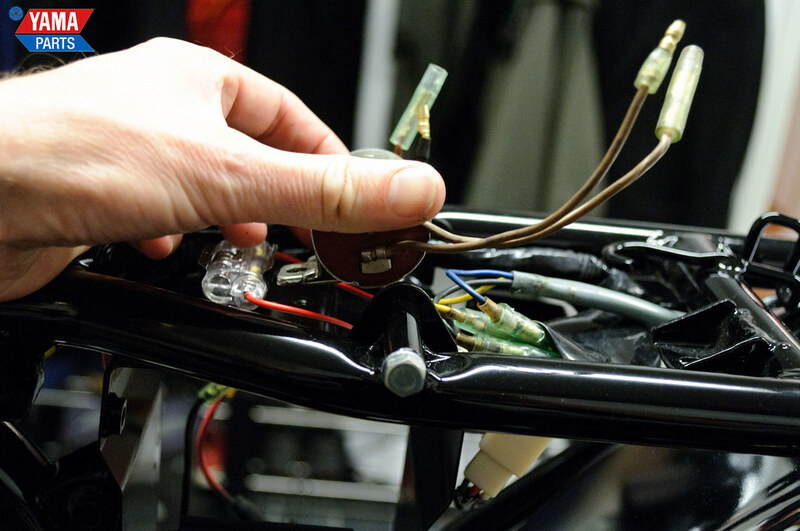 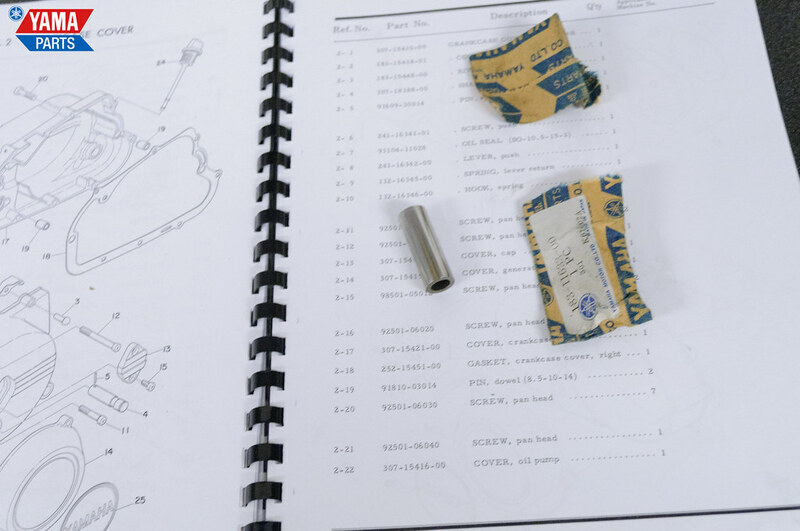 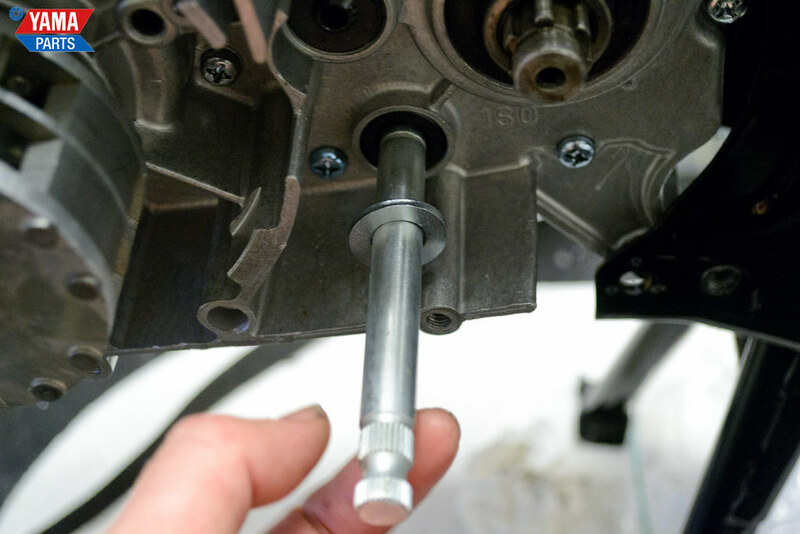 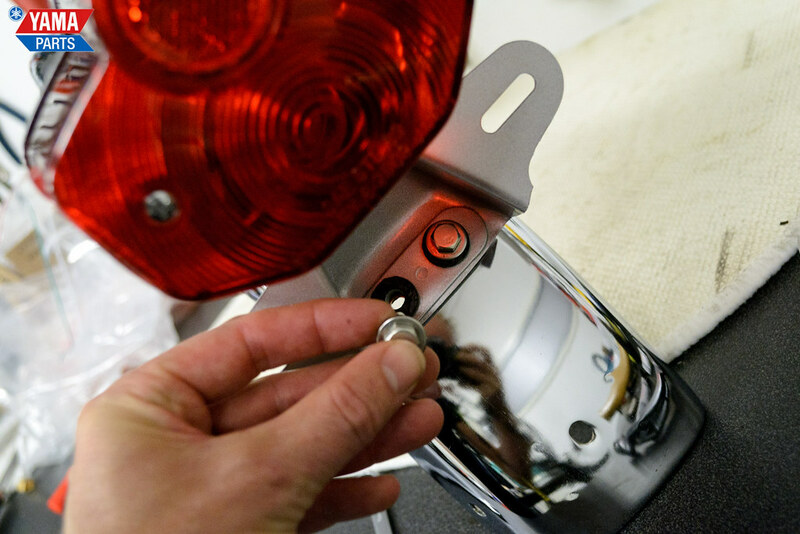 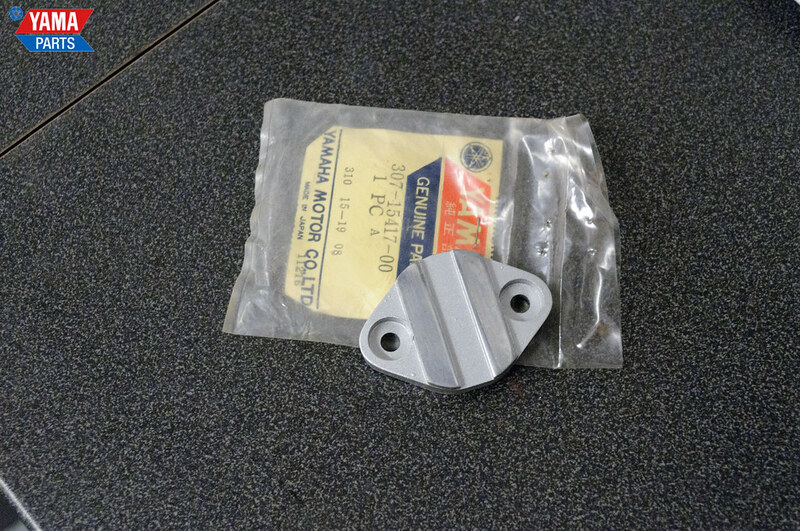 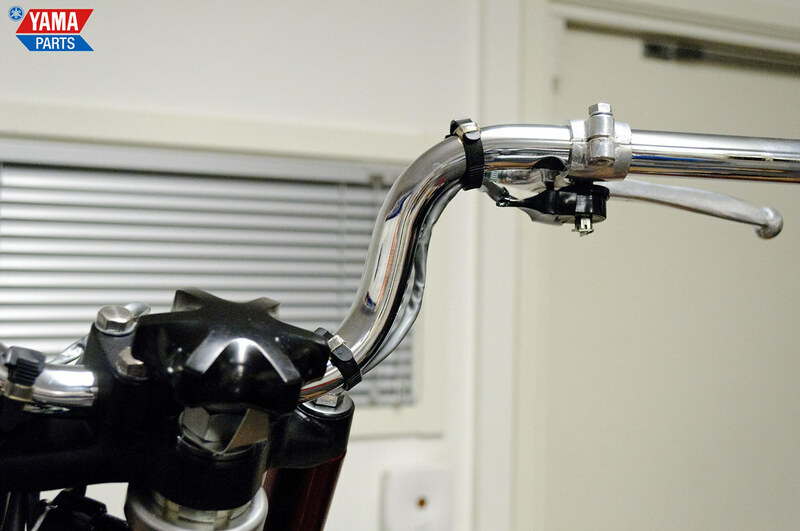 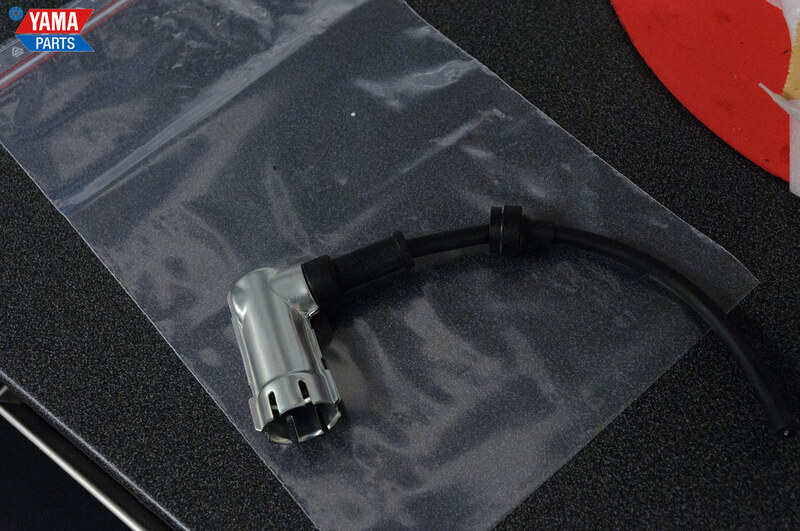 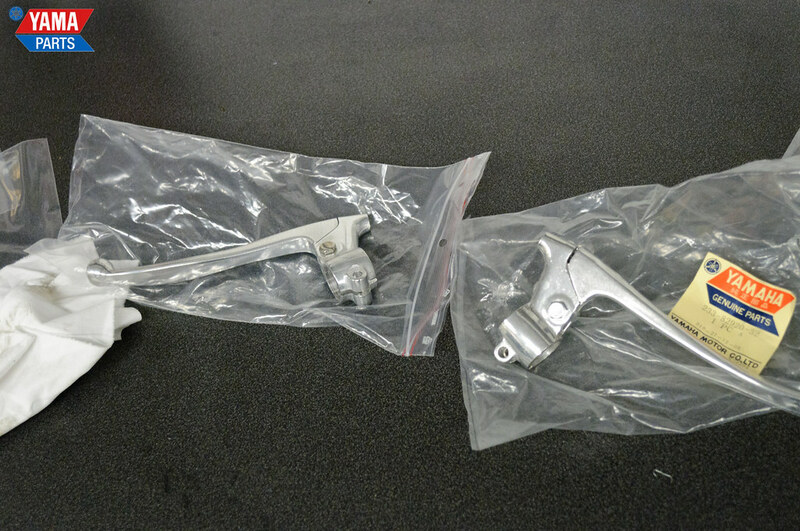 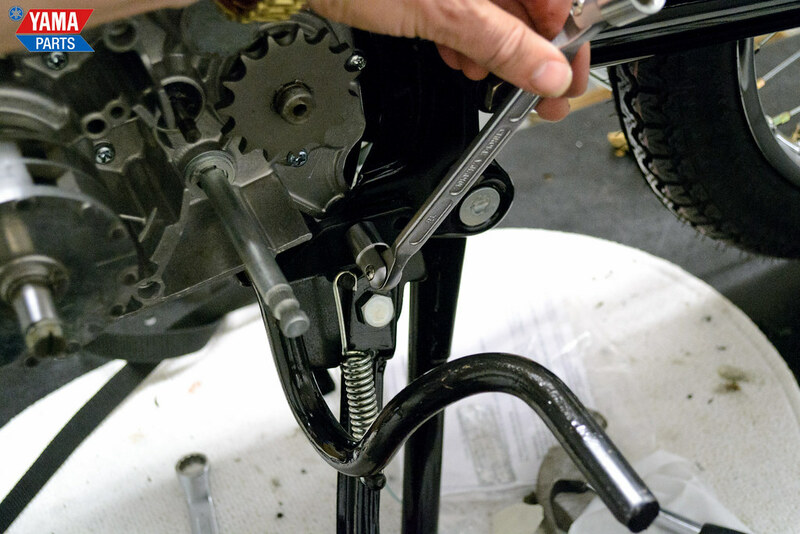 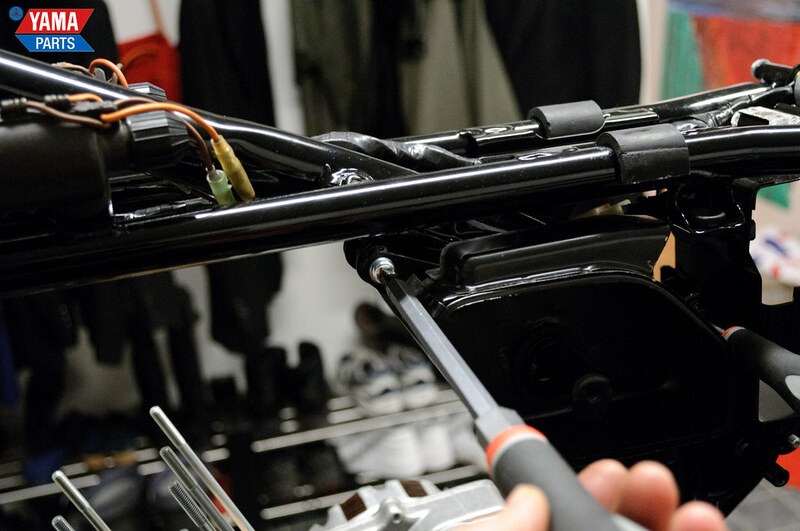 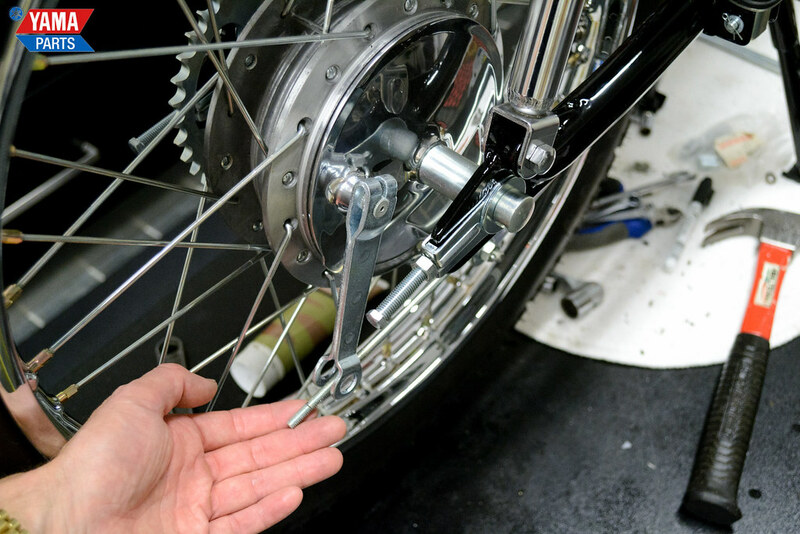 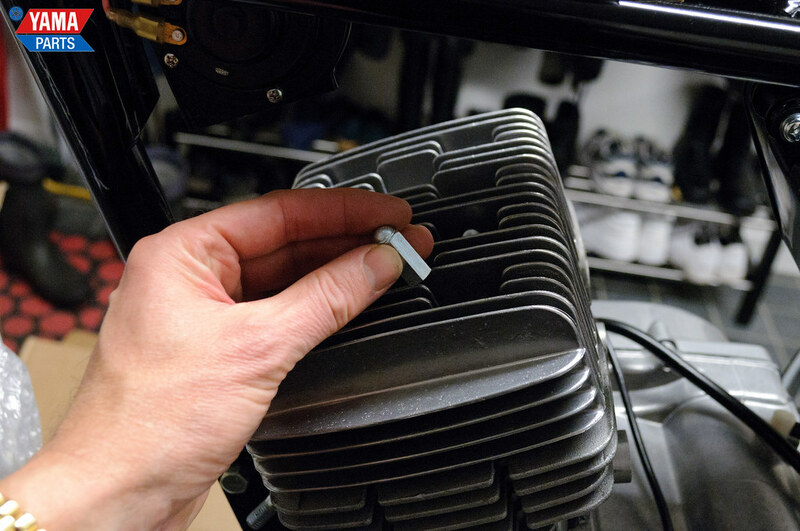 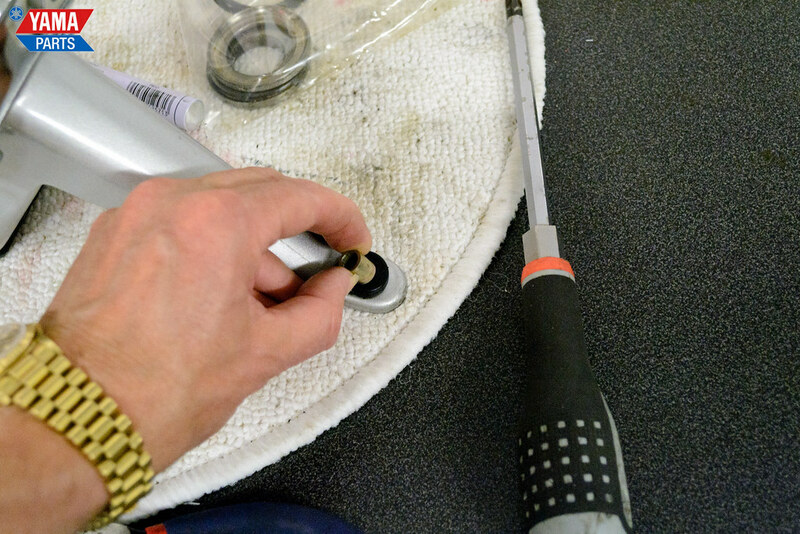 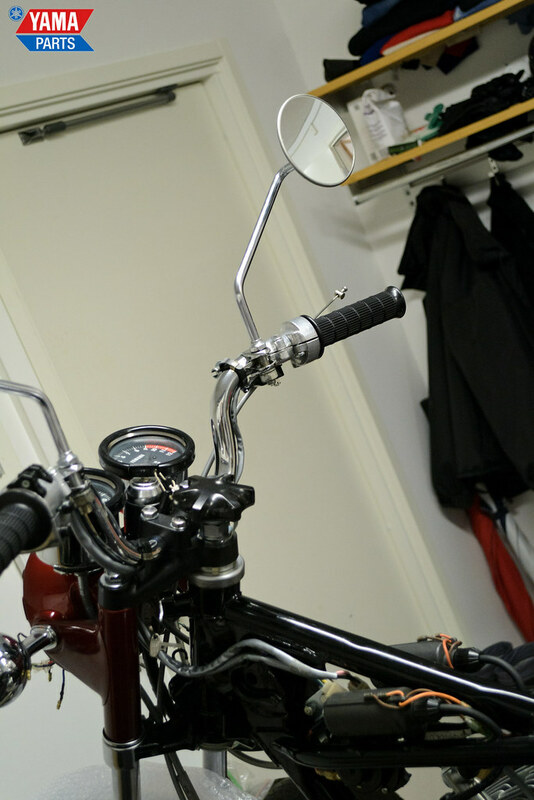 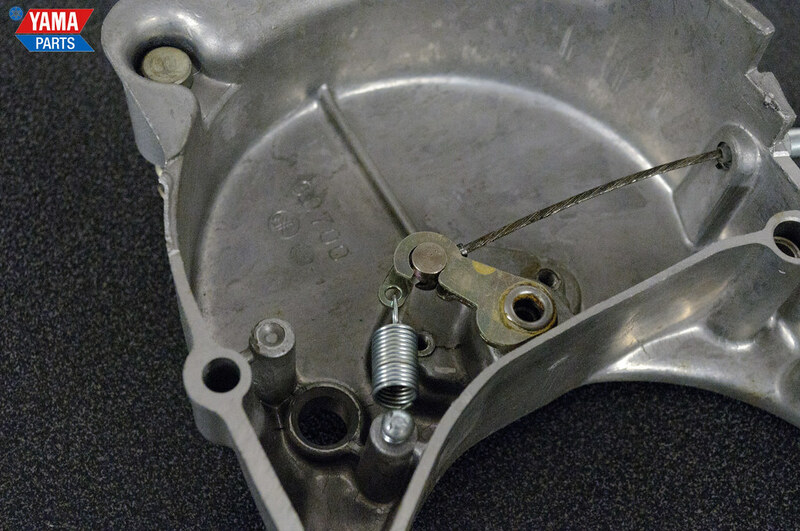 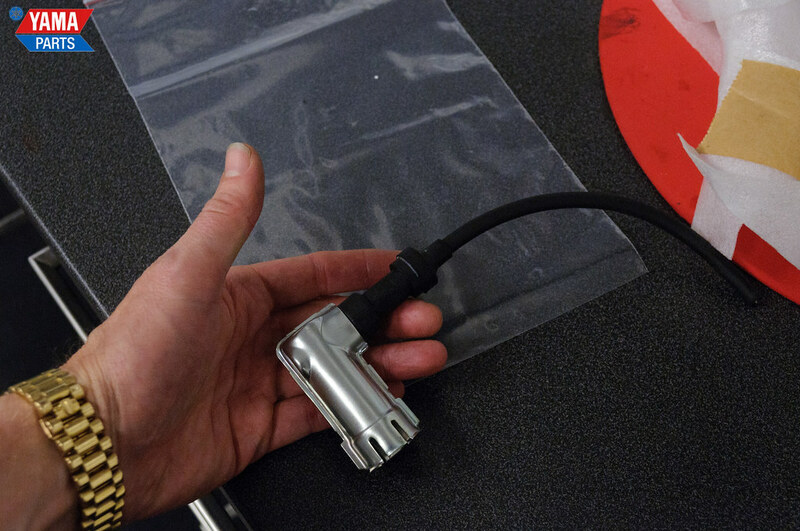 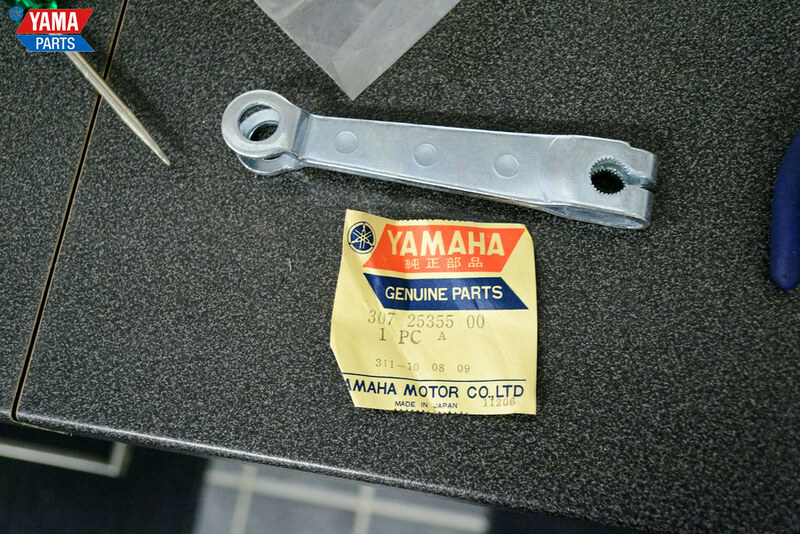 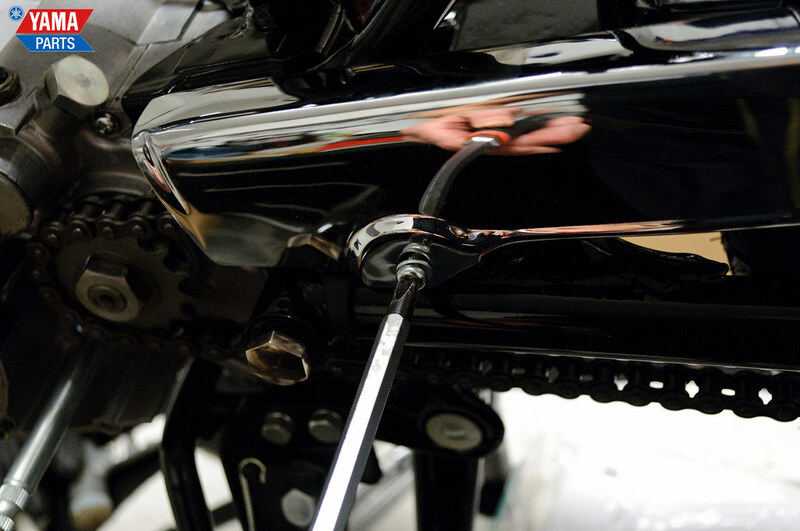 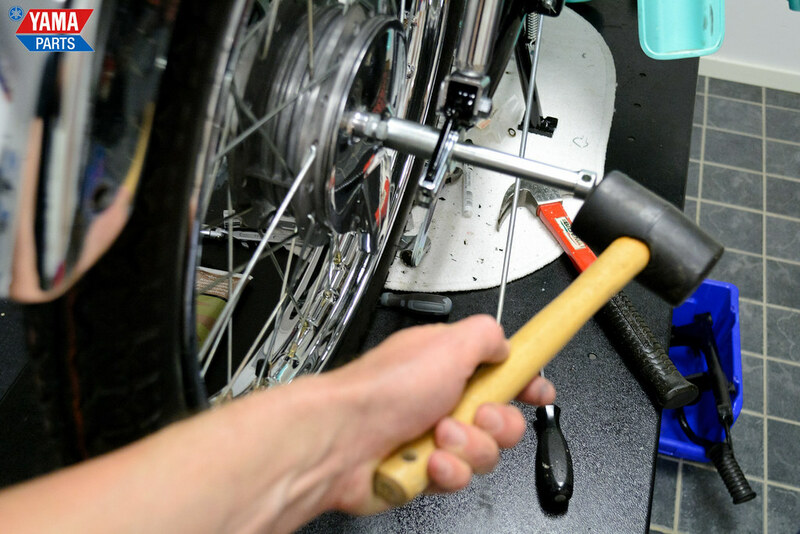 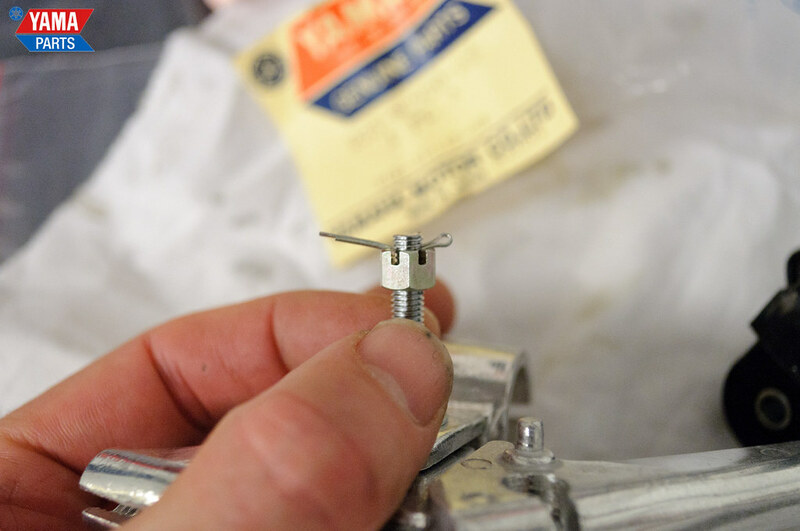 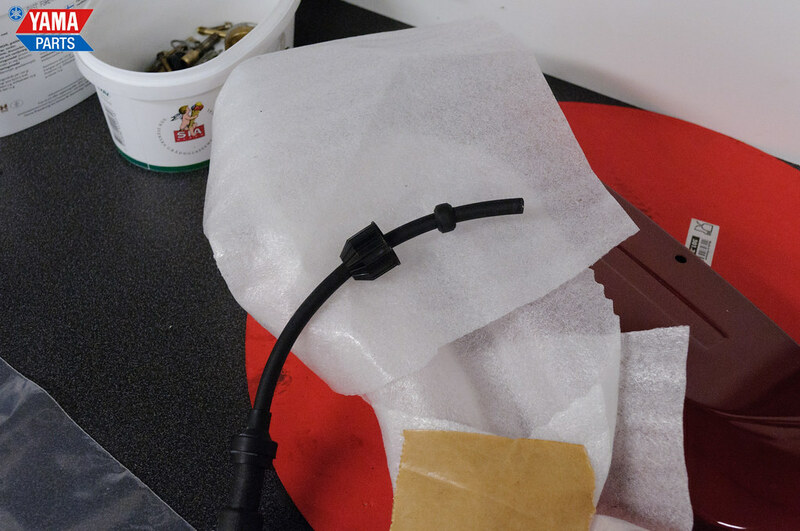 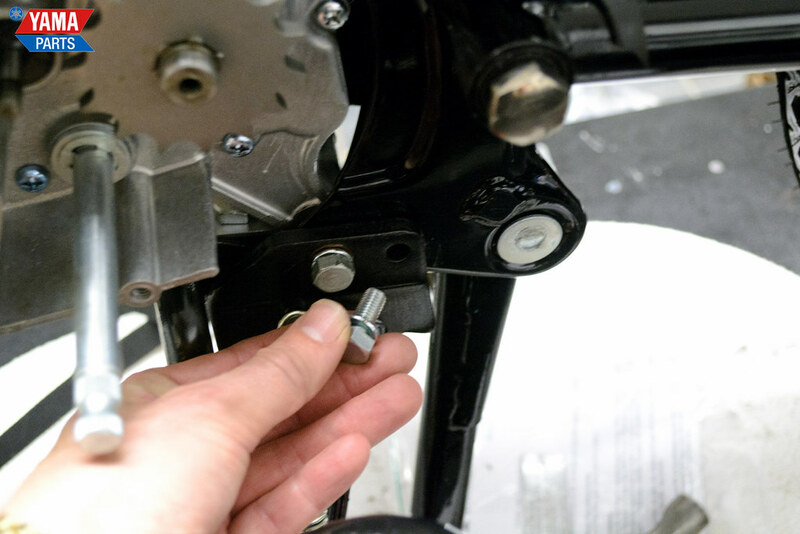 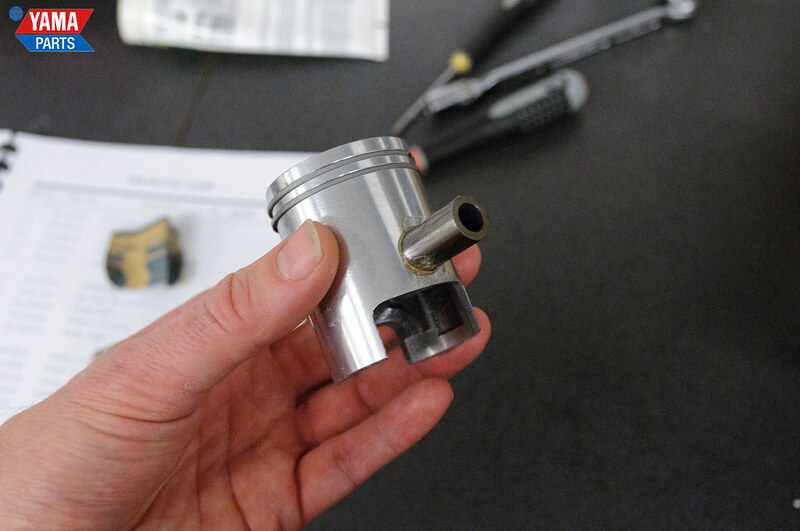 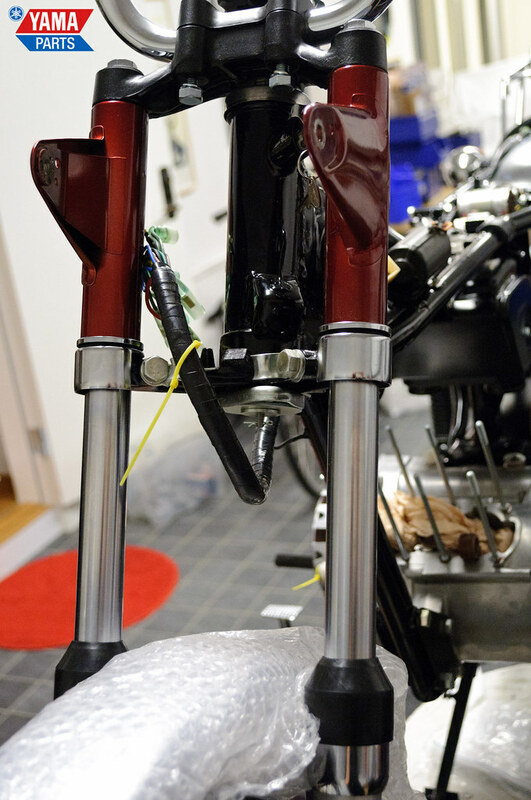 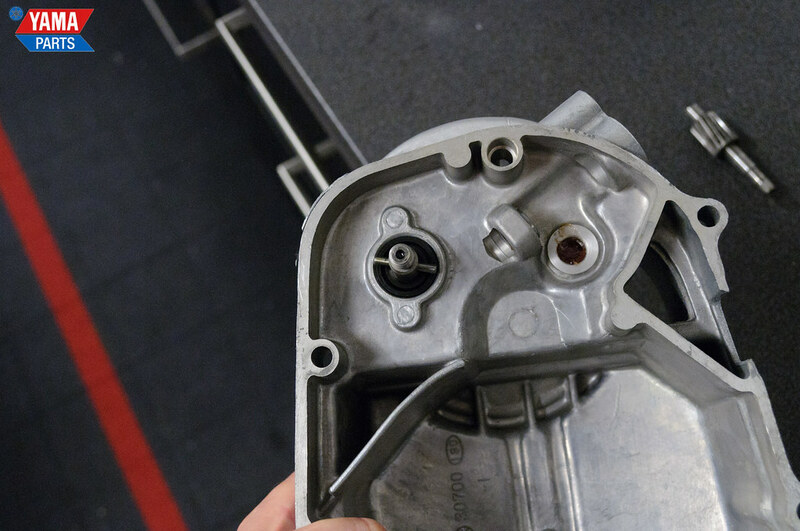 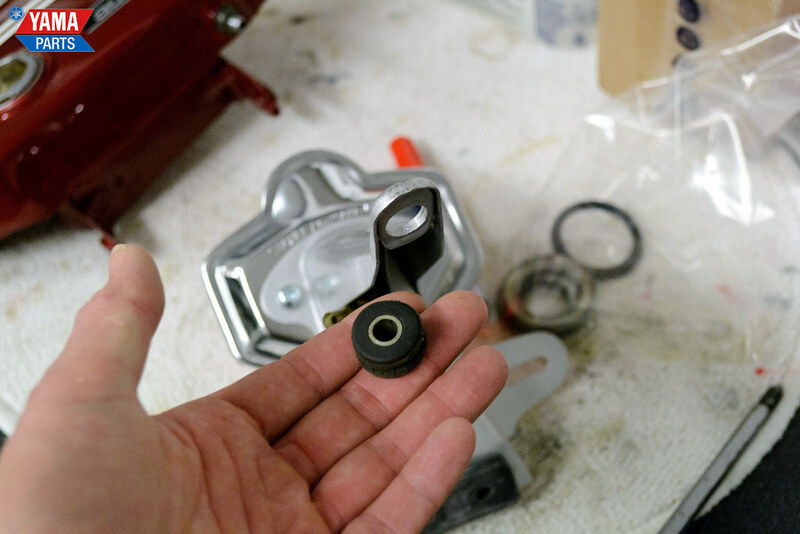 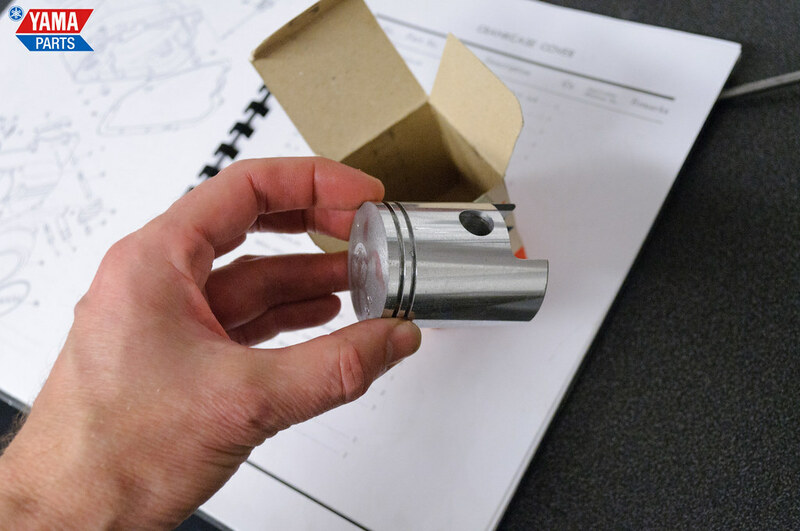 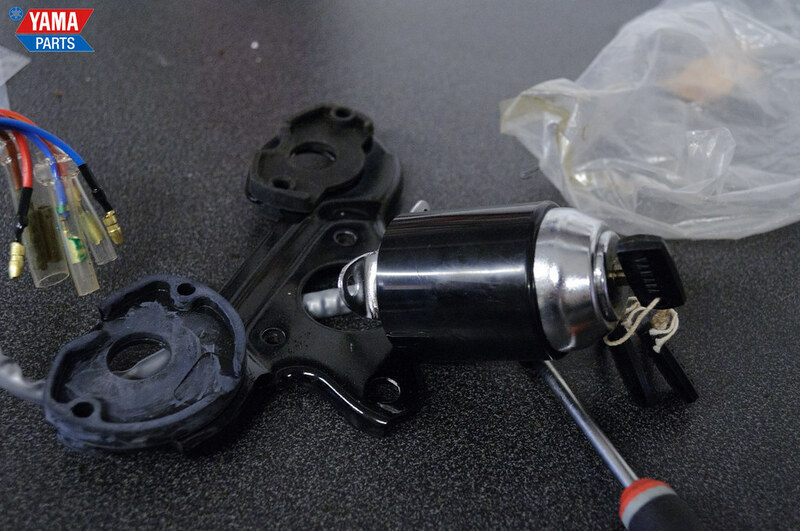 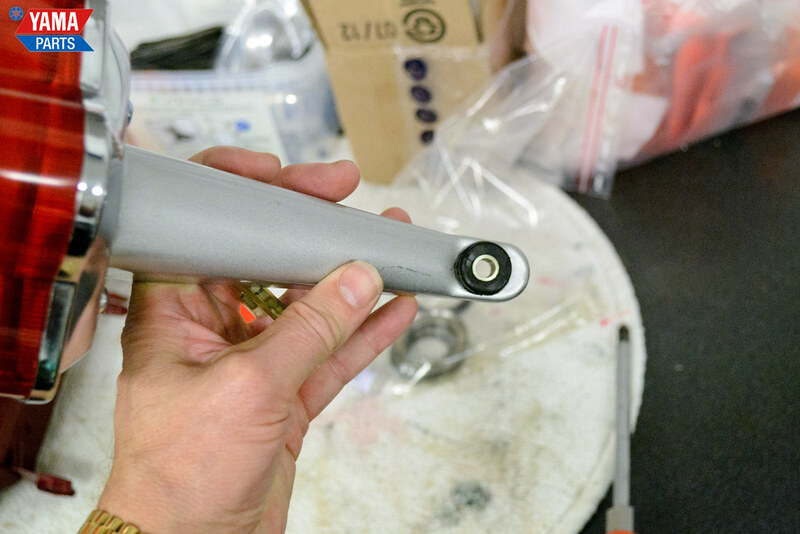 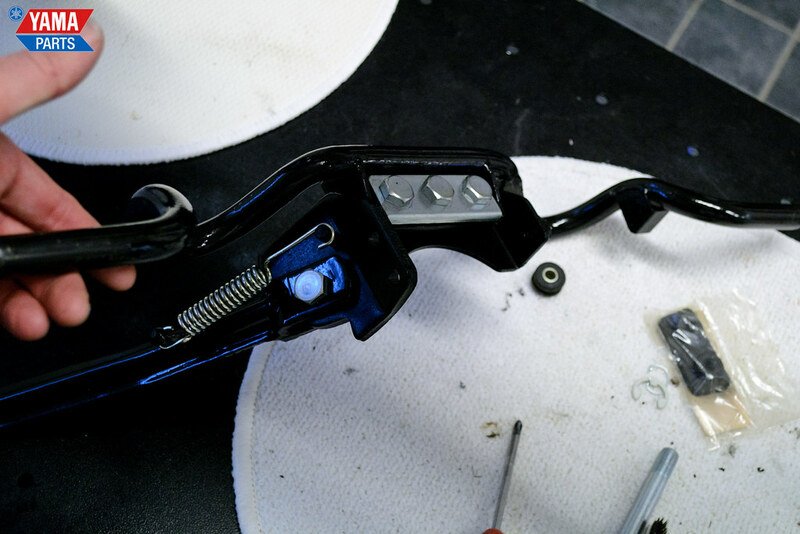 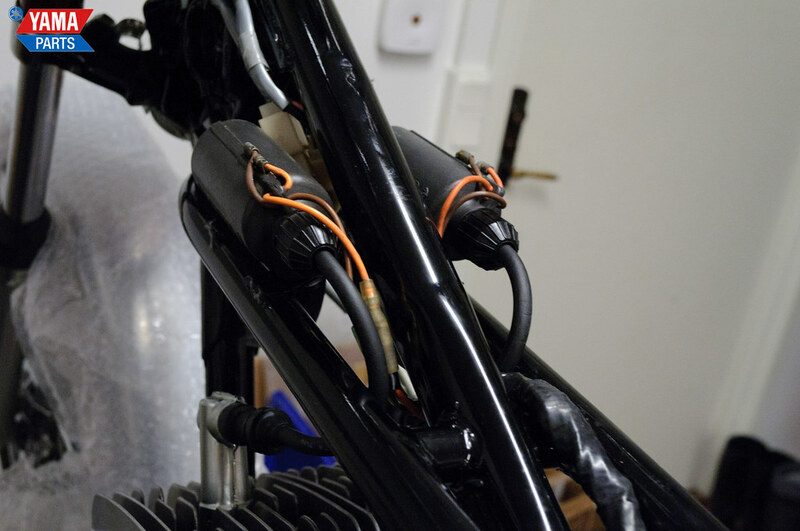 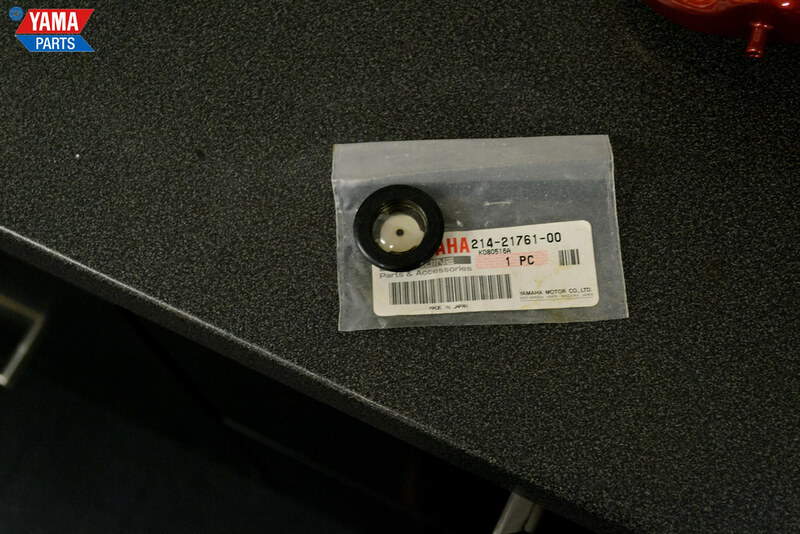 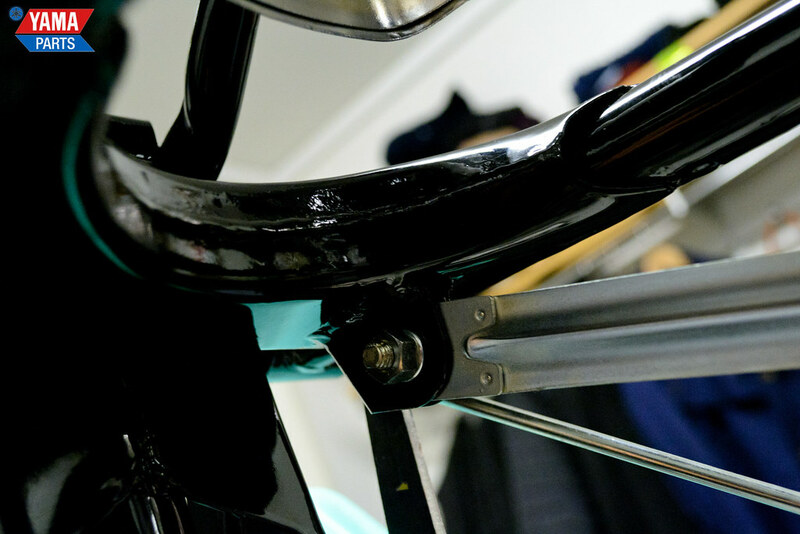 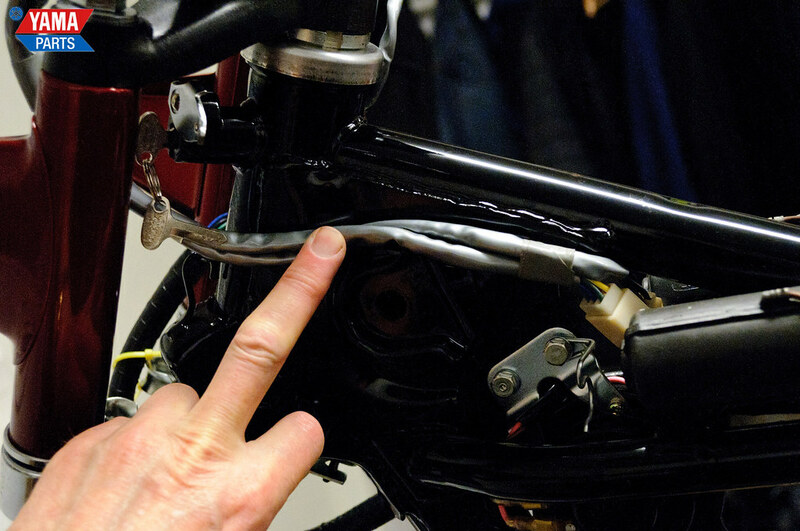 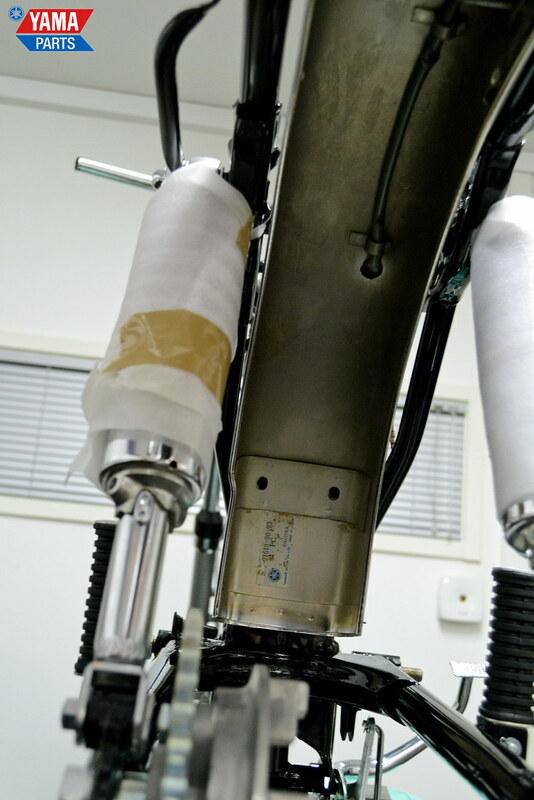 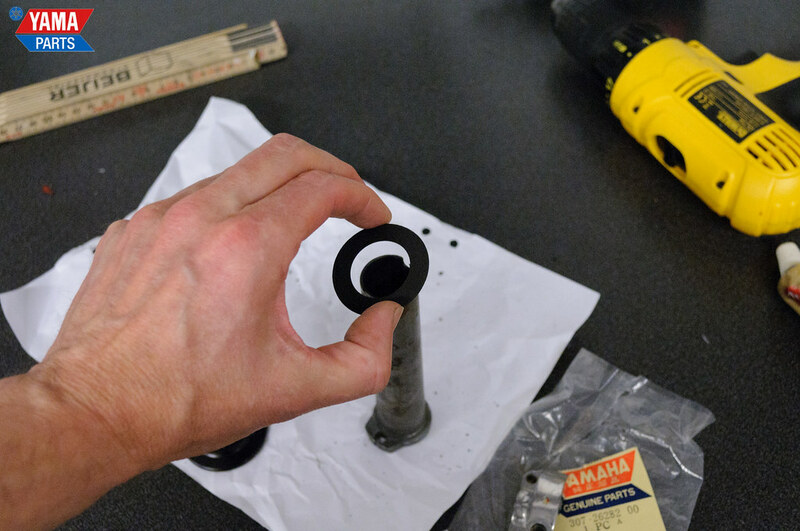 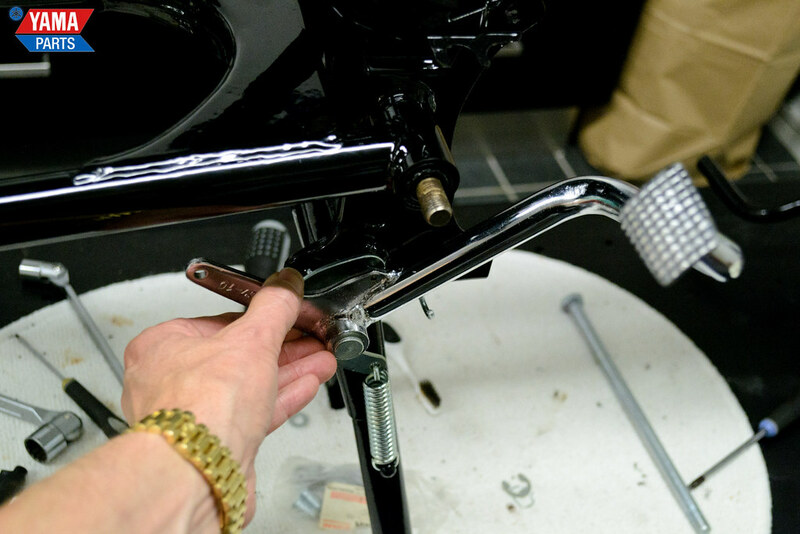 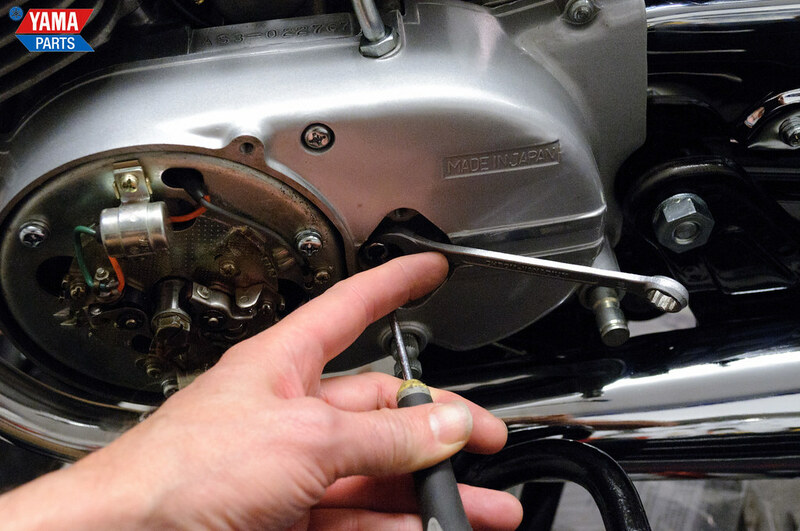 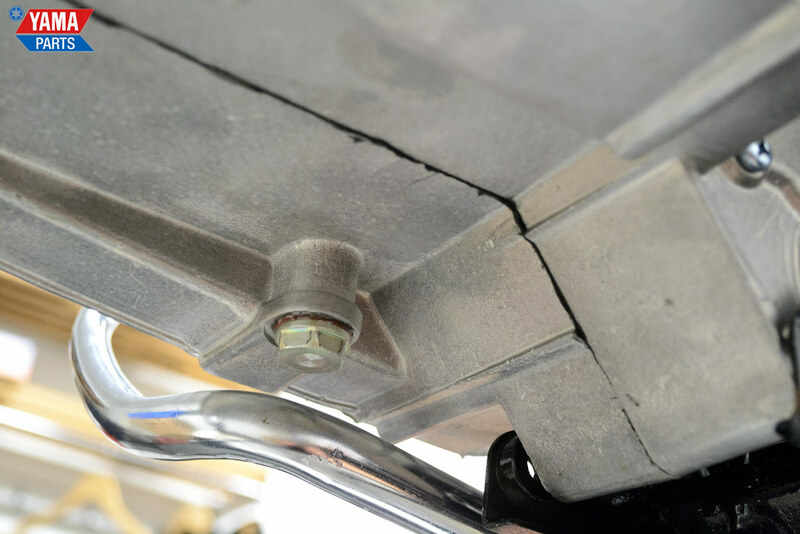 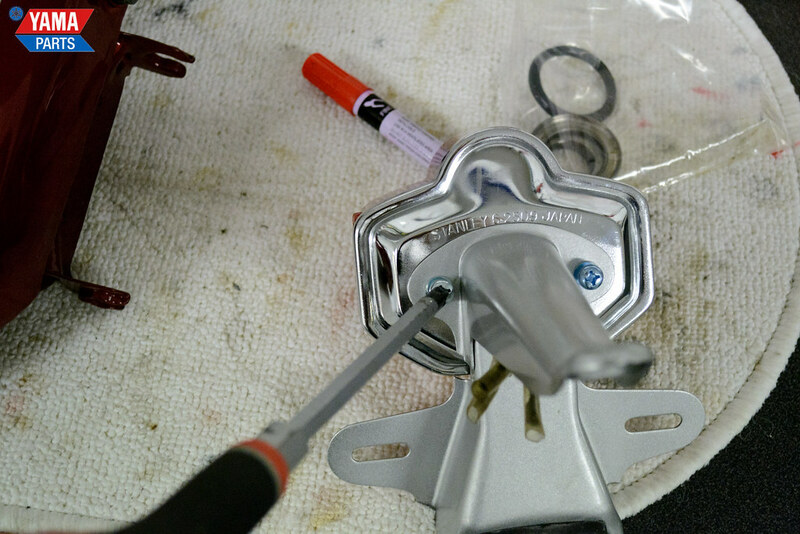 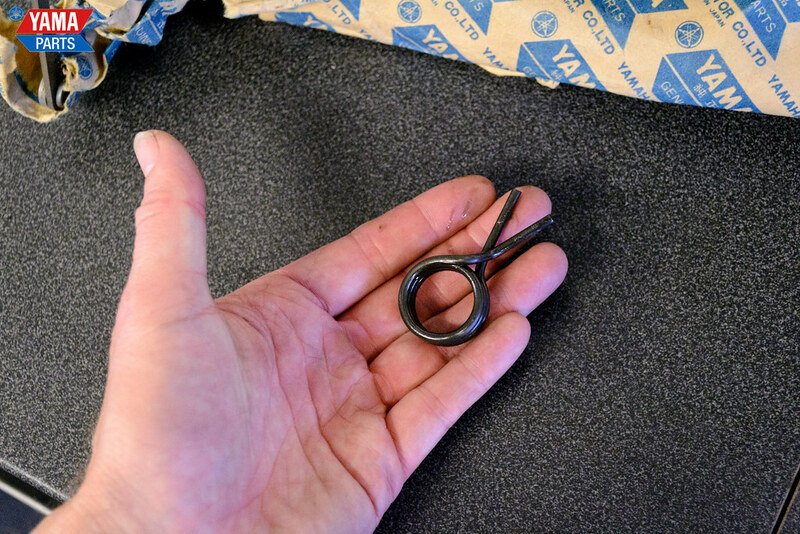 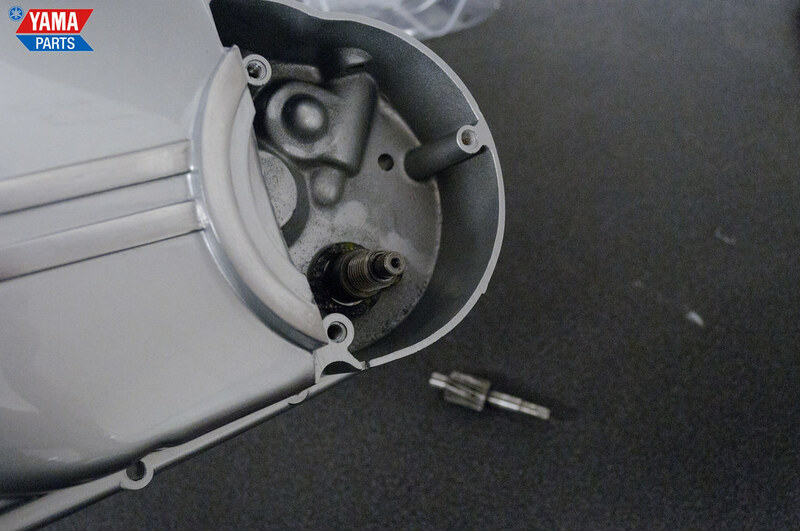 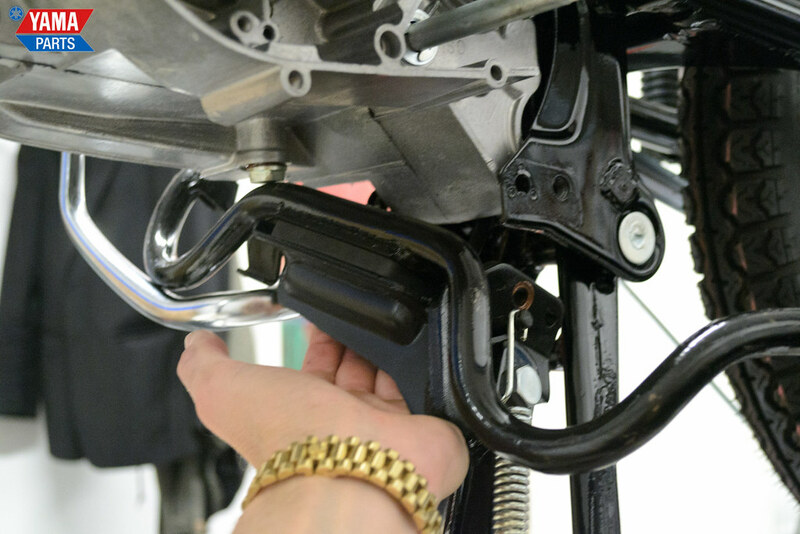 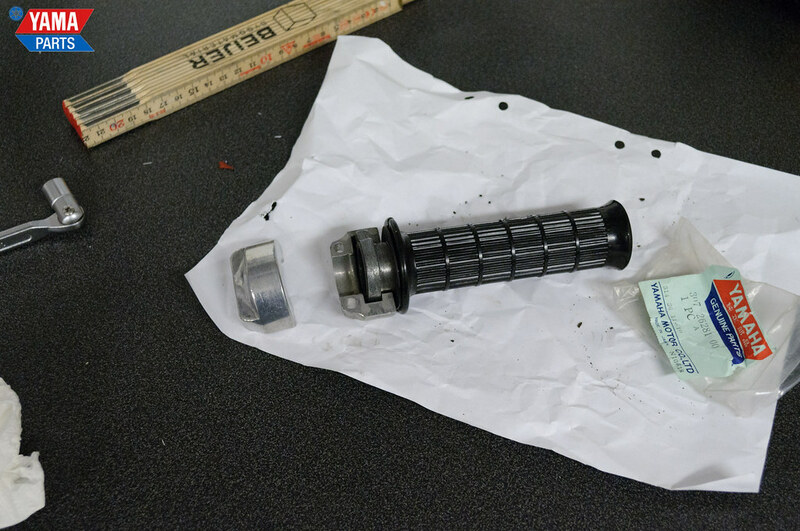 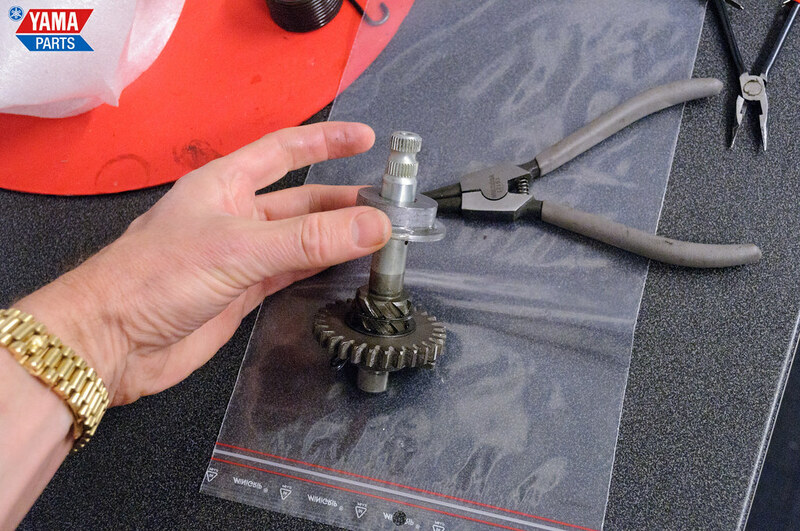 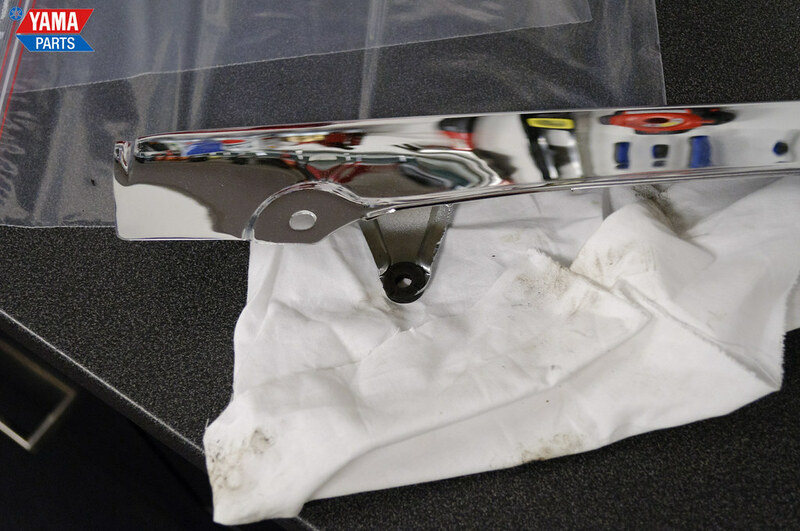 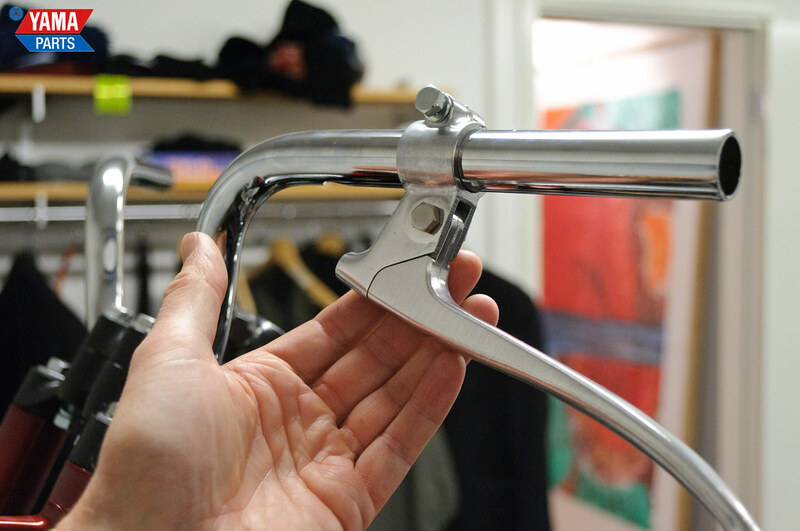 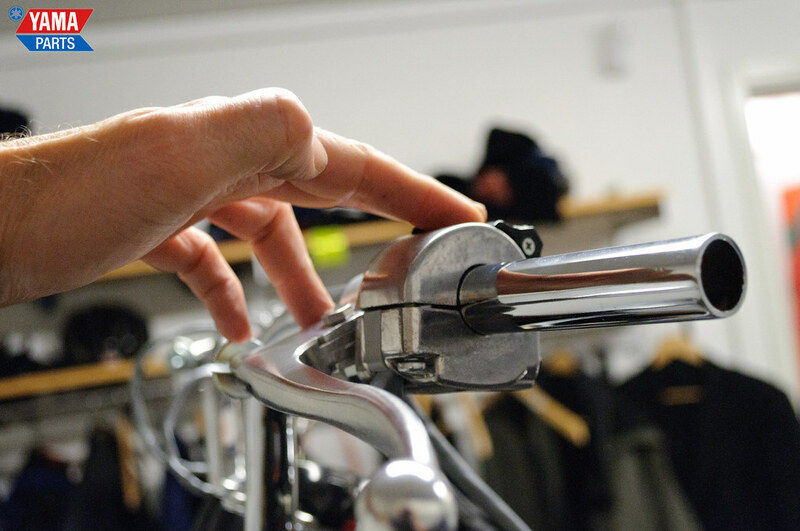 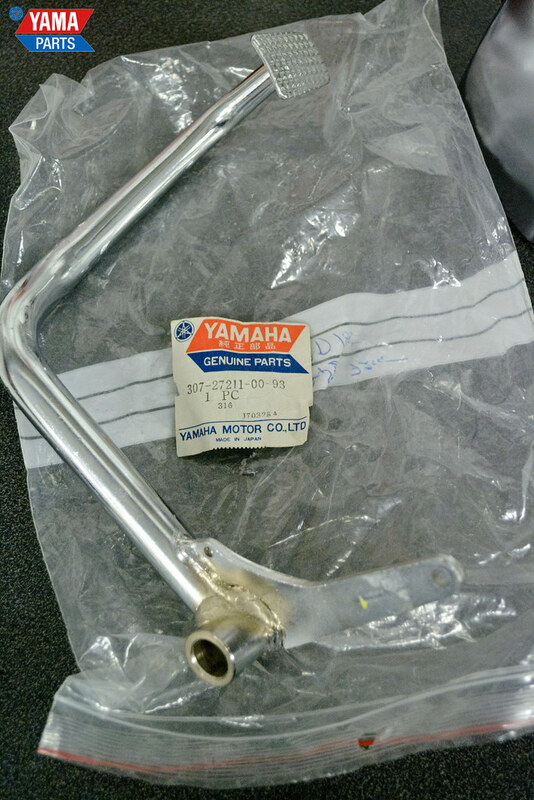 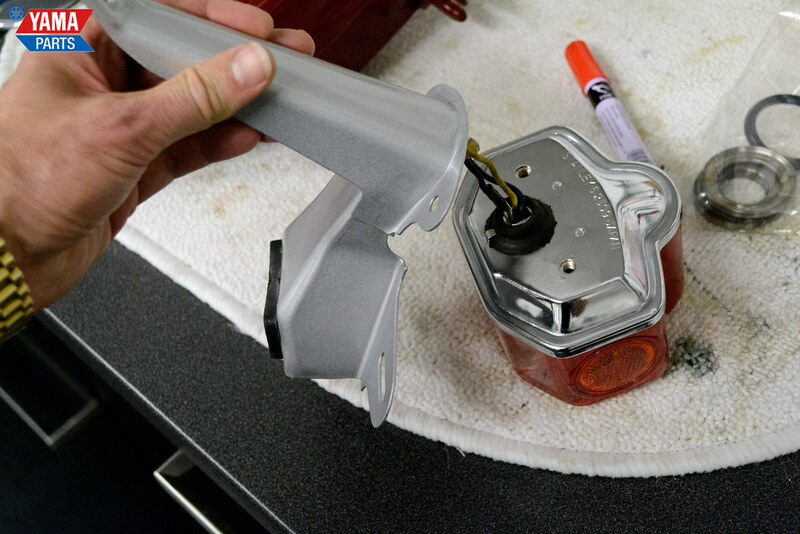 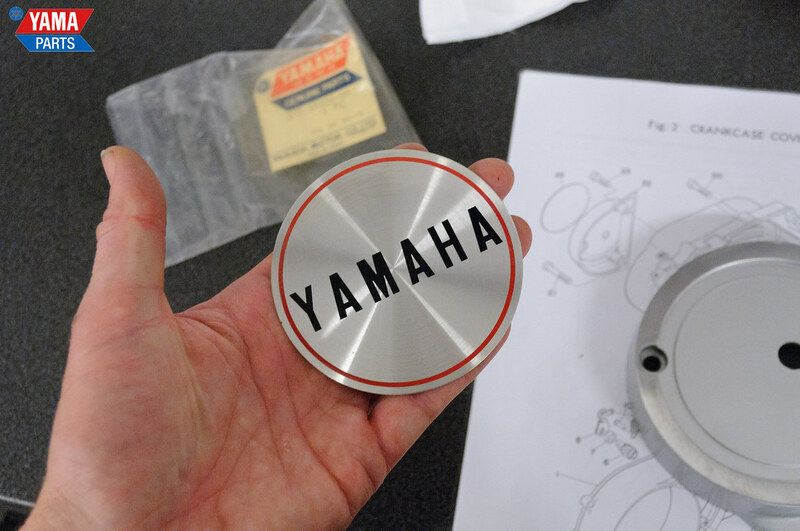 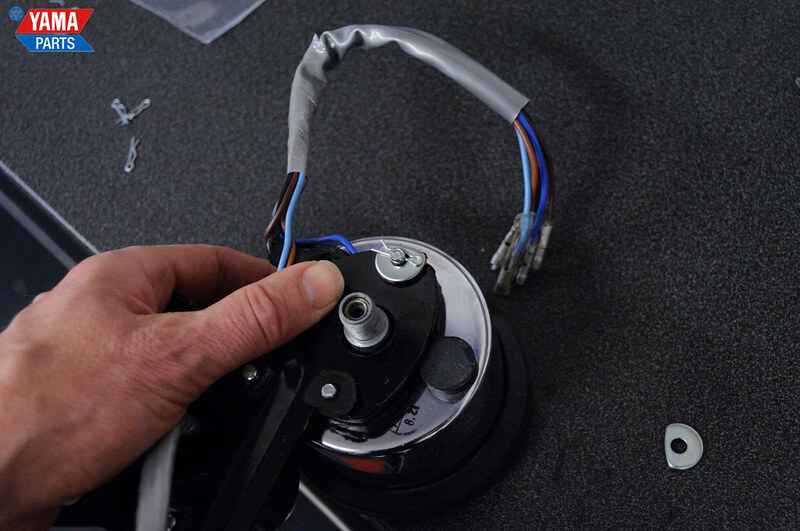 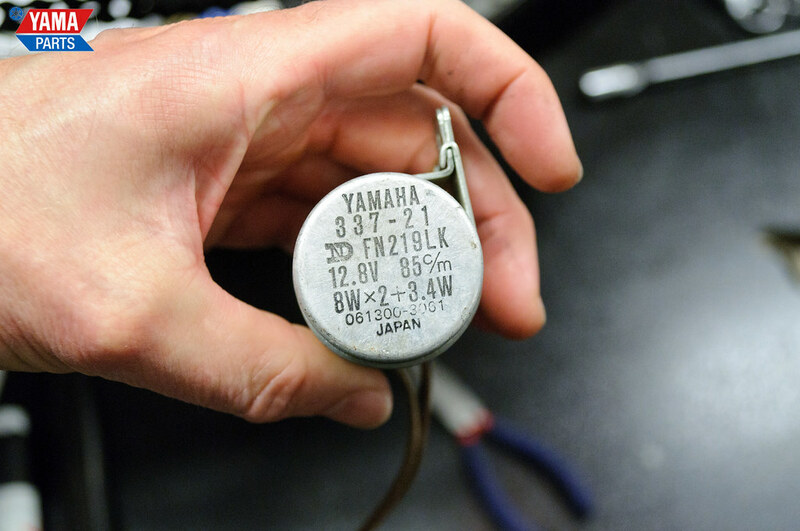 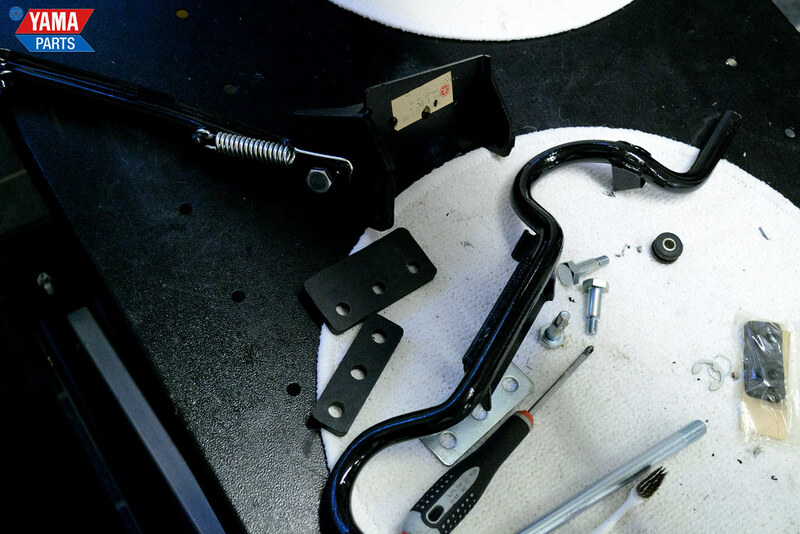 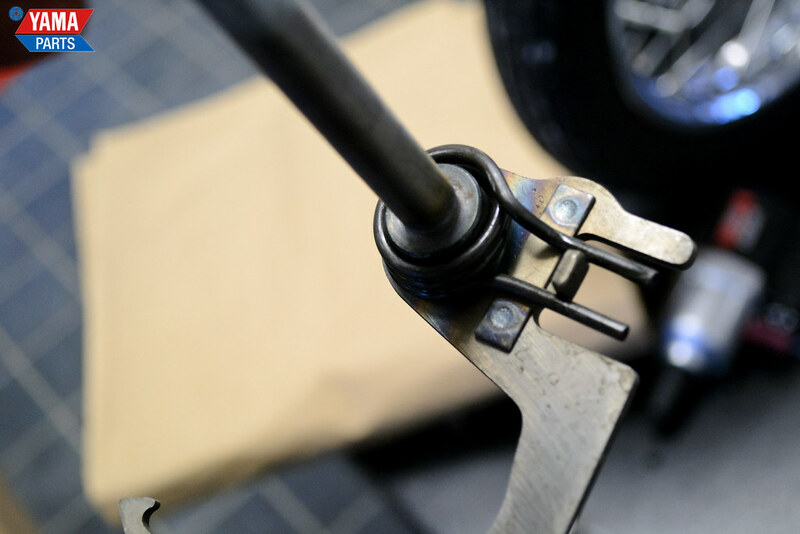 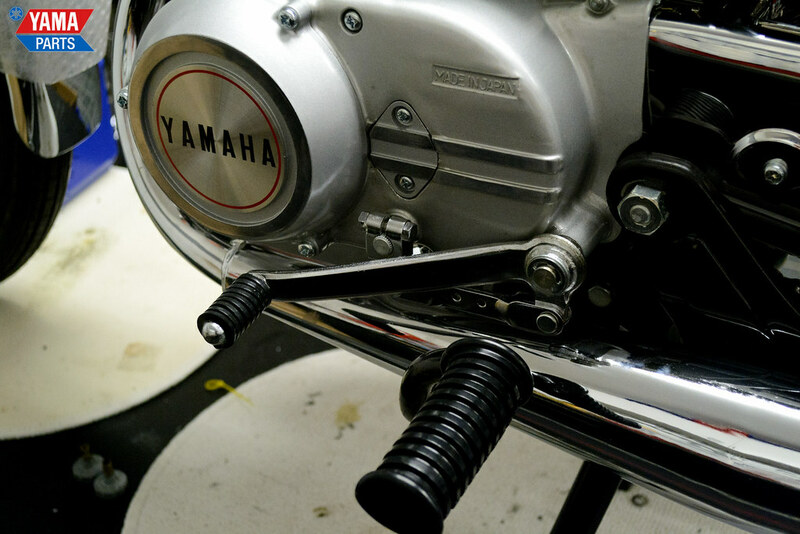 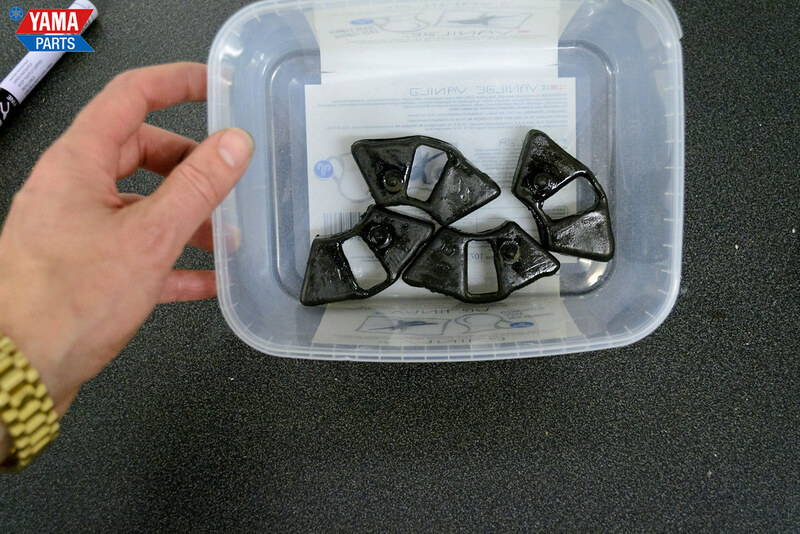 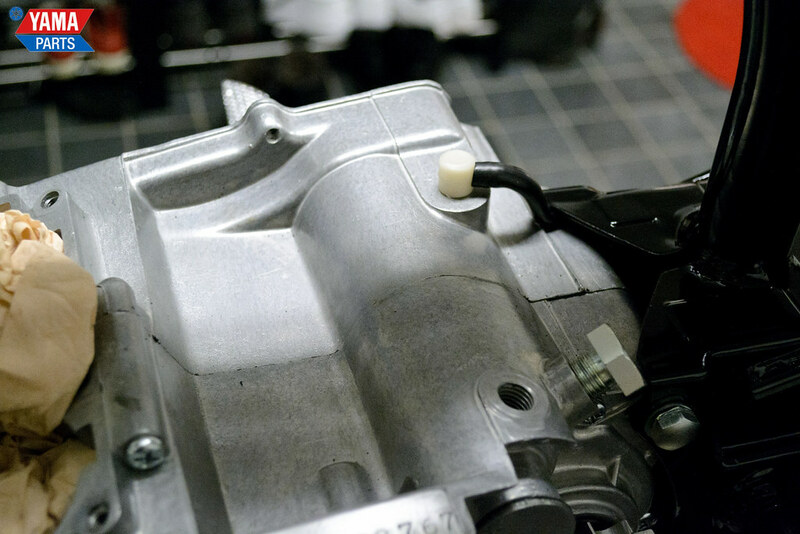 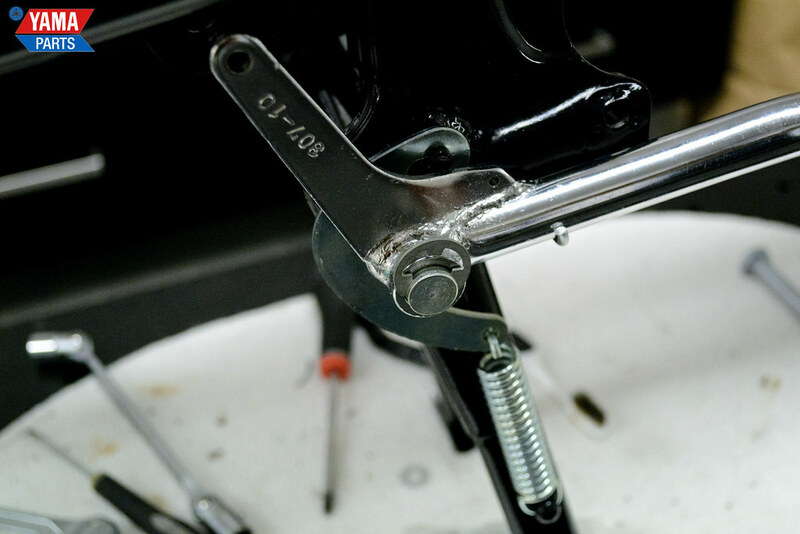 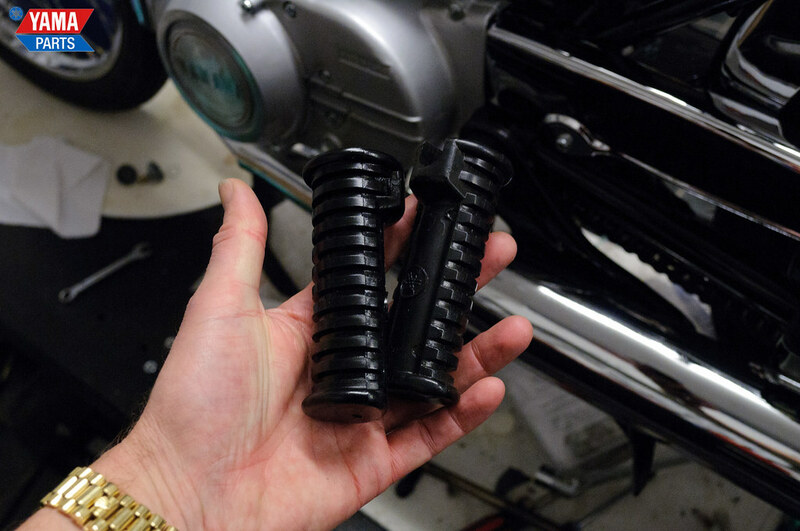 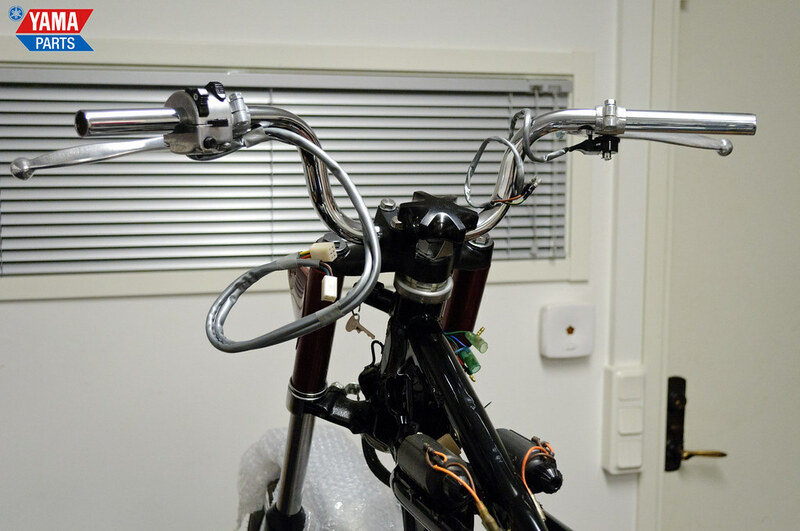 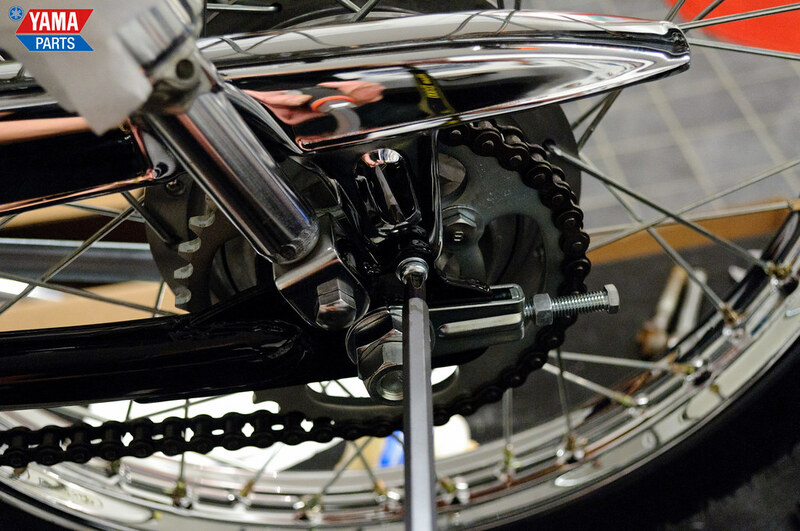 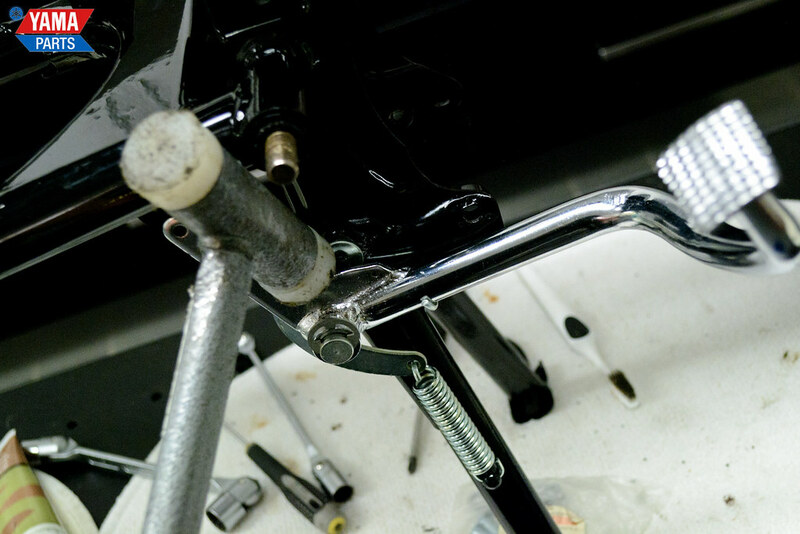 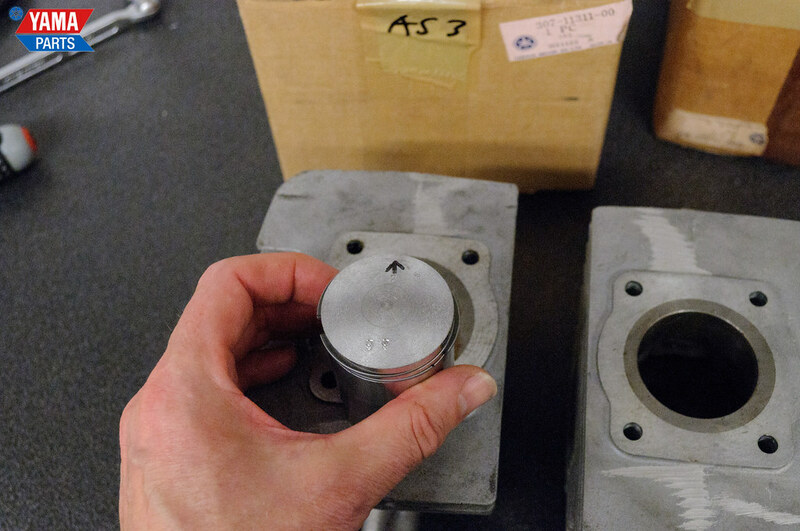 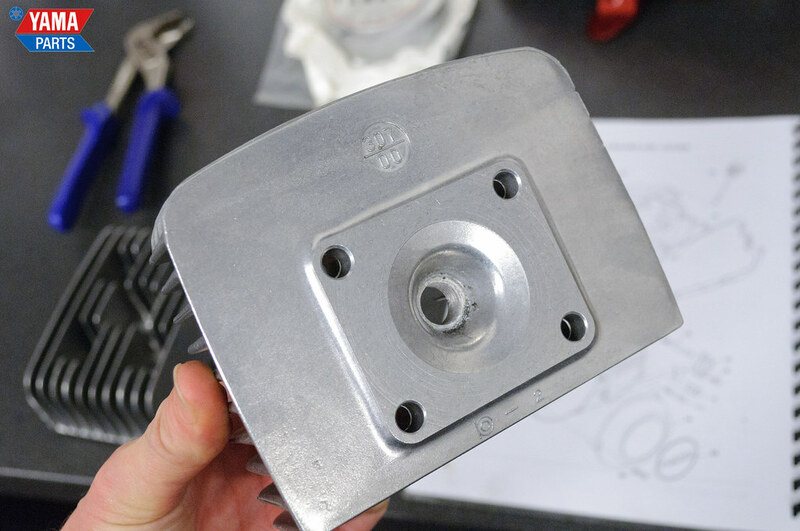 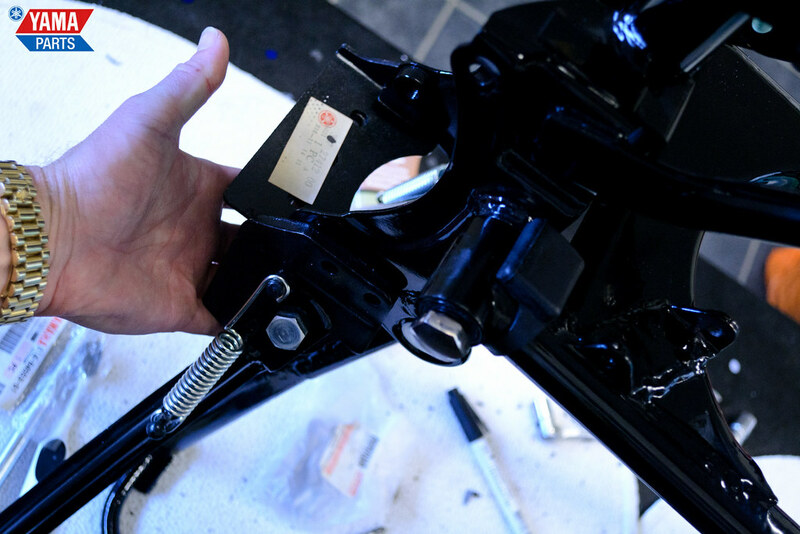 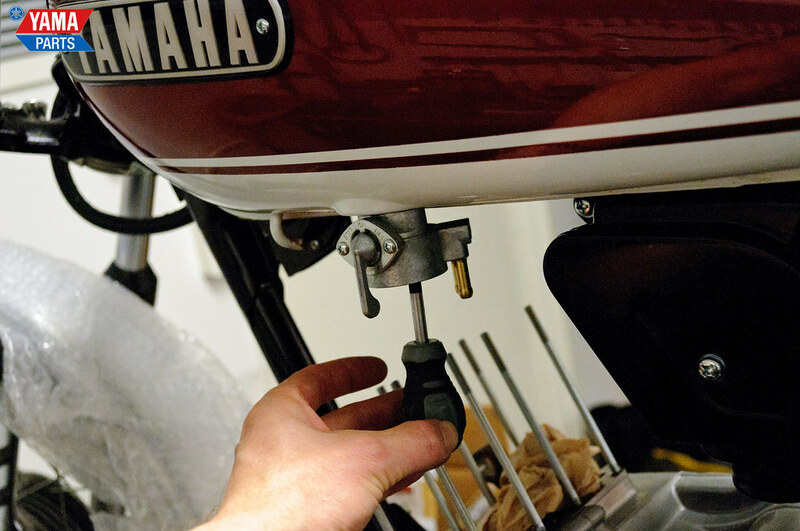 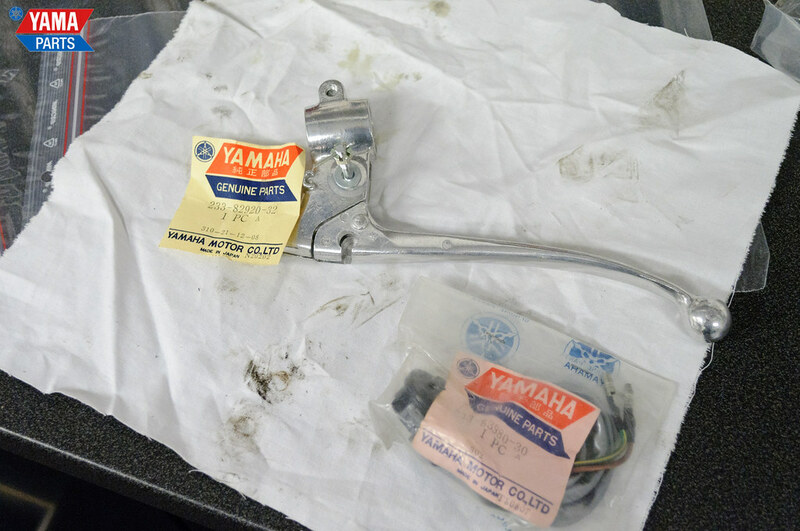 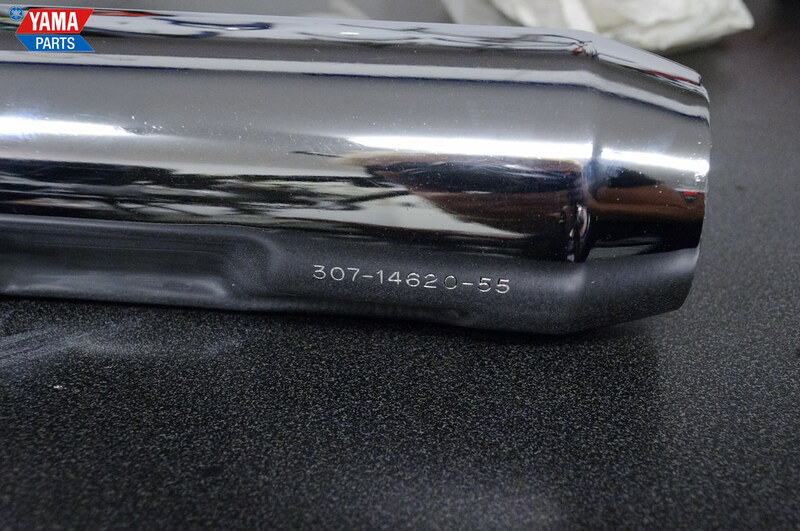 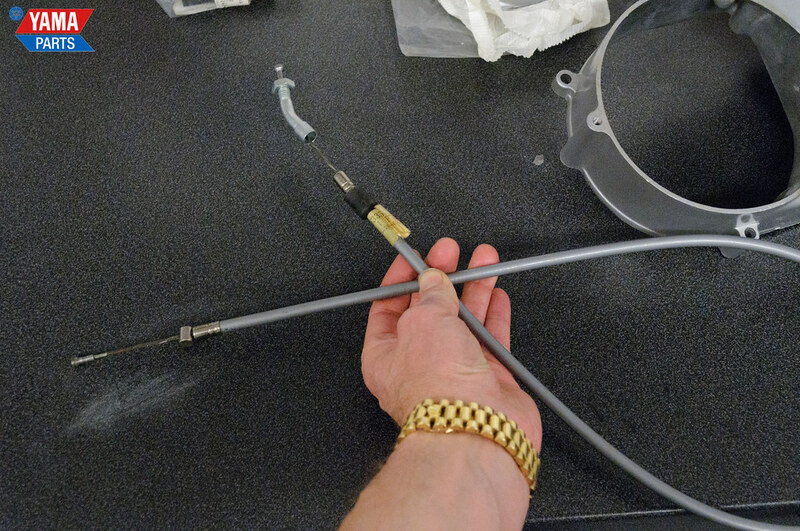 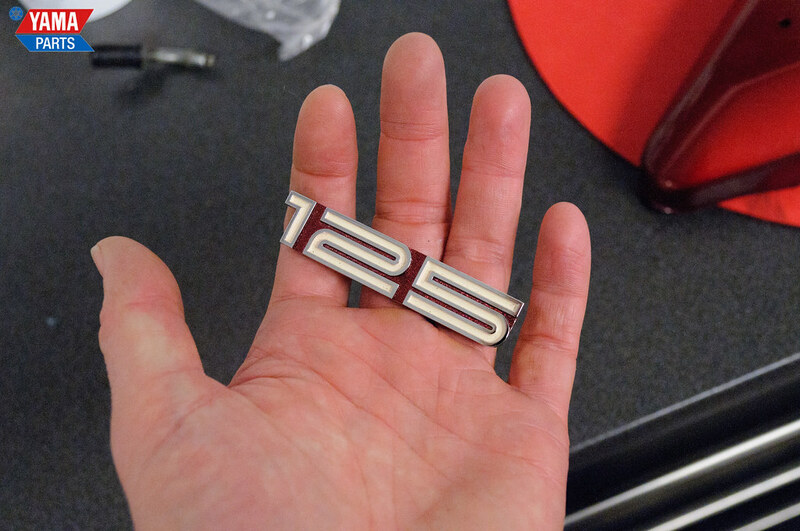 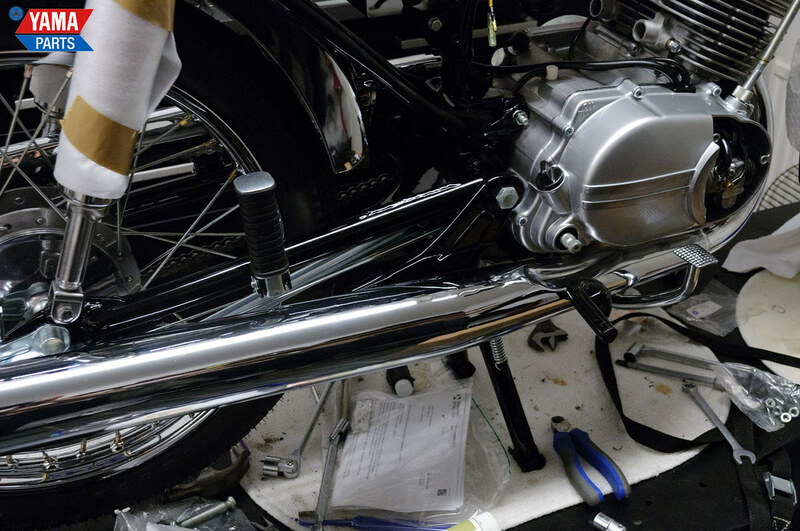 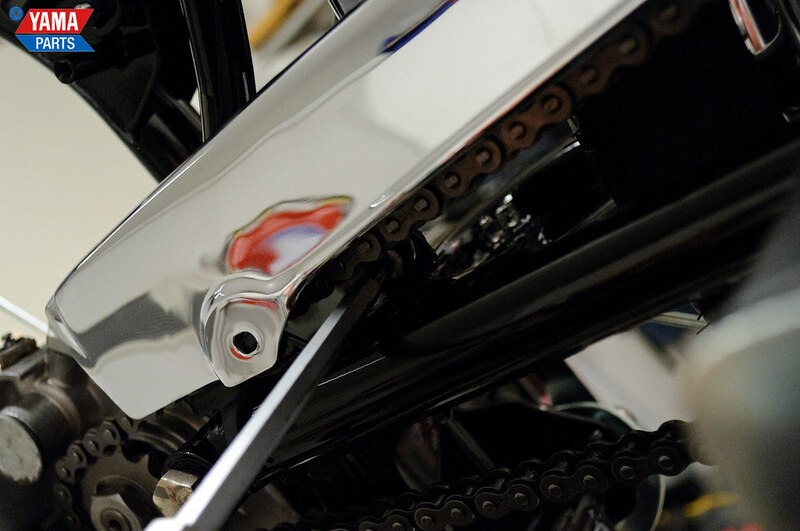 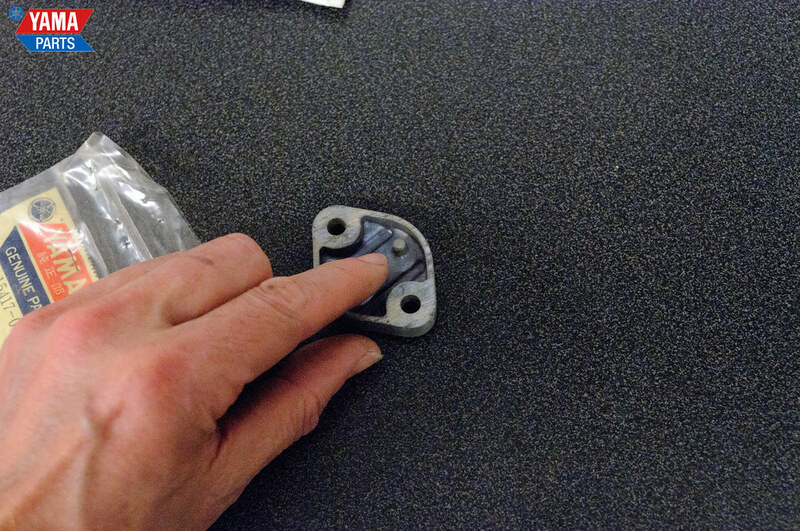 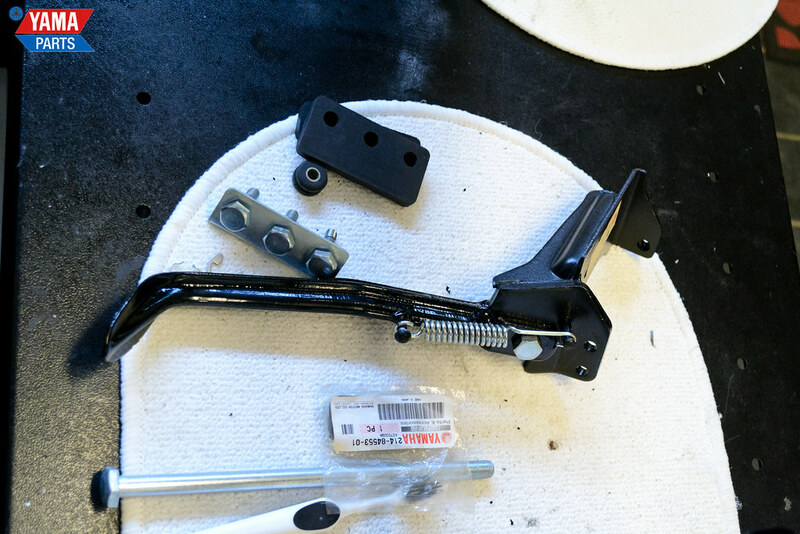 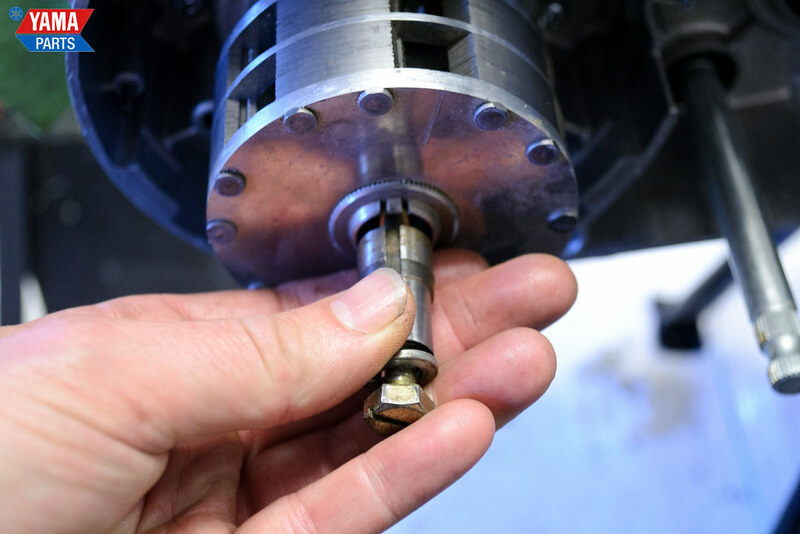 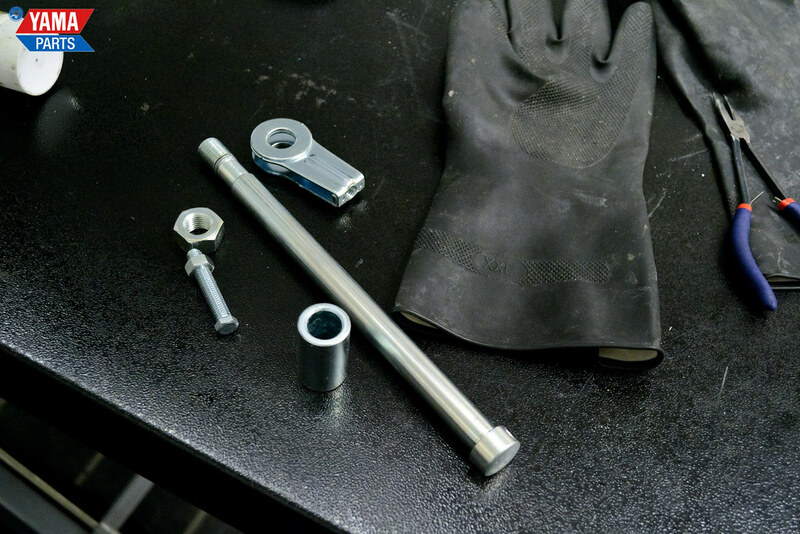 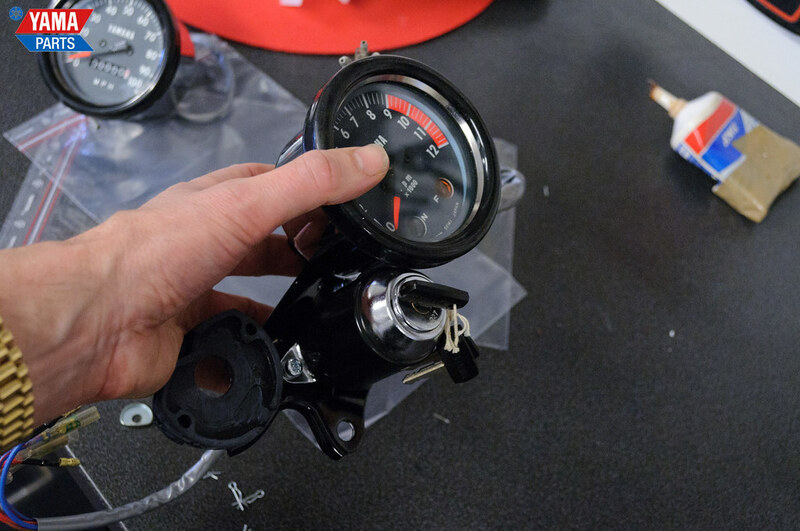 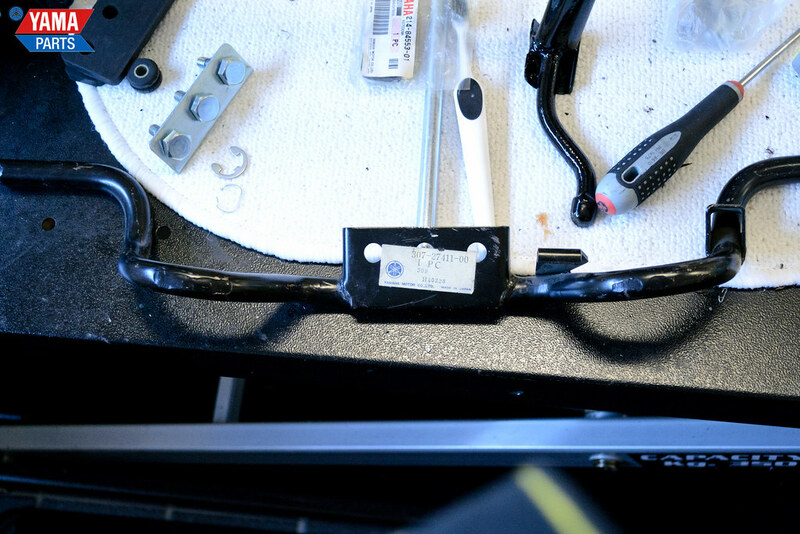 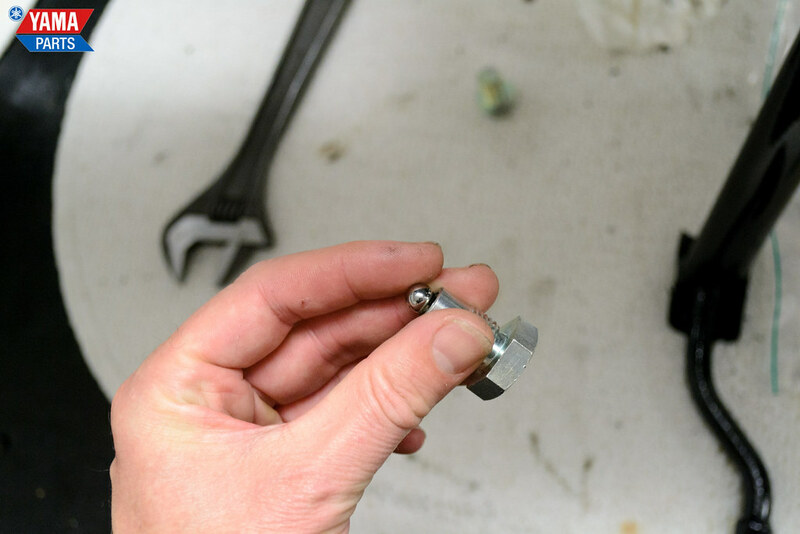 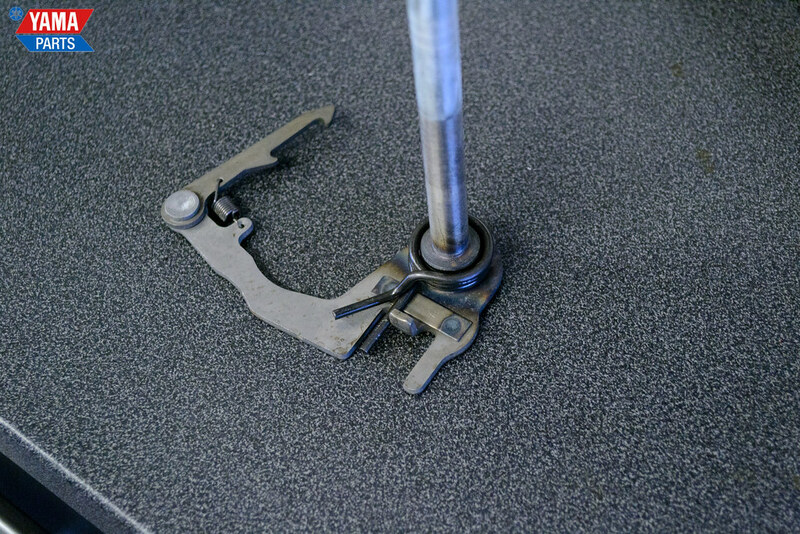 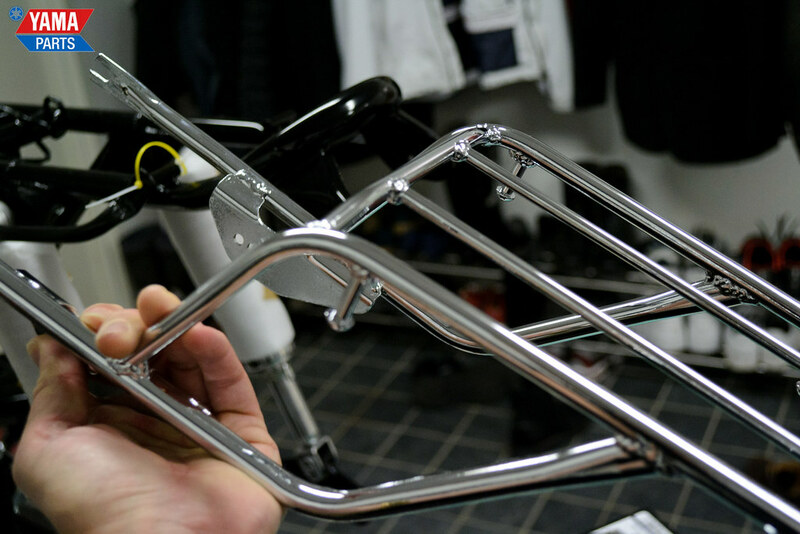 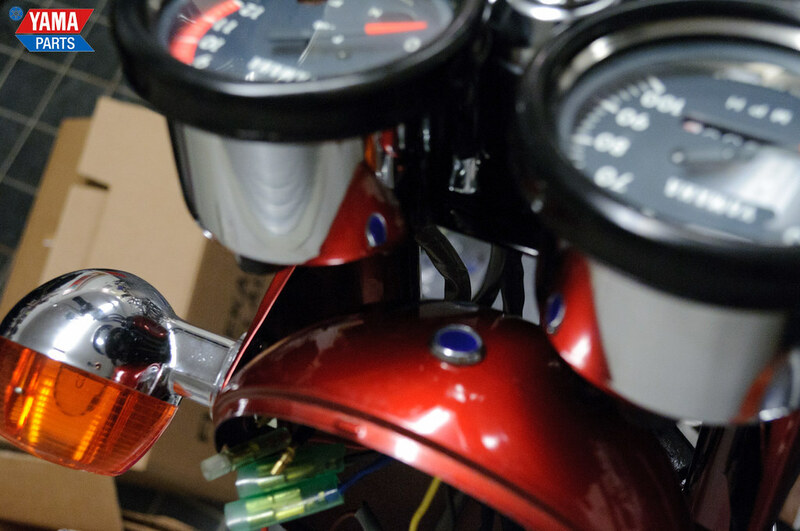 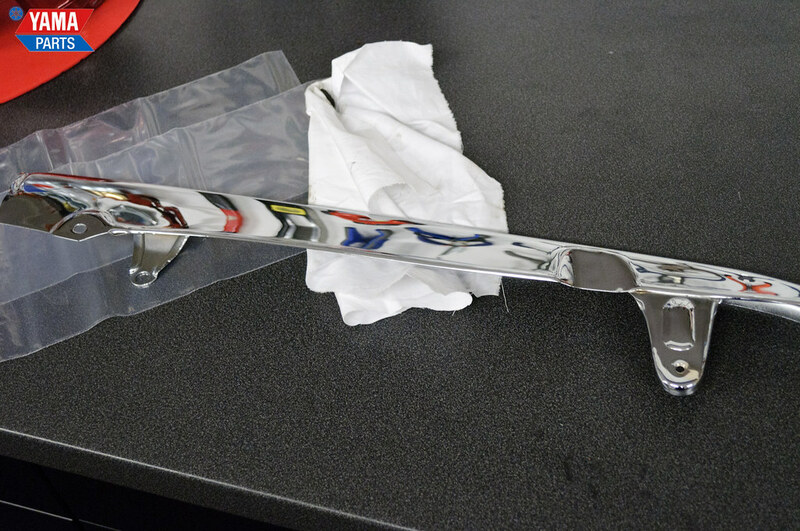 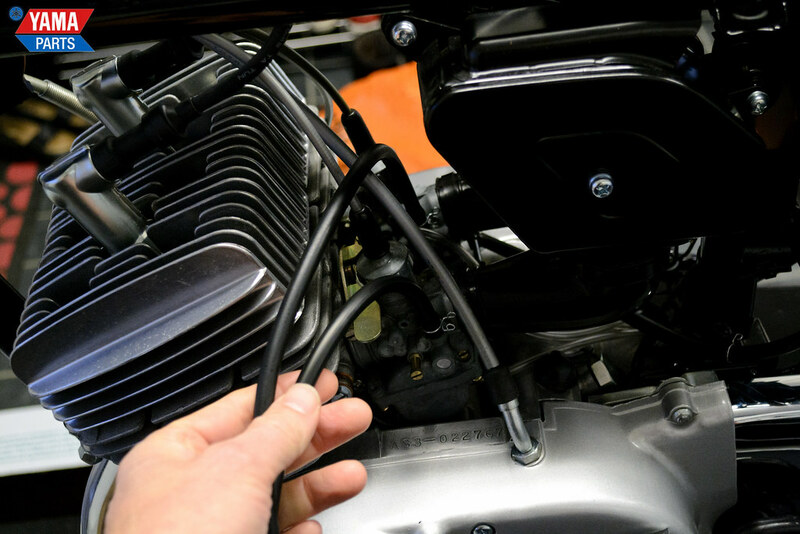 We continue with the AS3 Europa walkthrough: this time we’re covering parts of the handle and meter assemblies with a few other parts on the bike which makes this update kind of hard to categorize. 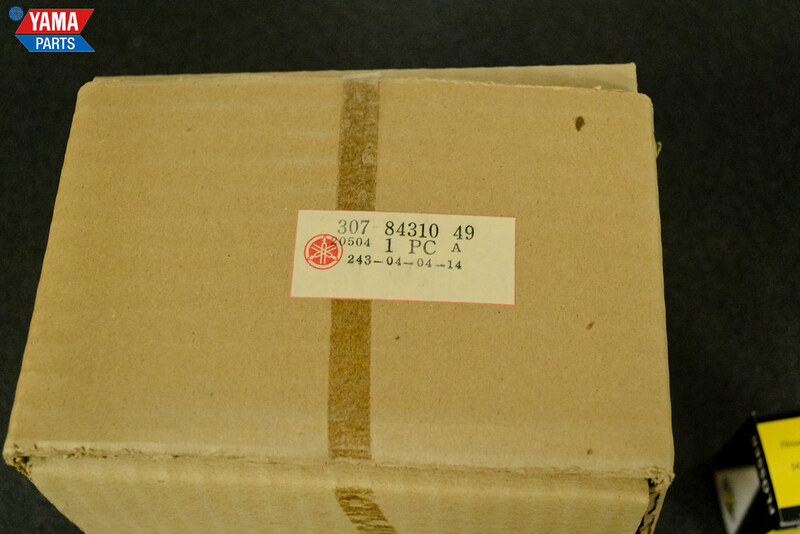 It is time for part 4. 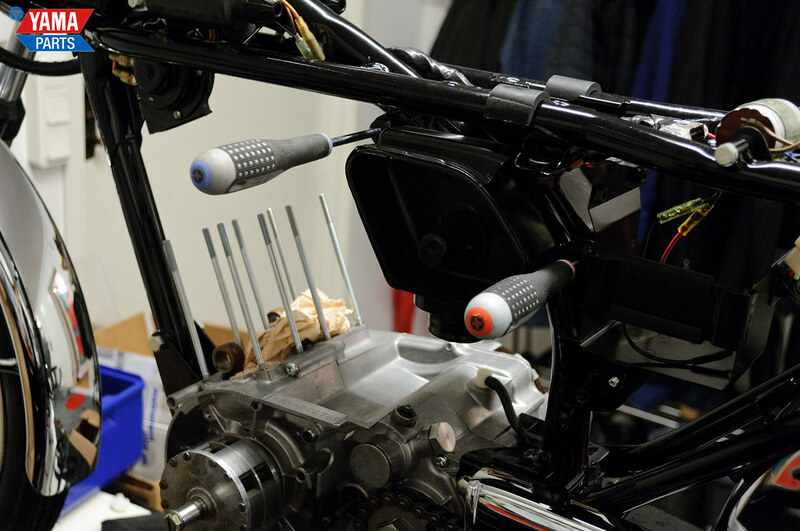 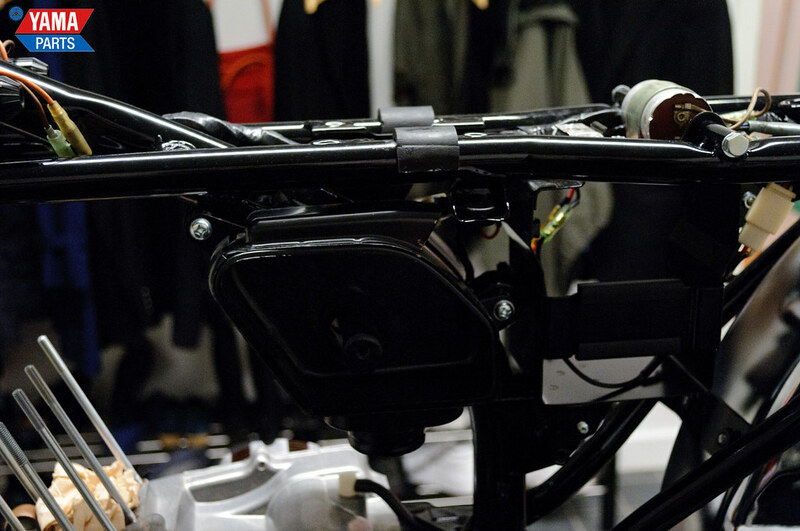 The update covers the internal shifter assembly, clutch assembly, engine mounting and some small extras. 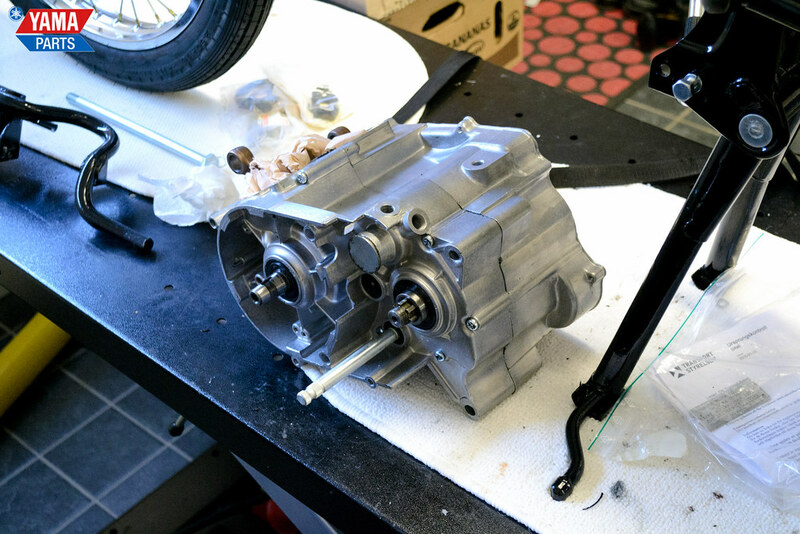 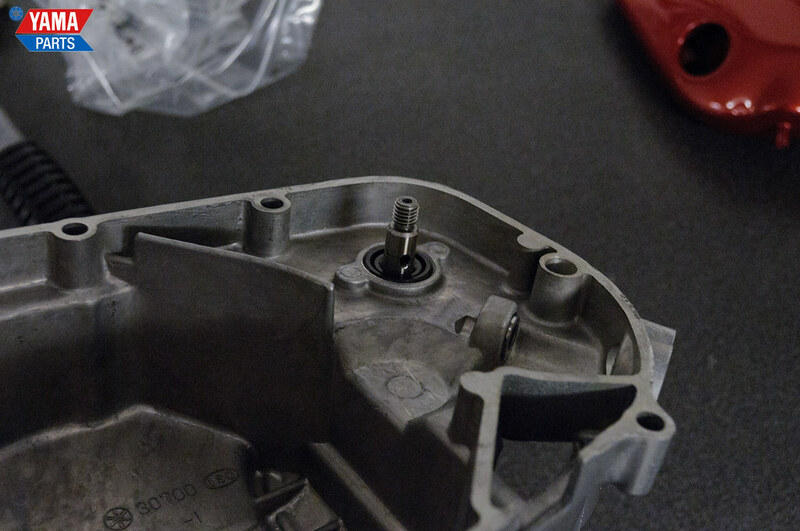 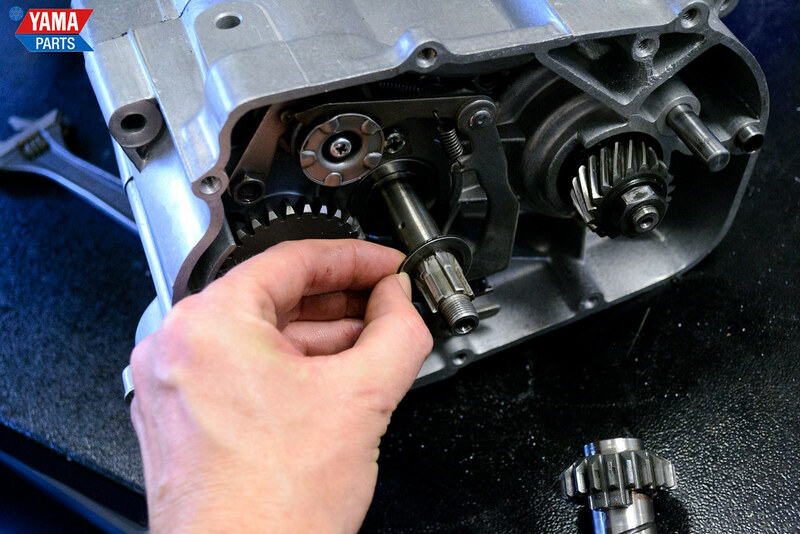 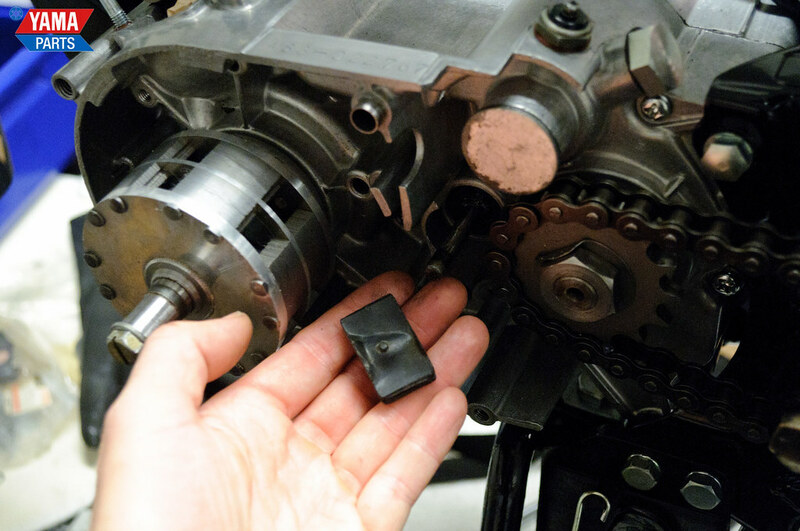 The actual putting together of the engine block with the crank and gearbox will be covered in another walkthrough. 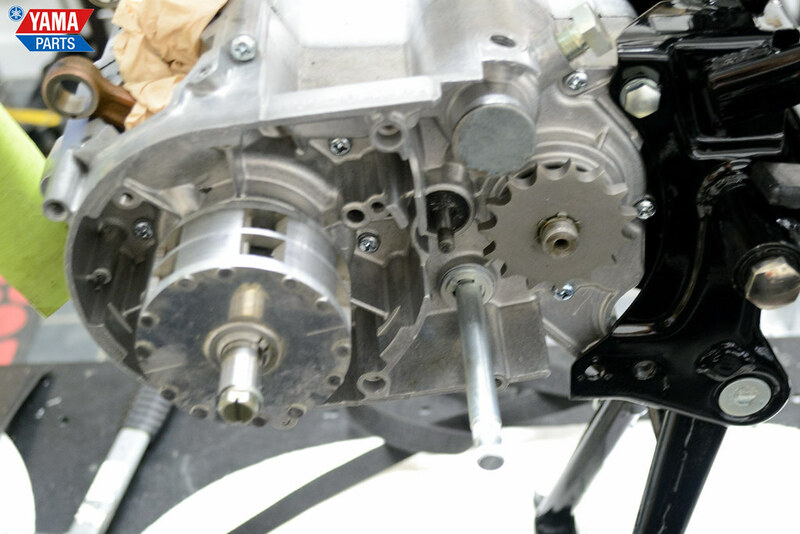 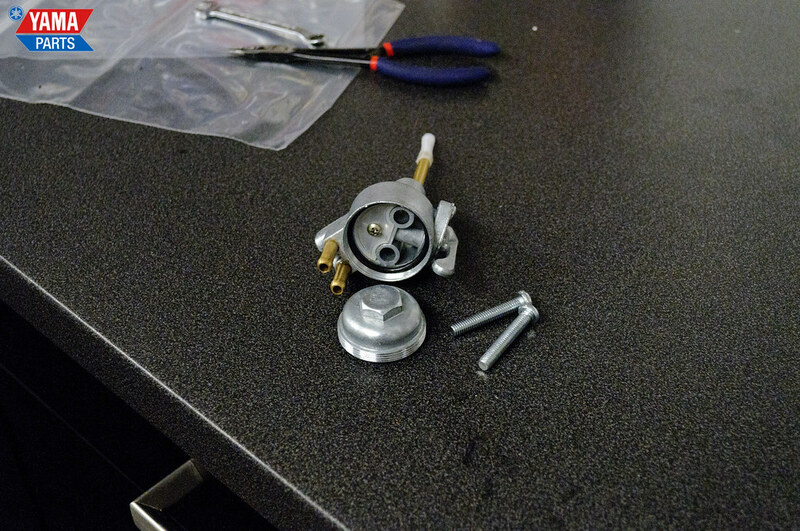 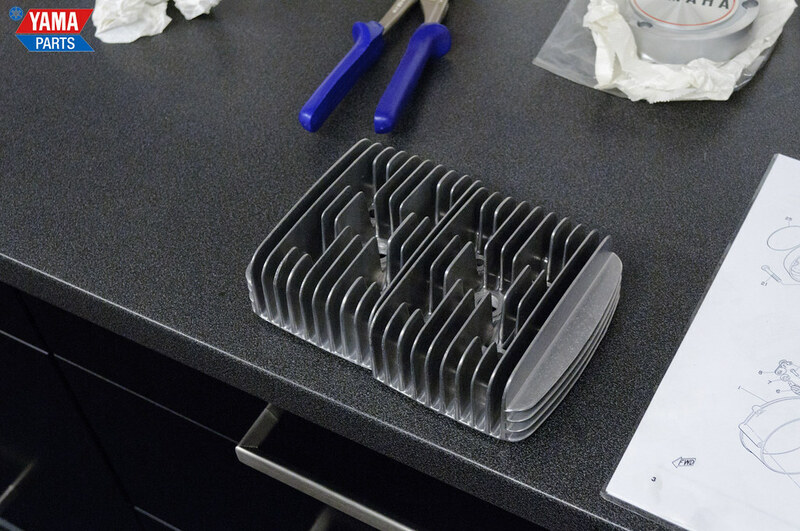 We didn’t get pictures of putting it together and we usually prepare a lot of engines at once. 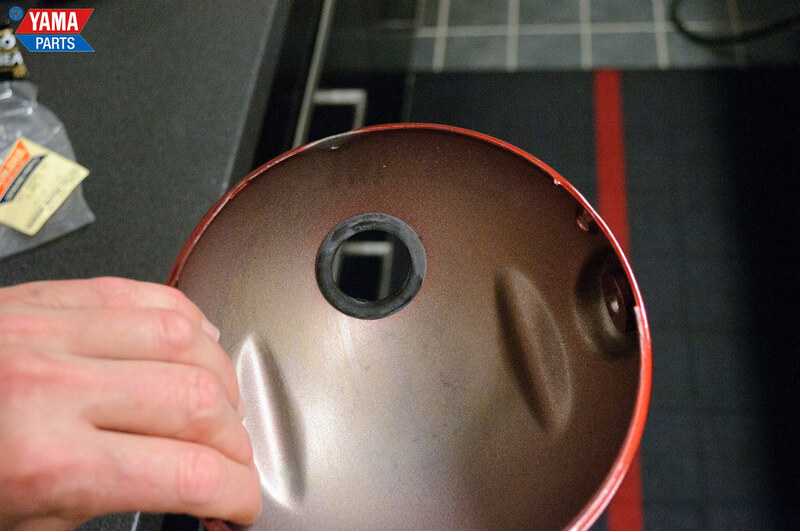 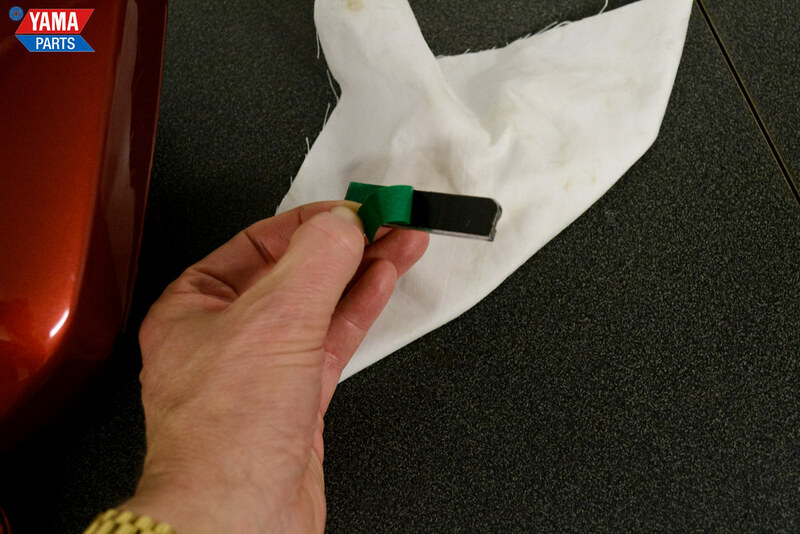 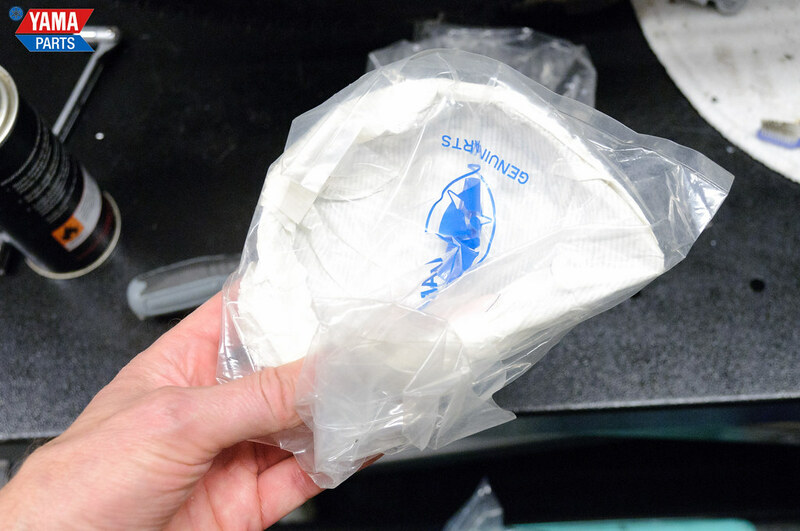 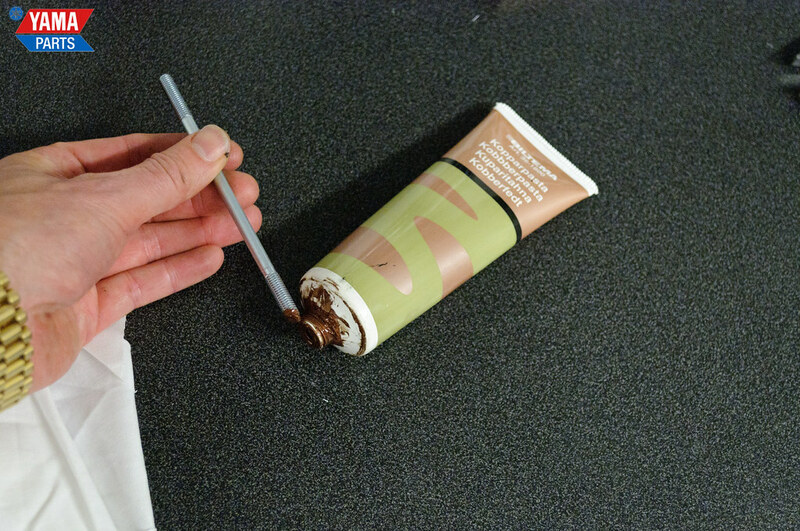 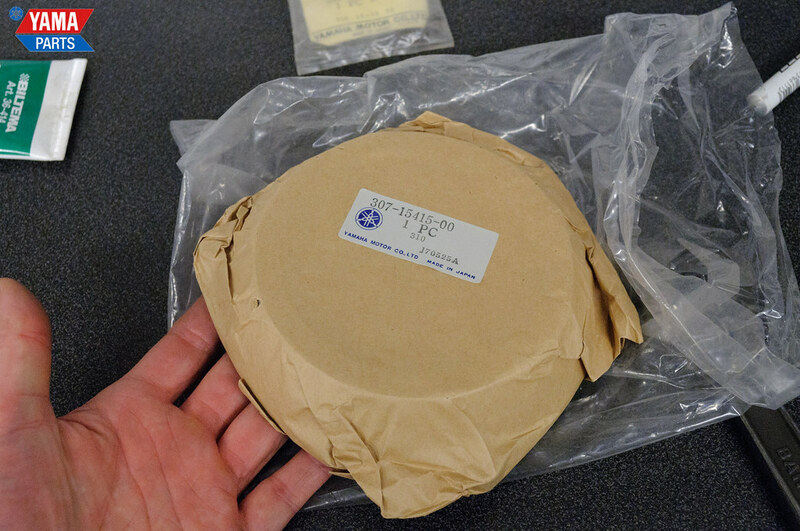 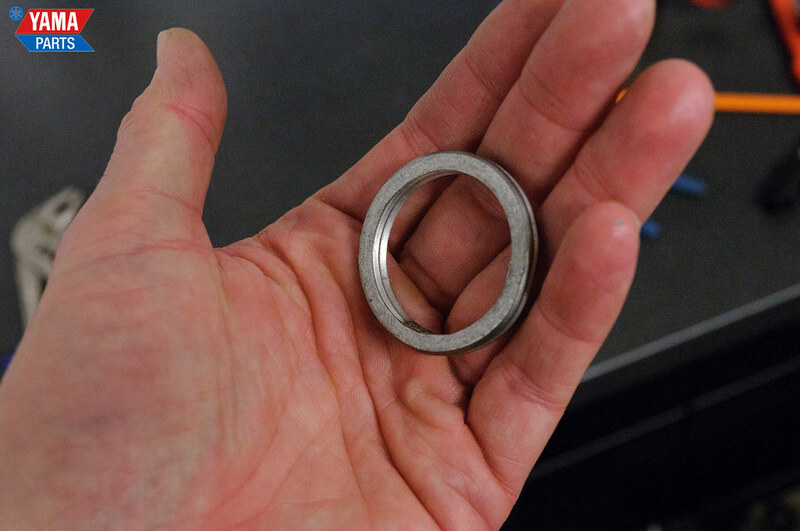 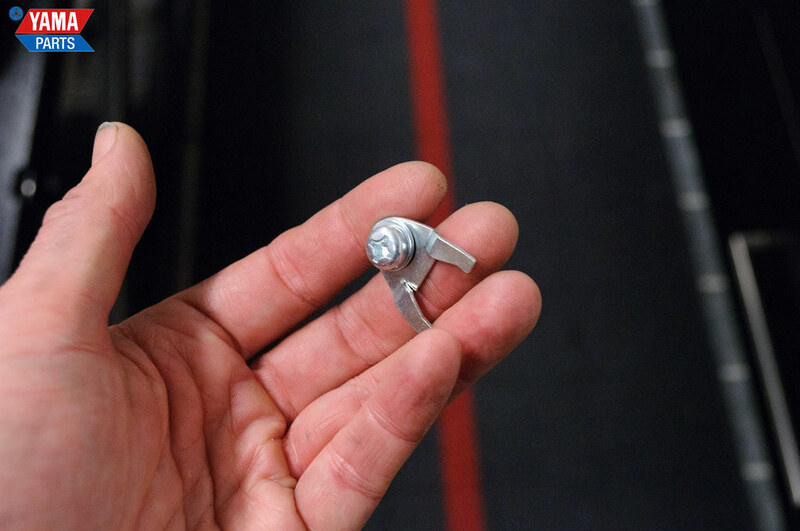 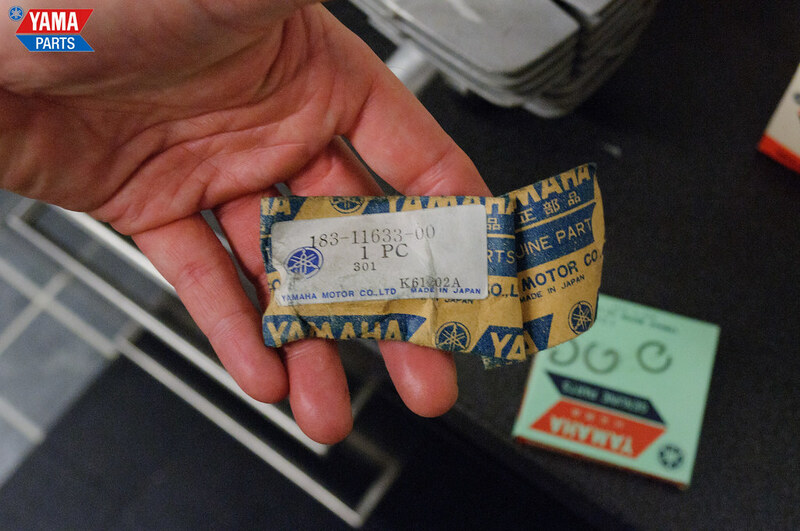 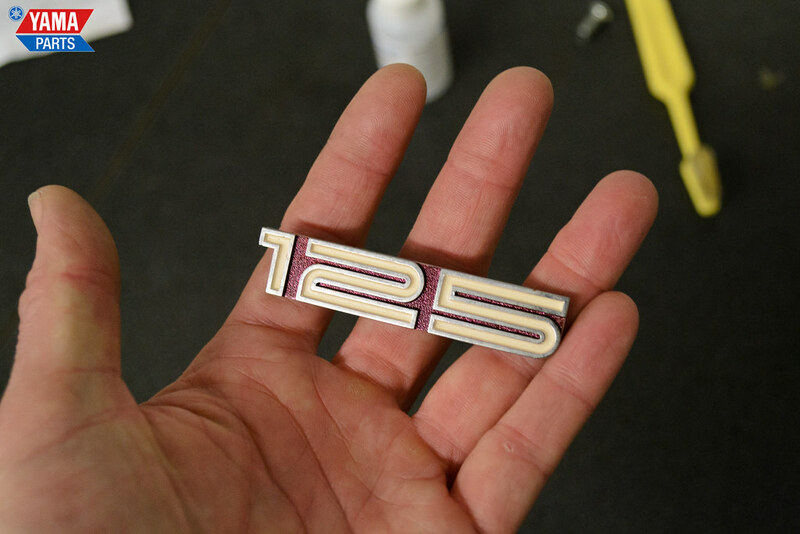 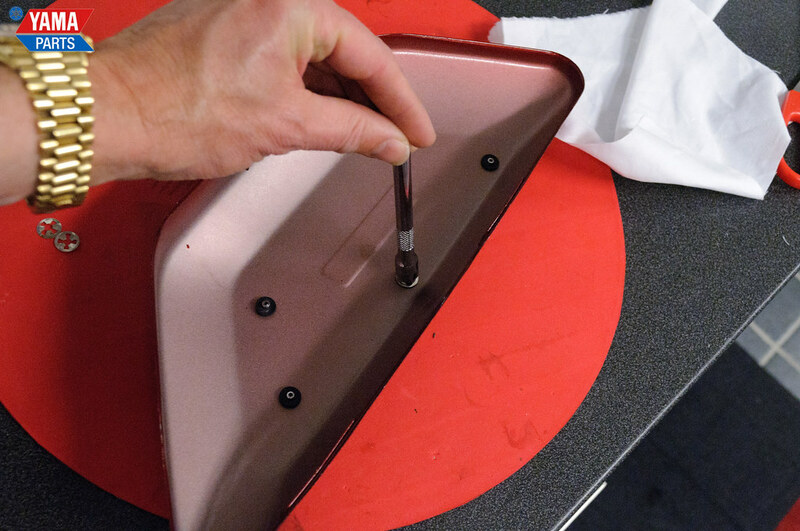 As always: click on through to the pictures to get more information about the process. 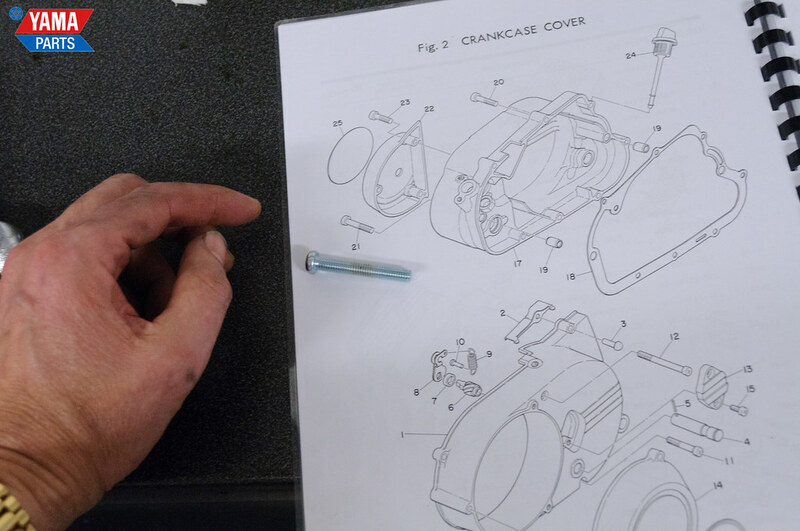 Most of them don’t have any extra commentary but some do where the steps need some clarification. 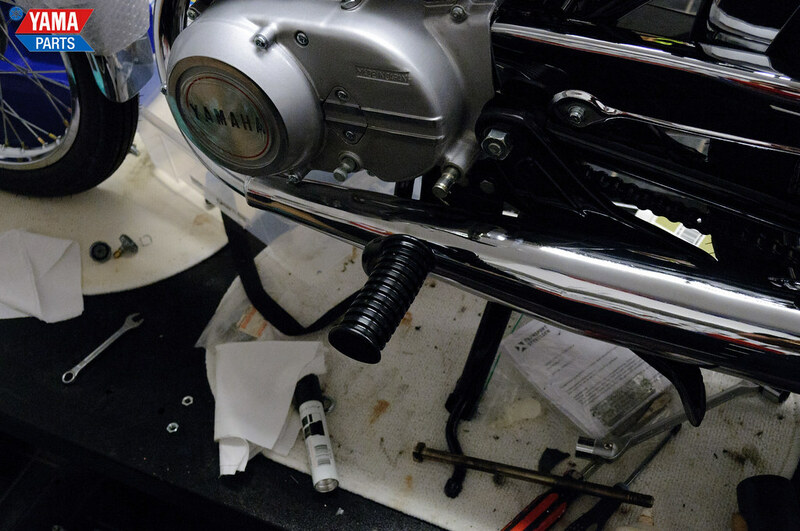 And onto the next walkthrough! 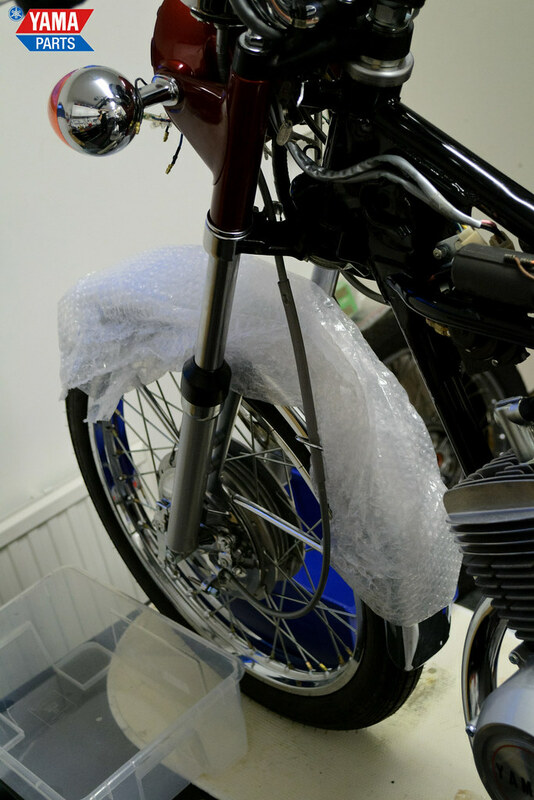 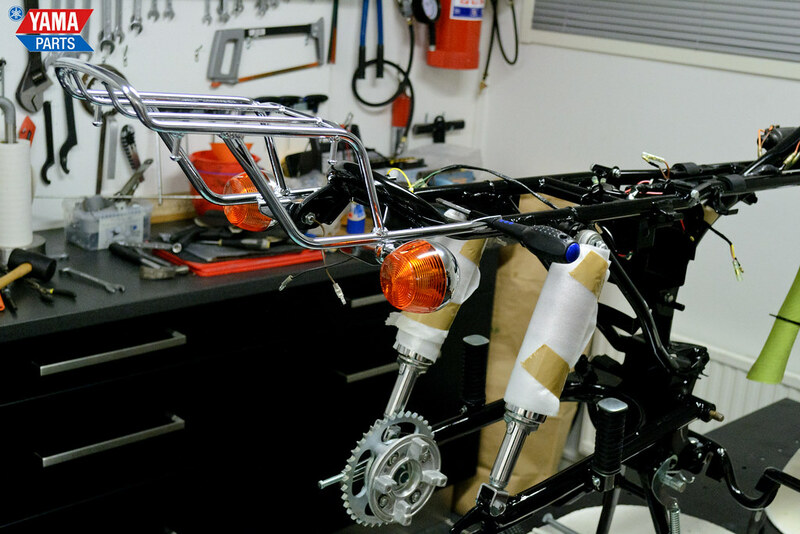 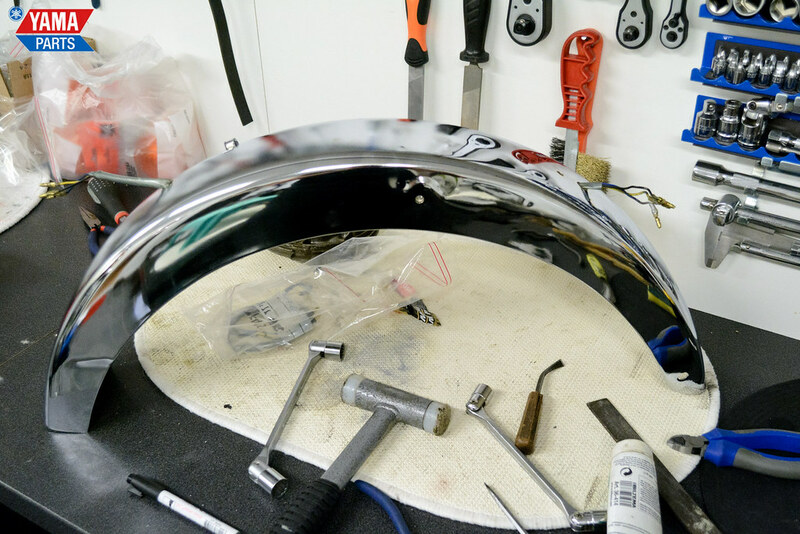 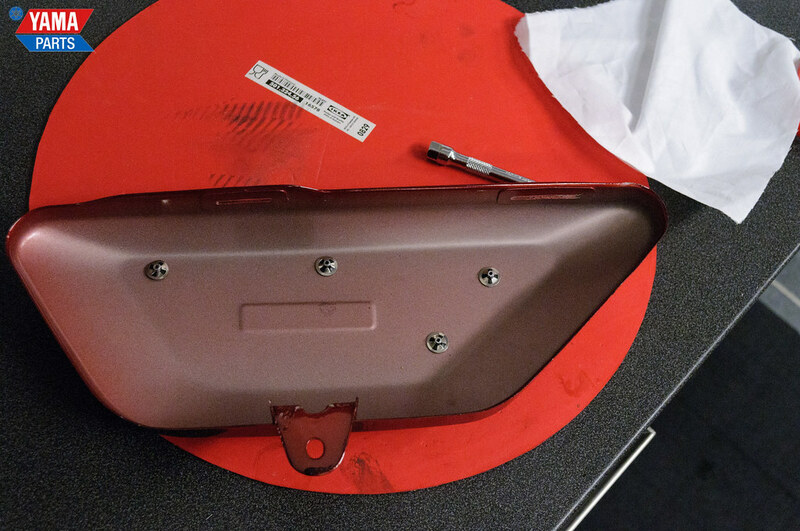 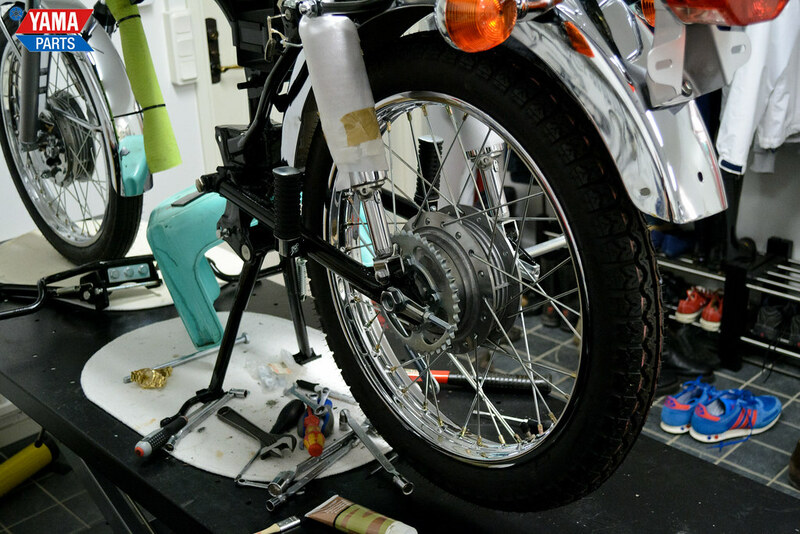 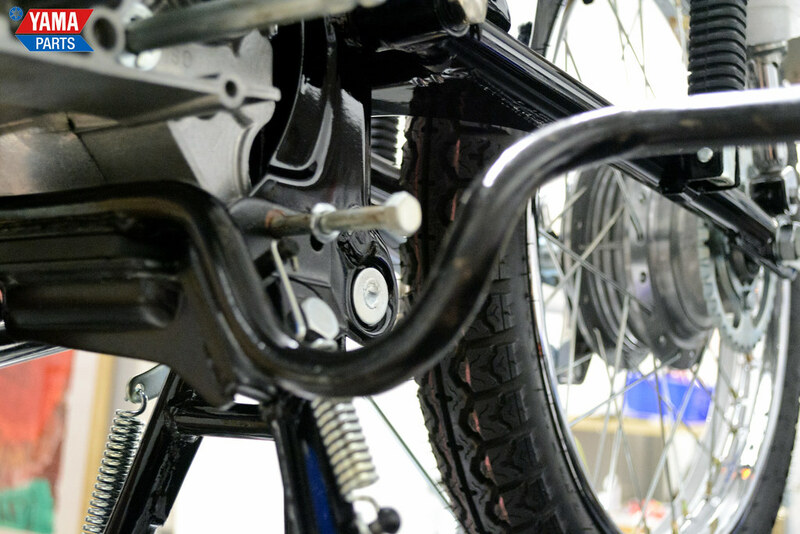 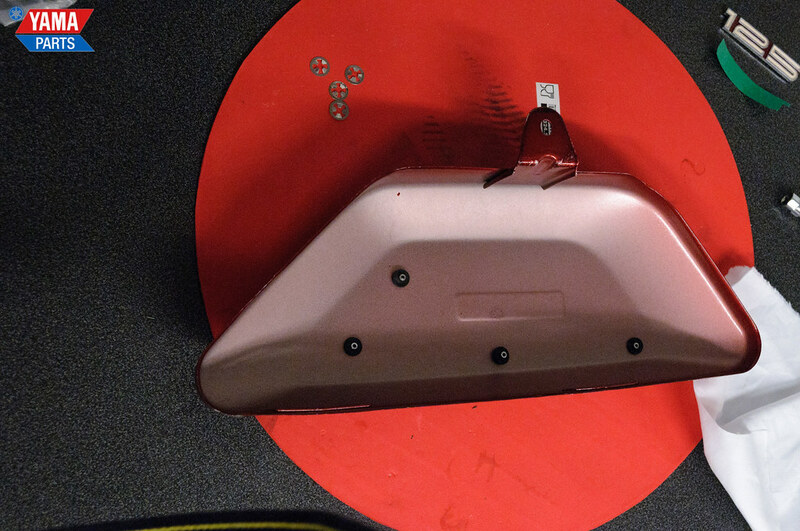 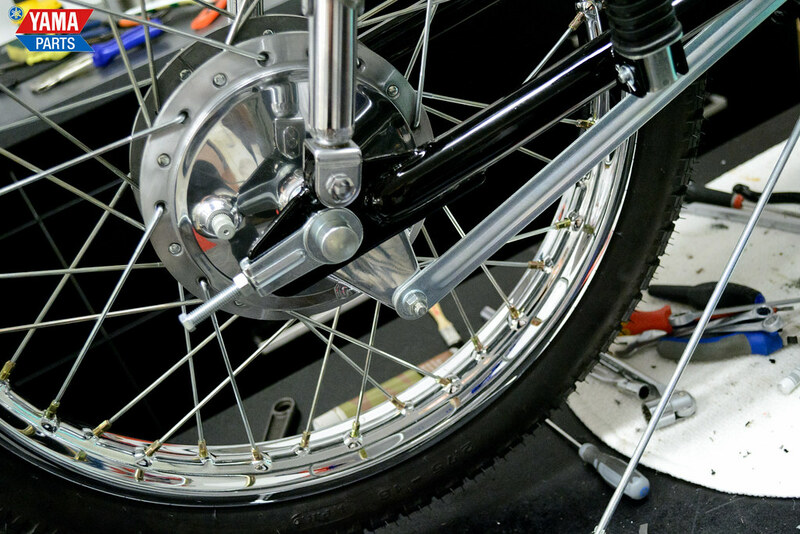 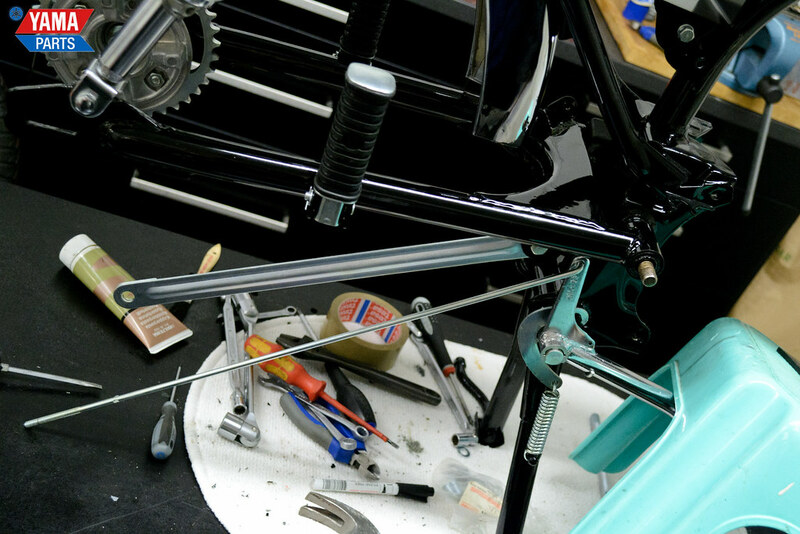 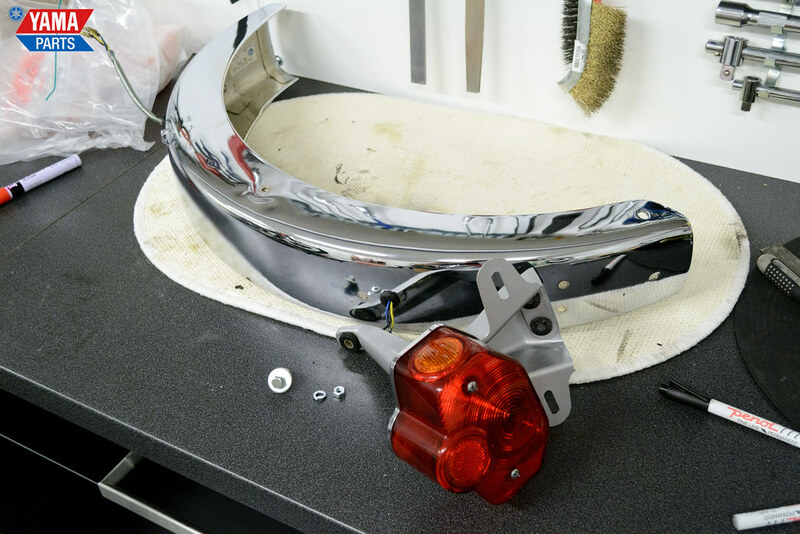 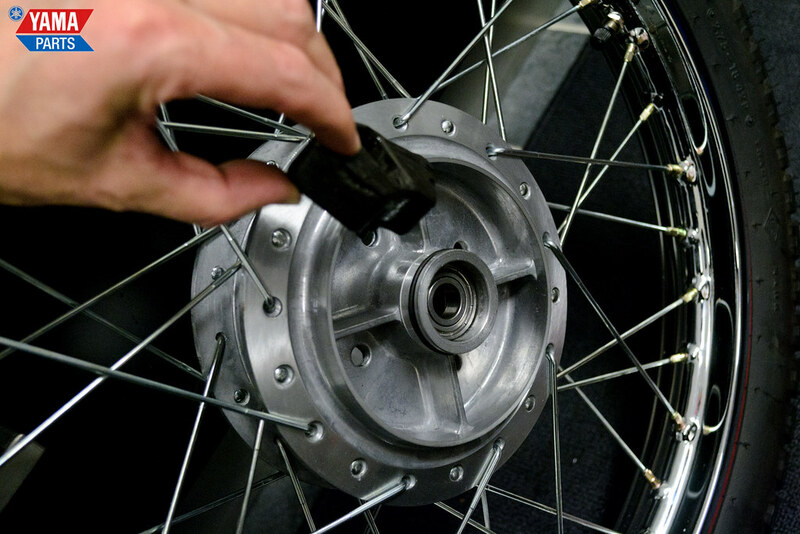 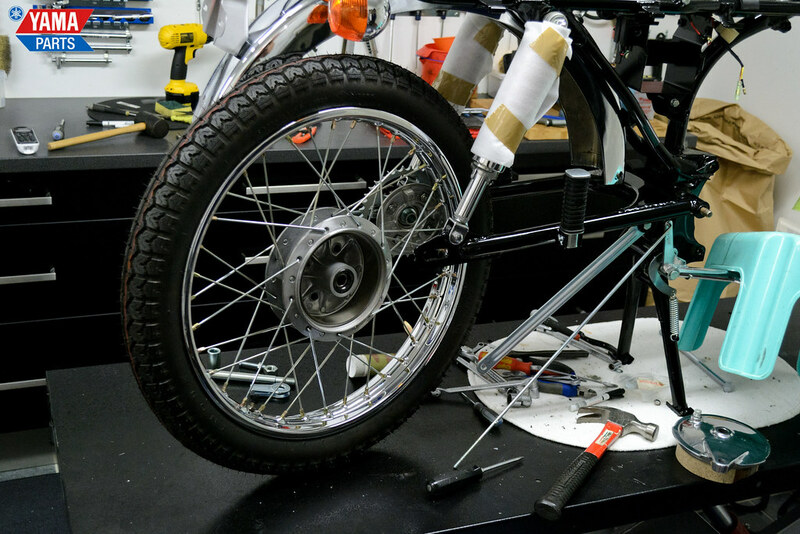 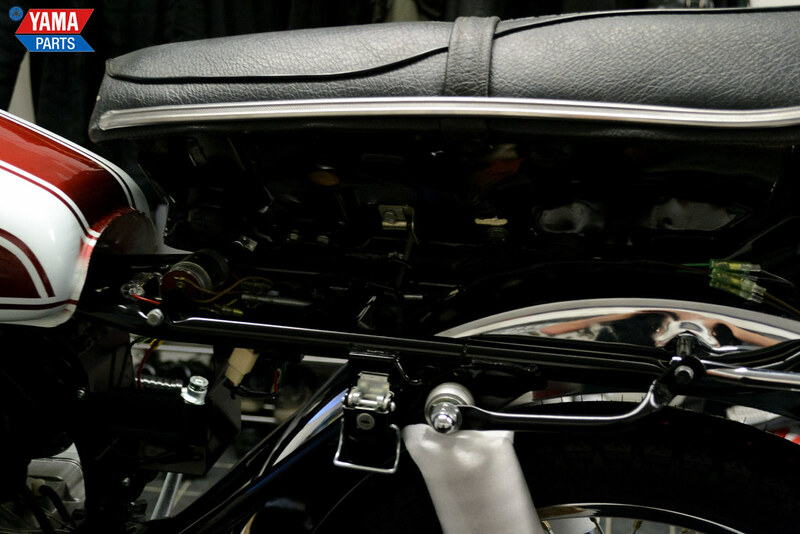 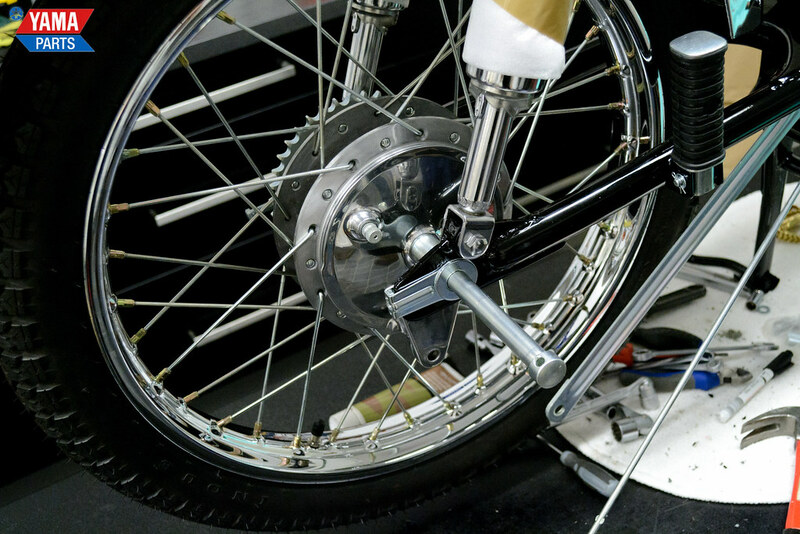 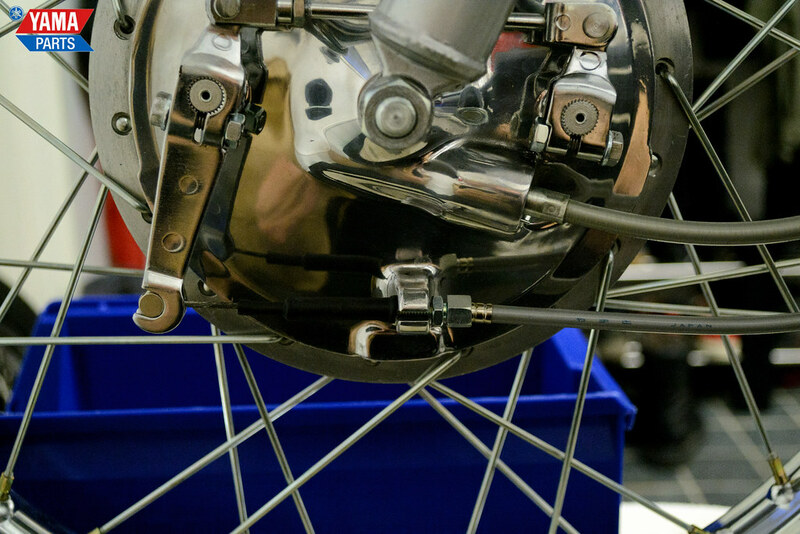 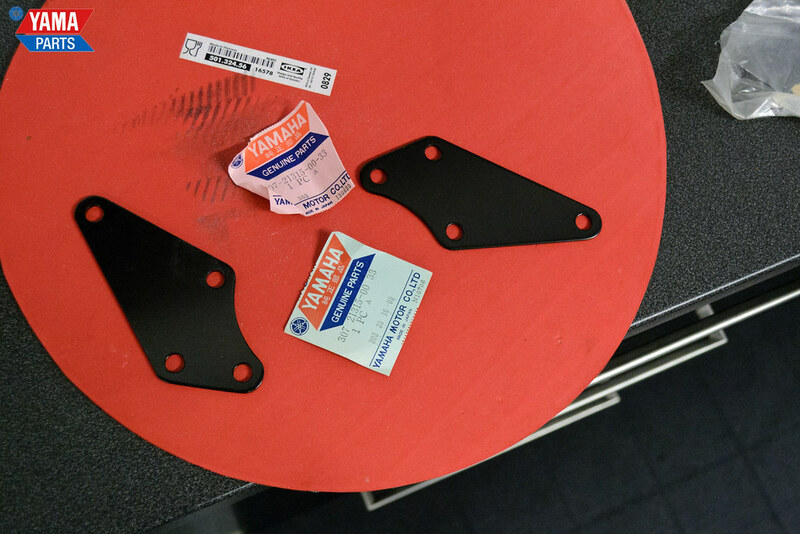 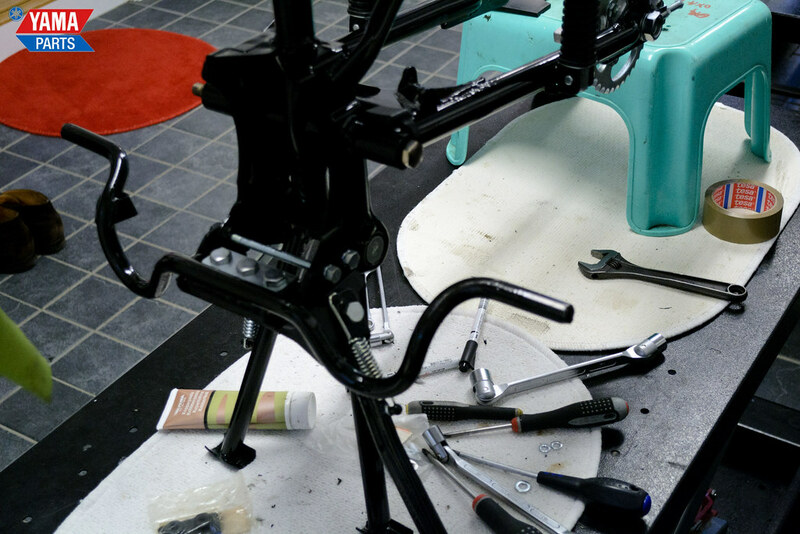 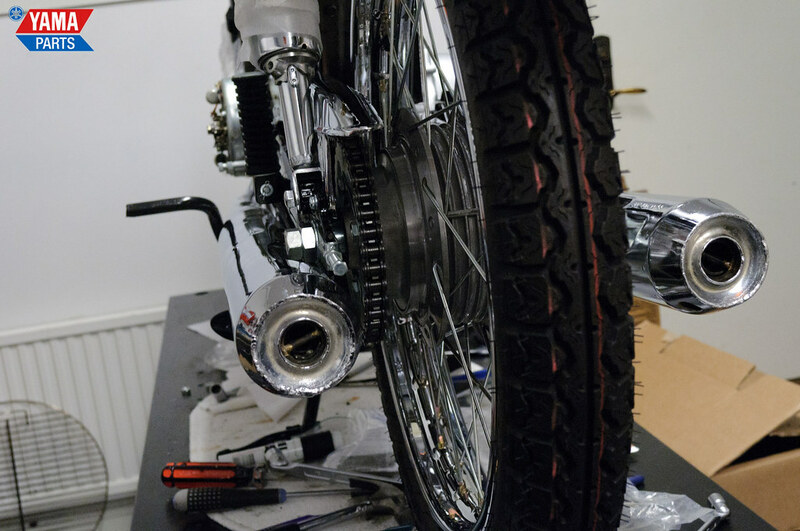 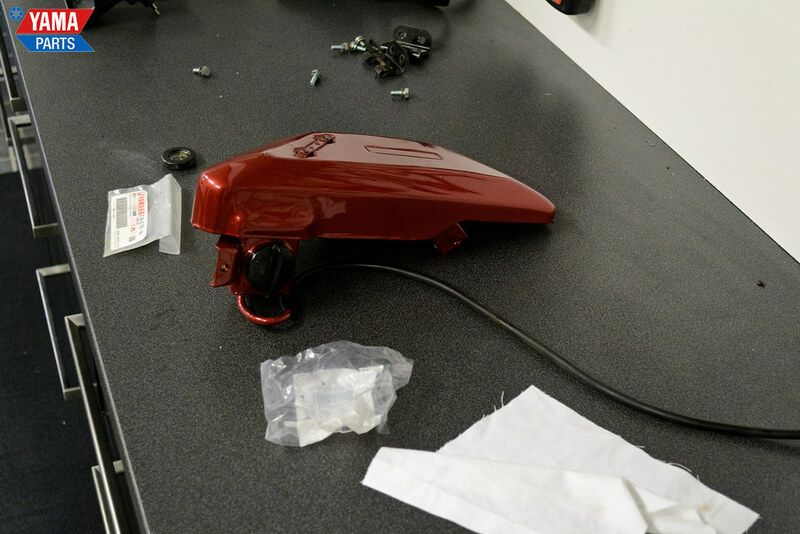 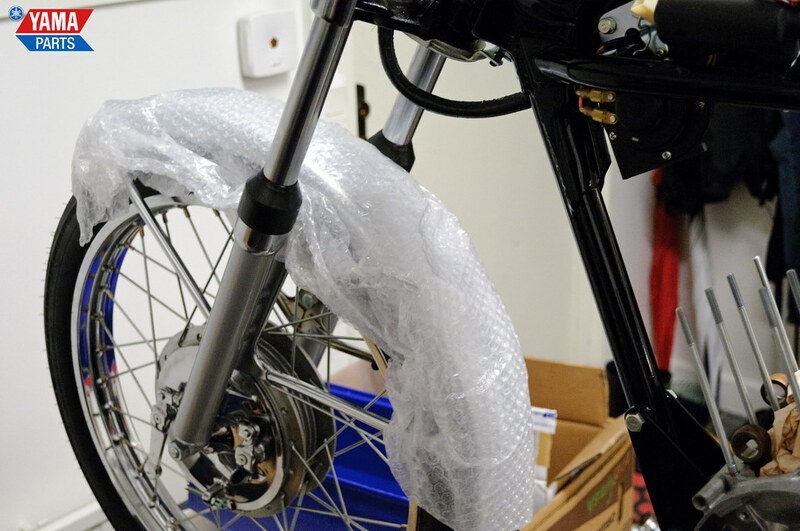 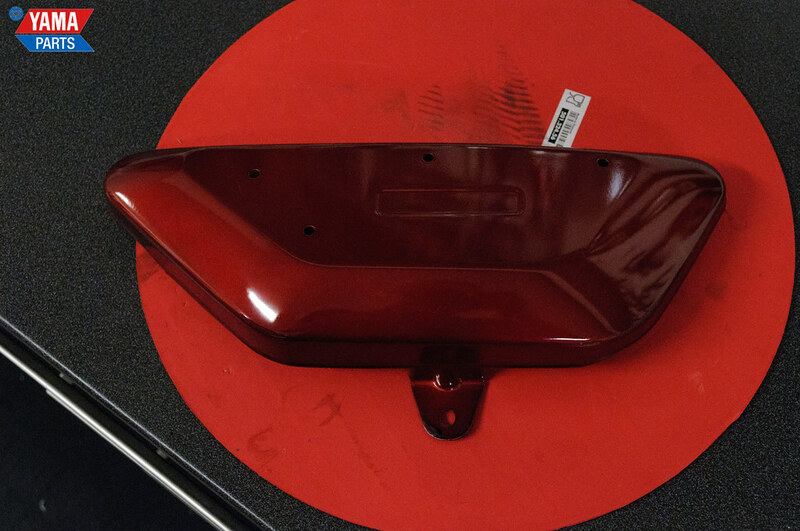 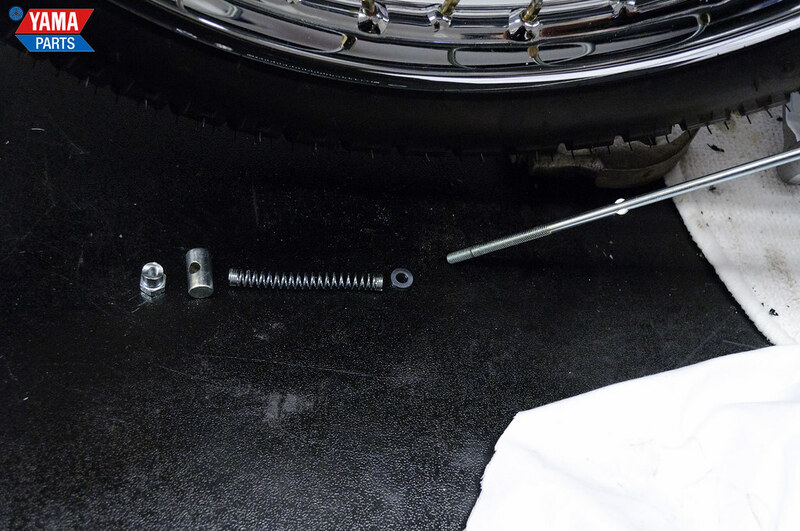 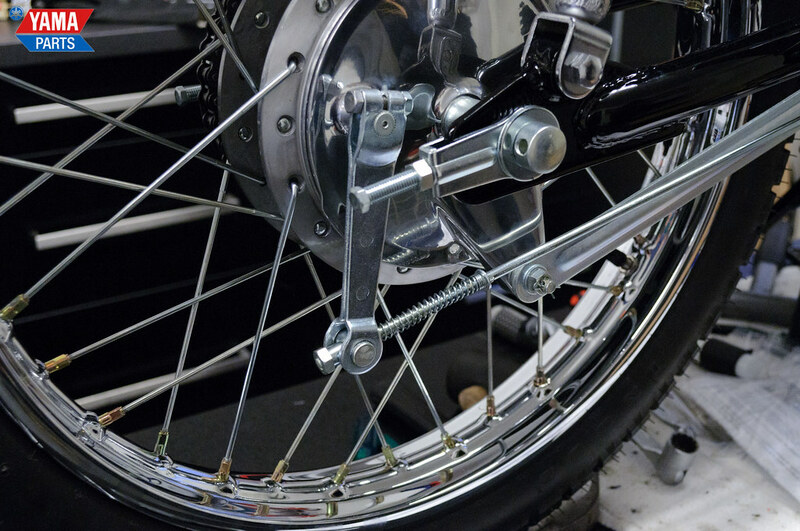 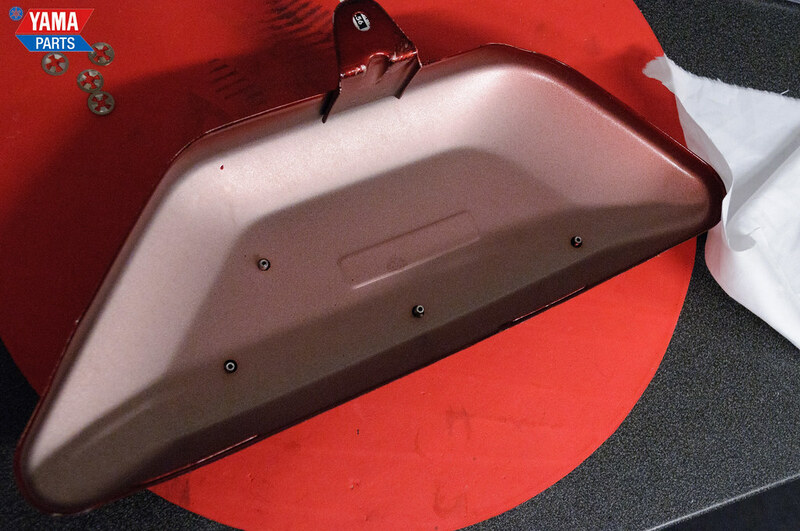 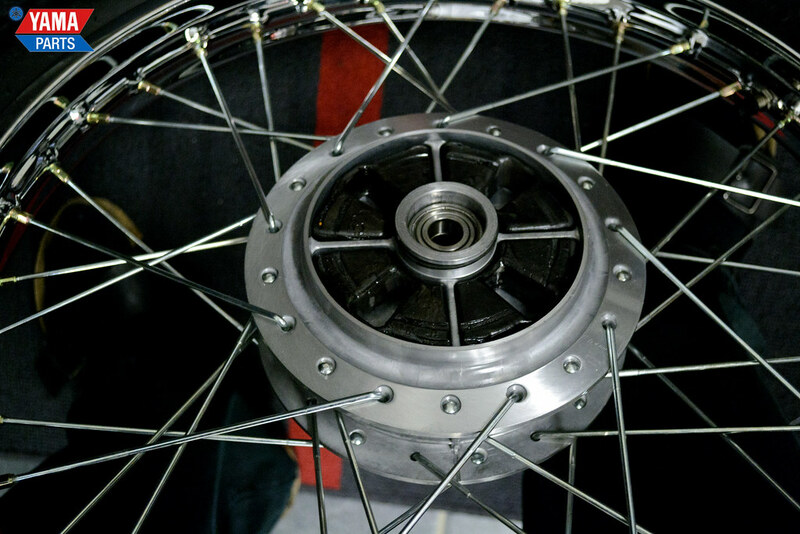 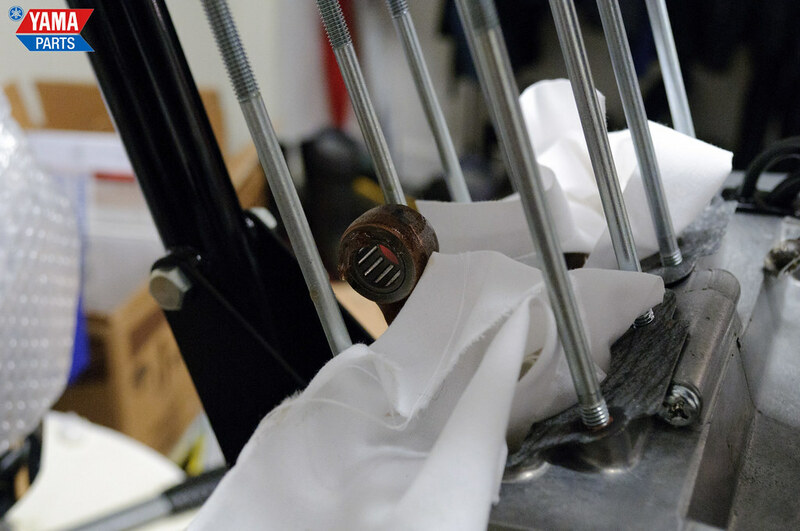 This time we’re covering the footrest assembly, the rear fender and the rear wheel. 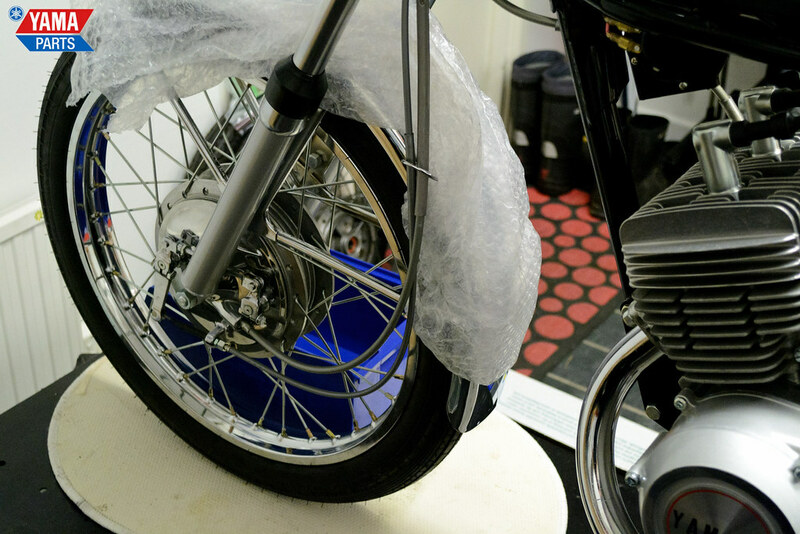 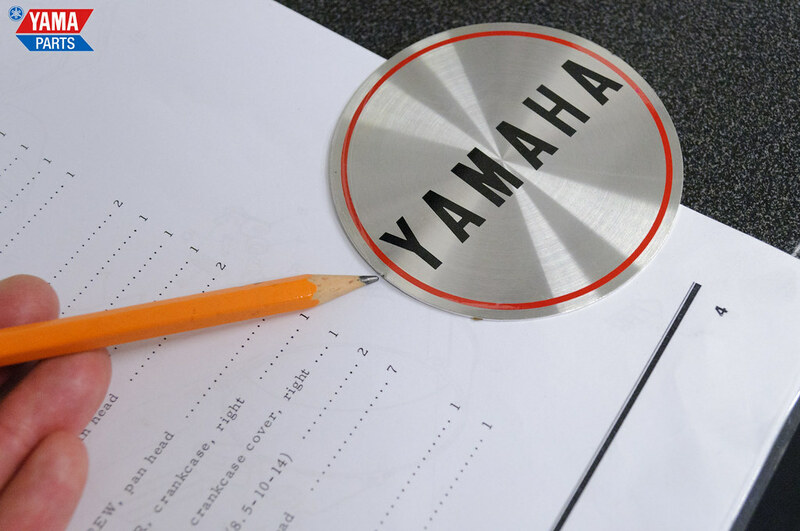 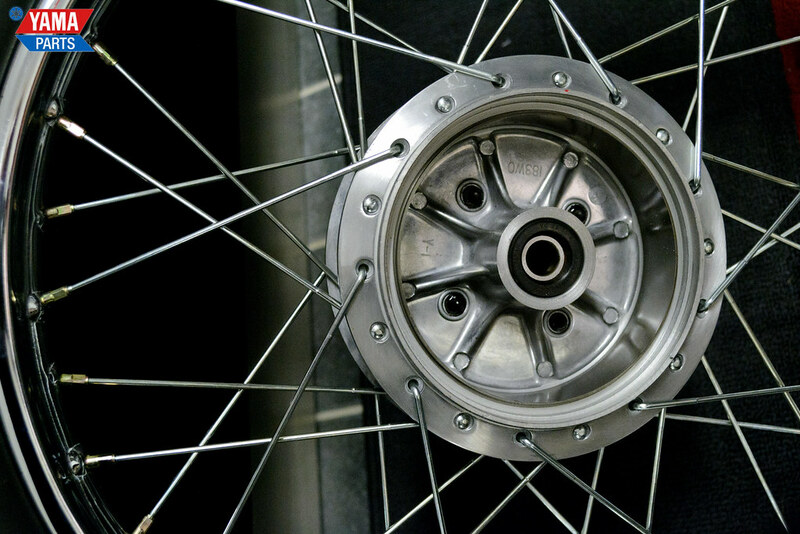 Just as with the front wheel, we’ve had them spoked at Yamaha Center earlier. 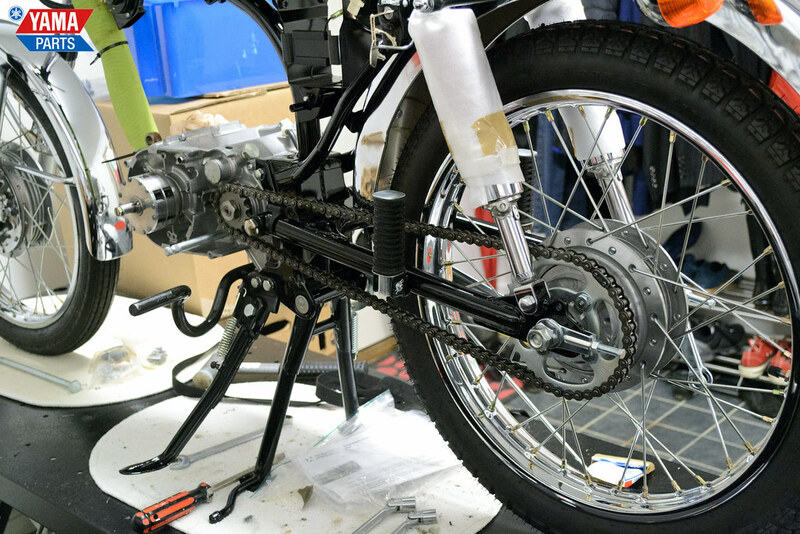 At one point in the pictures we attach the footrest assembly, you shouldn’t do it at that point, you should wait until after you’ve attached the foot brake.